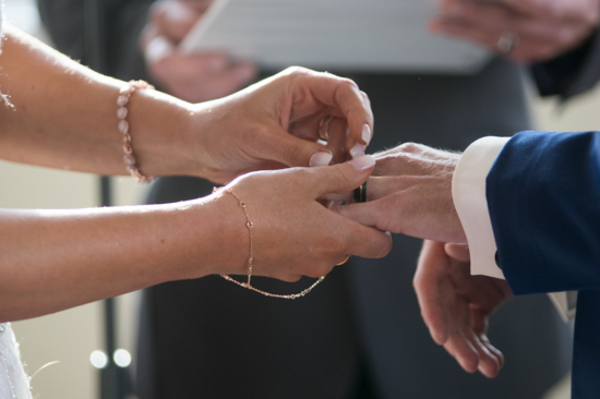 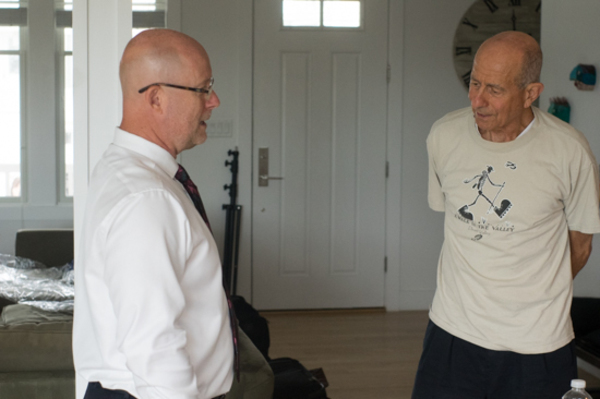 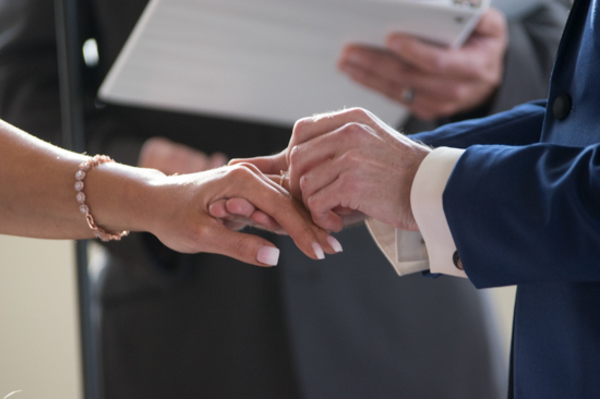 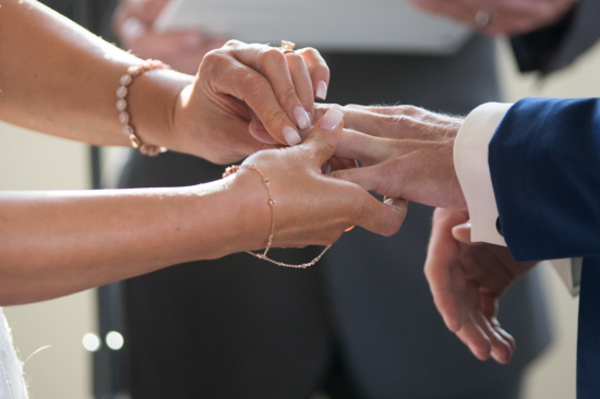 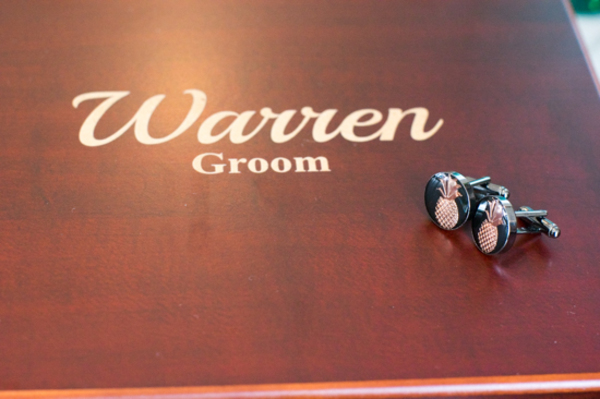 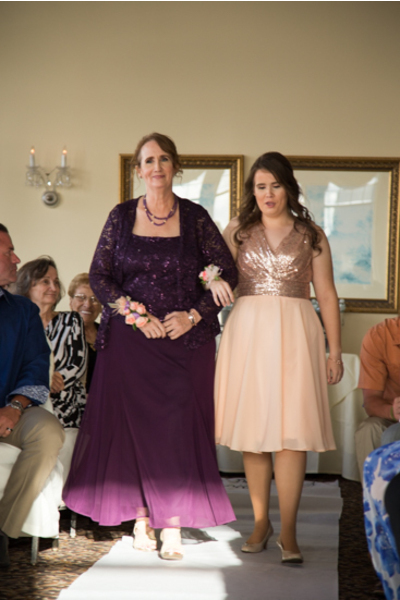 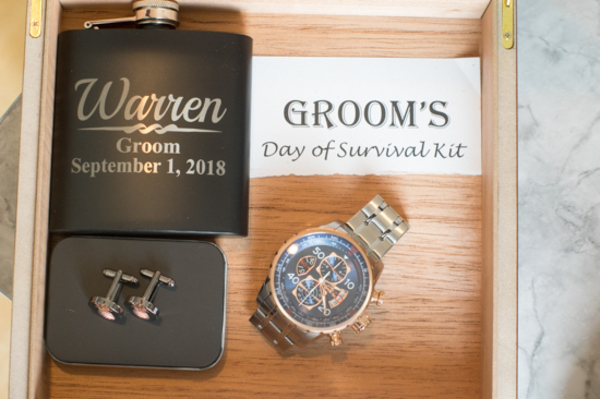 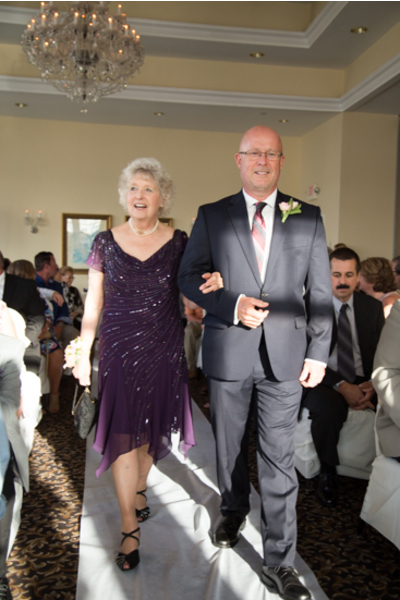 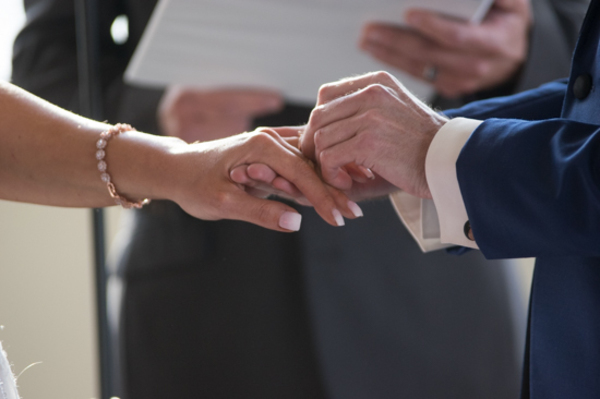 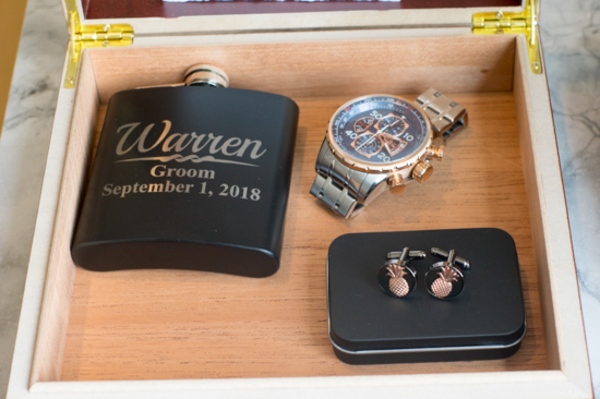 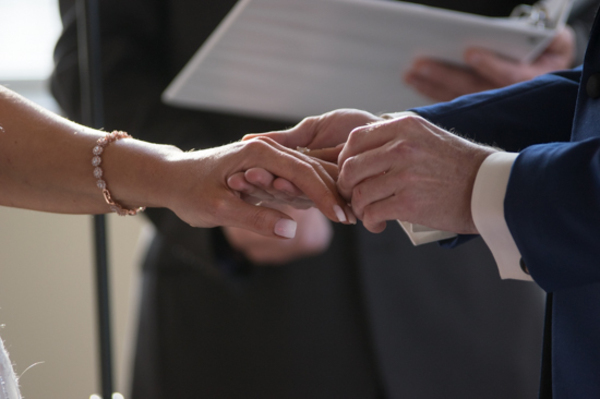 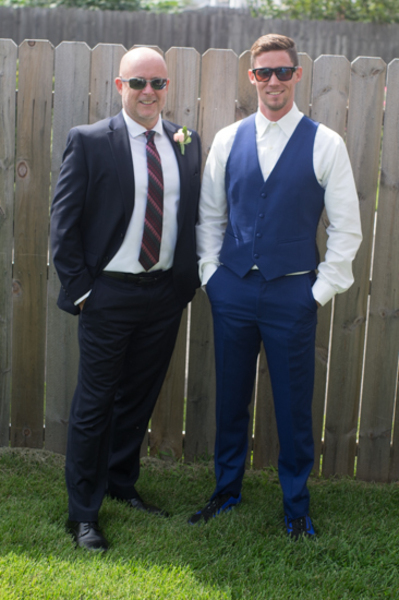 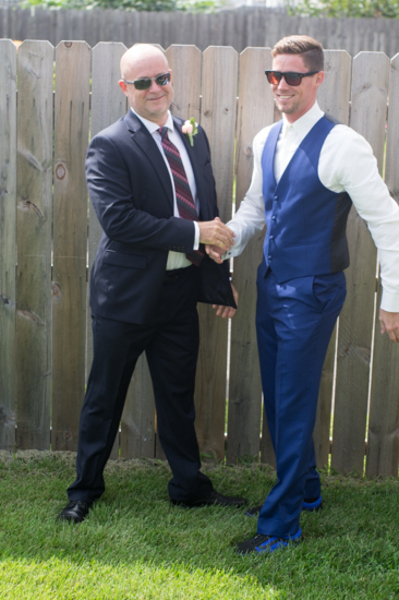 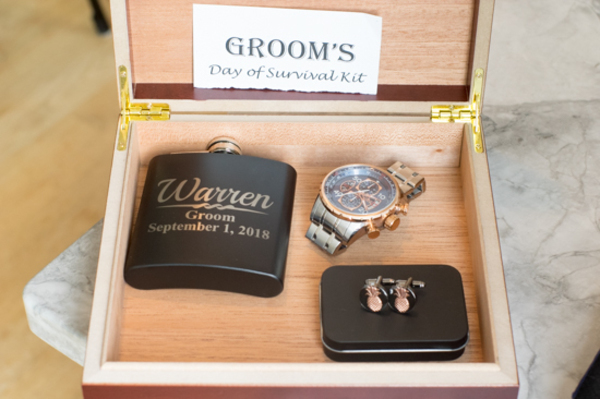 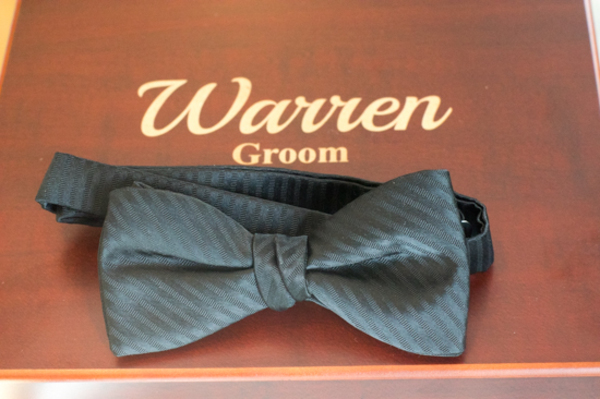 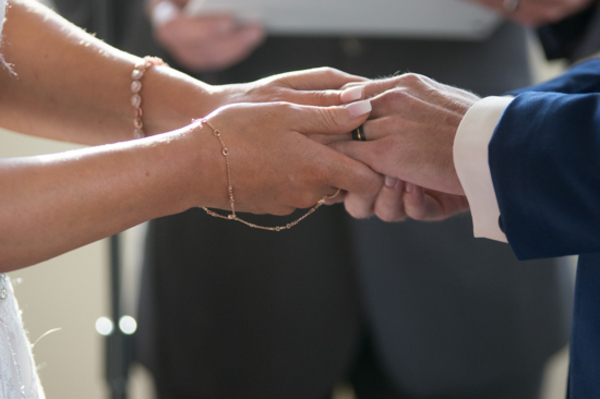 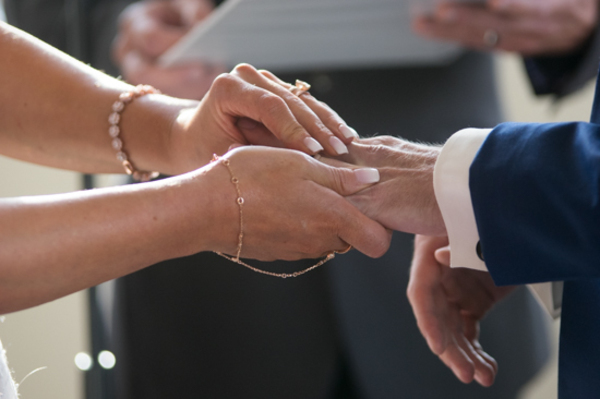 Congratulations to Melissa and Warren on their recent marriage! 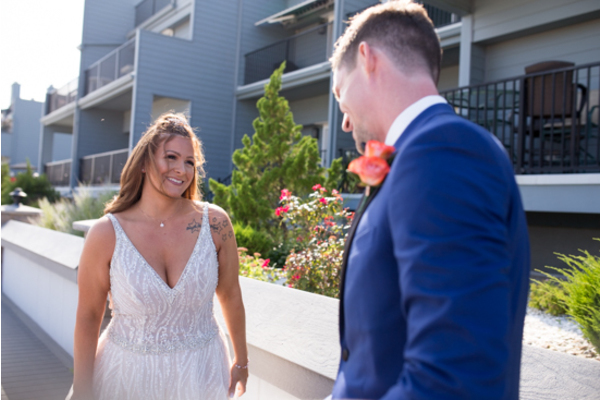 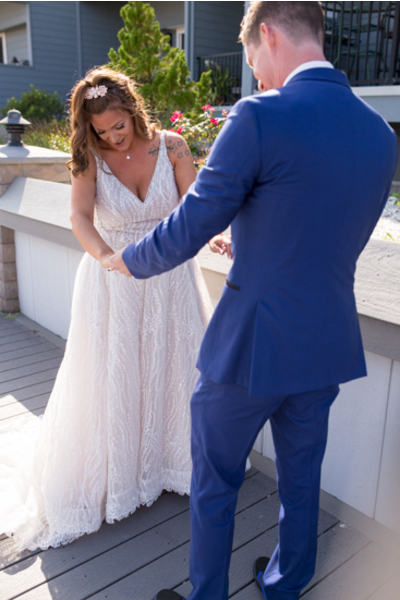 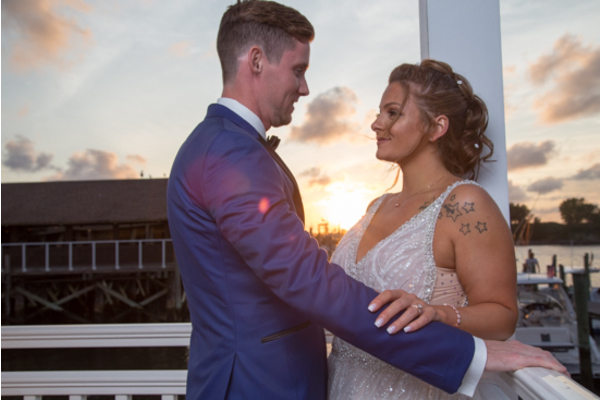 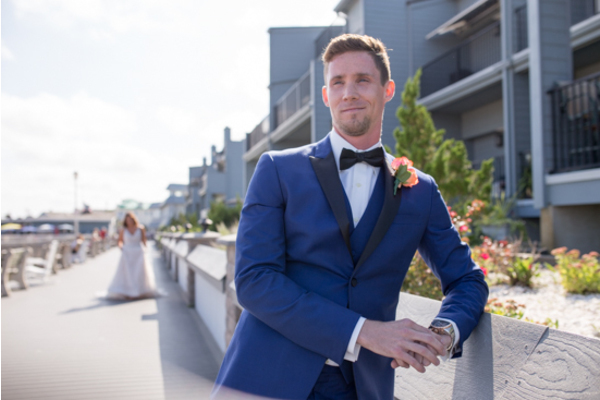 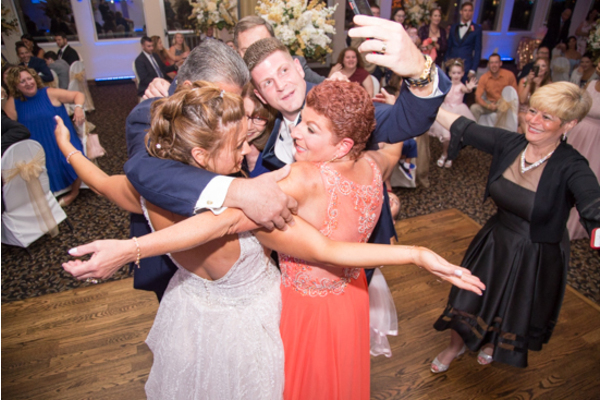 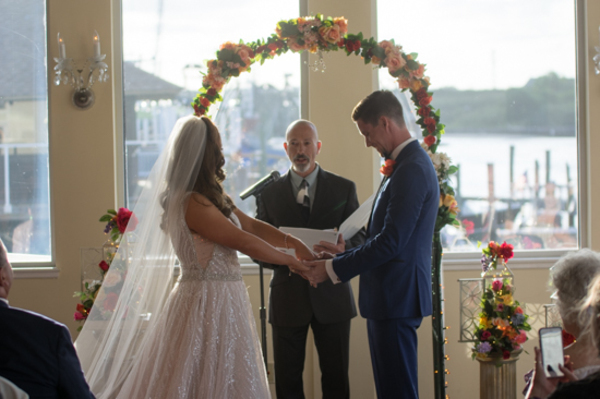 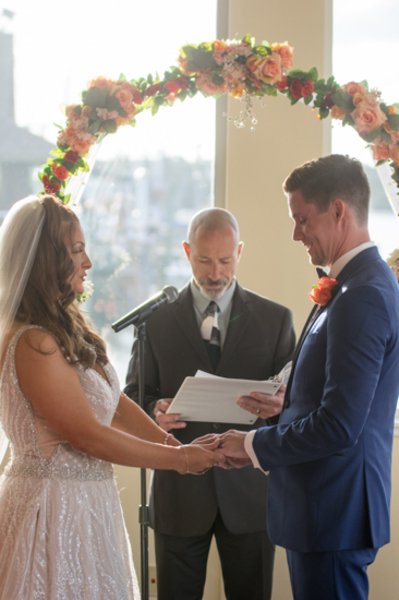 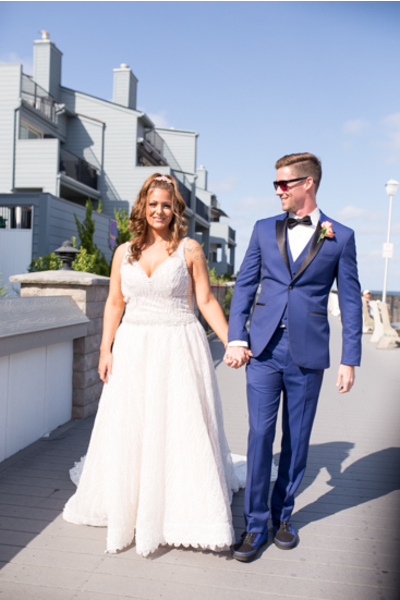 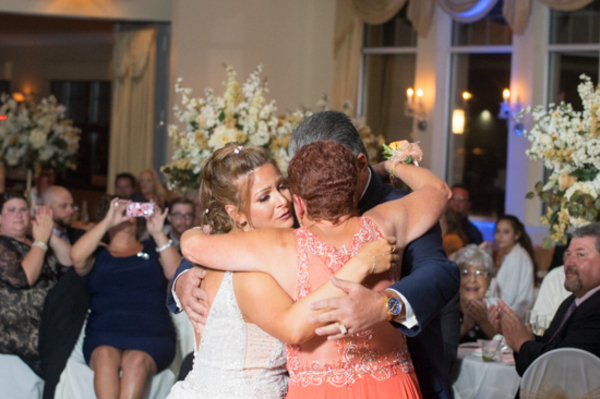 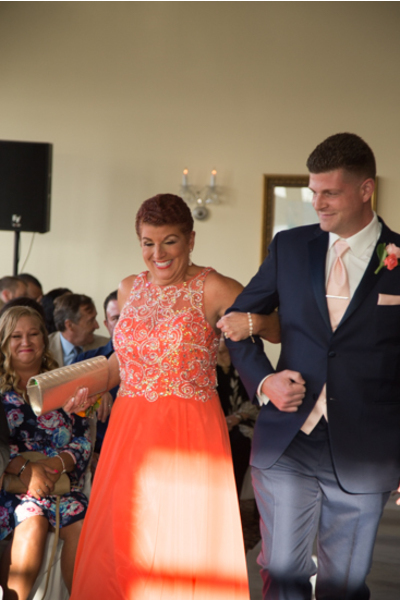 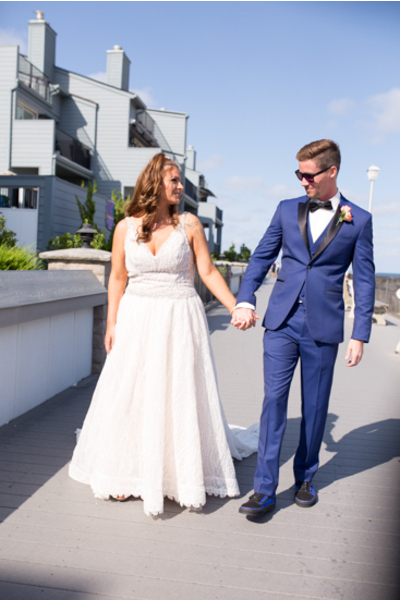 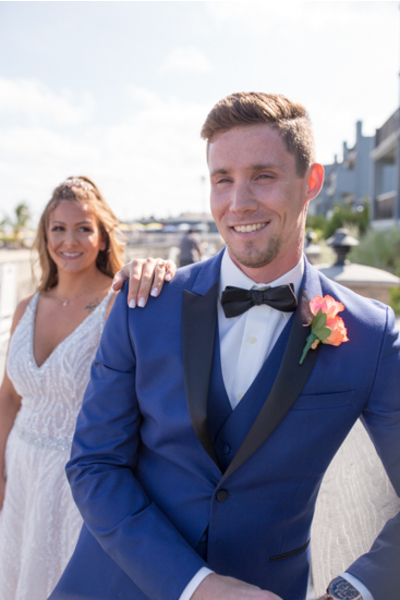 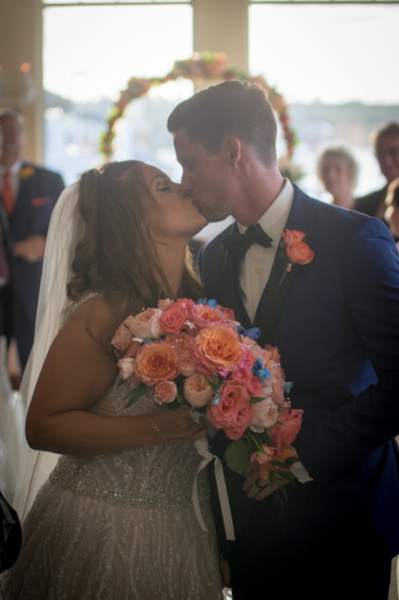 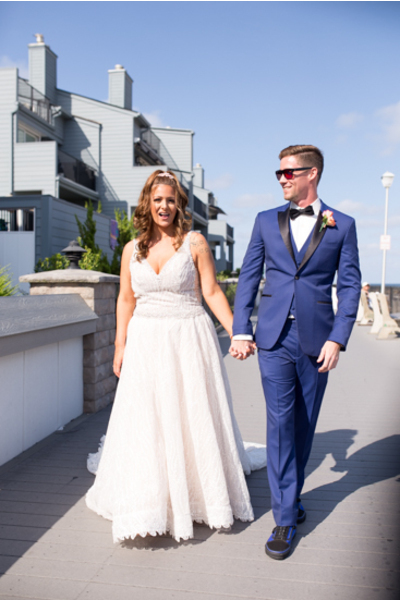 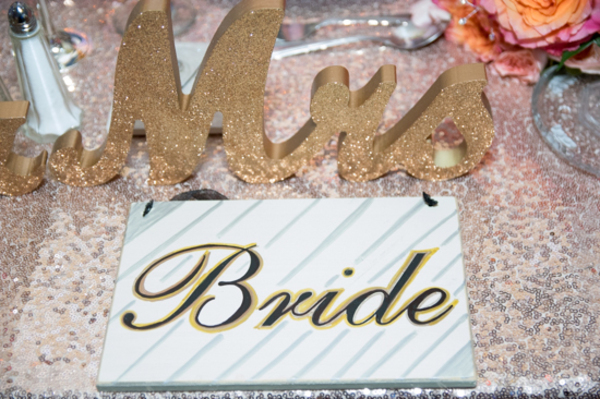 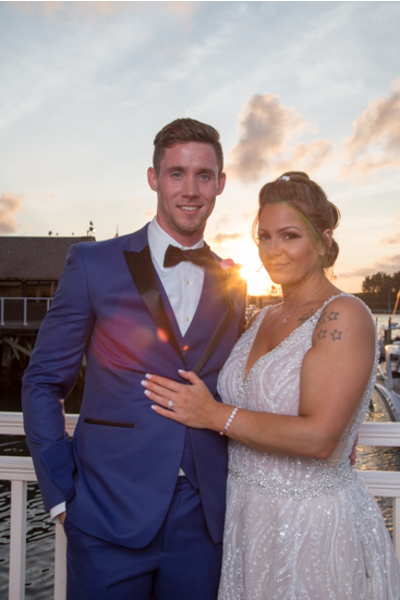 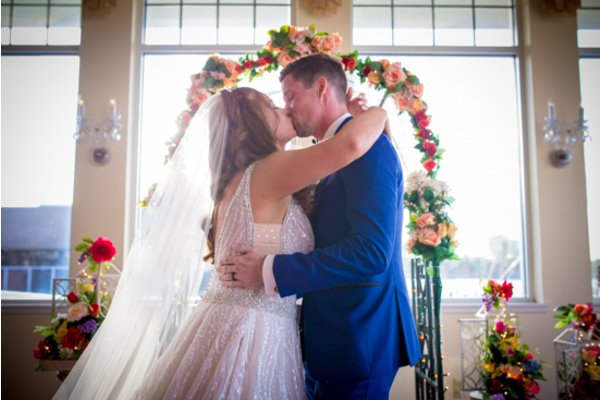 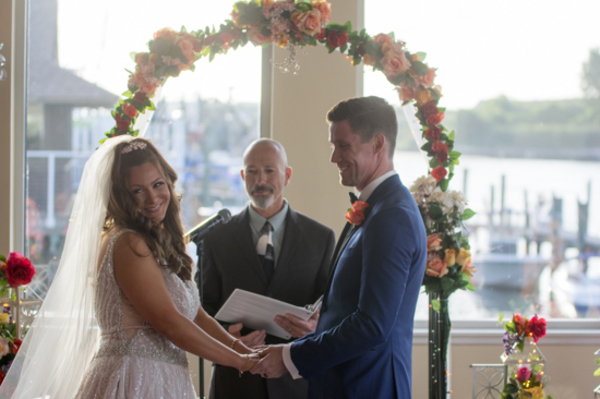 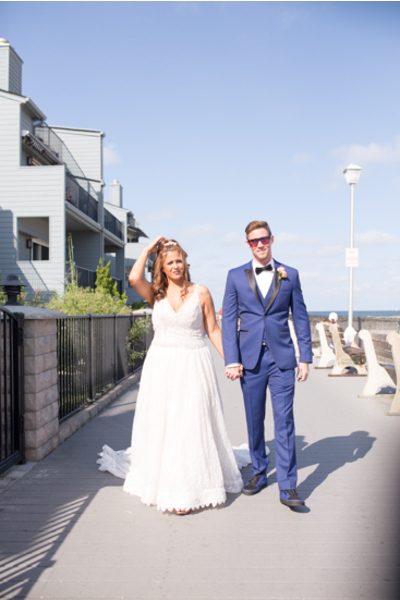 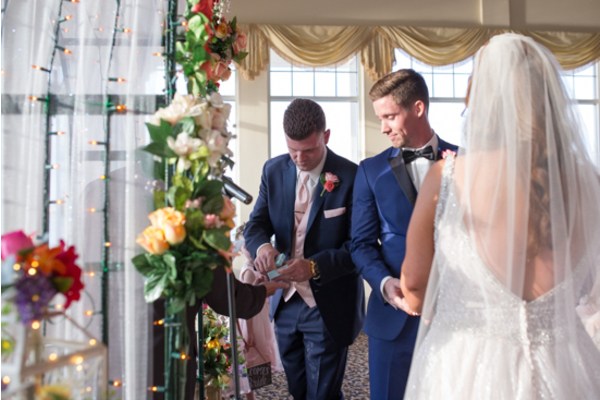 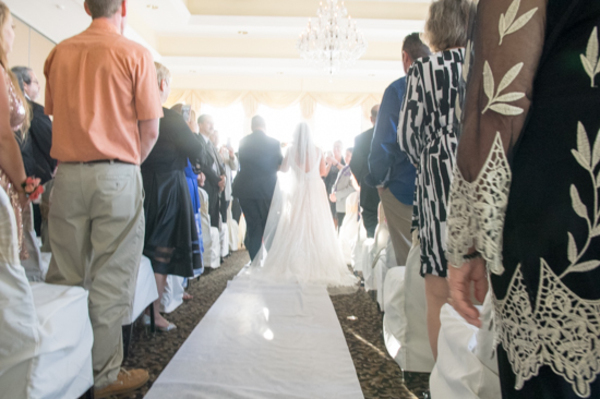 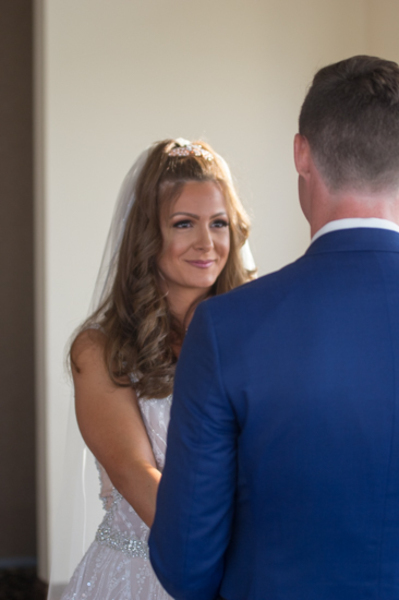 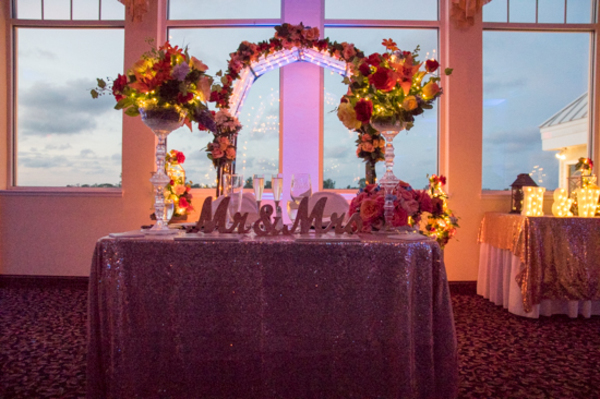 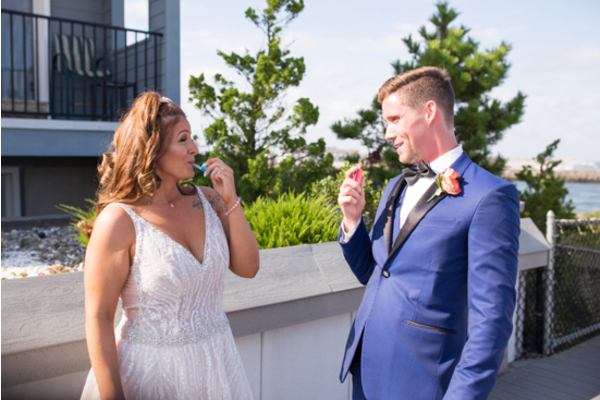 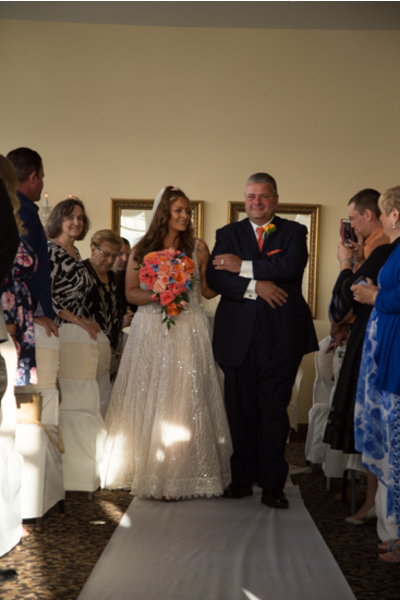 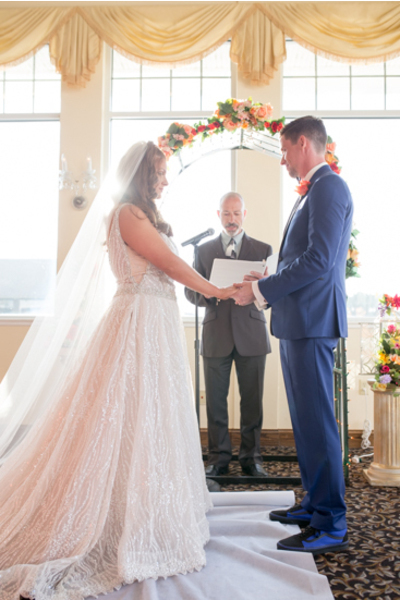 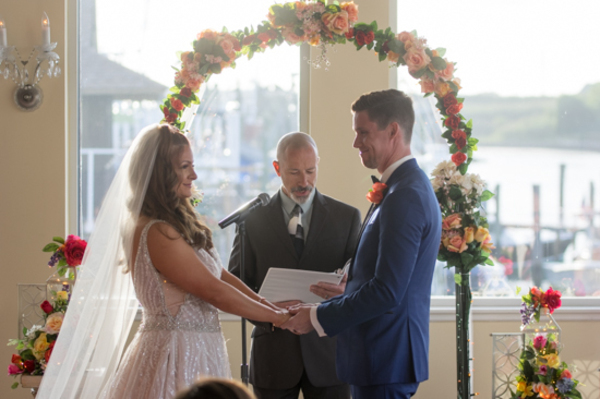 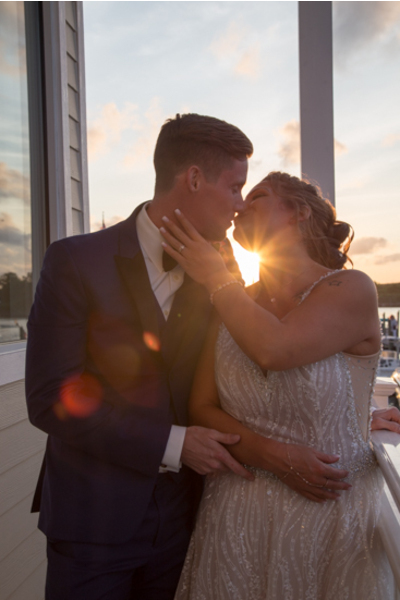 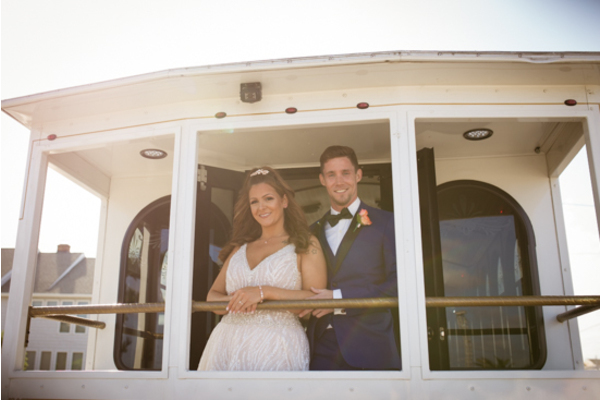 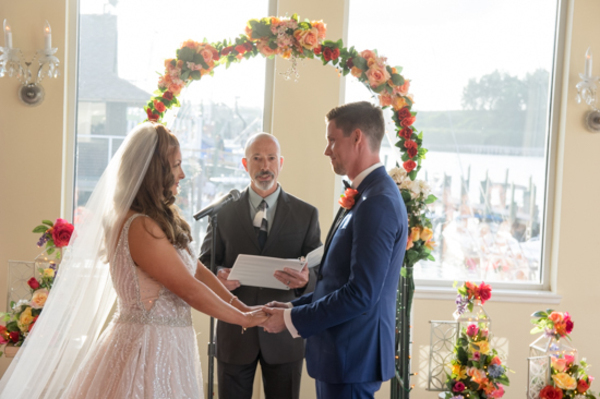 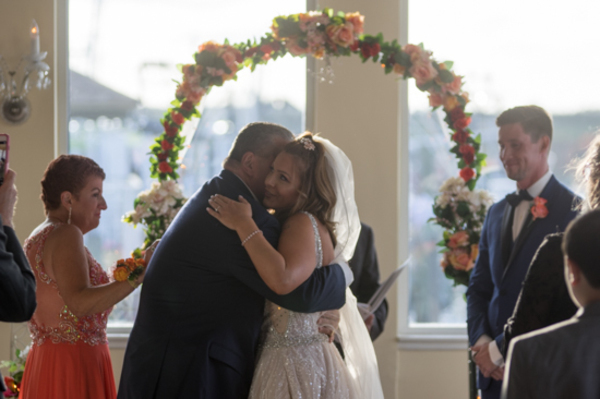 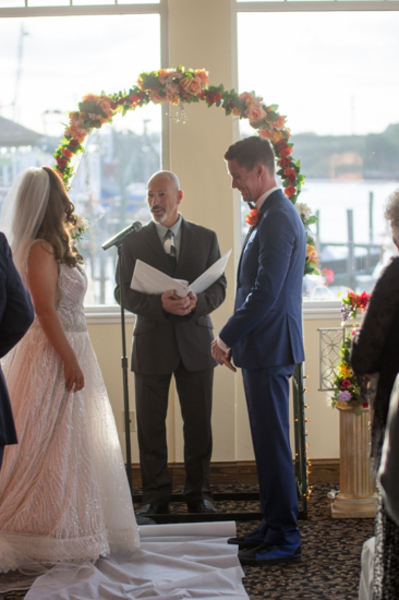 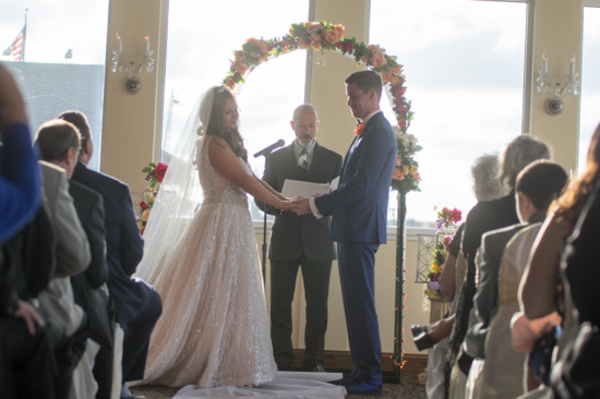 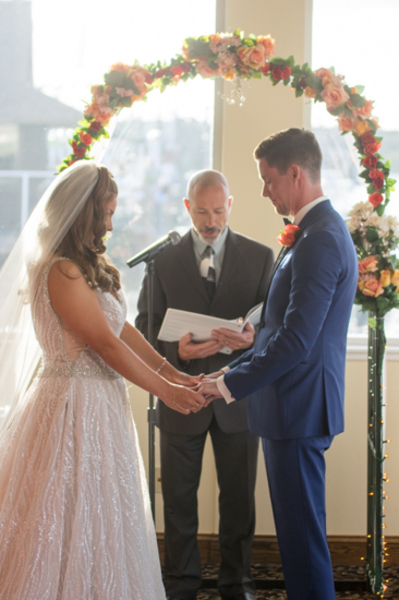 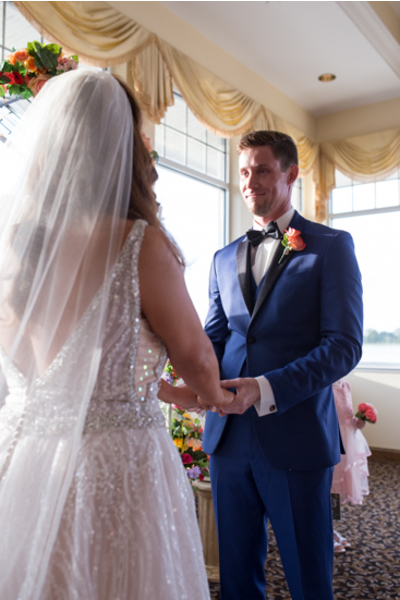 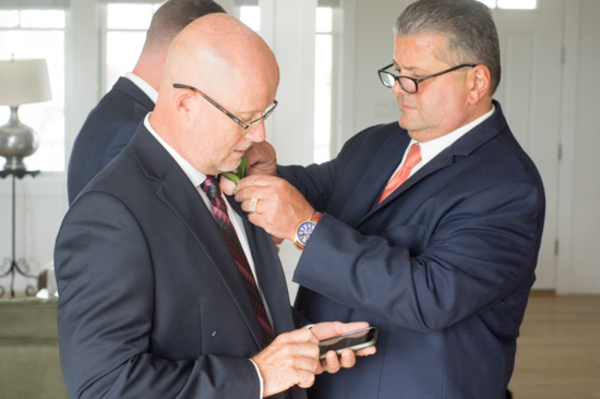 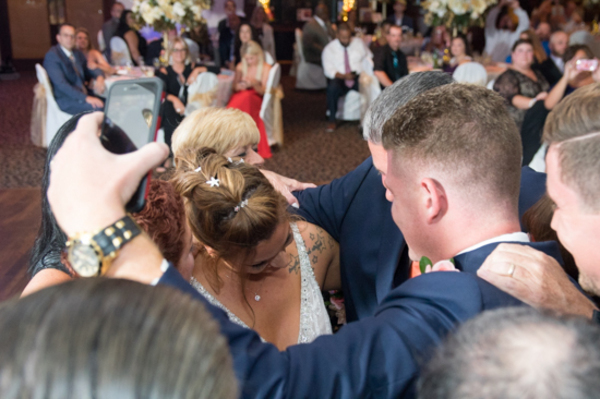 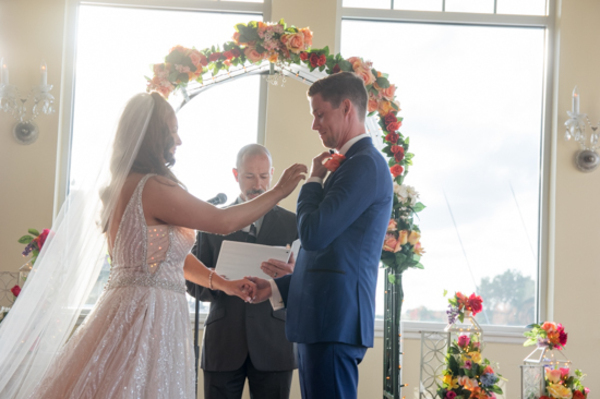 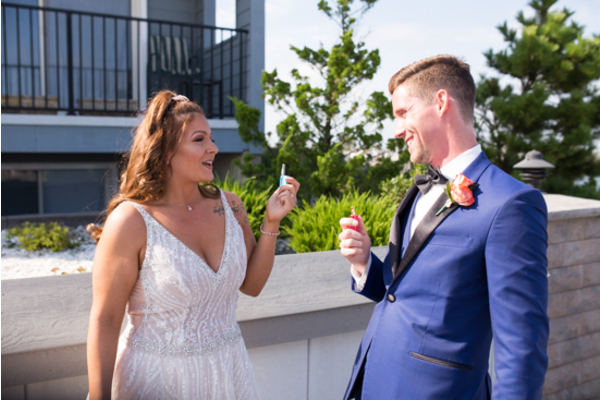 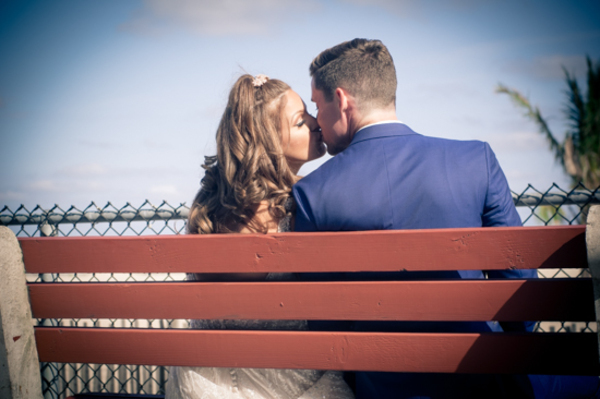 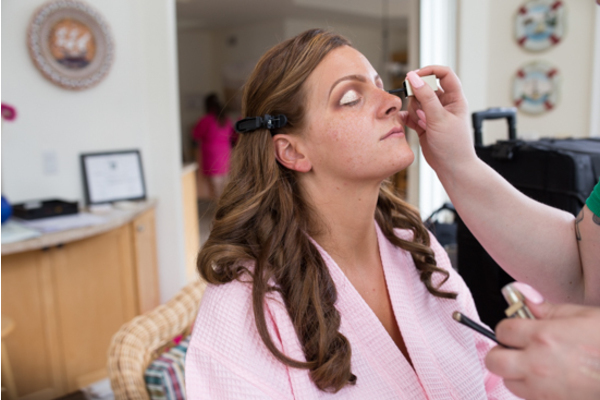 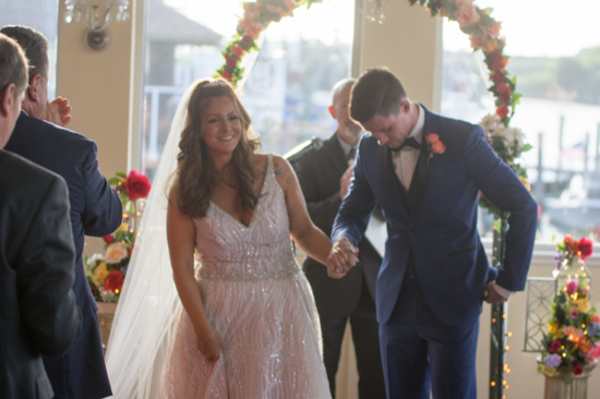 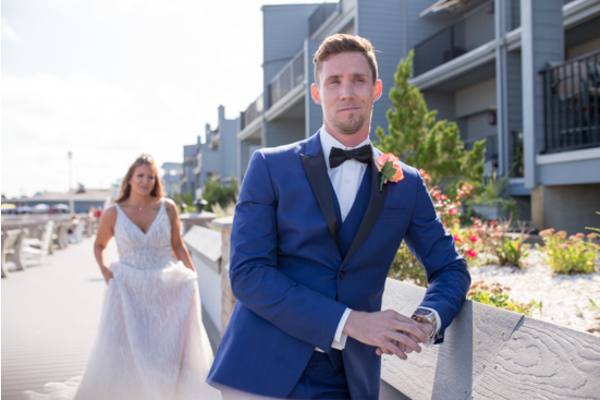 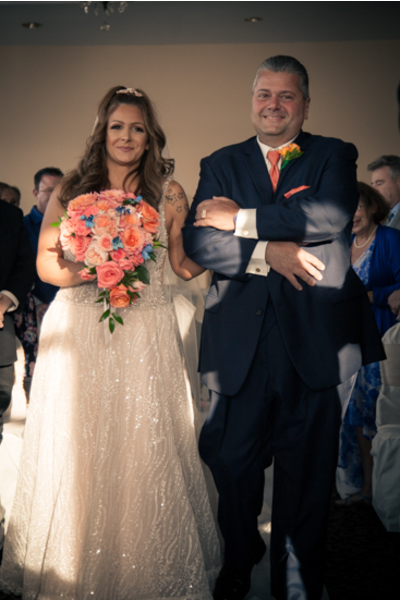 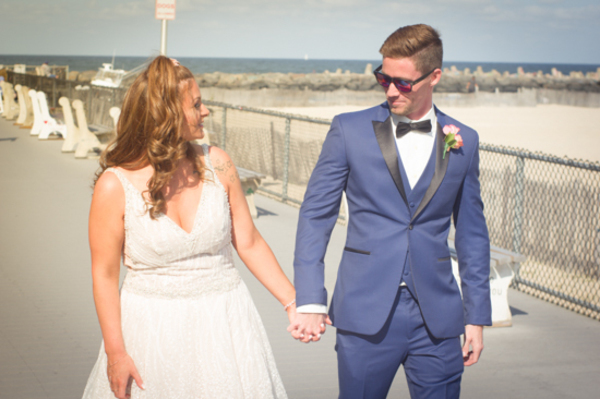 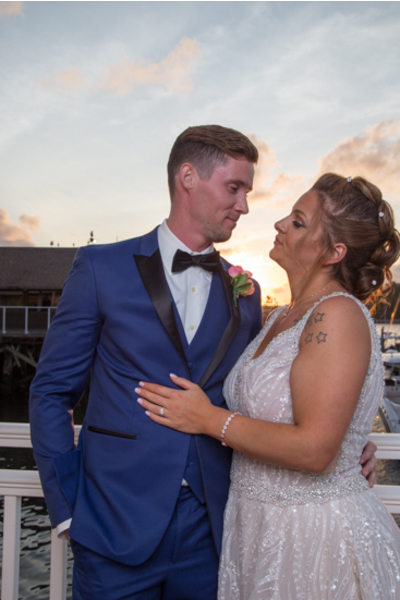 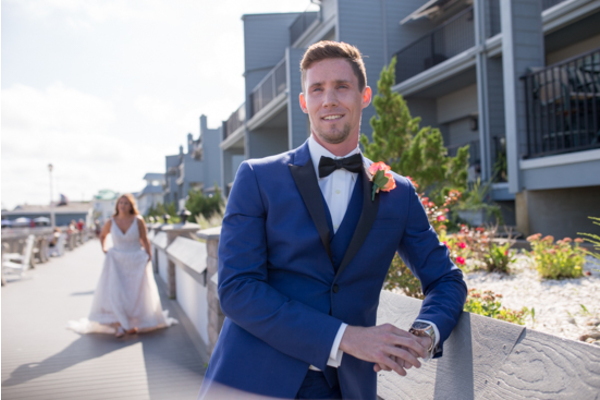 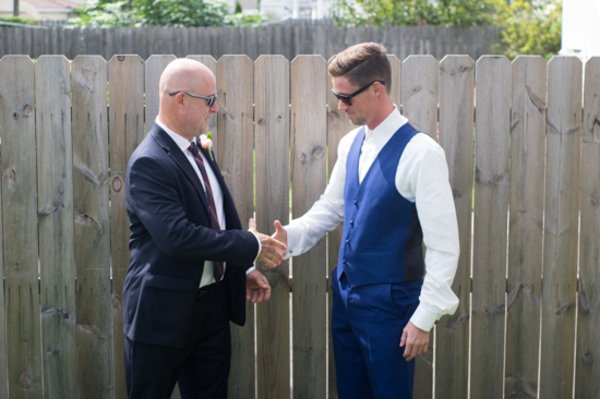 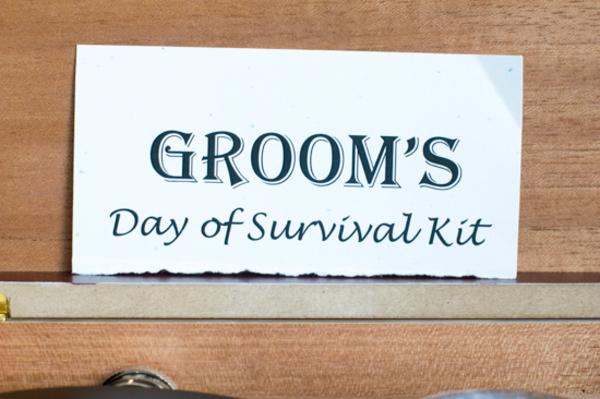 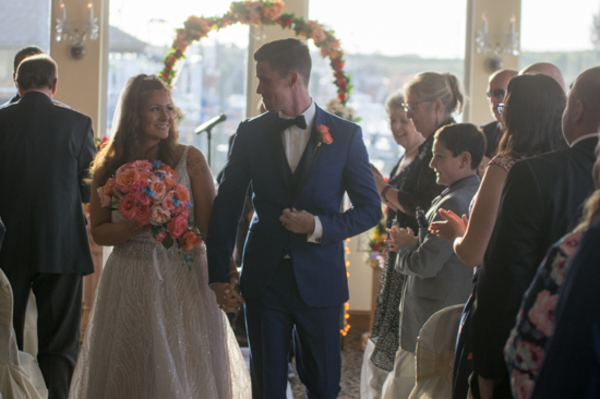 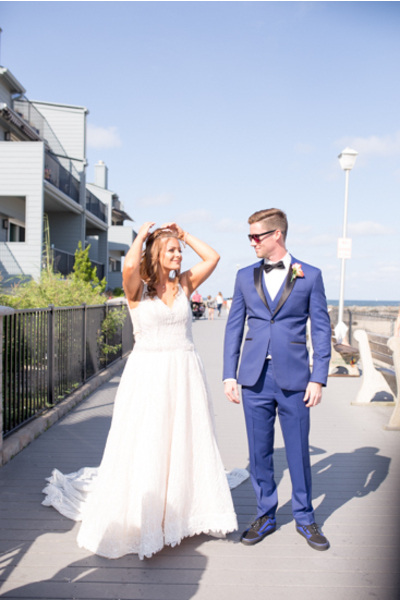 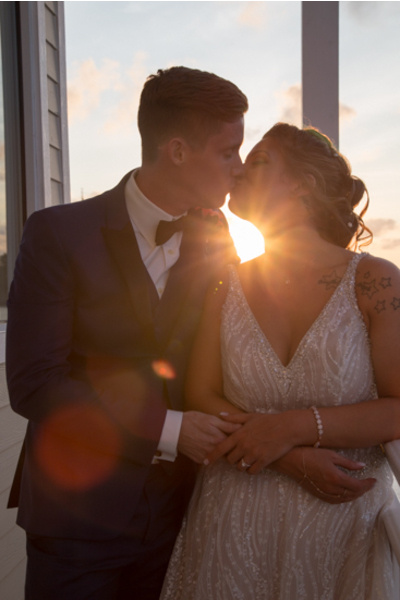 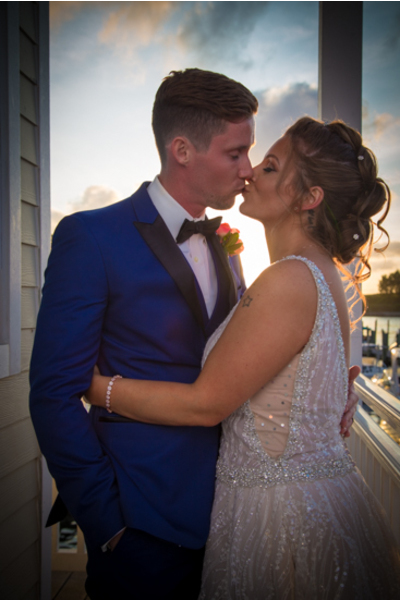 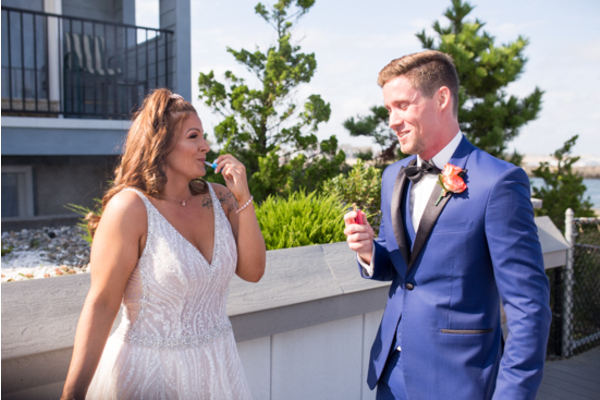 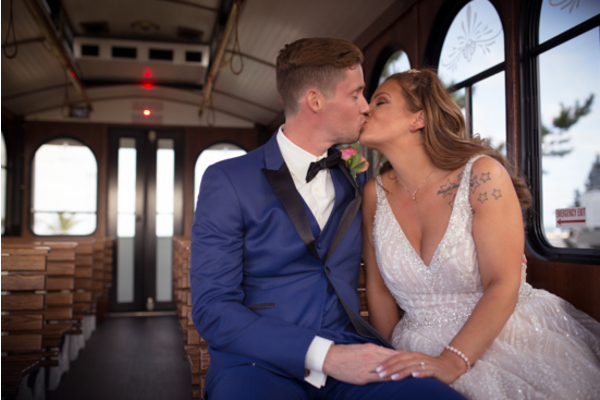 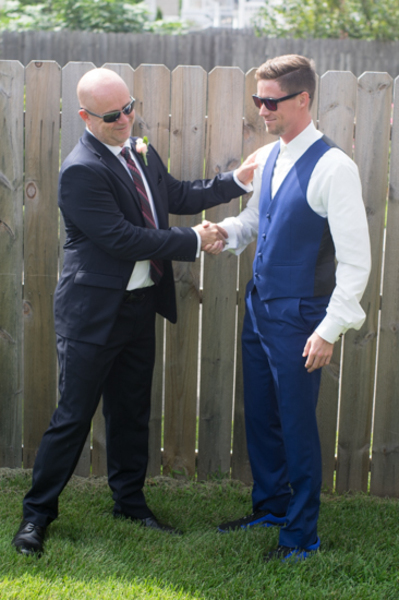 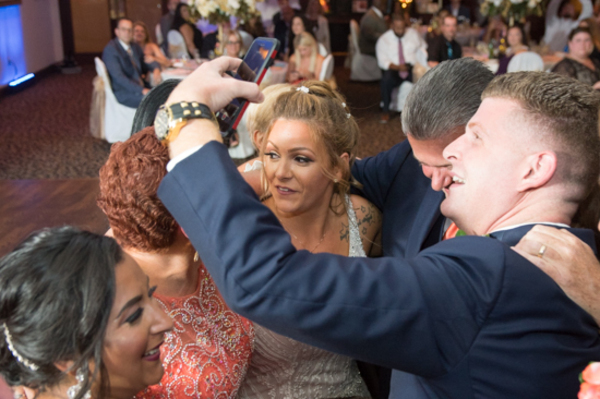 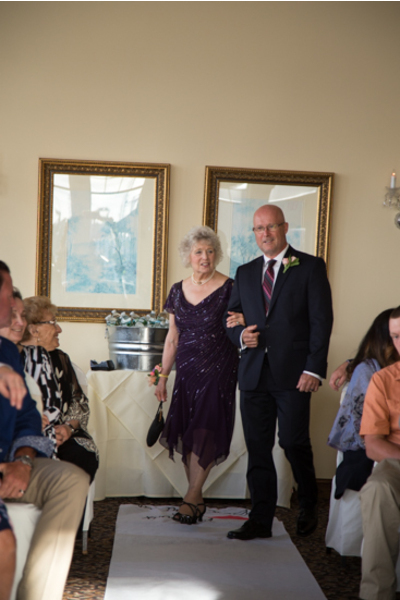 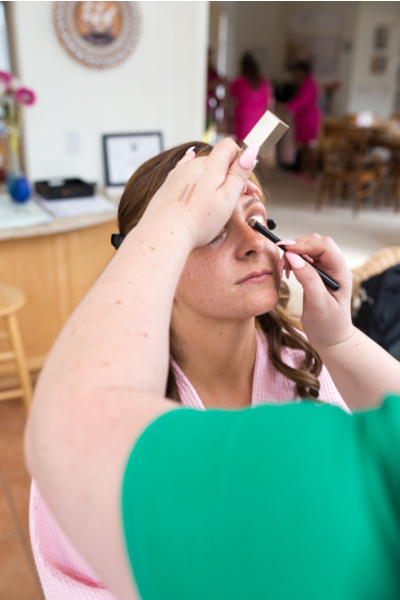 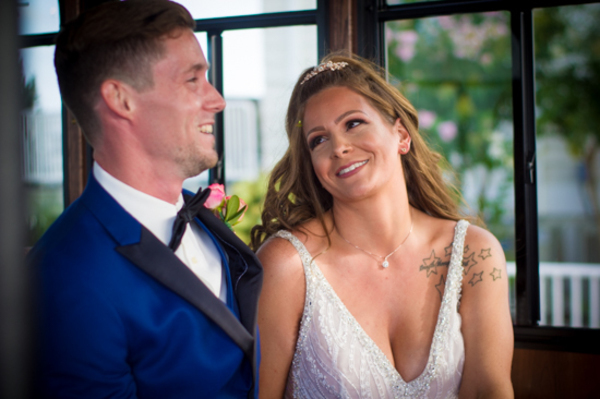 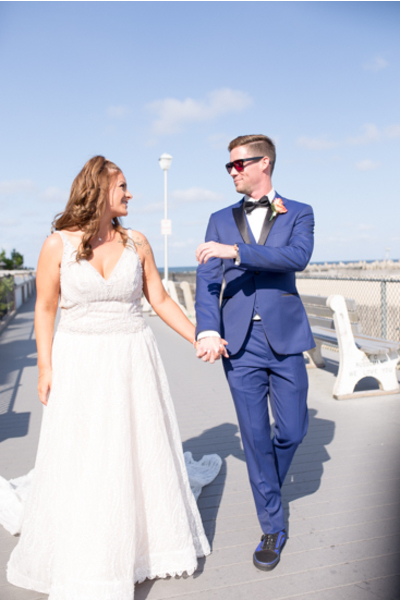 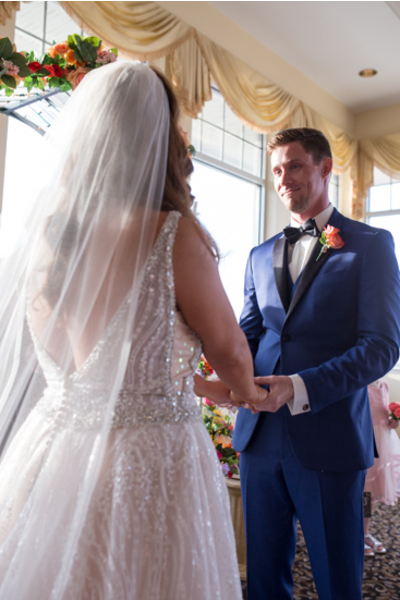 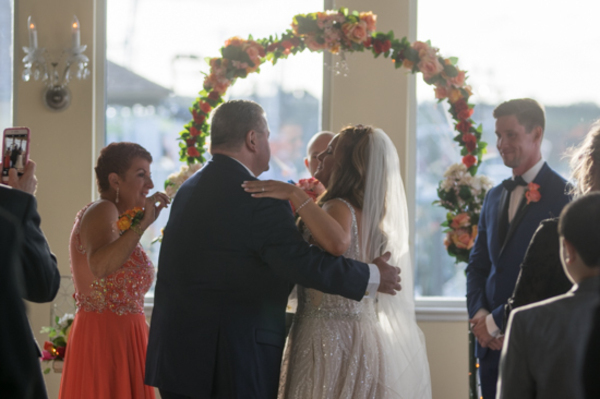 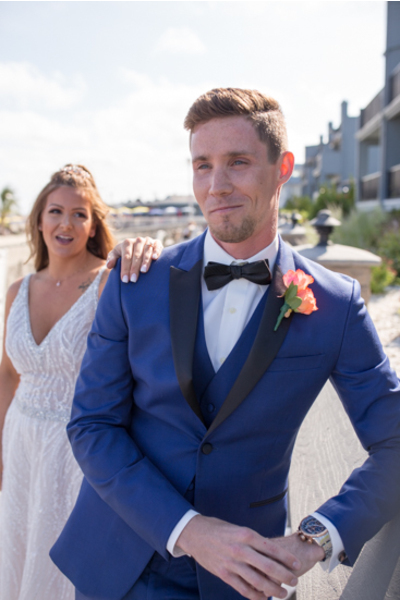 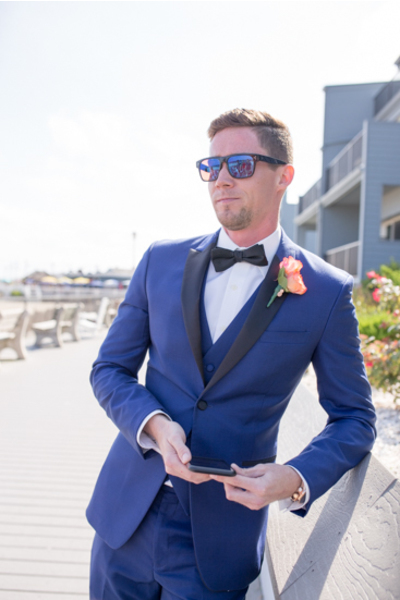 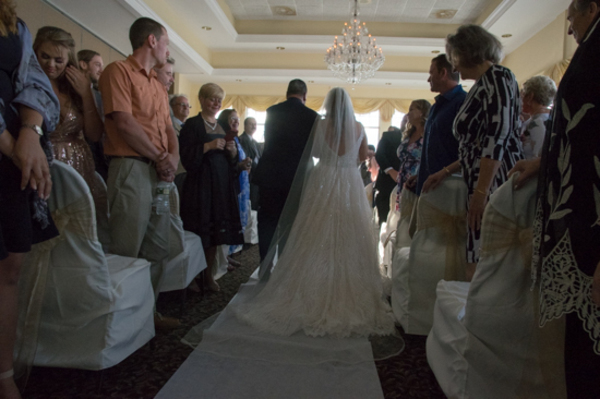 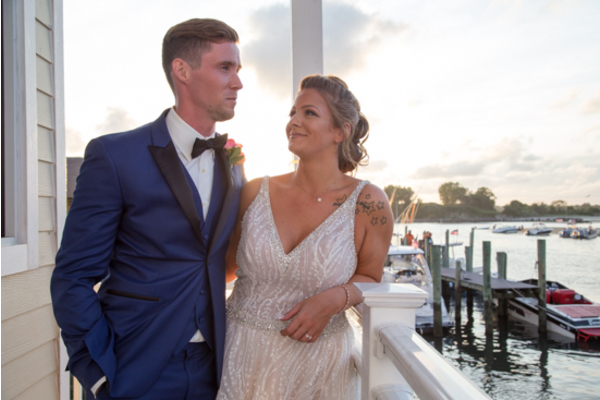 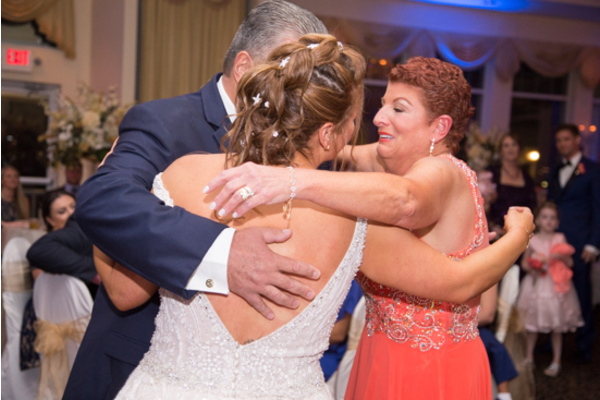 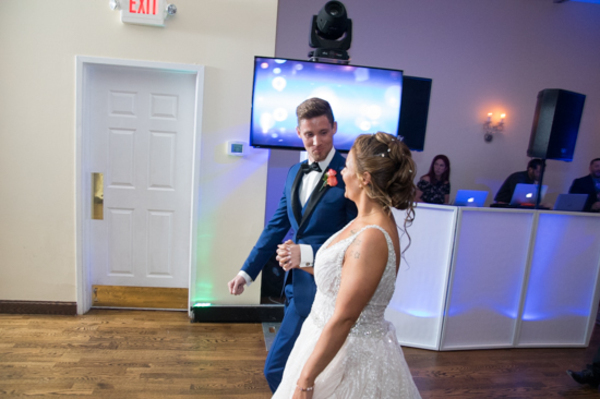 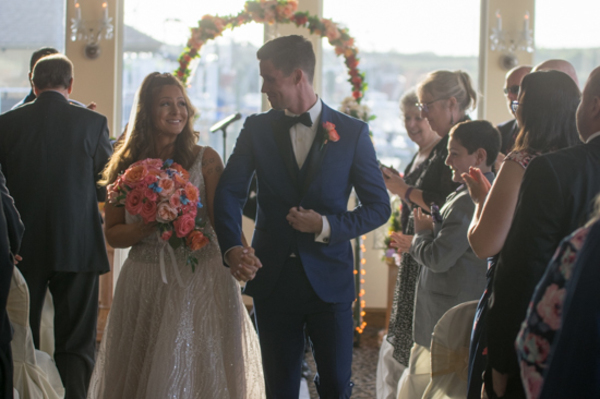 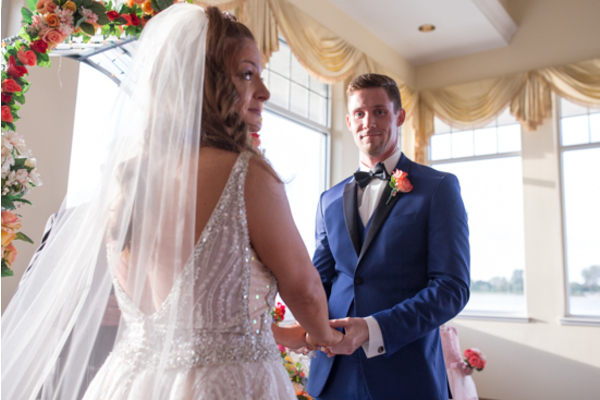 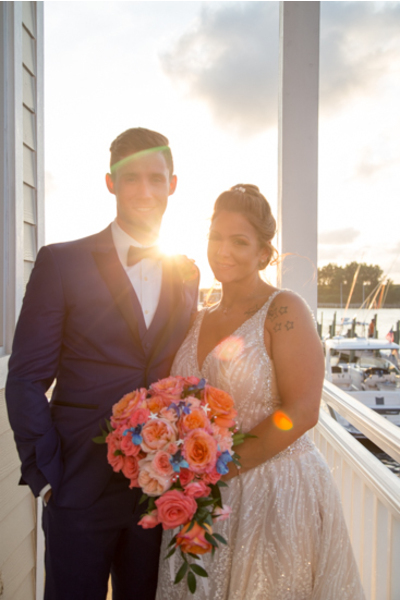 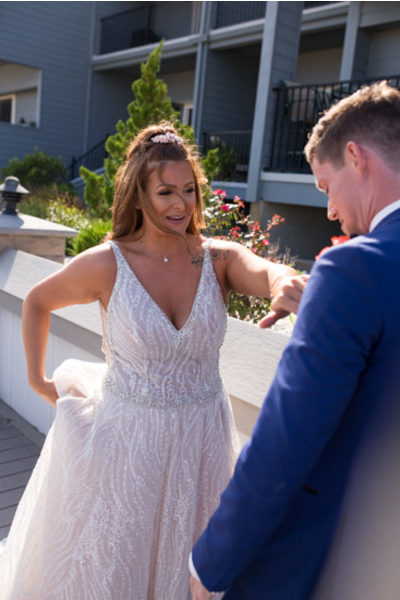 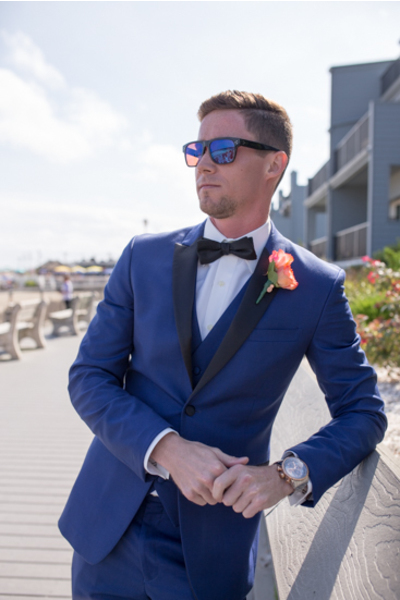 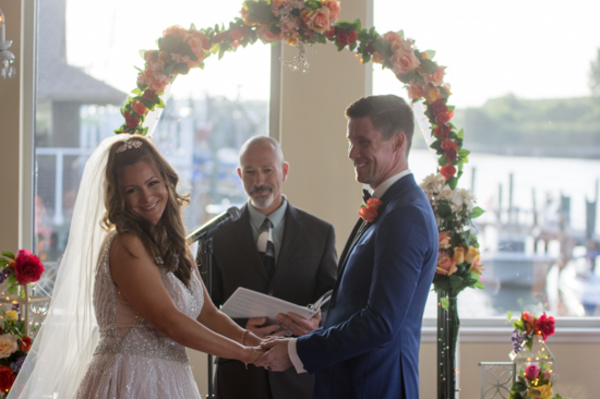 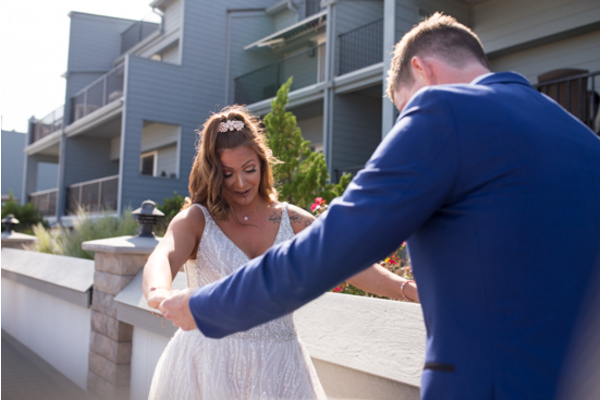 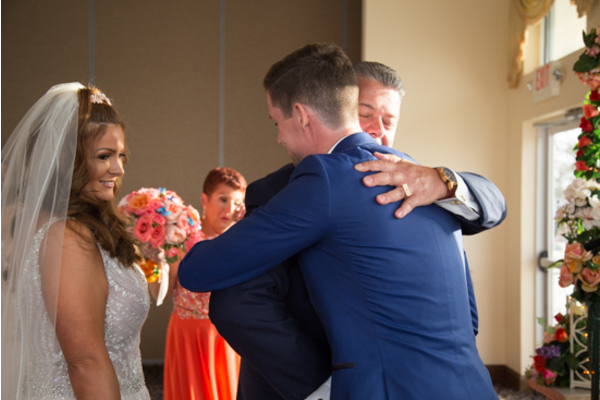 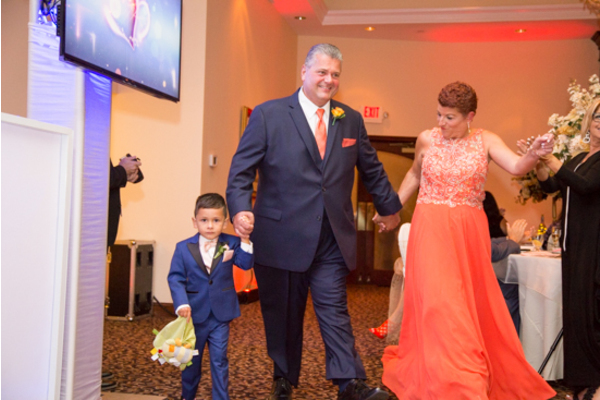 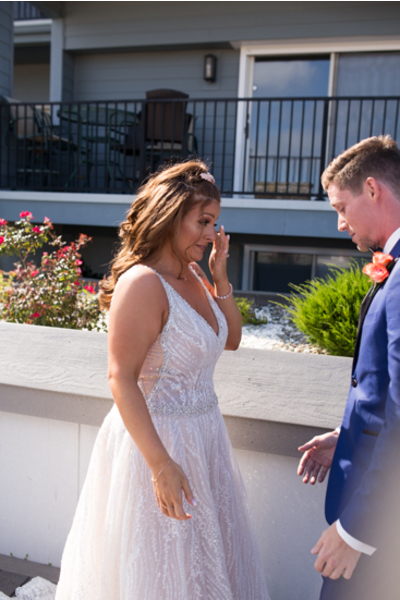 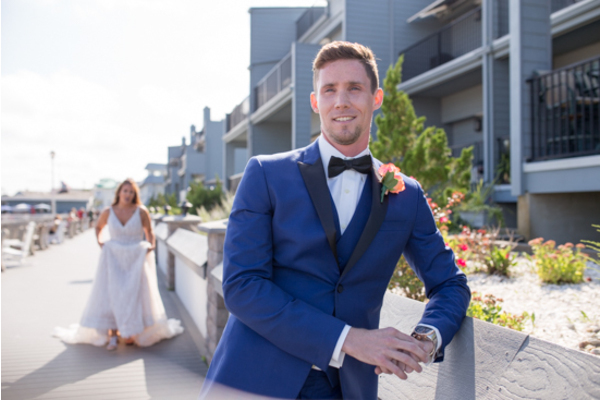 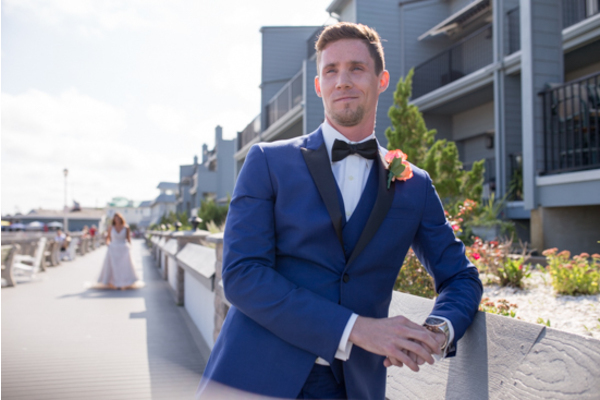 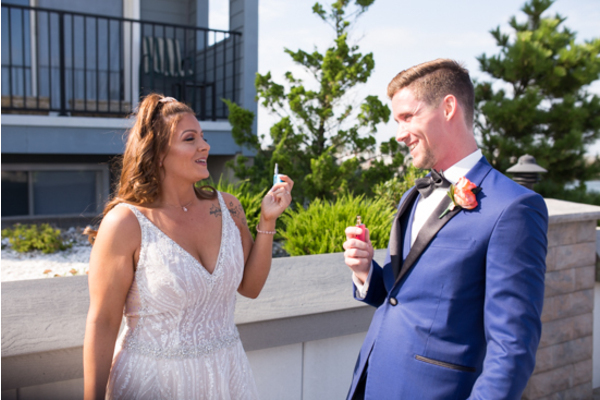 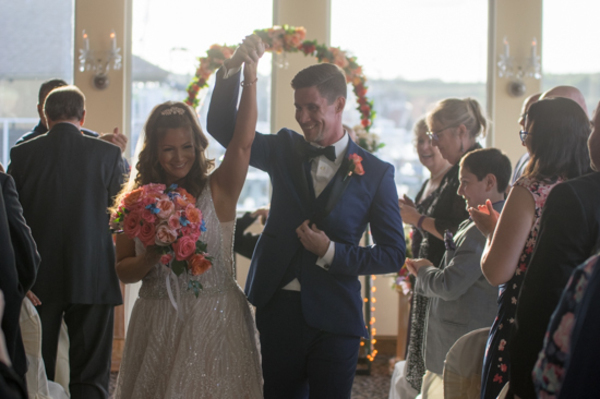 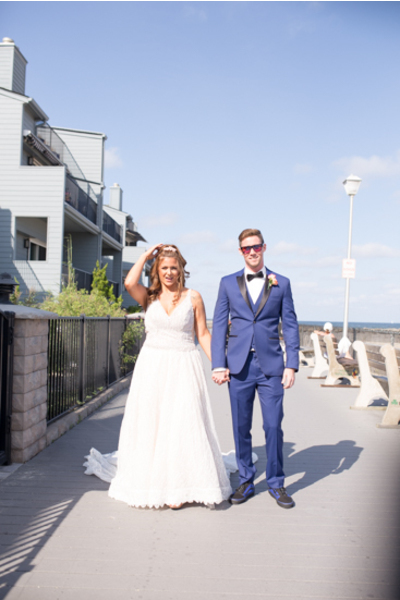 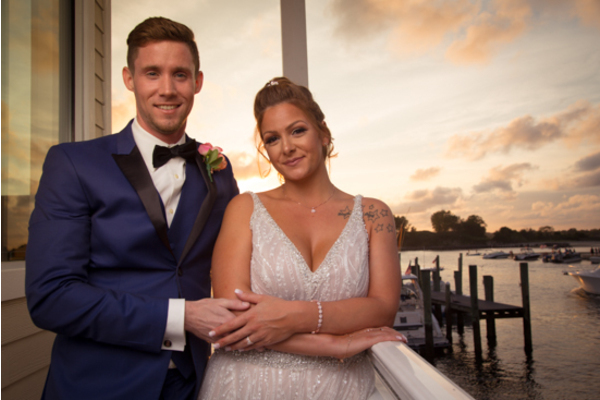 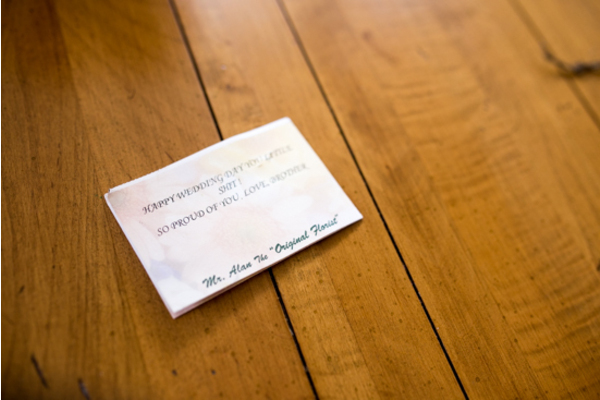 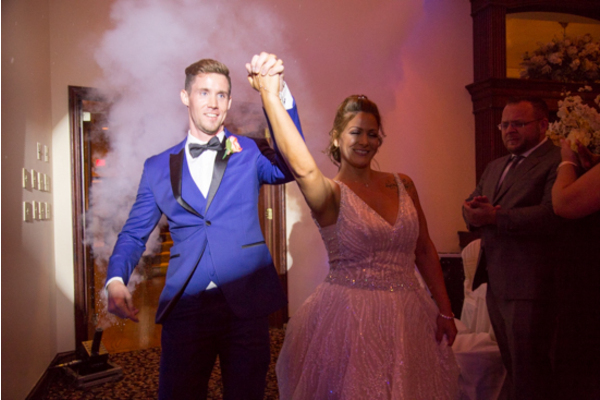 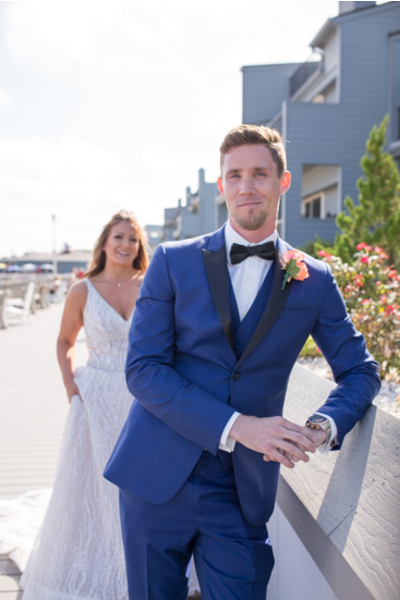 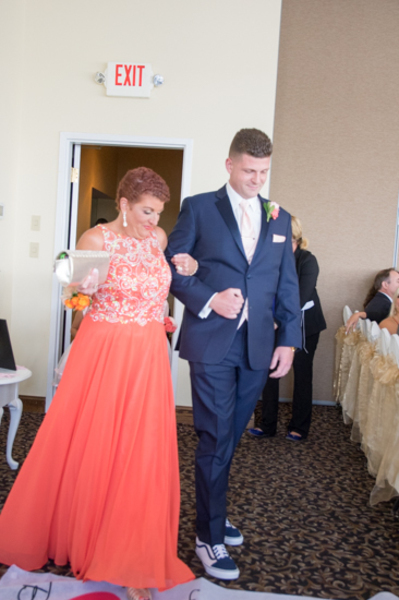 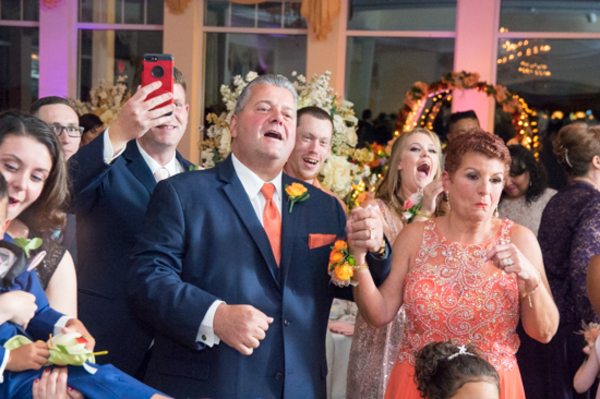 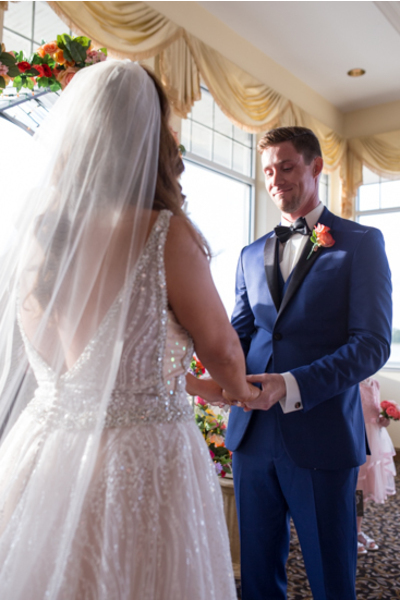 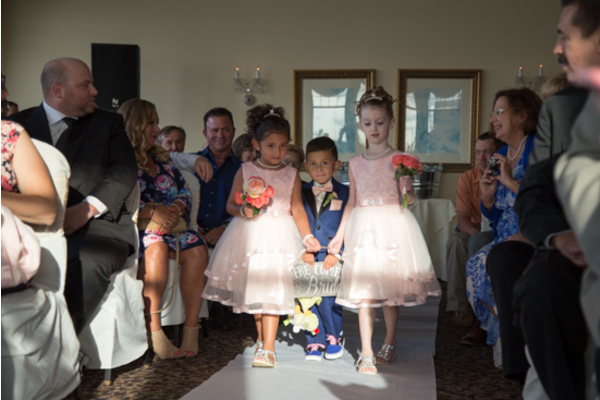 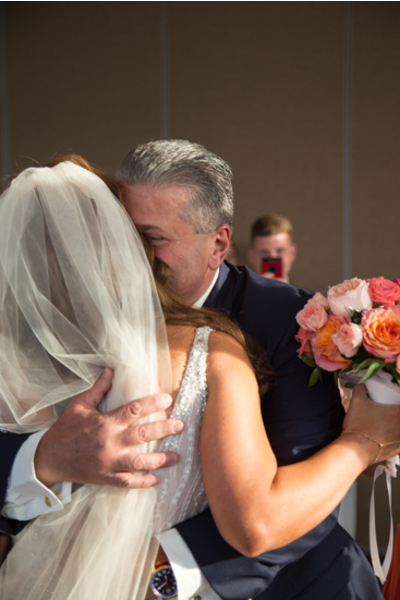 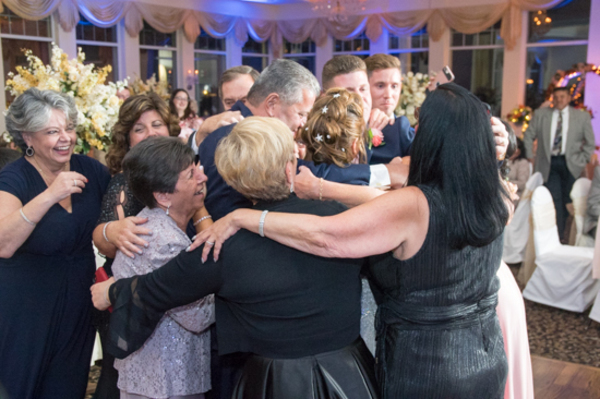 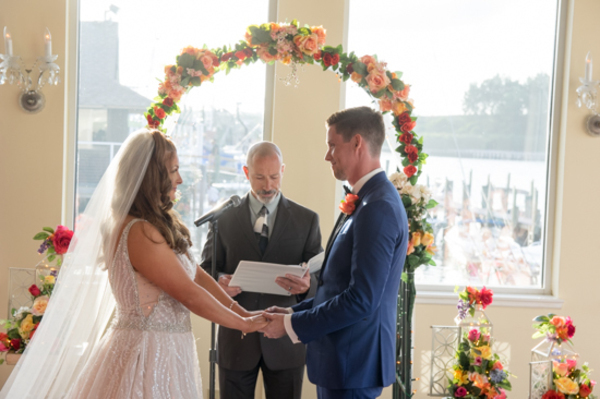 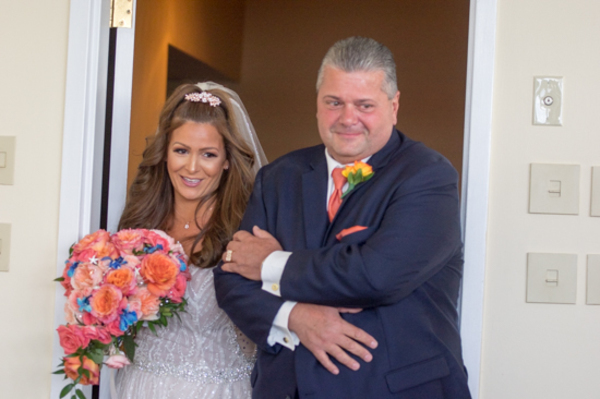 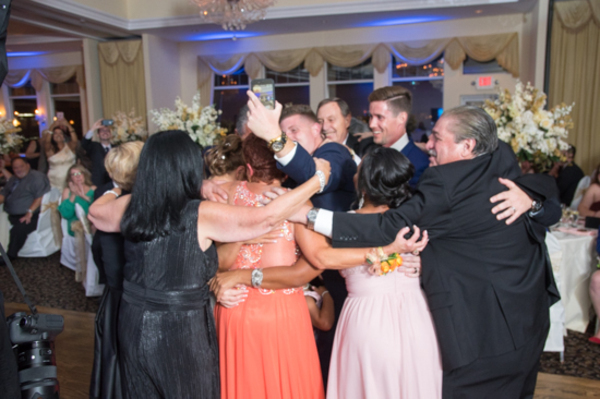 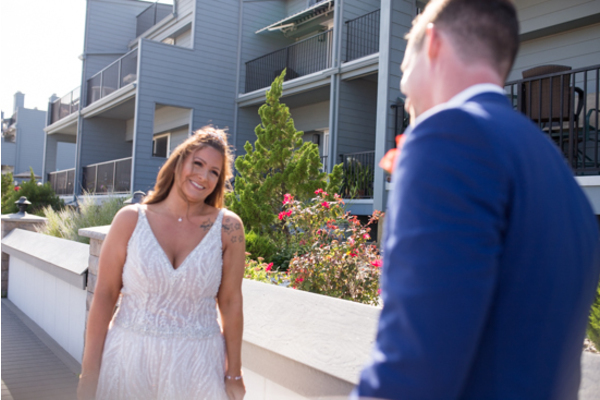 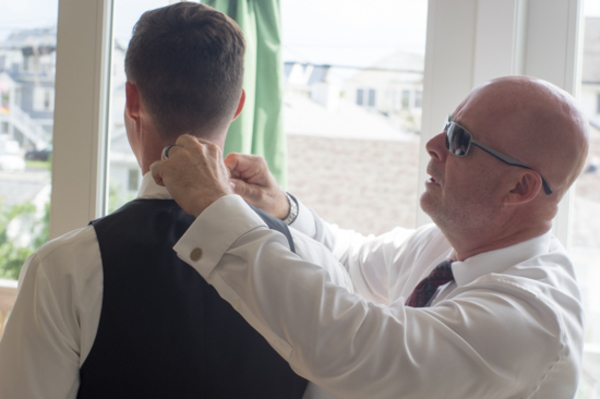 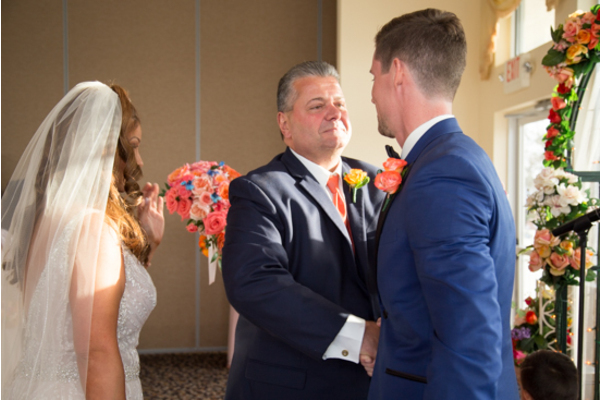 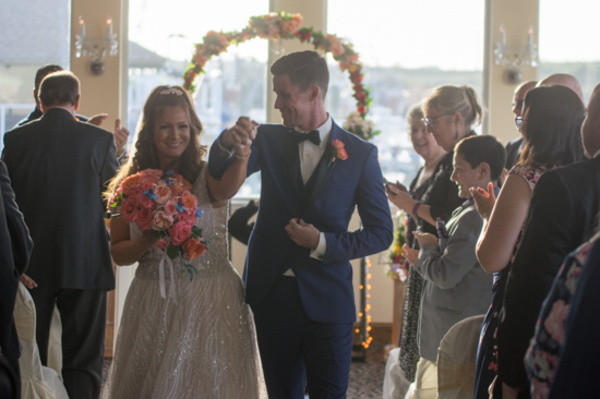 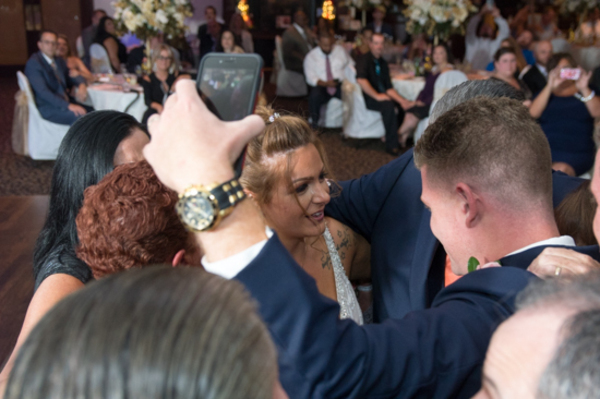 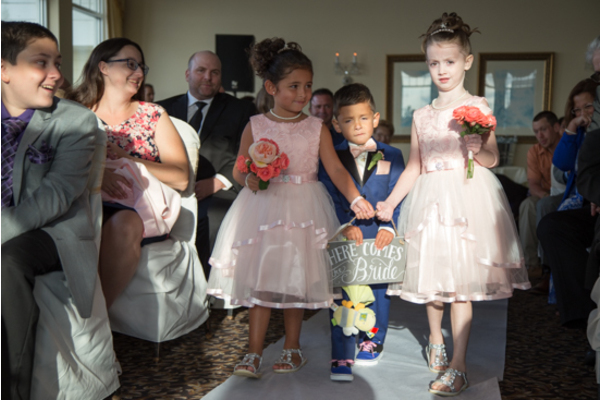 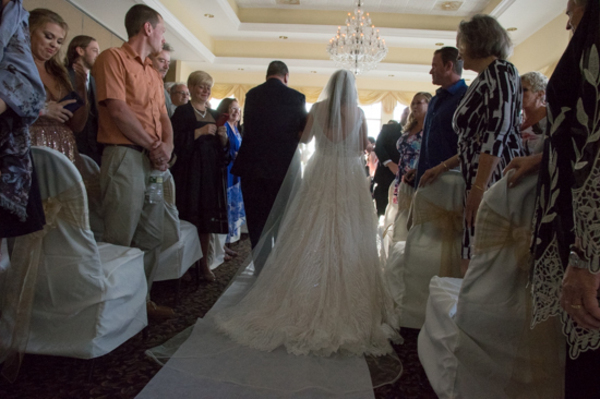 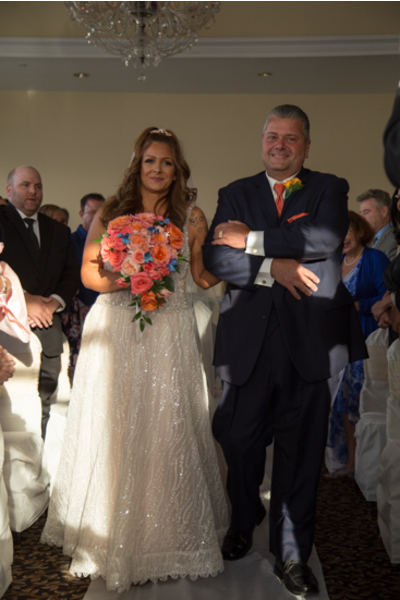 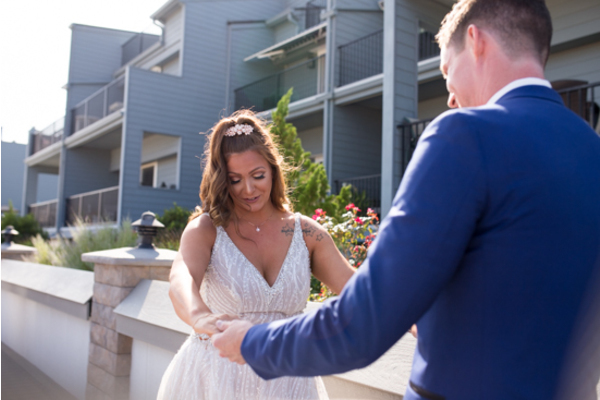 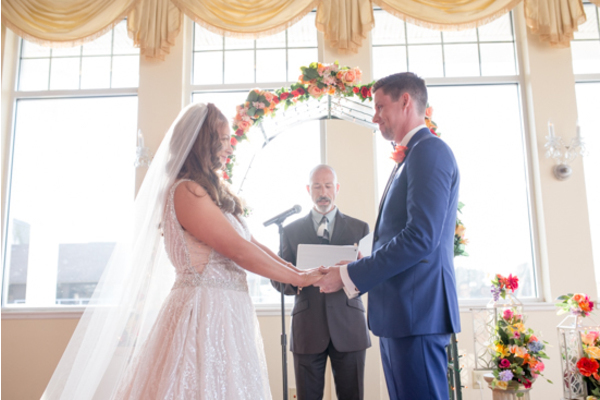 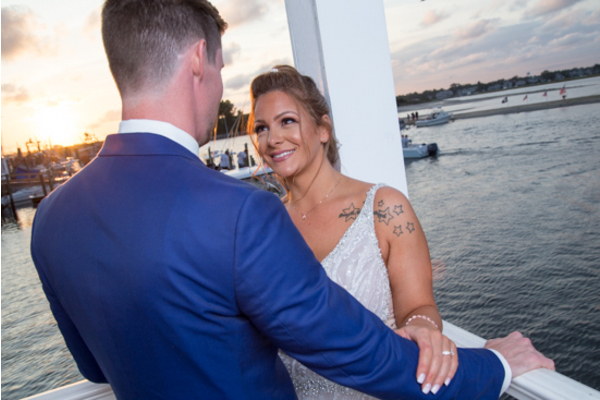 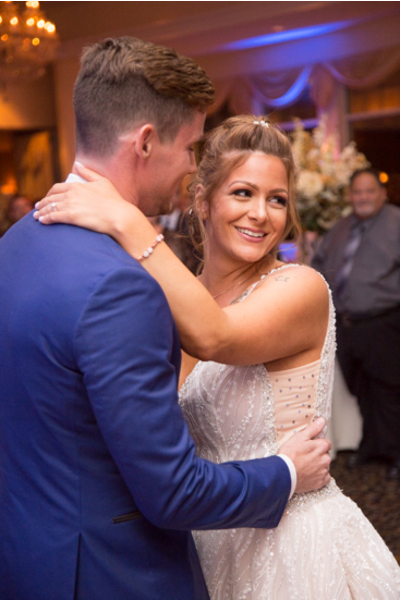 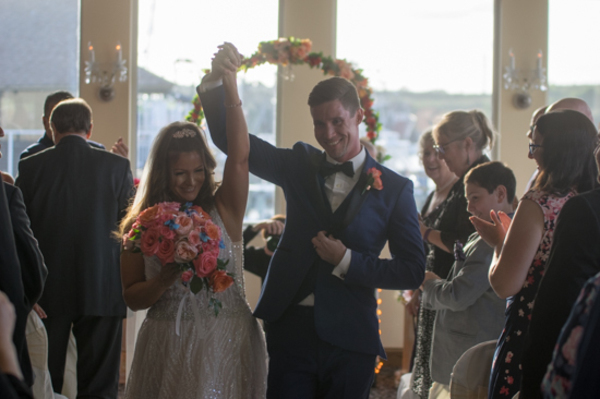 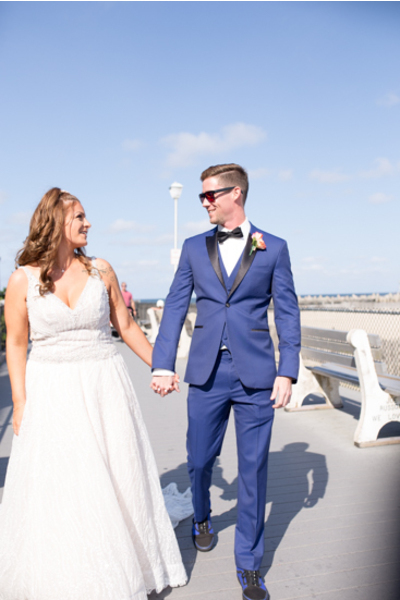 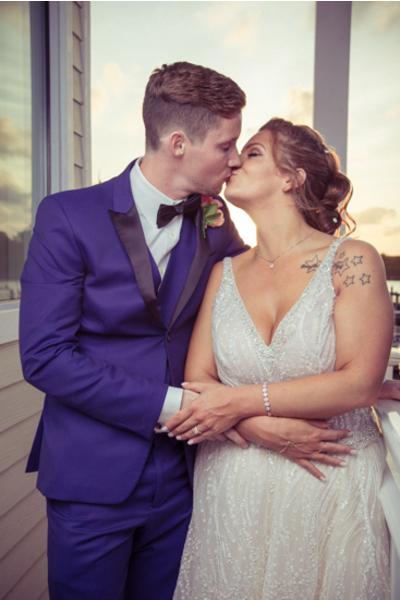 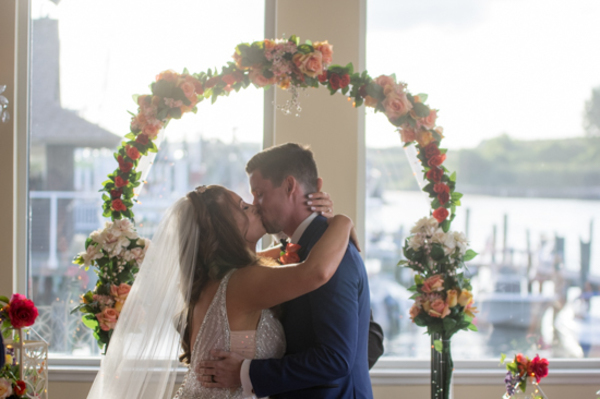 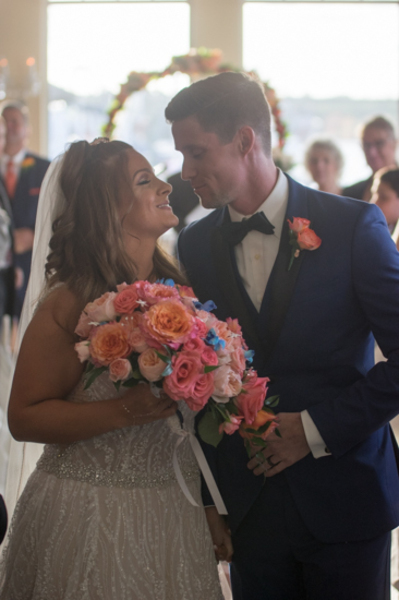 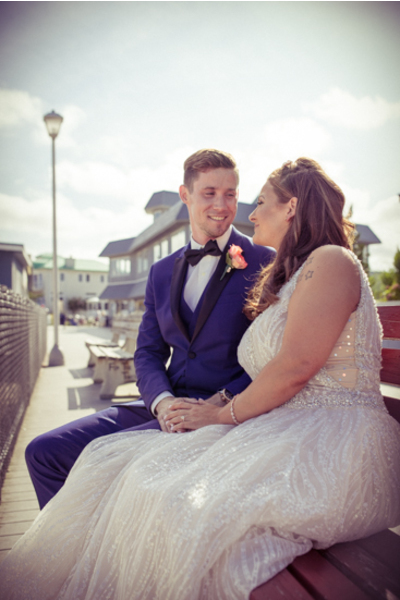 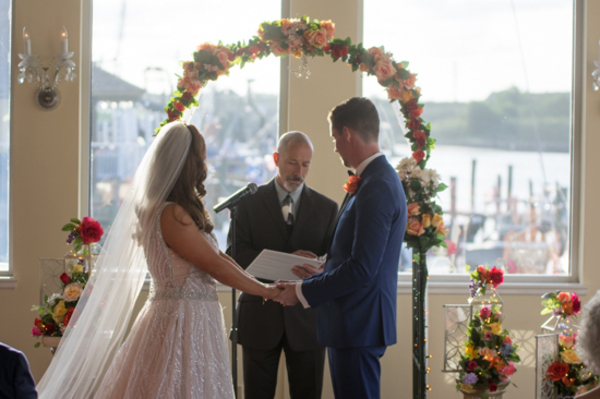 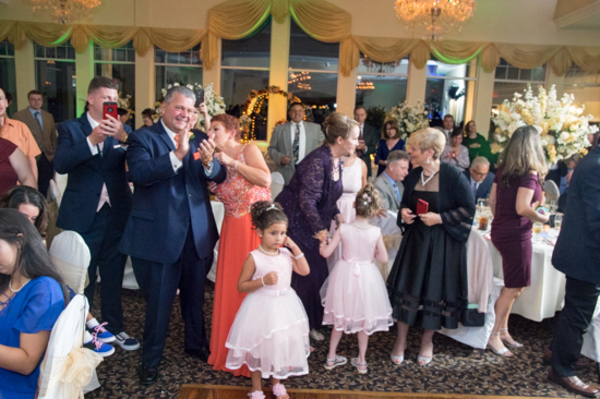 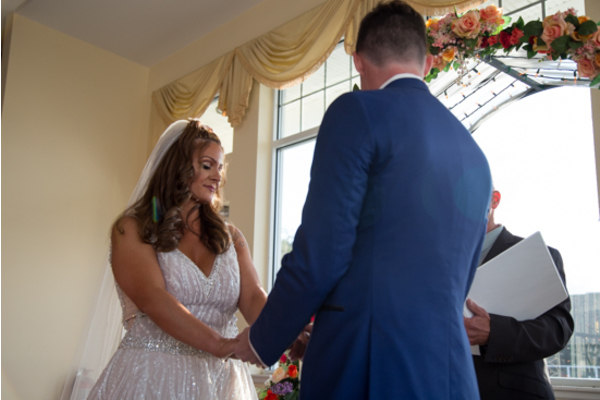 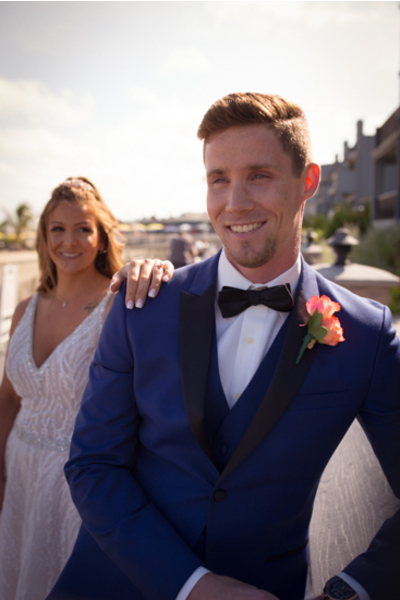 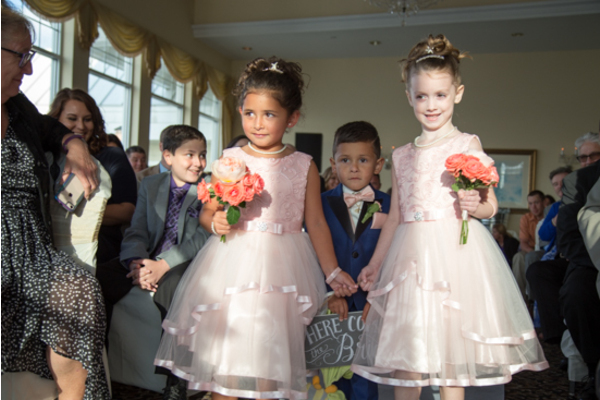 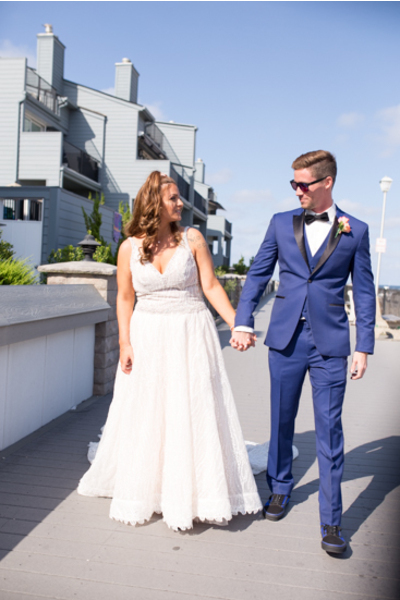 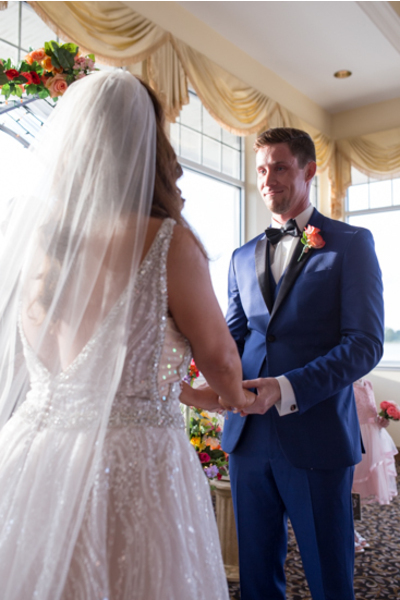 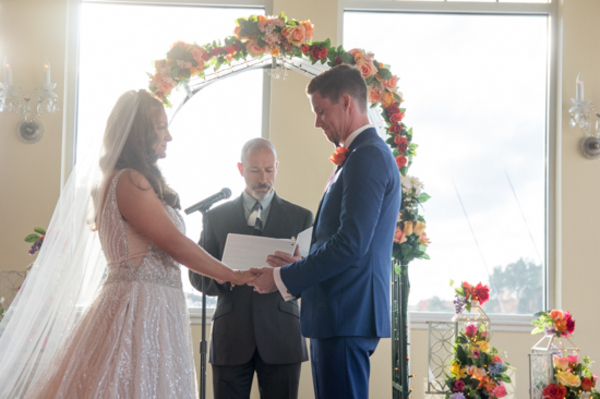 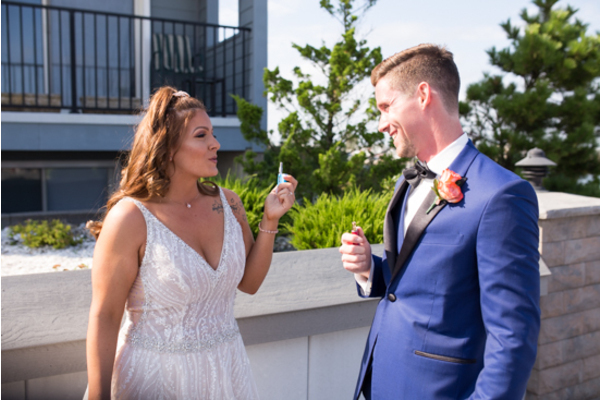 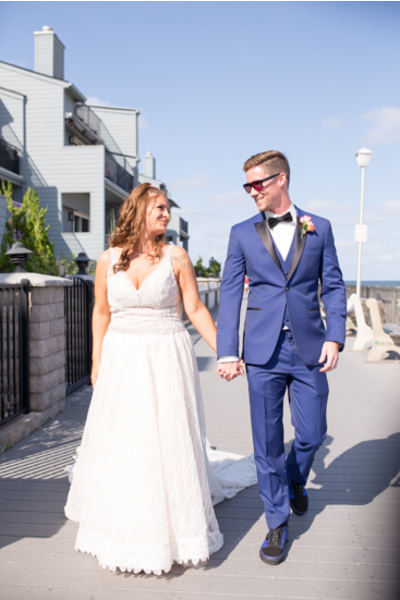 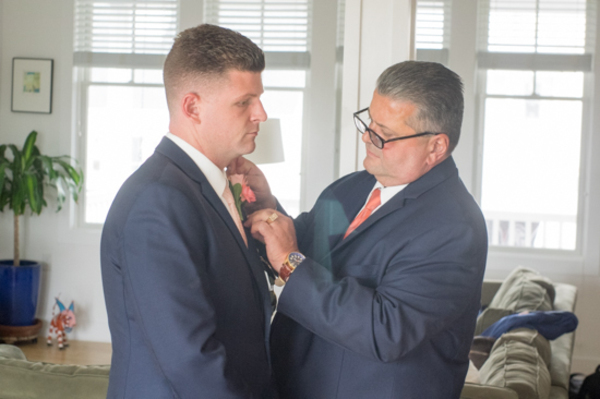 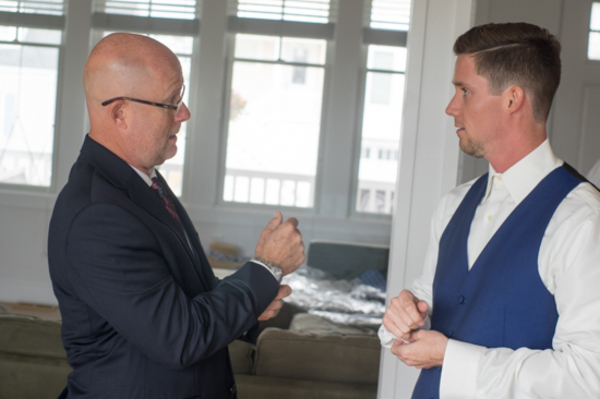 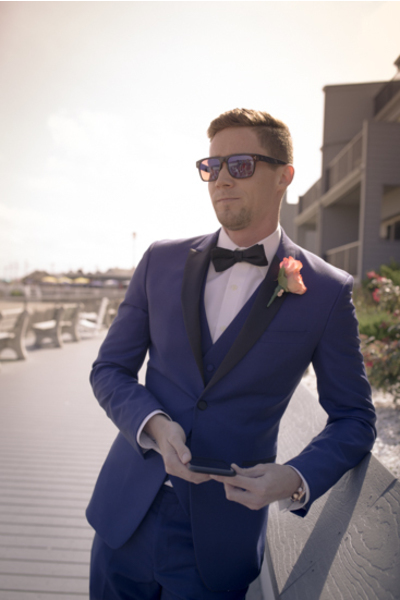 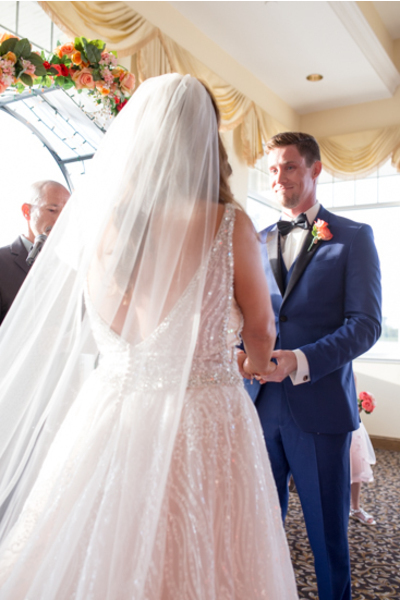 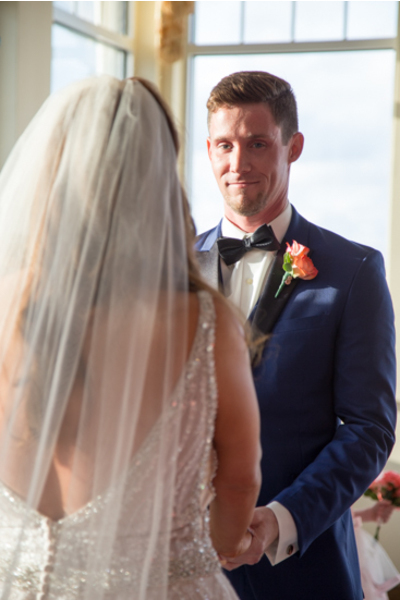 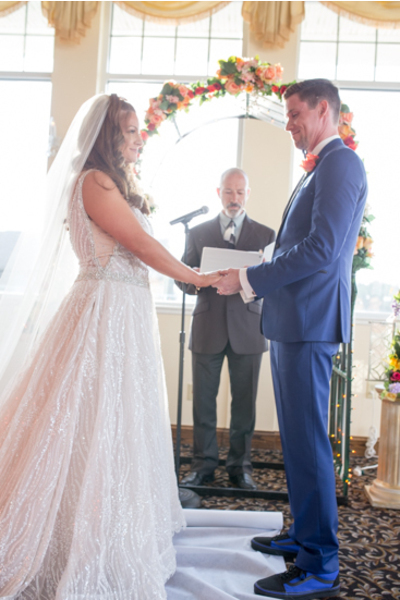 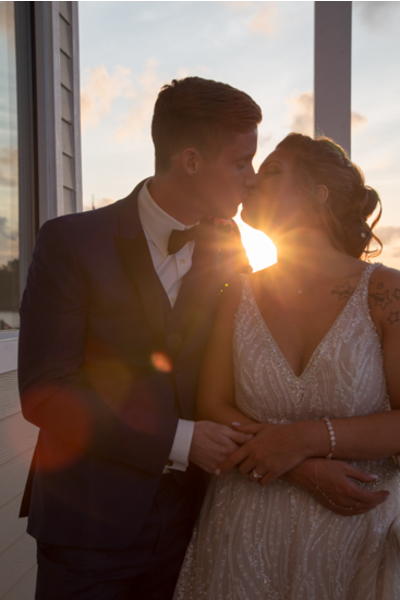 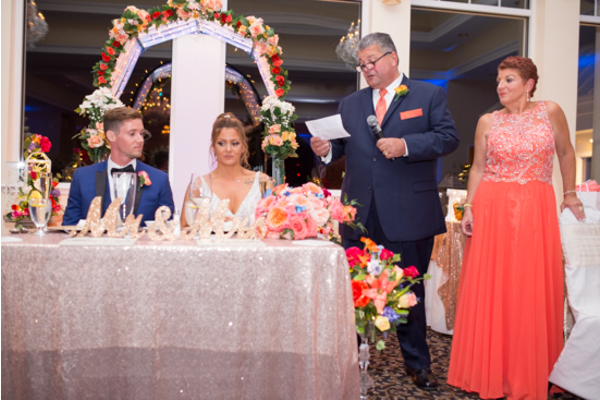 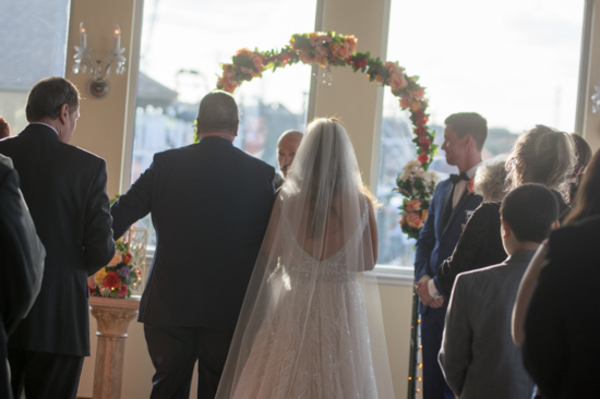 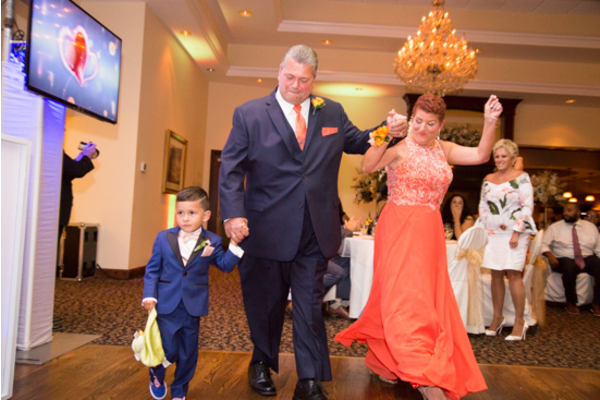 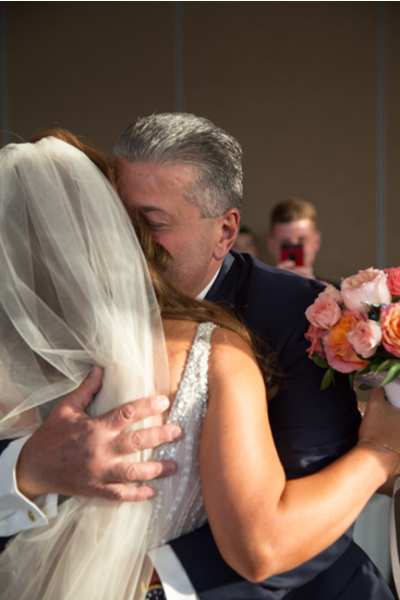 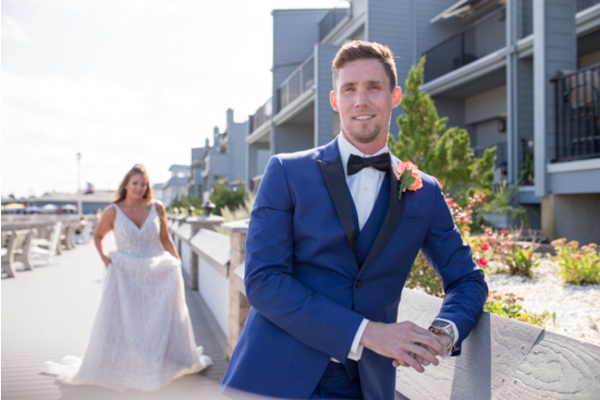 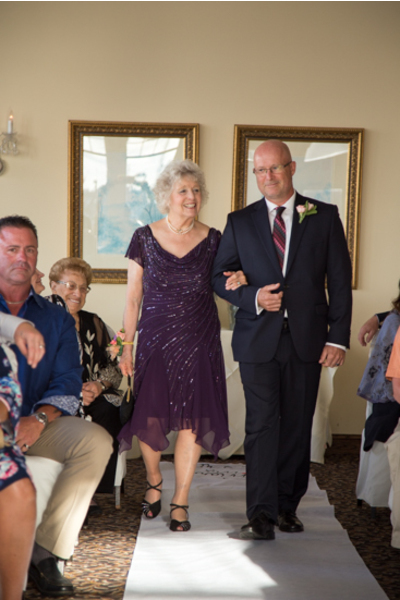 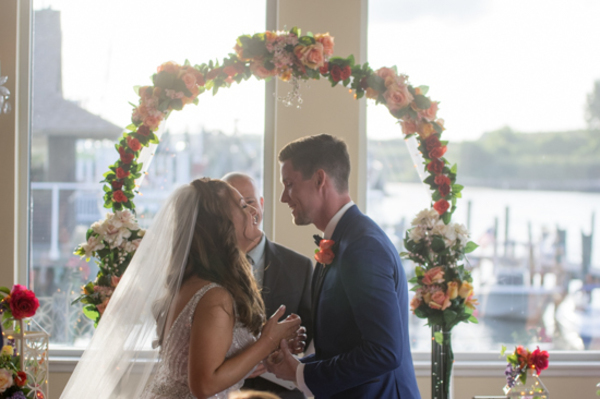 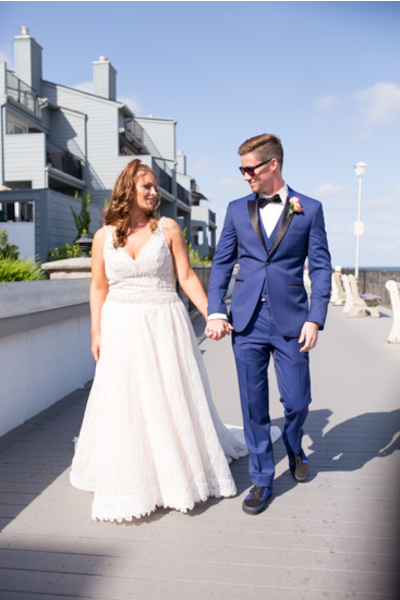 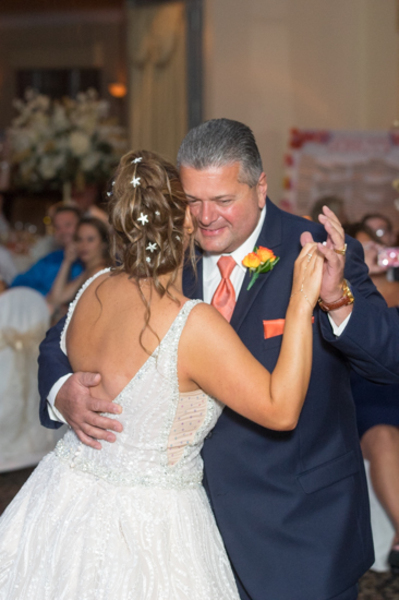 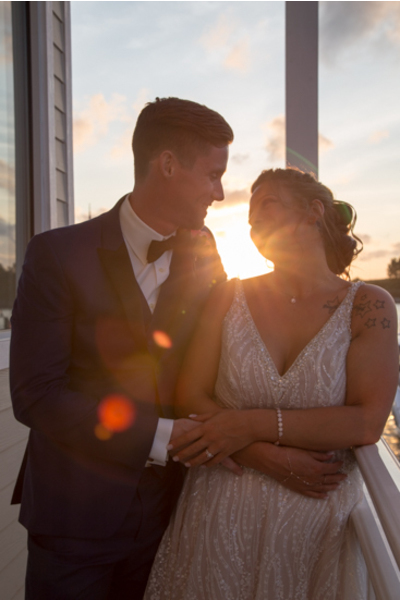 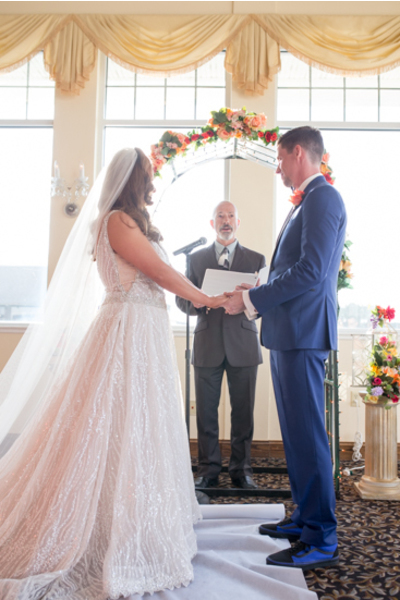 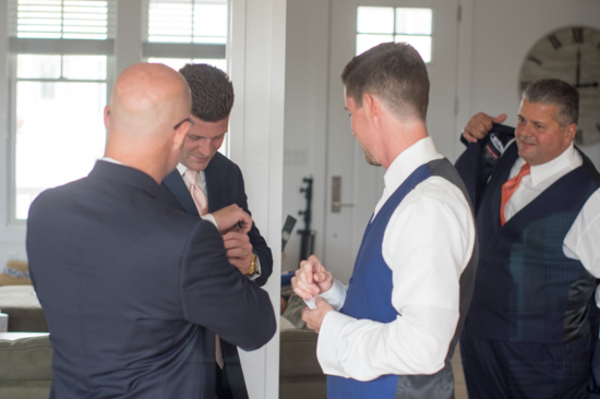 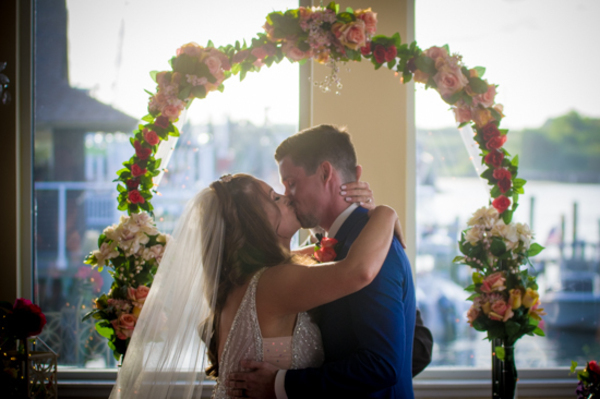 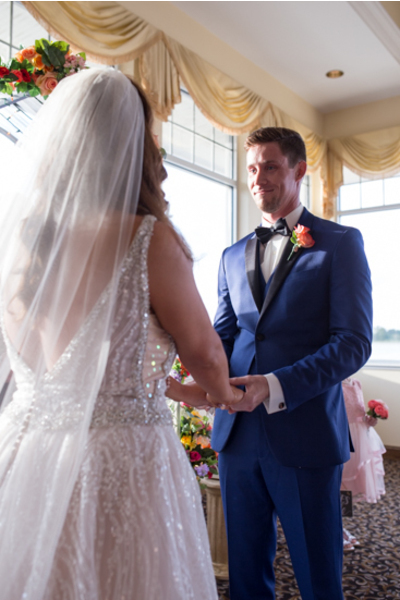 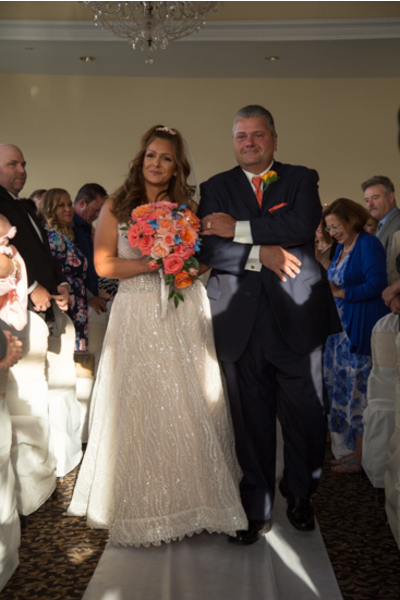 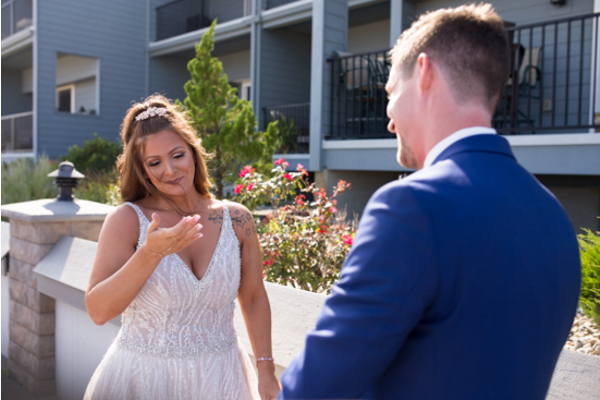 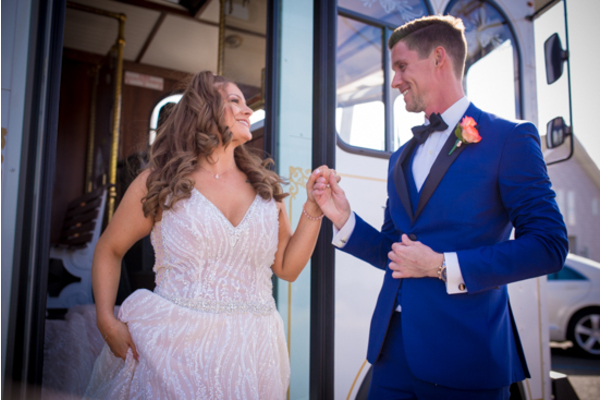 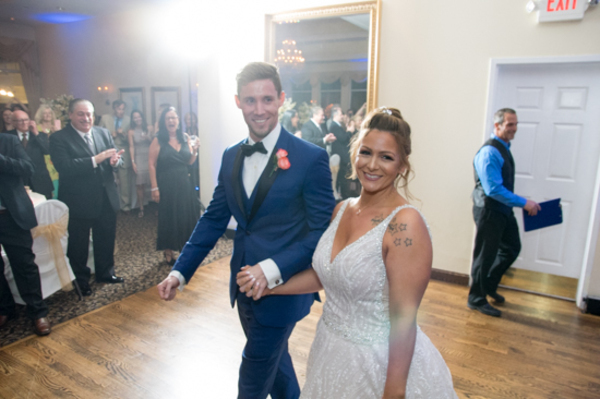 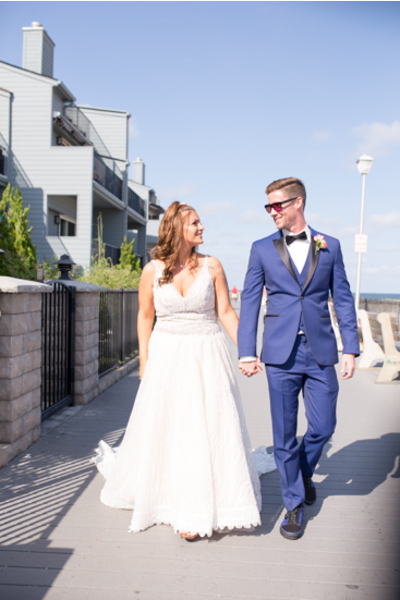 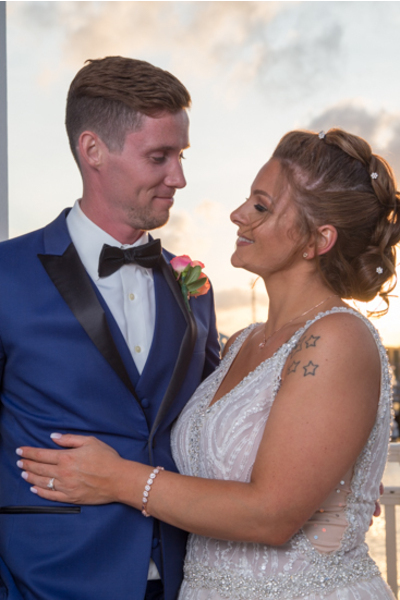 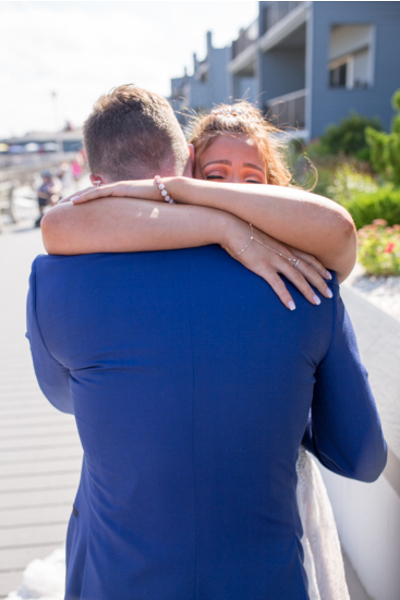 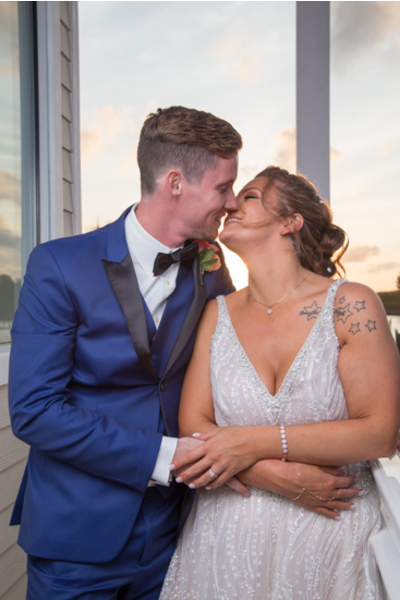 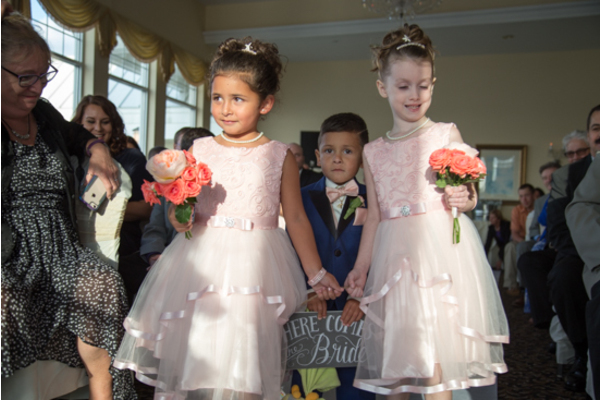 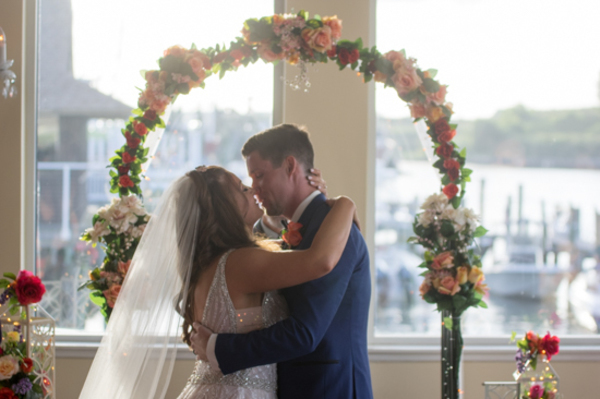 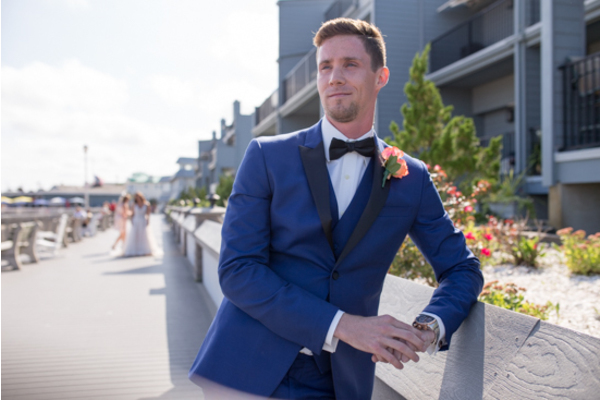 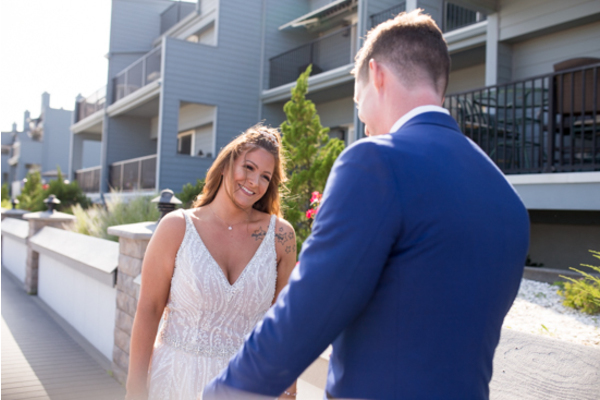 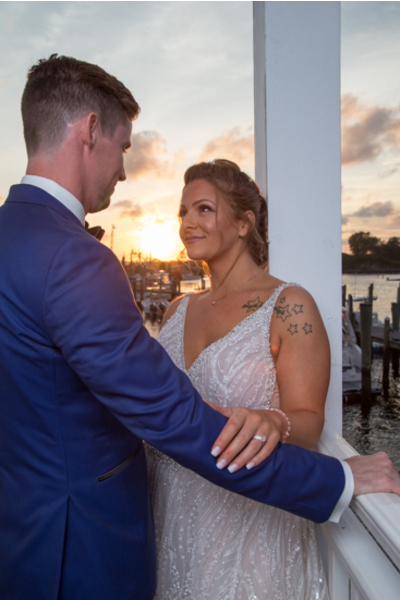 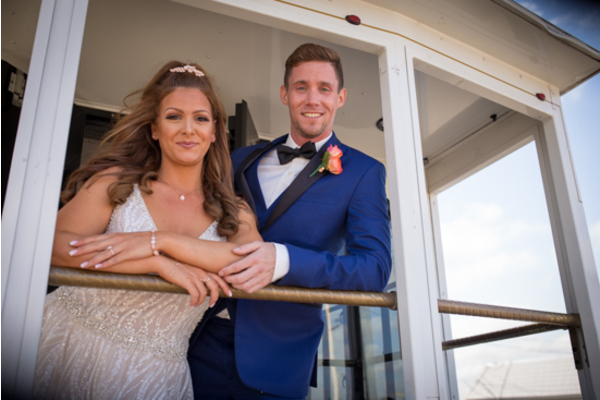 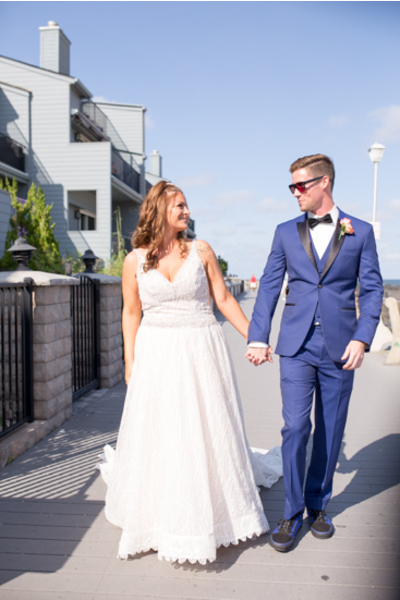 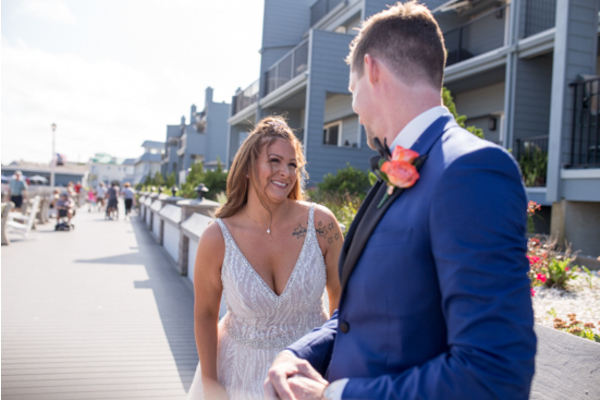 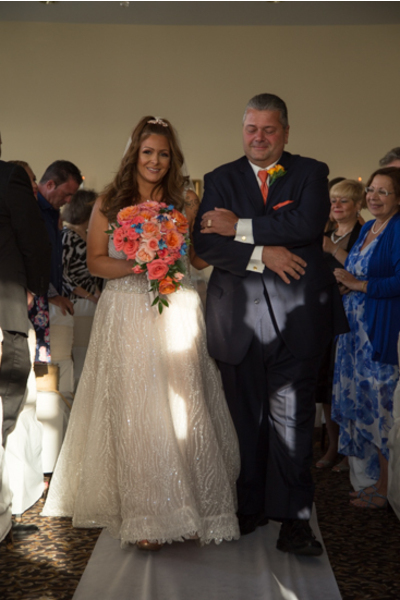 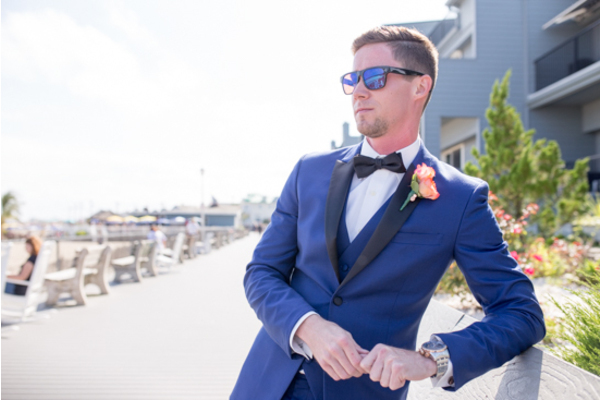 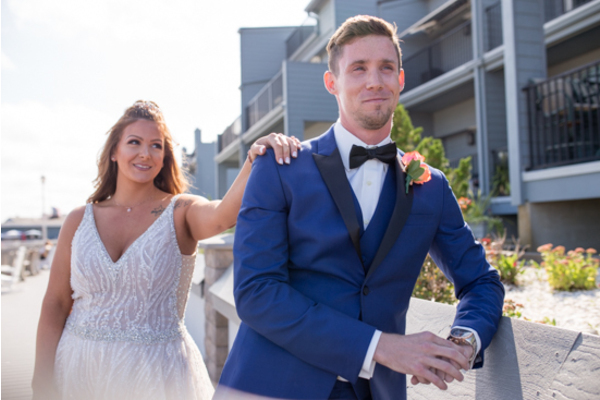 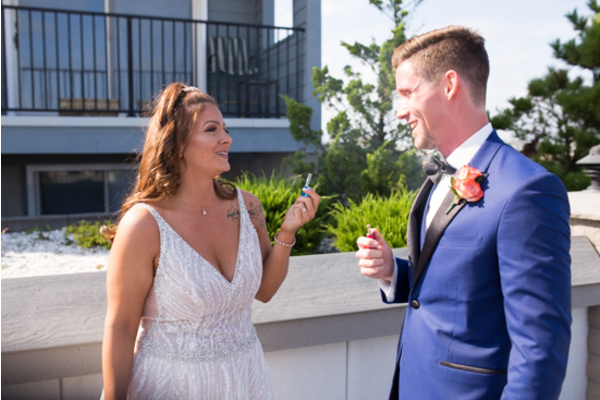 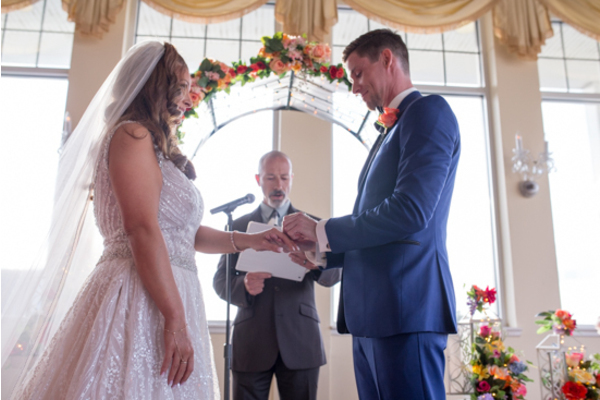 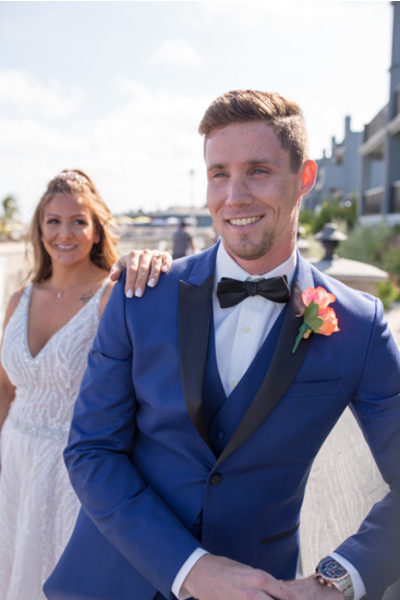 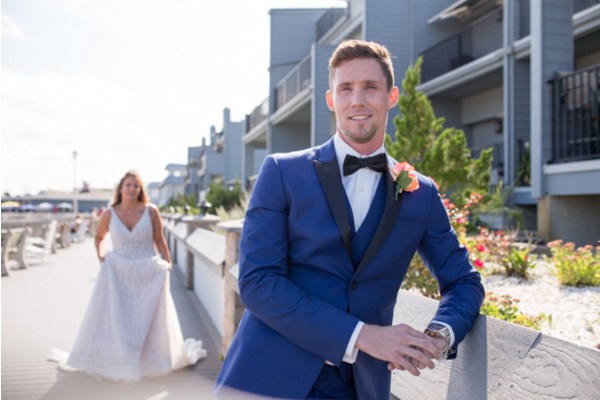 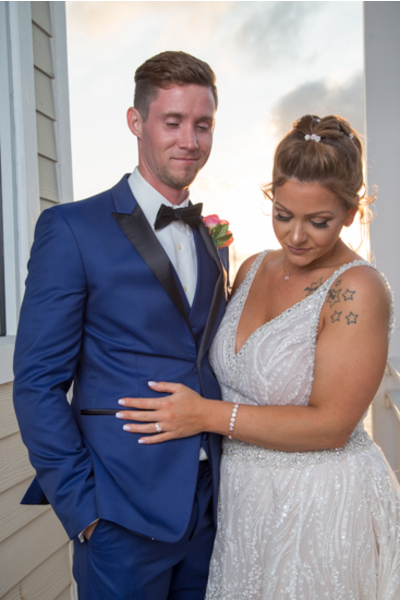 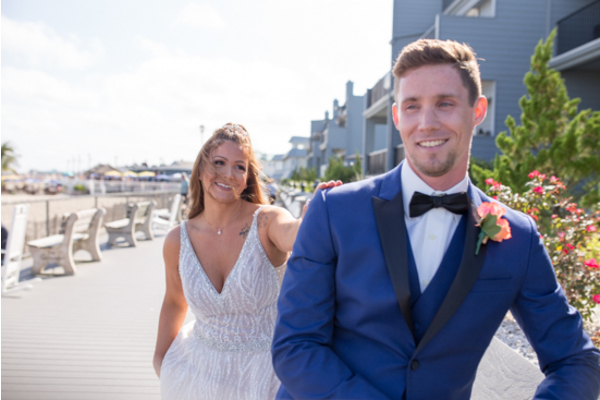 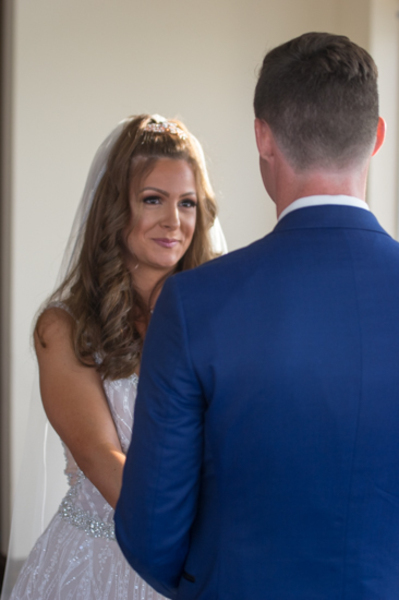 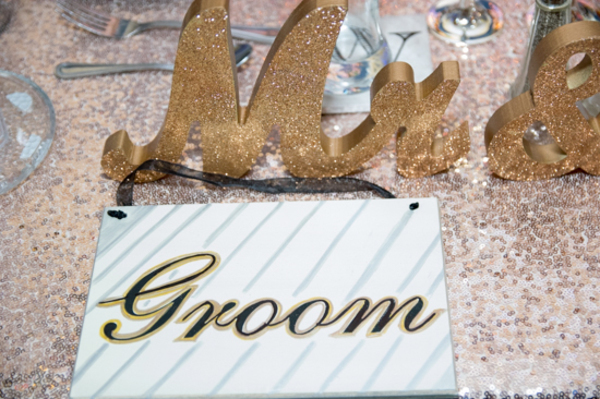 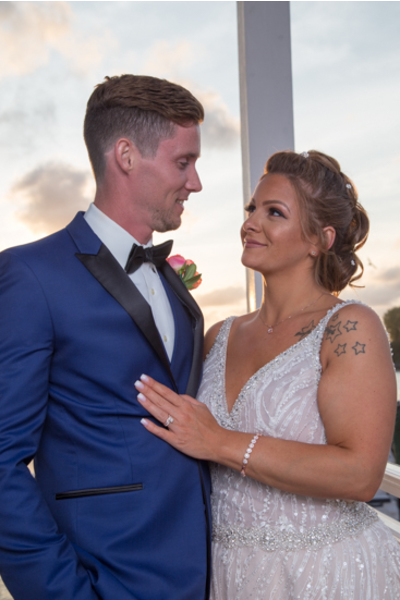 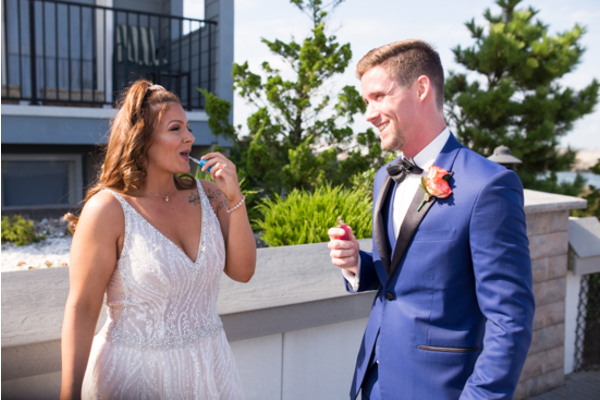 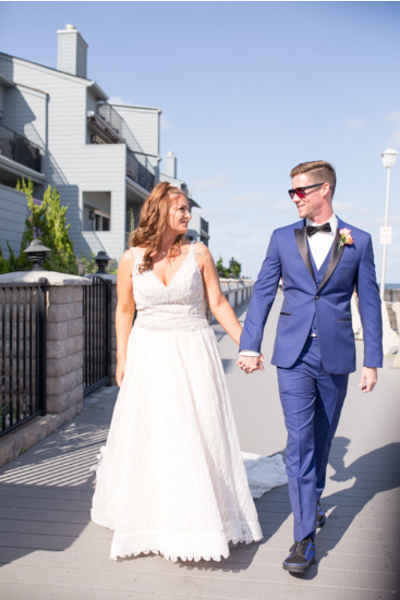 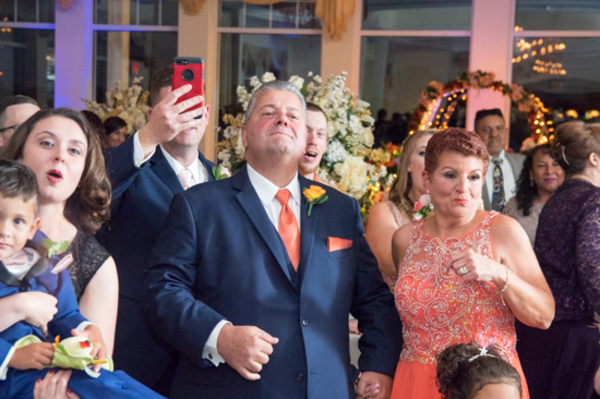 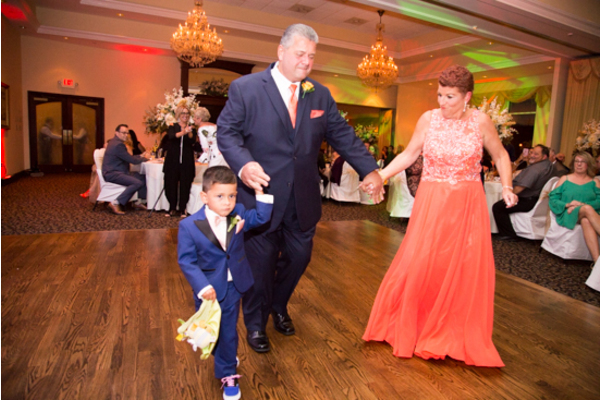 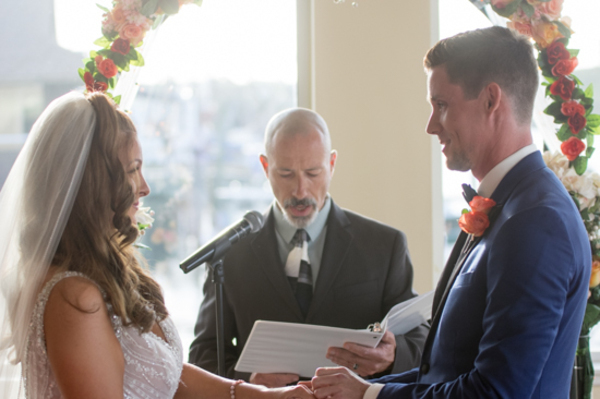 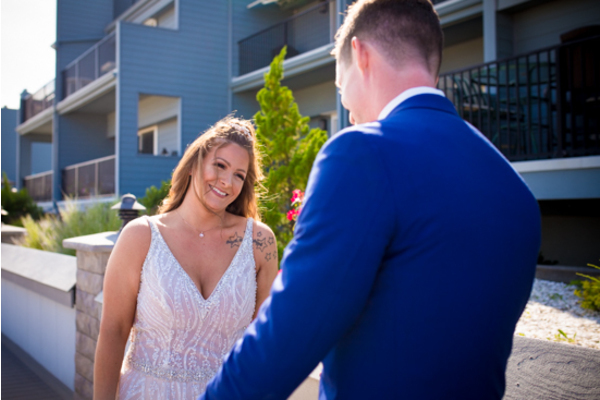 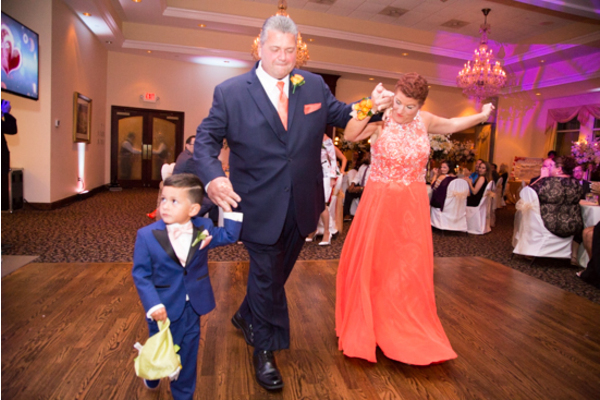 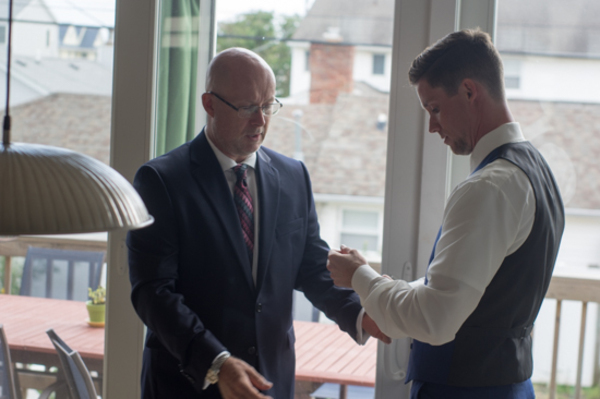 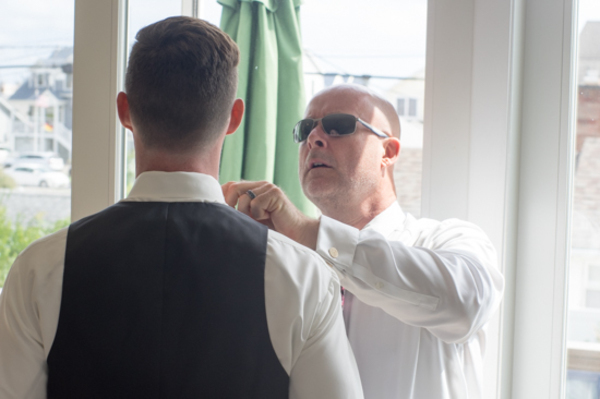 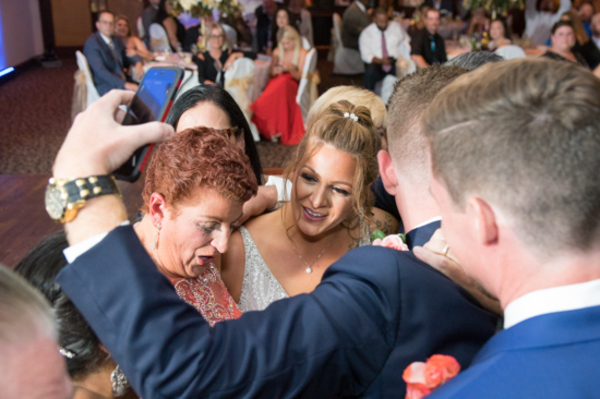 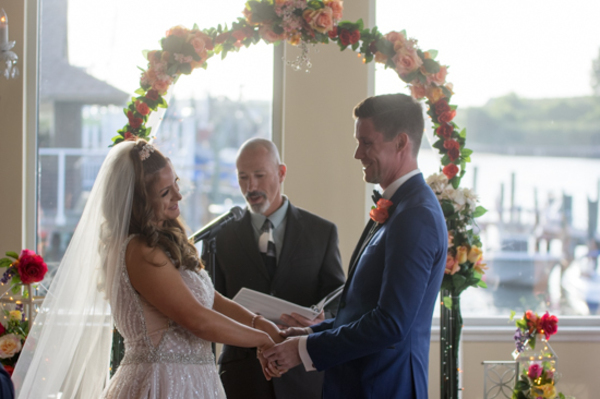 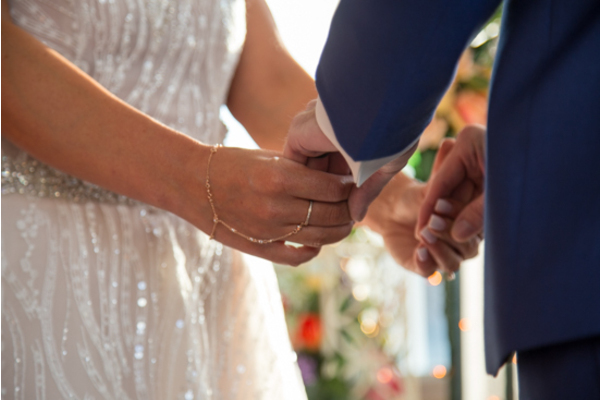 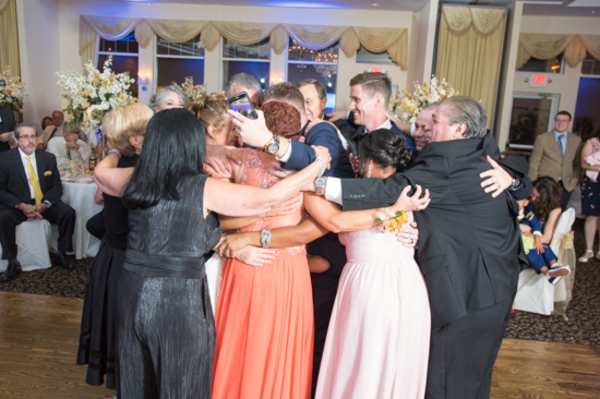 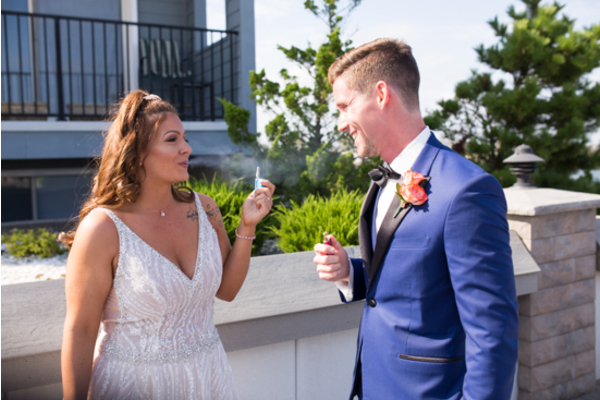 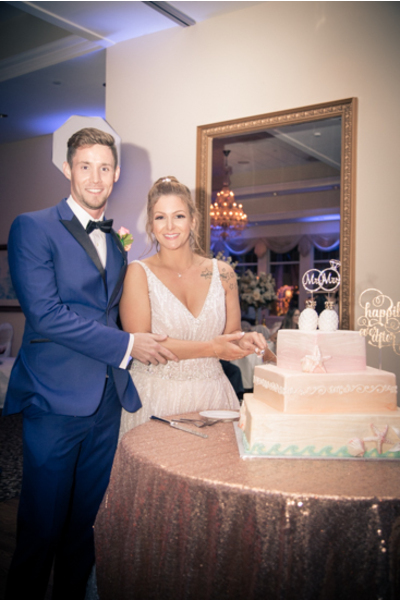 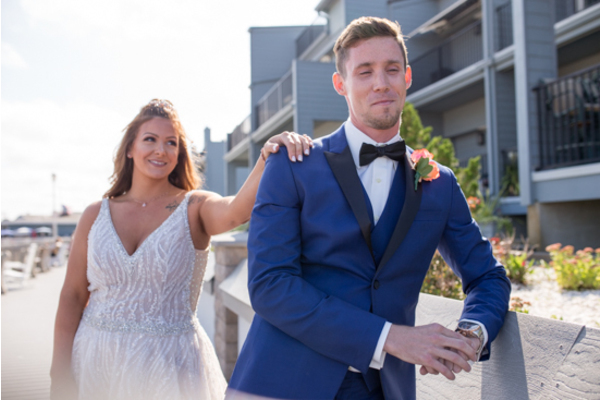 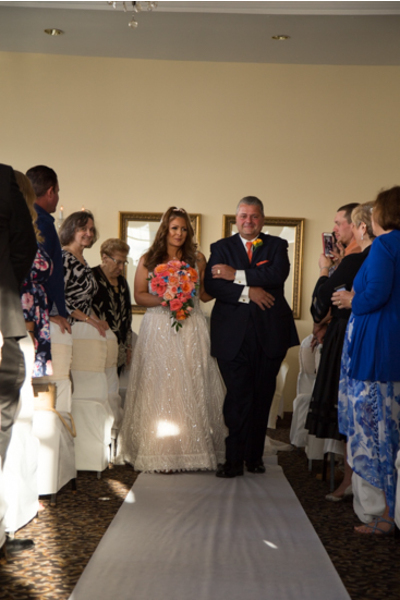 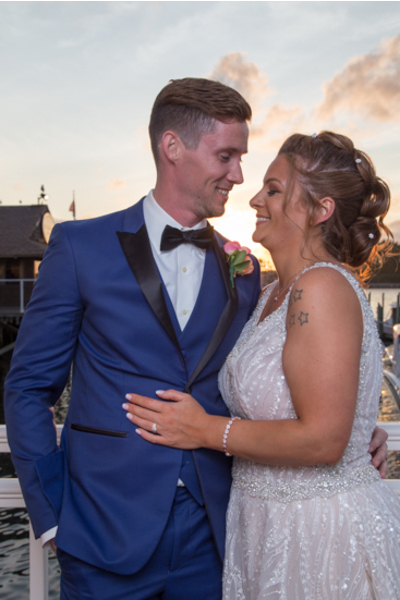 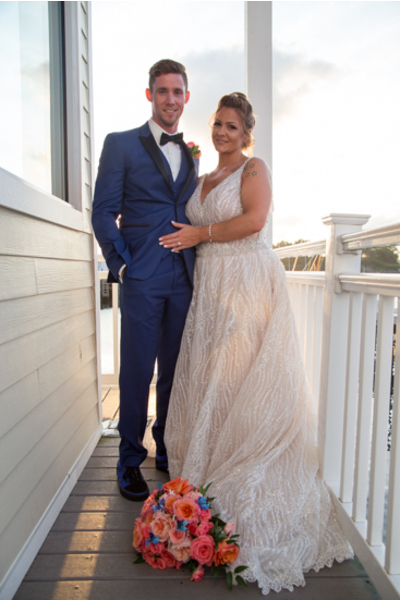 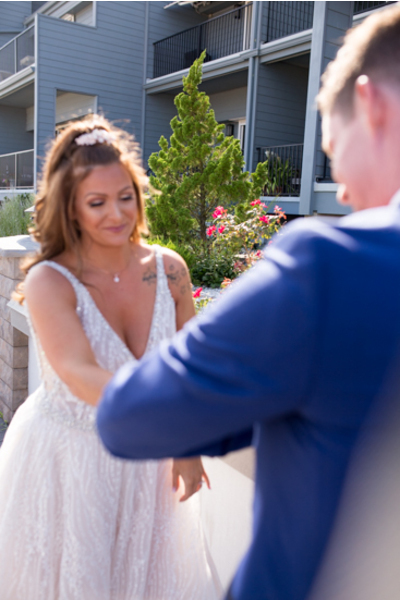 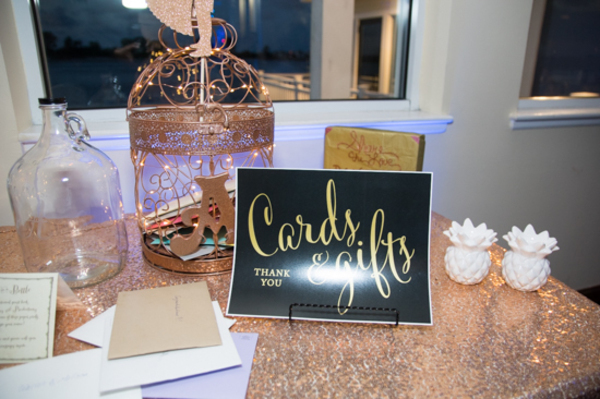 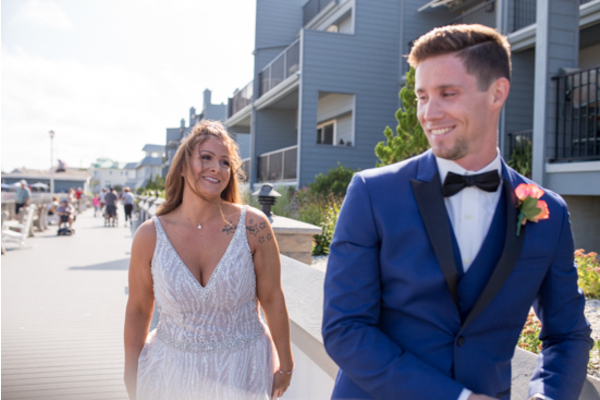 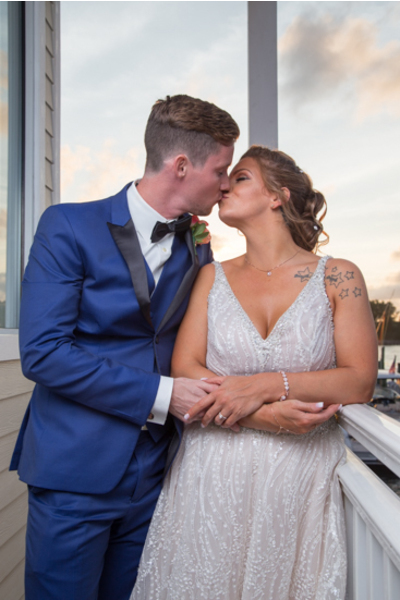 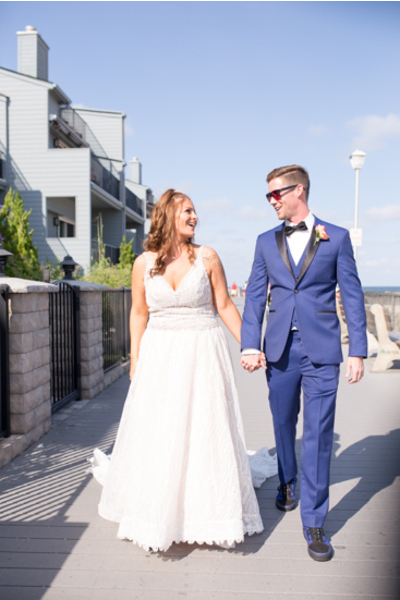 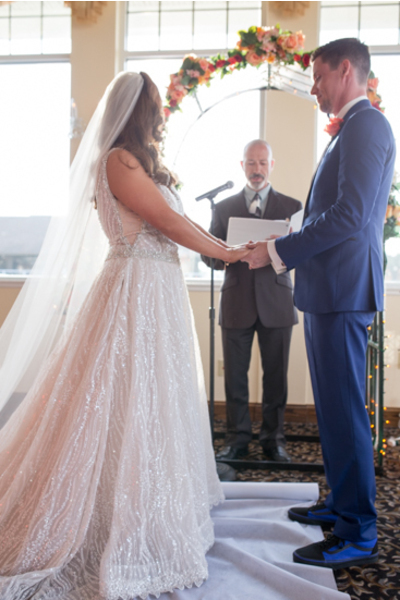 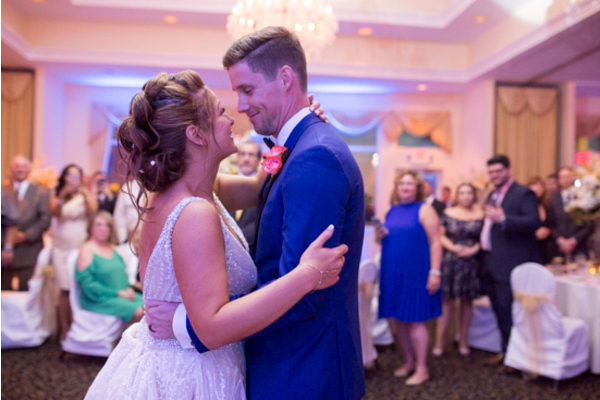 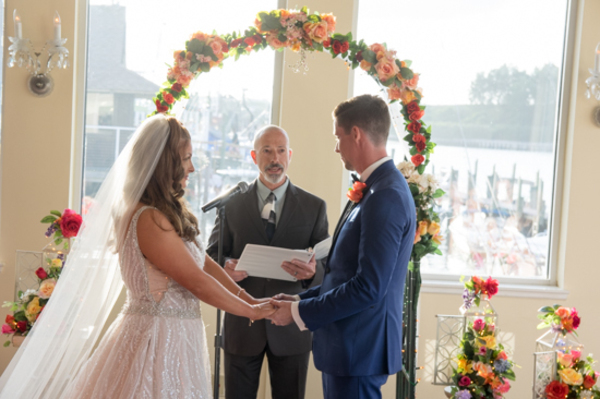 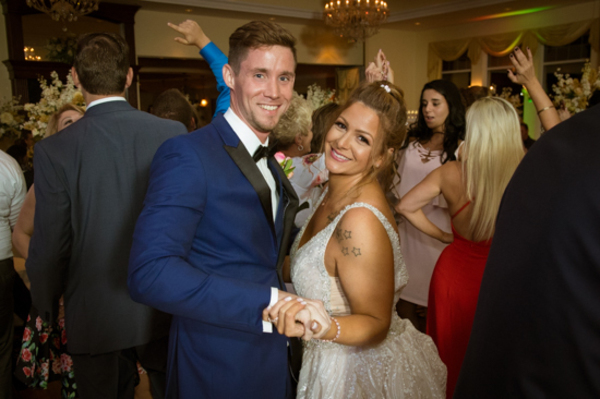 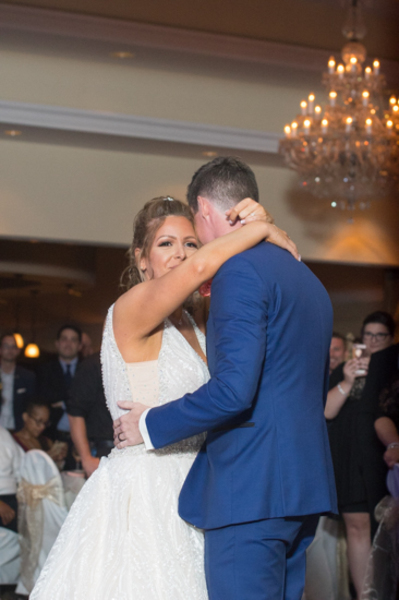 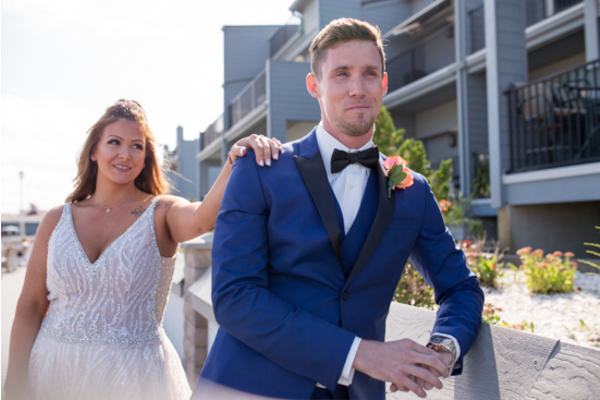 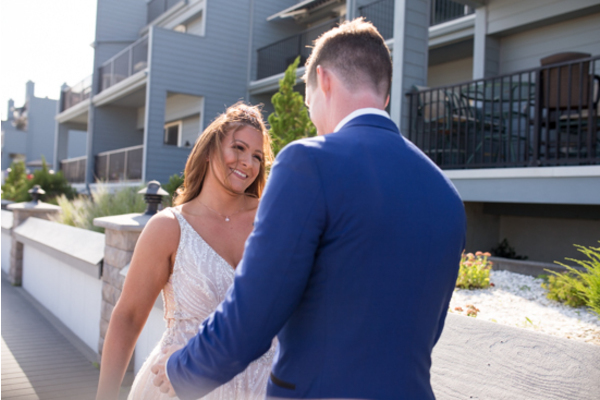 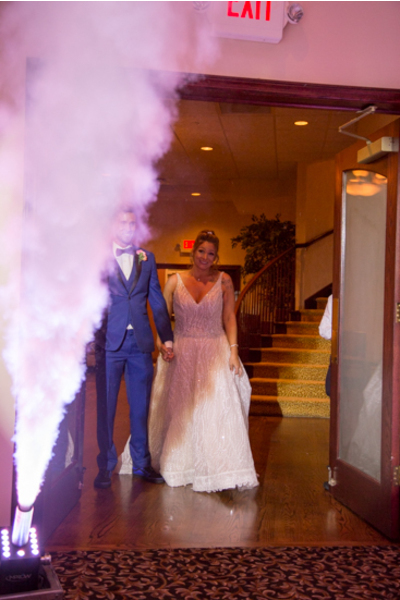 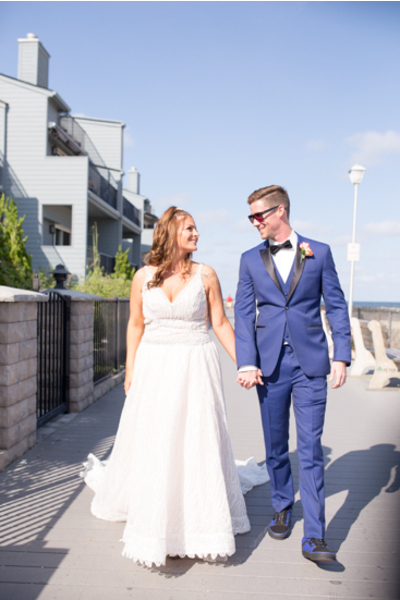 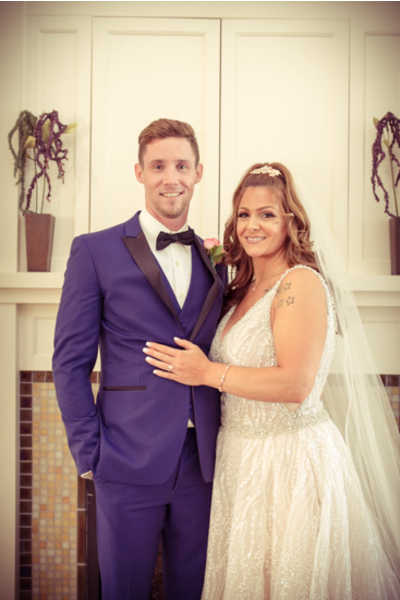 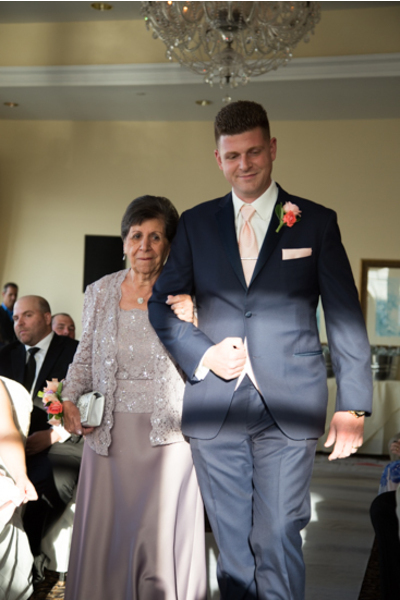 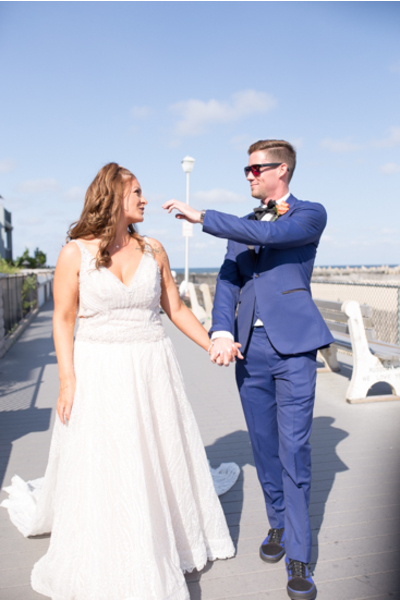 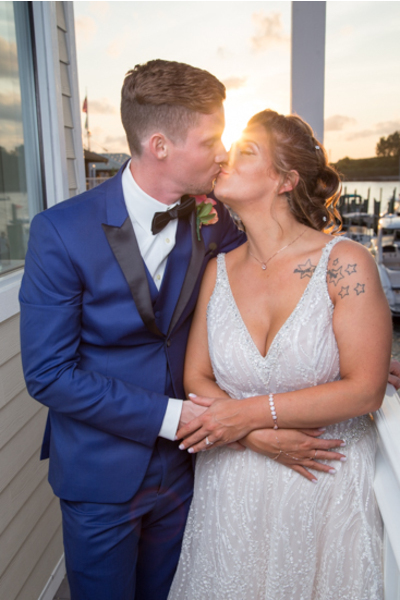 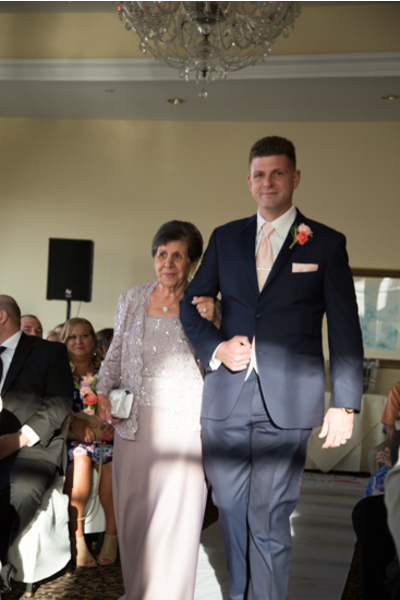 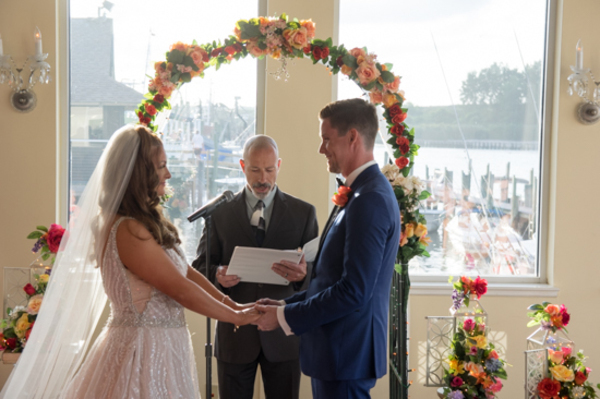 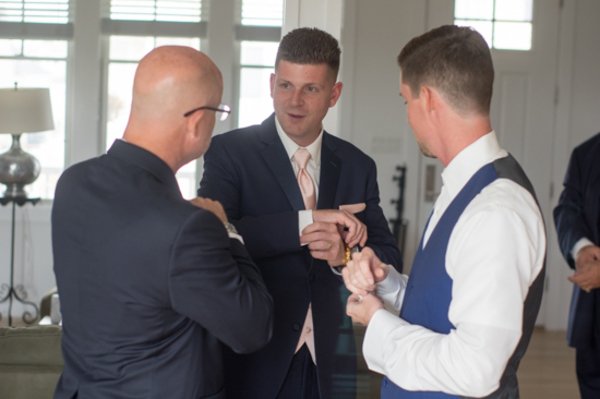 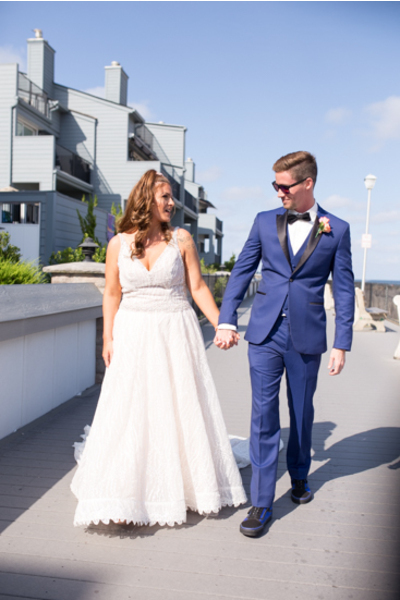 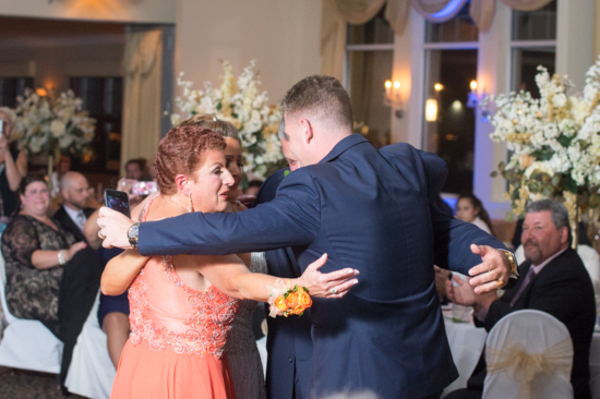 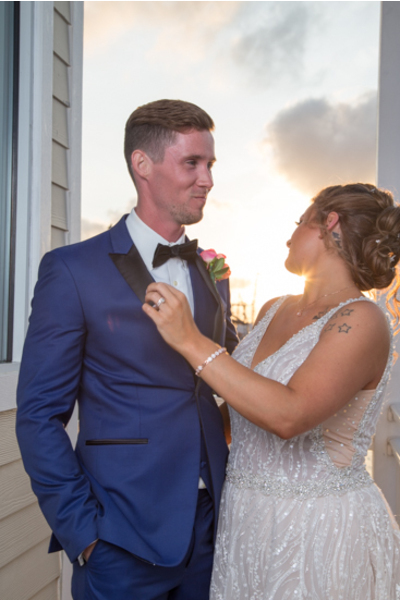 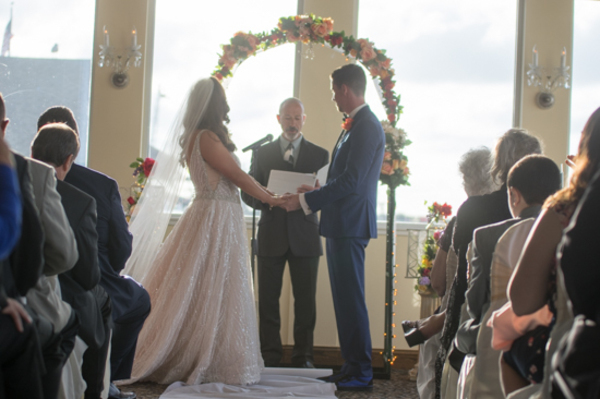 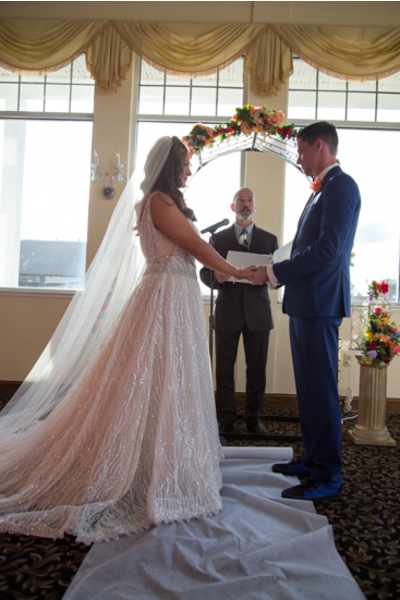 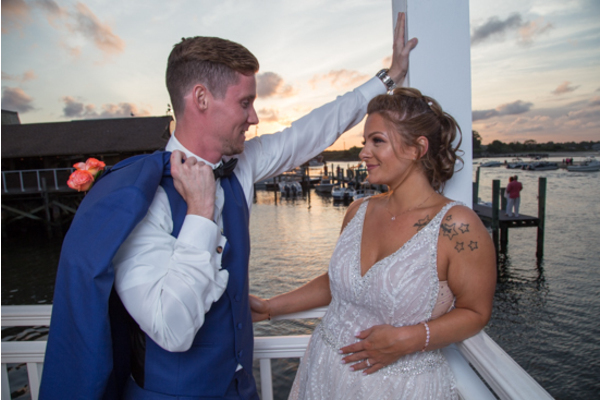 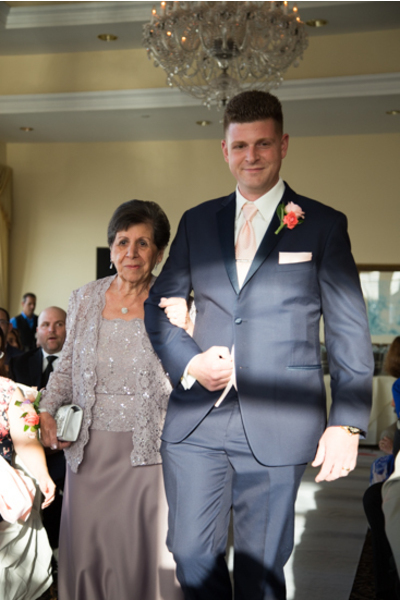 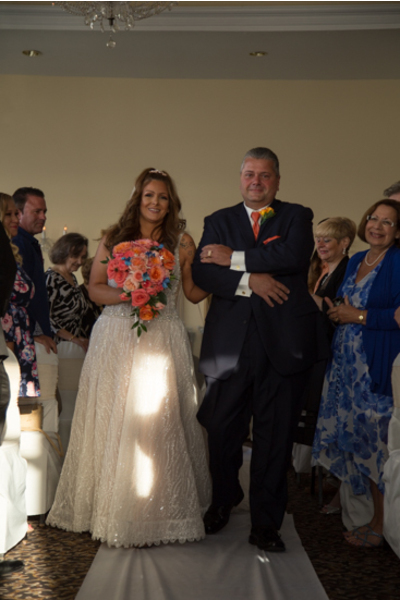 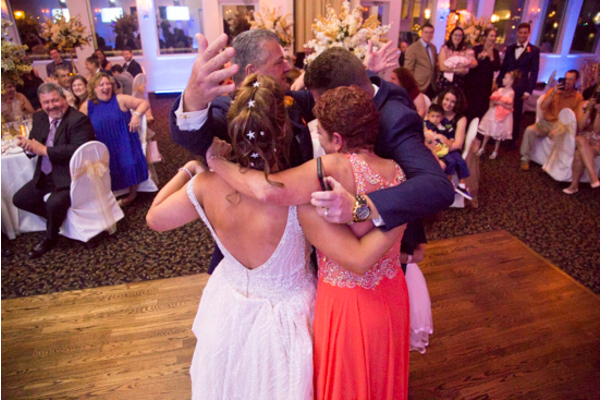 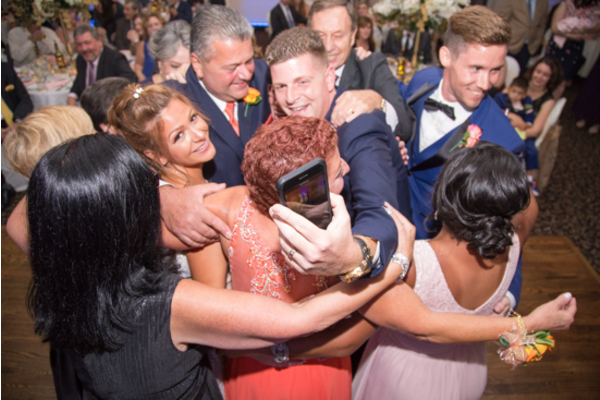 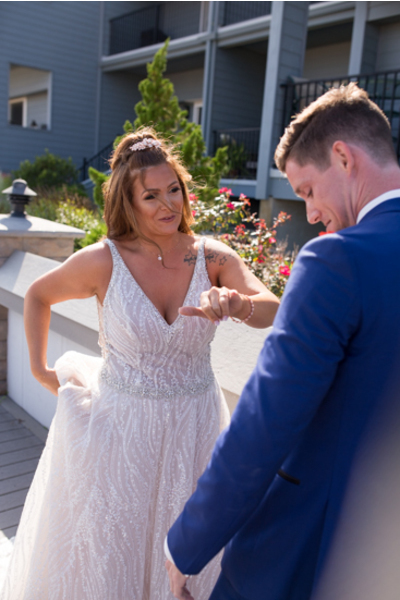 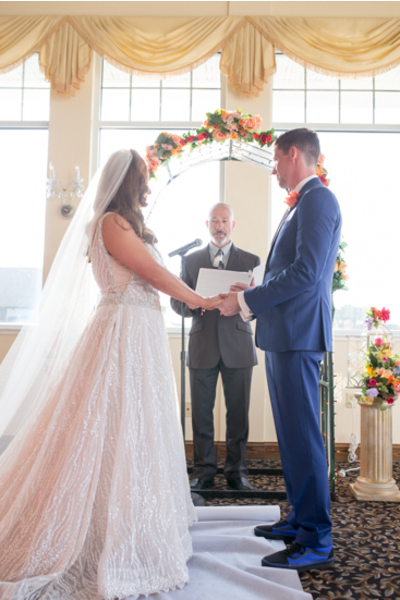 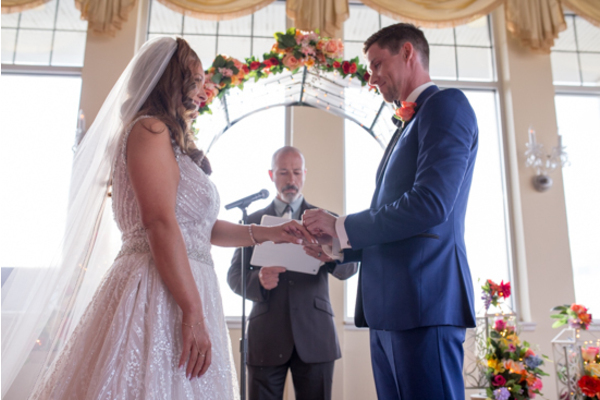 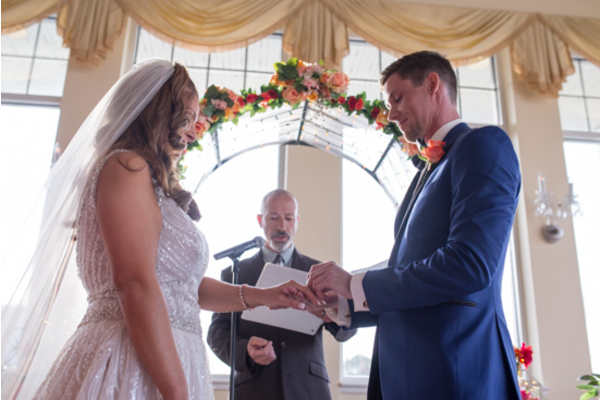 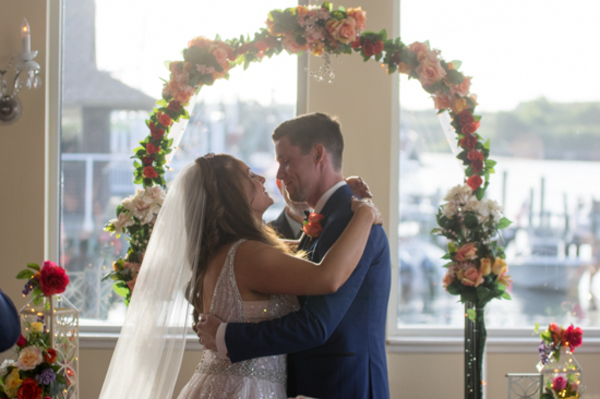 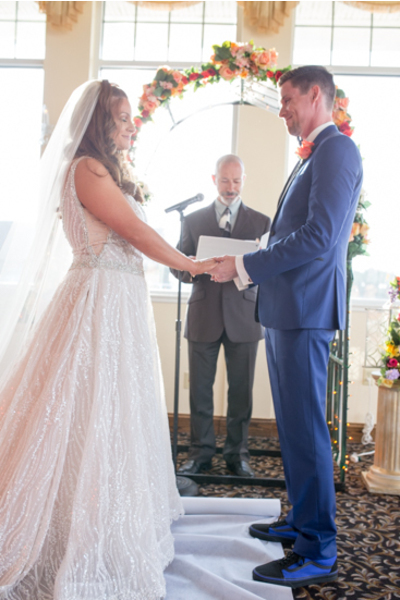 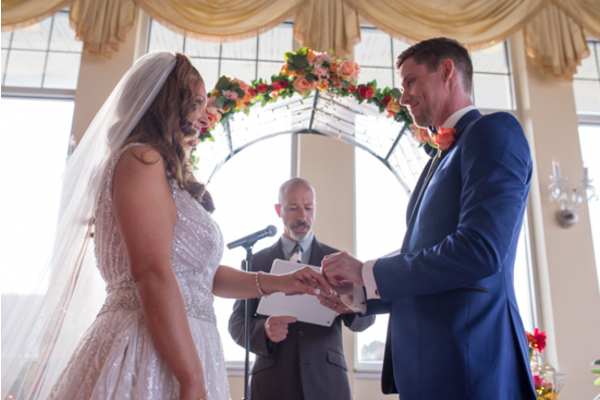 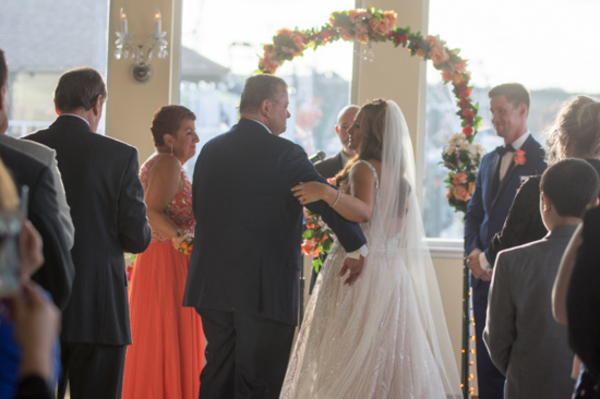 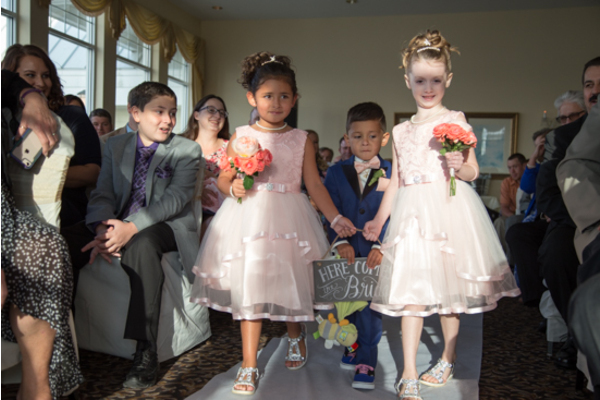 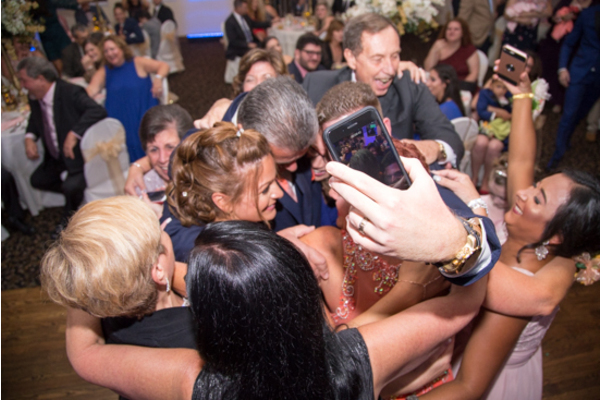 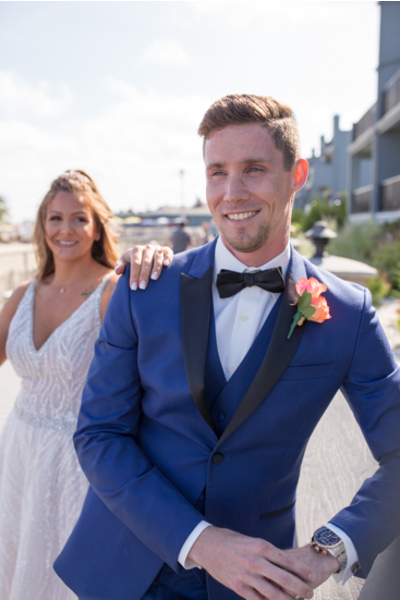 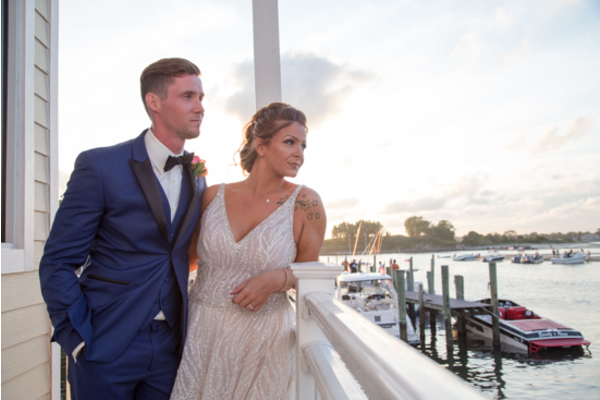 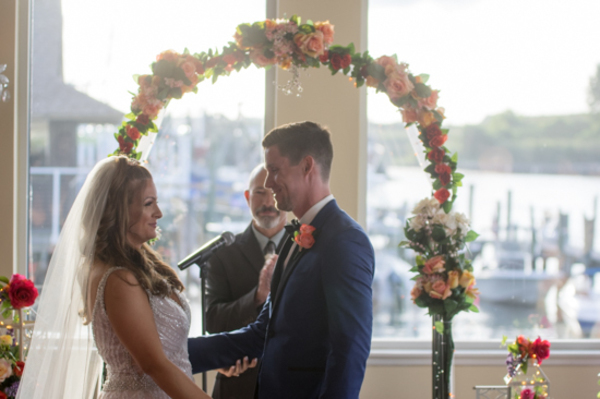 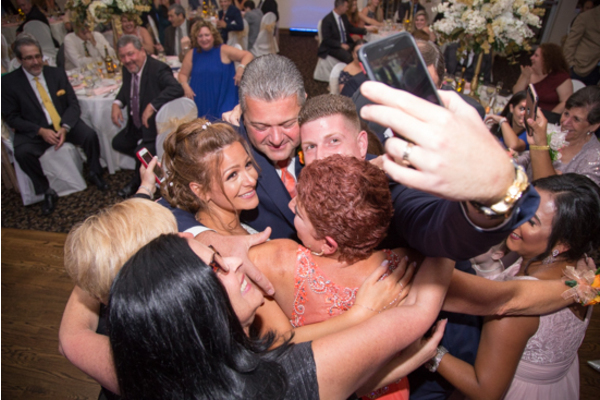 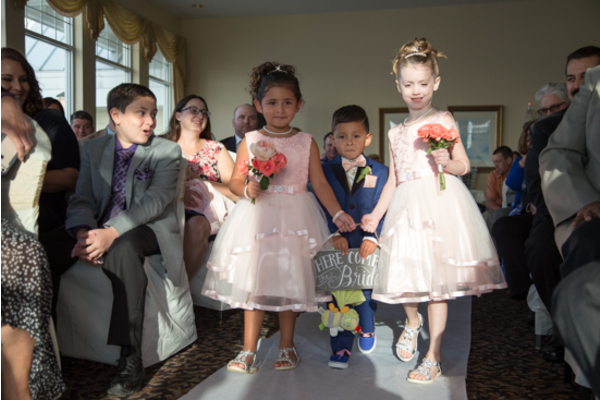 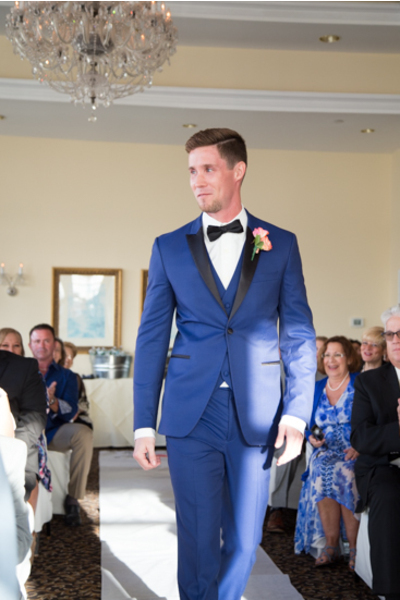 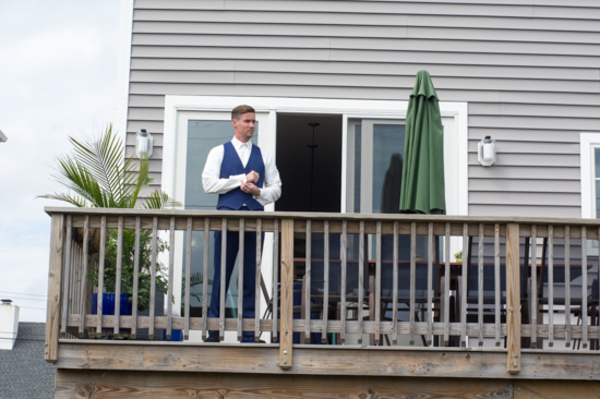 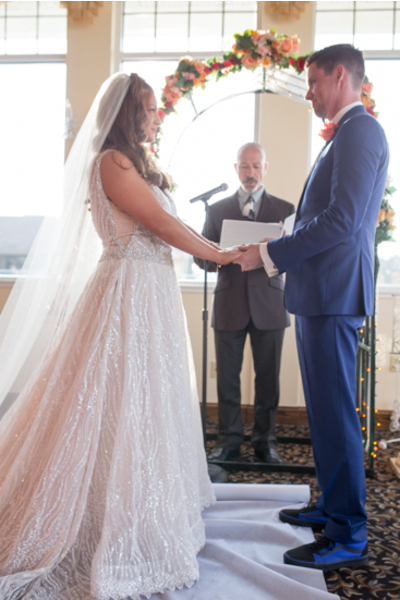 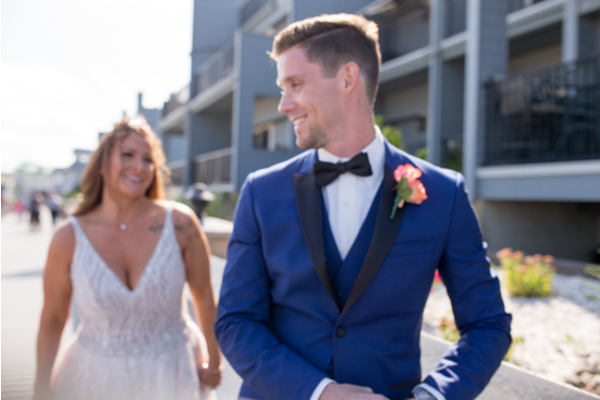 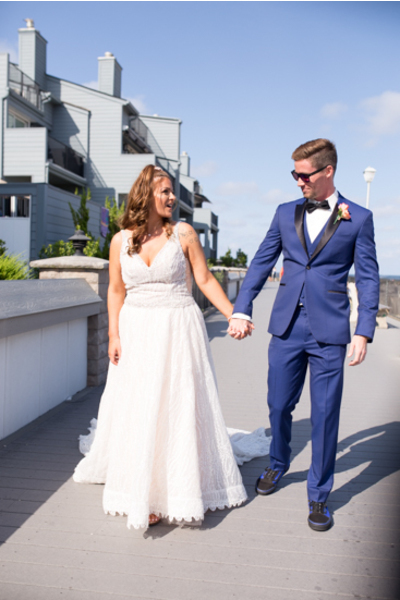 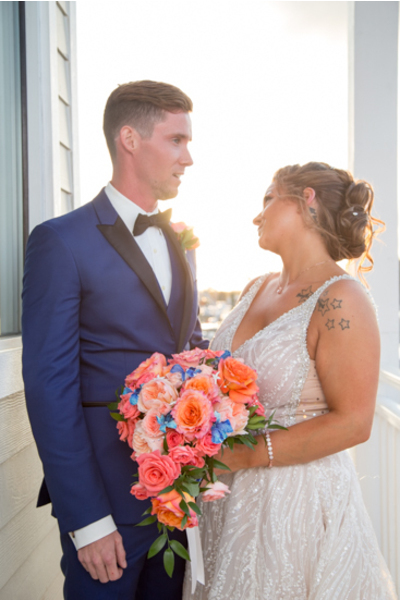 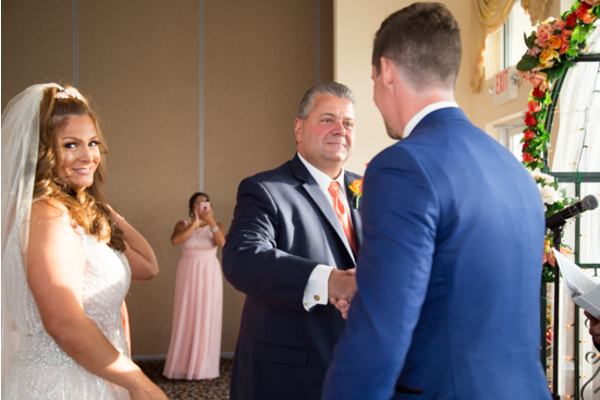 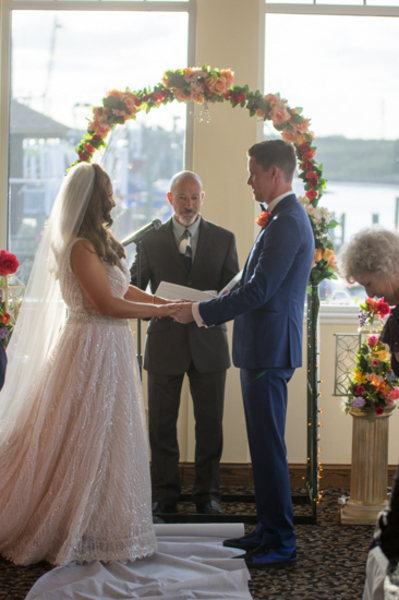 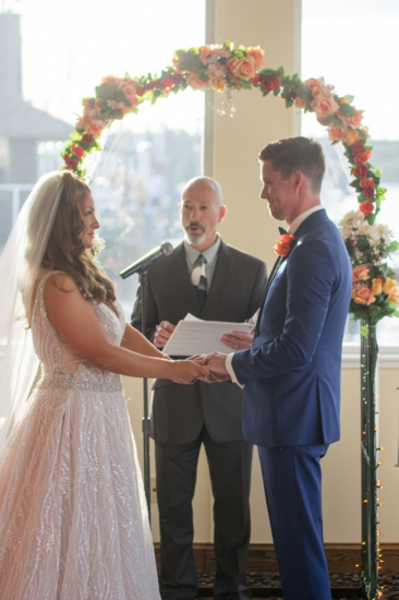 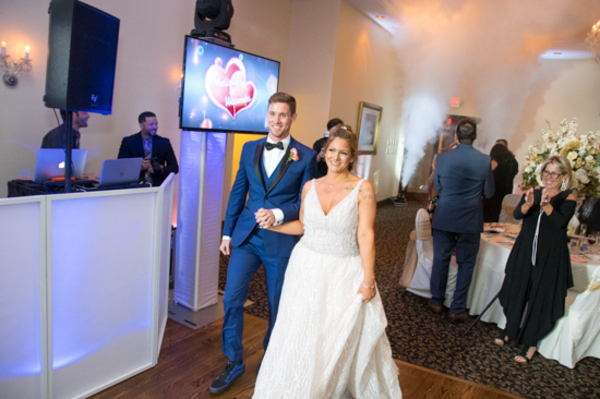 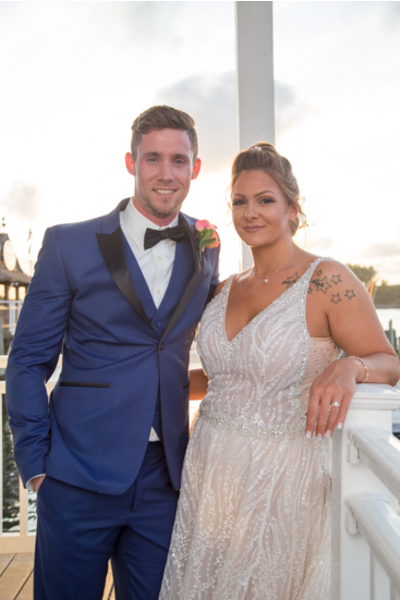 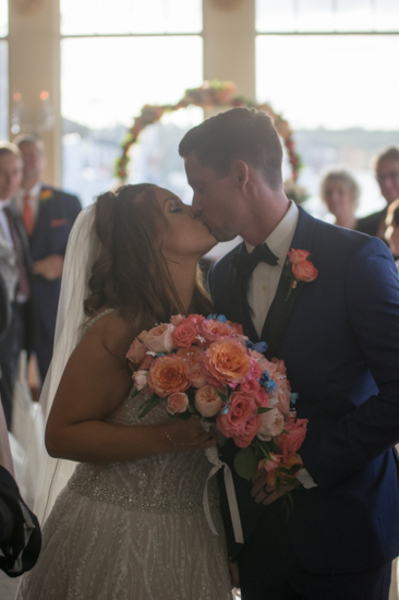 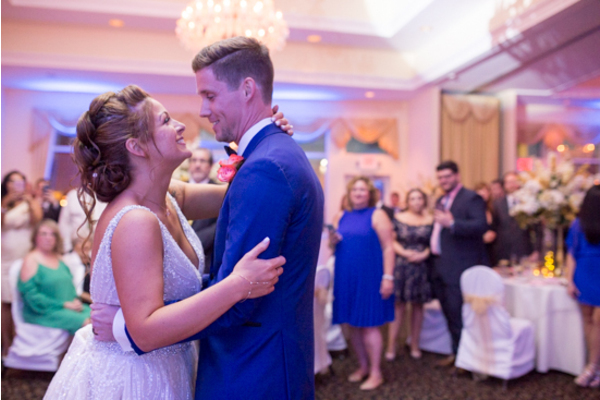 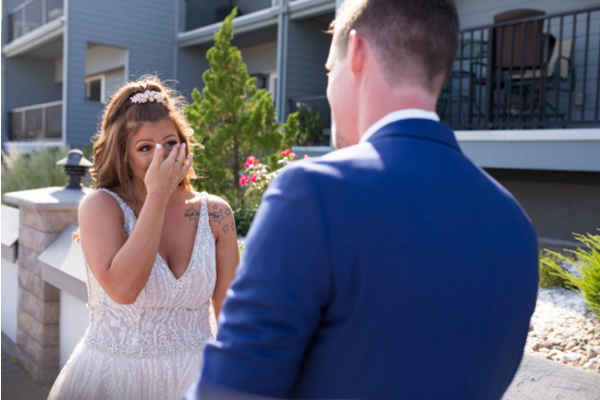 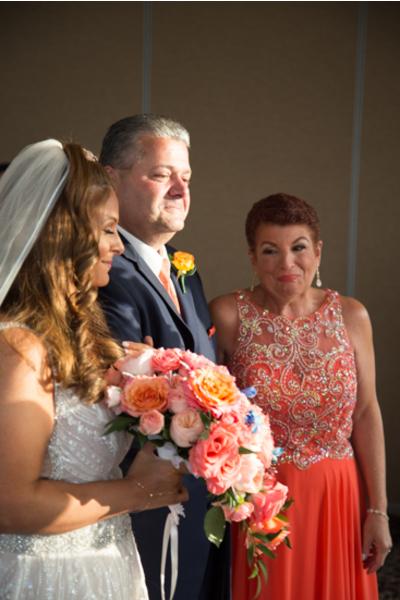 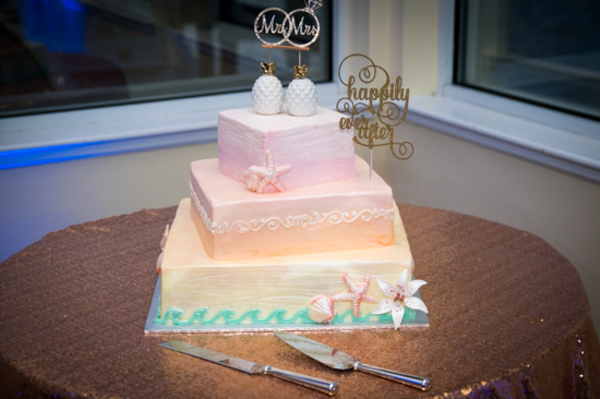 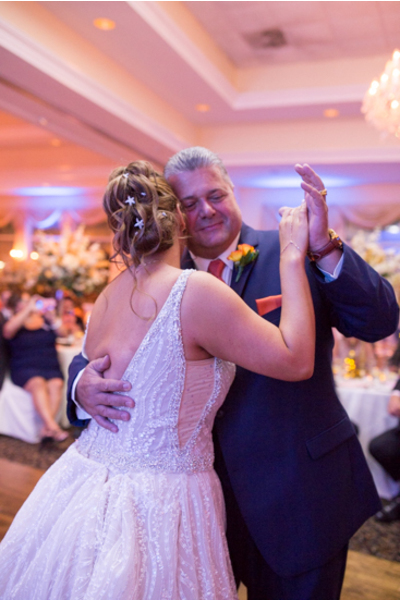 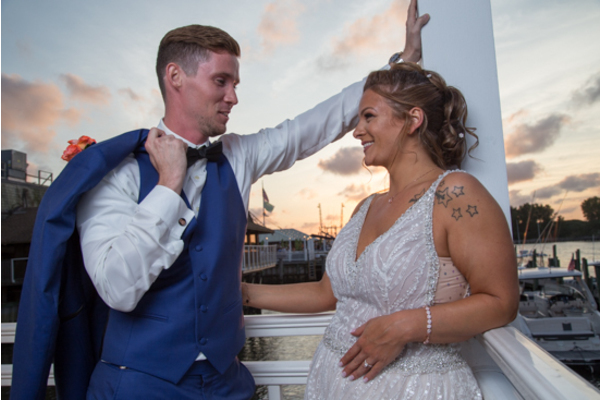 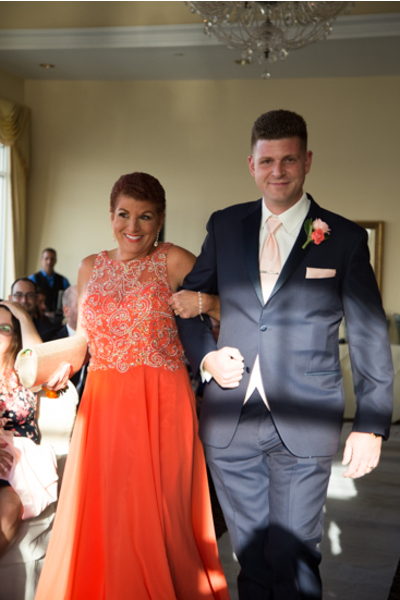 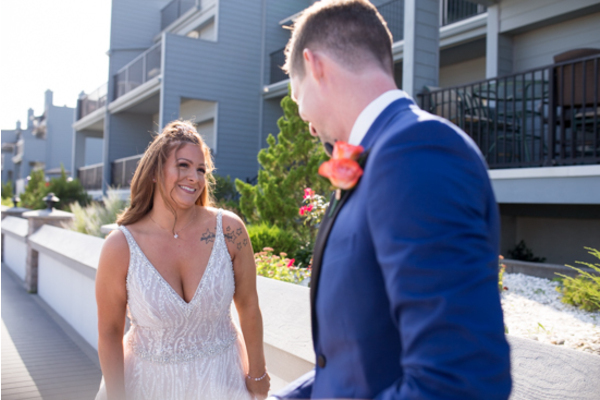 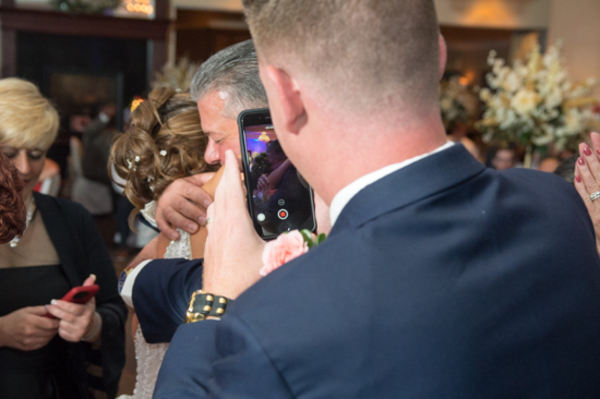 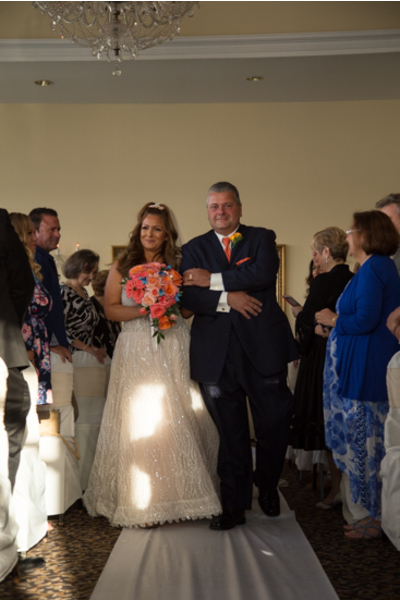 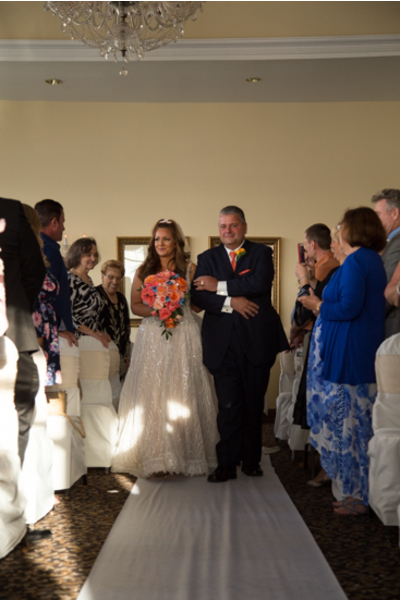 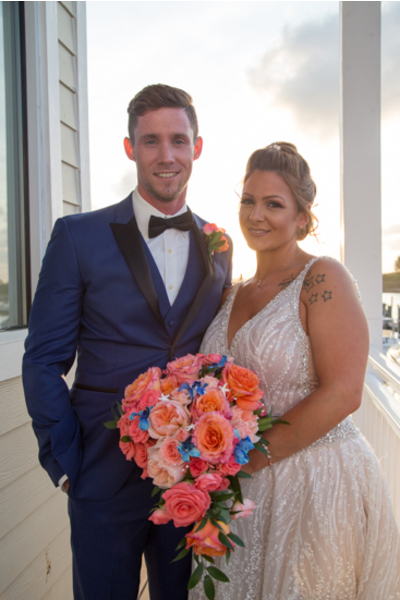 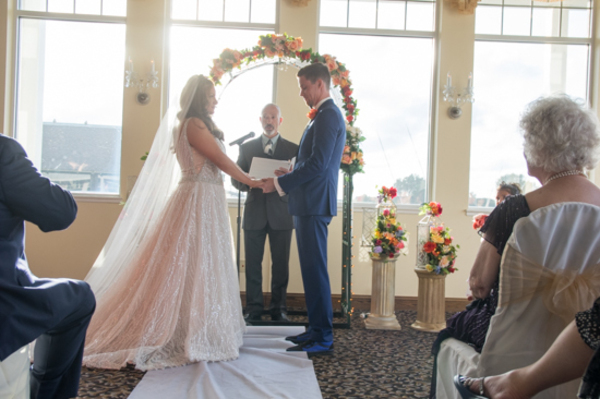 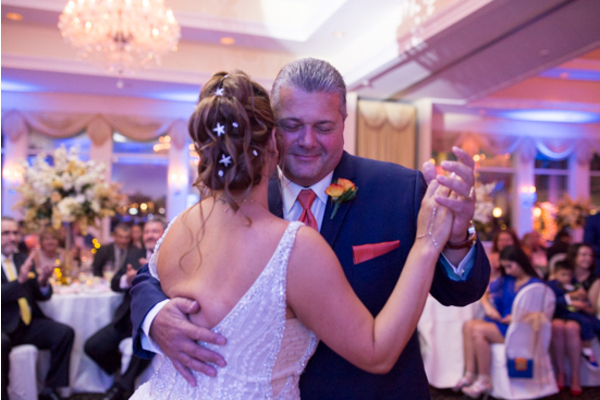 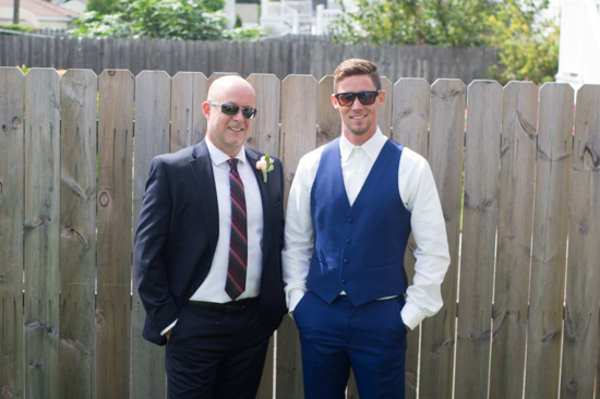 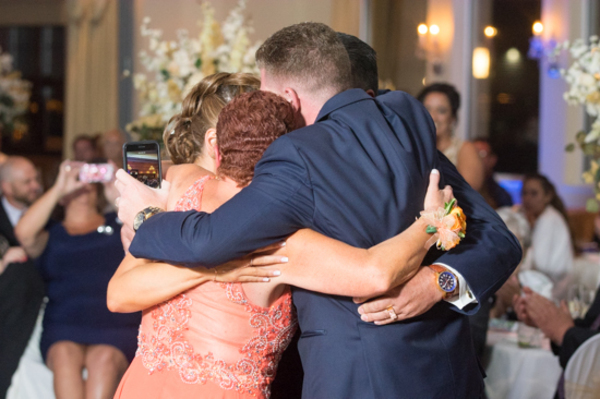 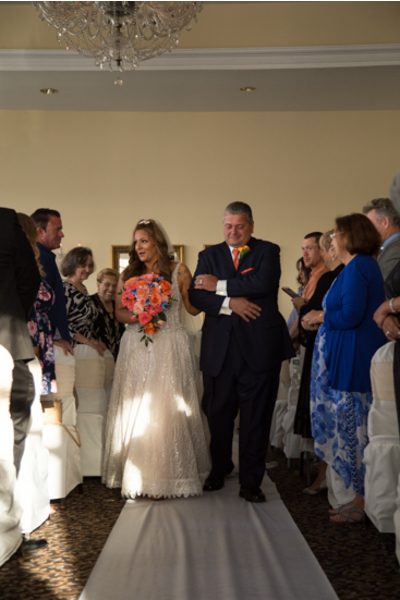 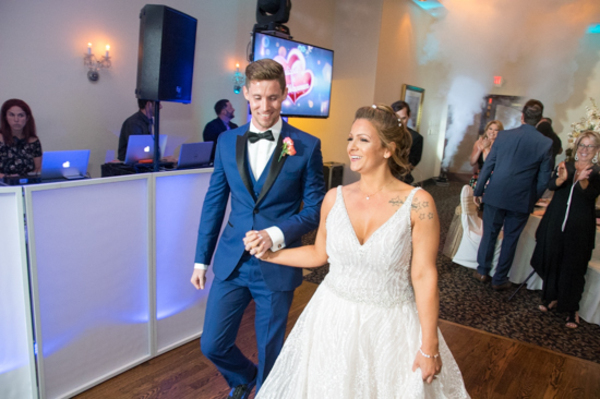 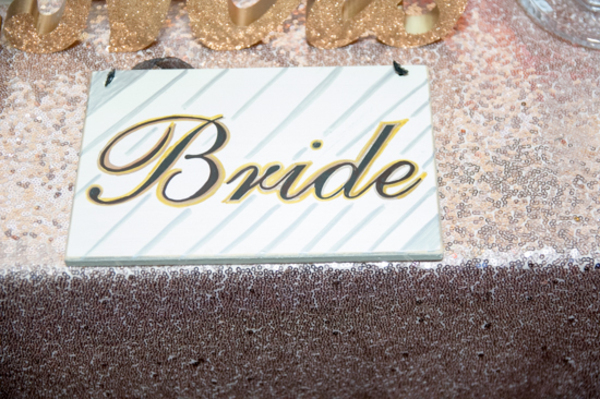 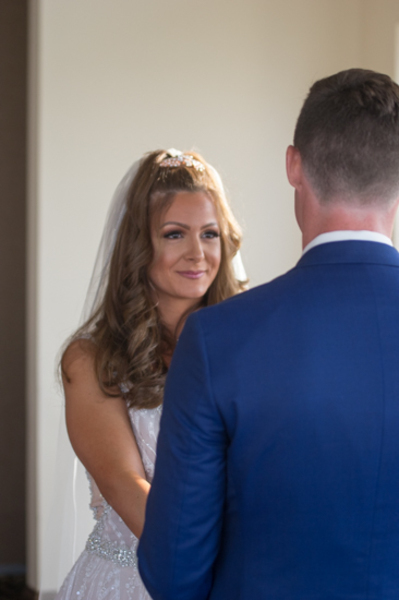 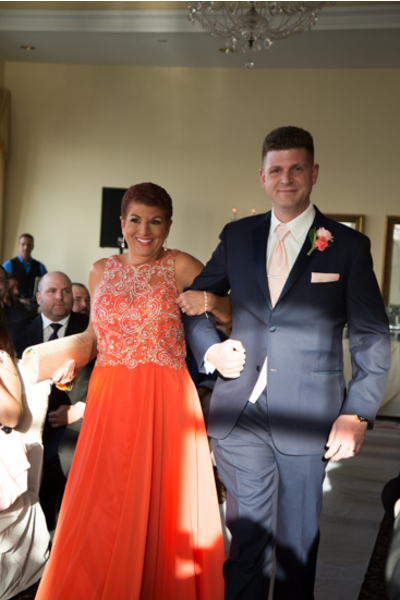 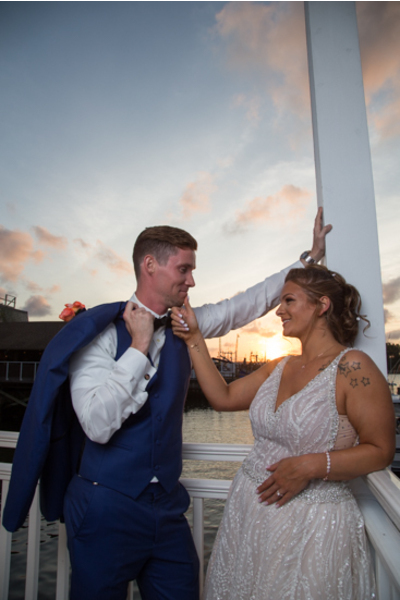 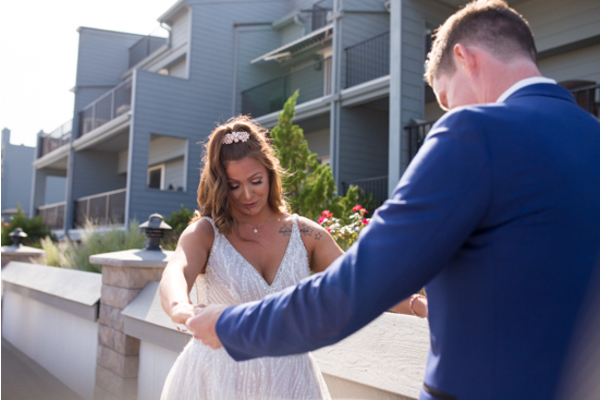 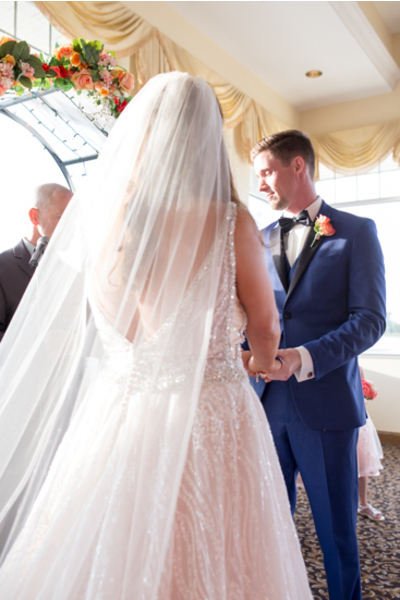 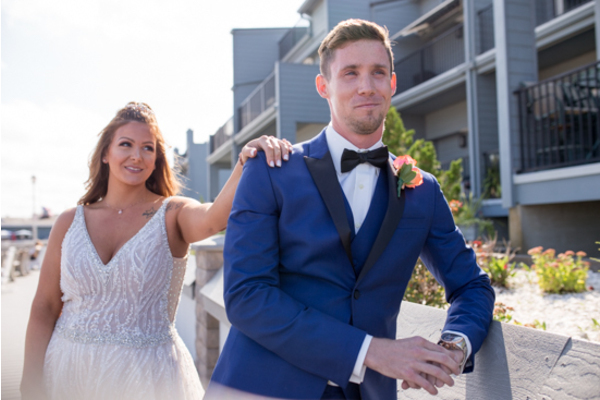 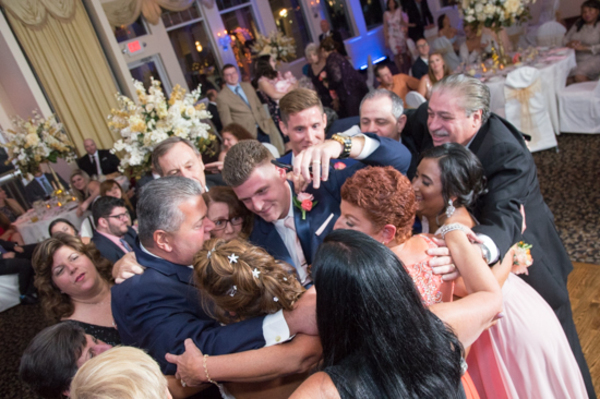 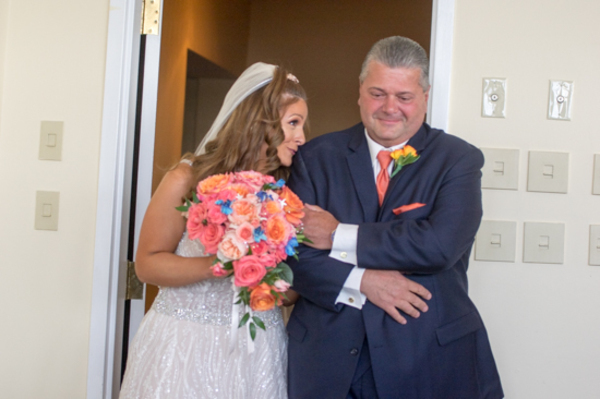 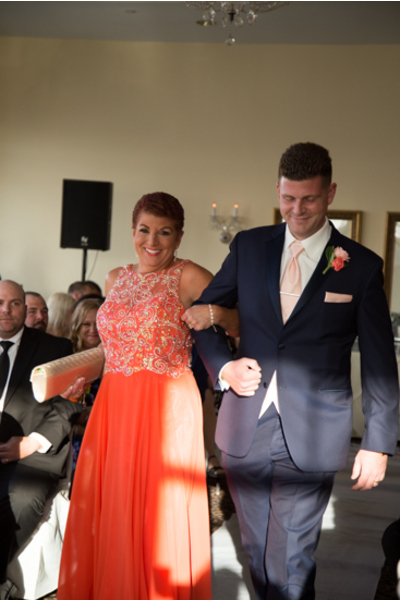 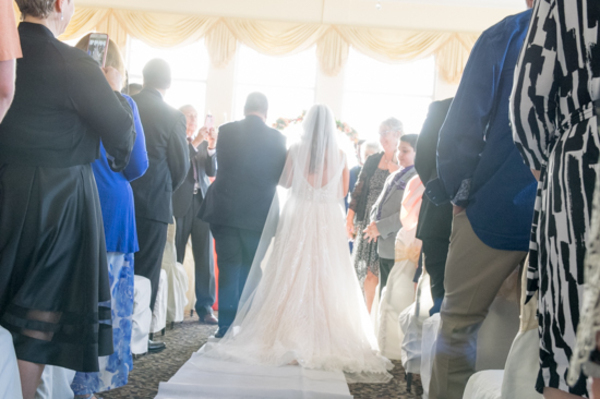 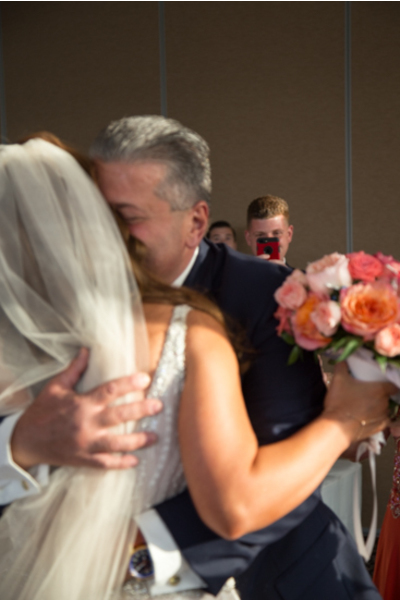 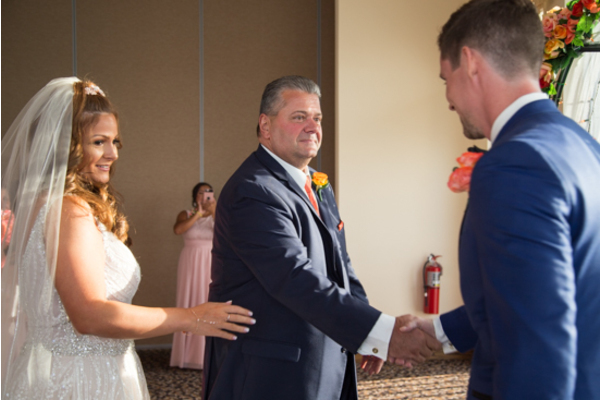 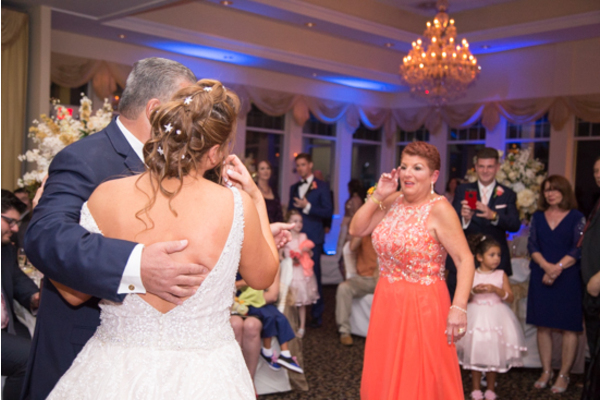 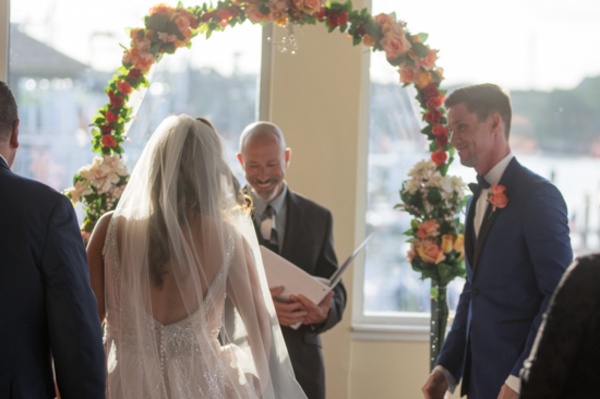 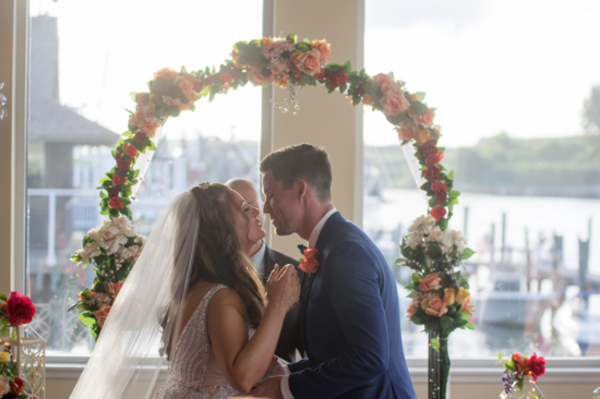 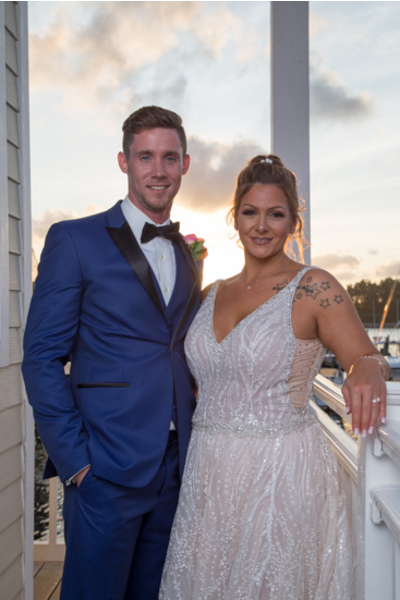 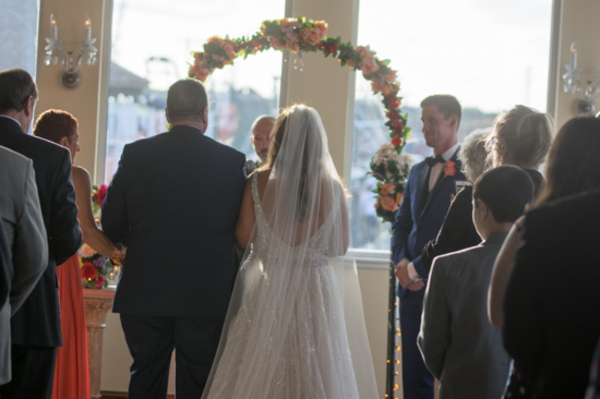 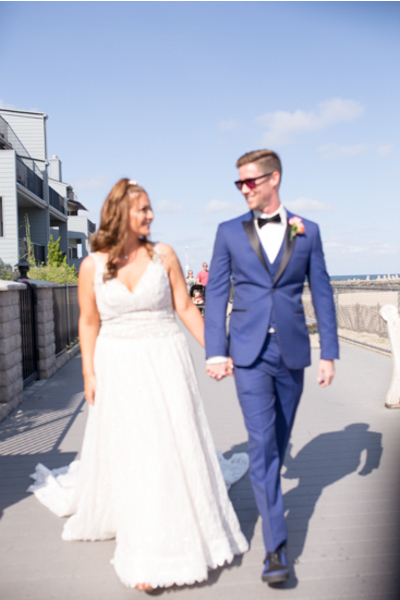 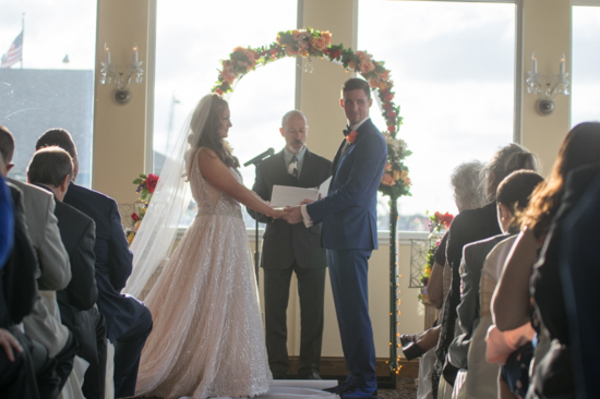 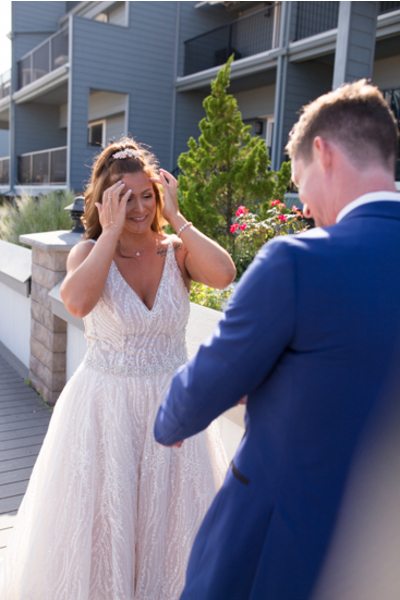 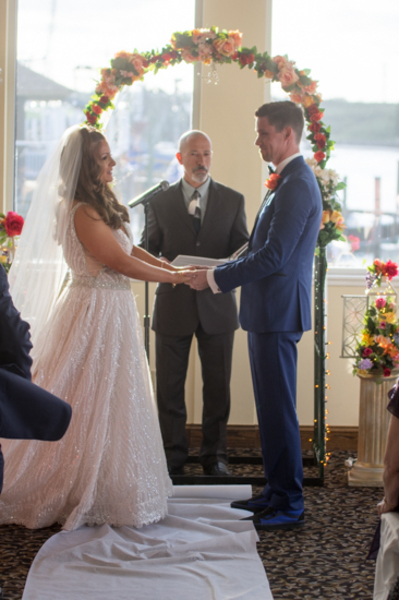 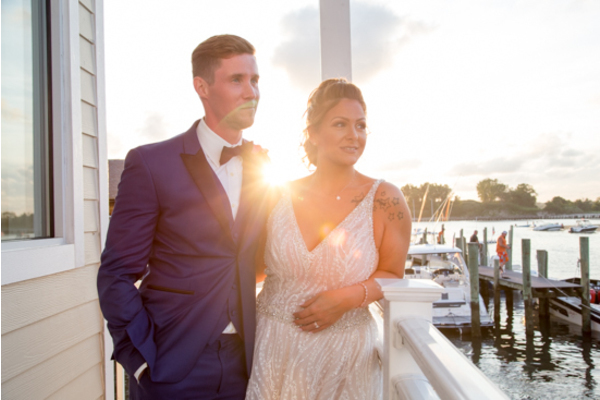 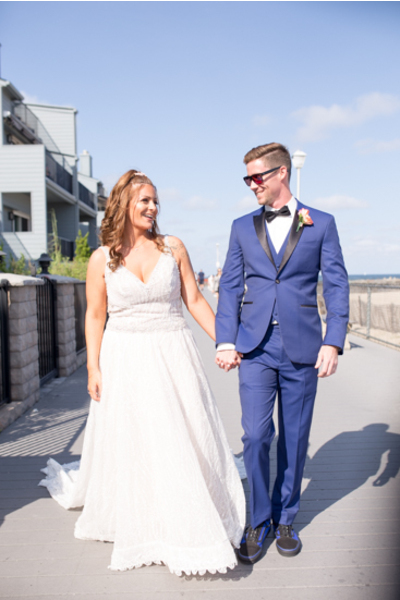 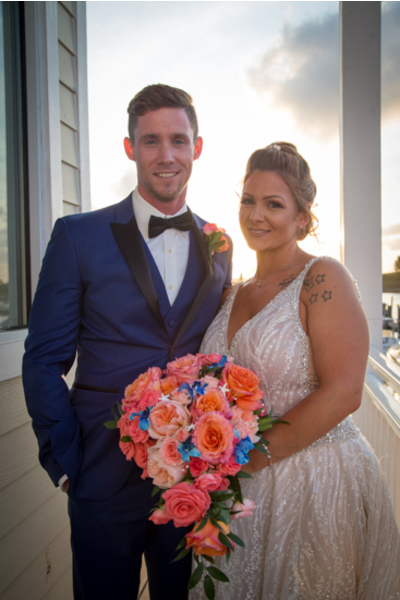 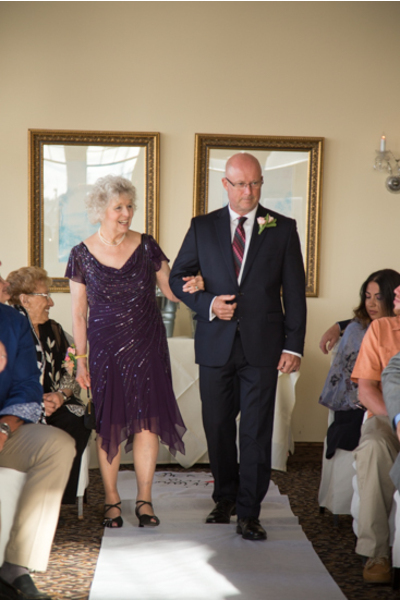 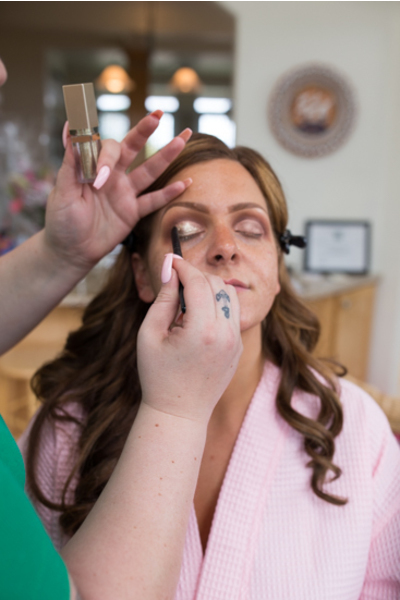 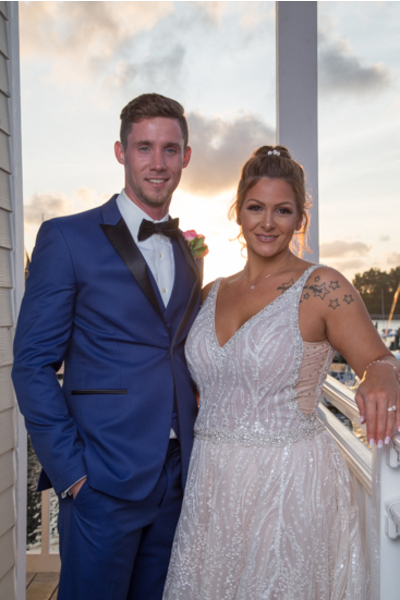 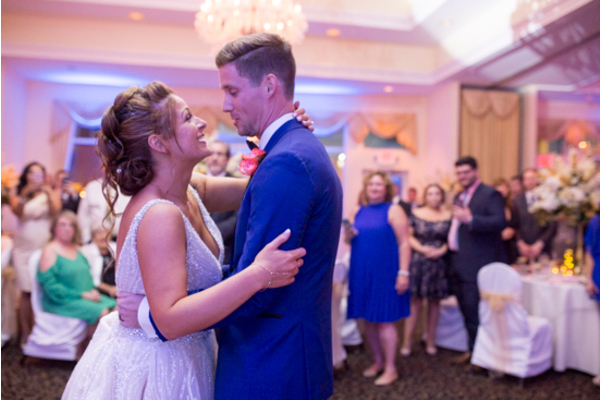 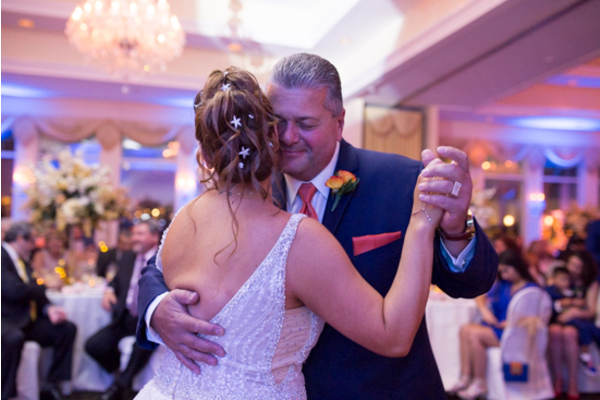 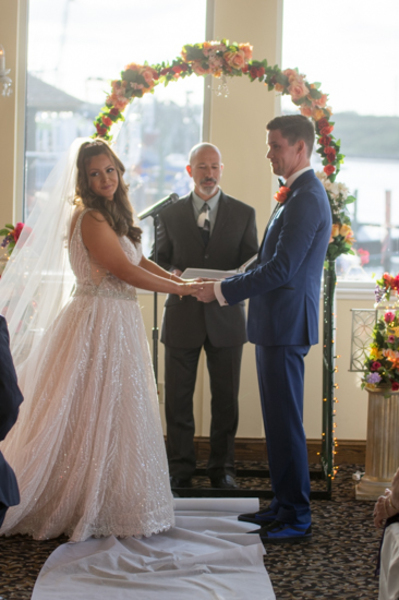 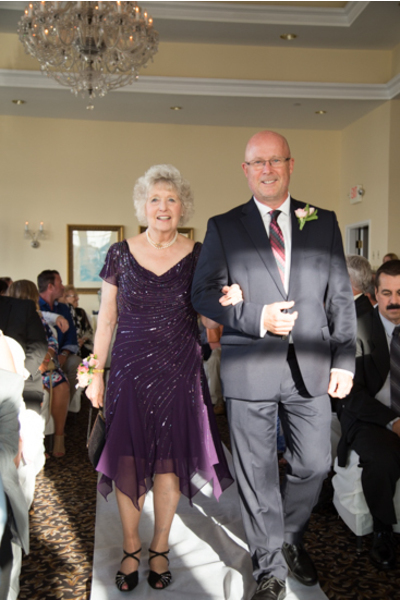 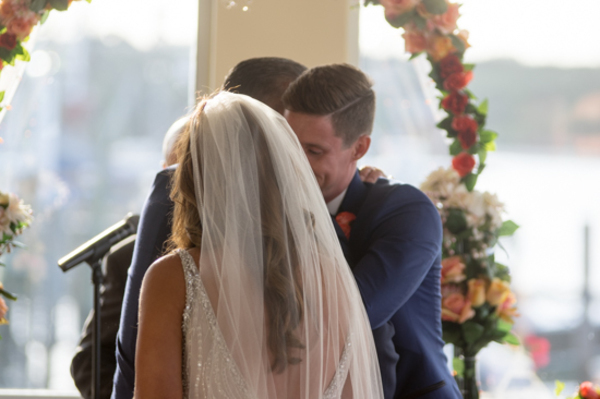 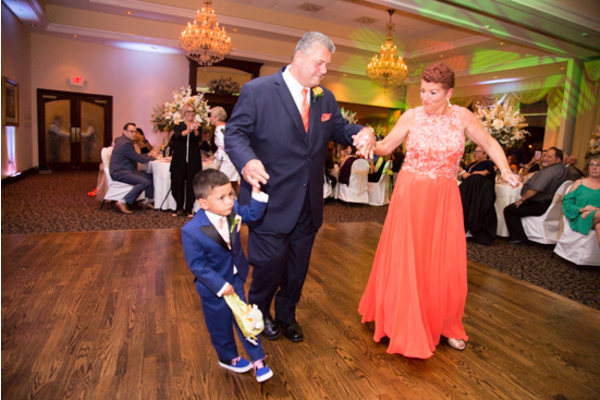 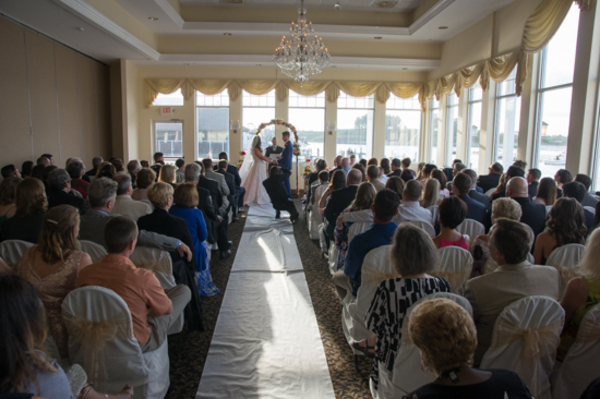 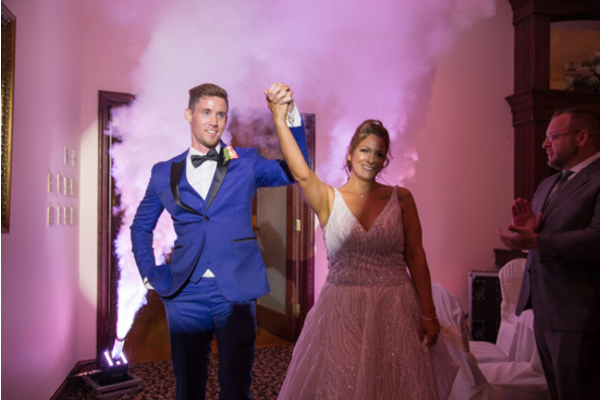 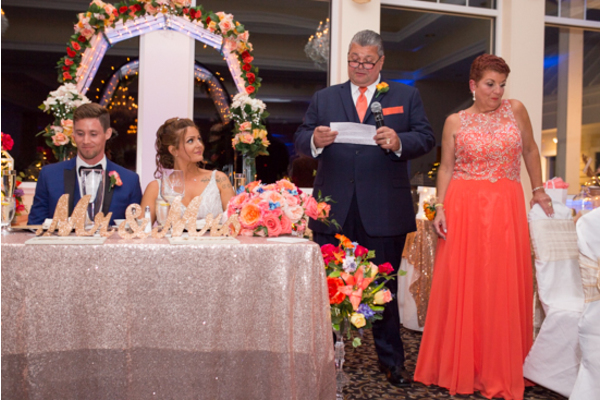 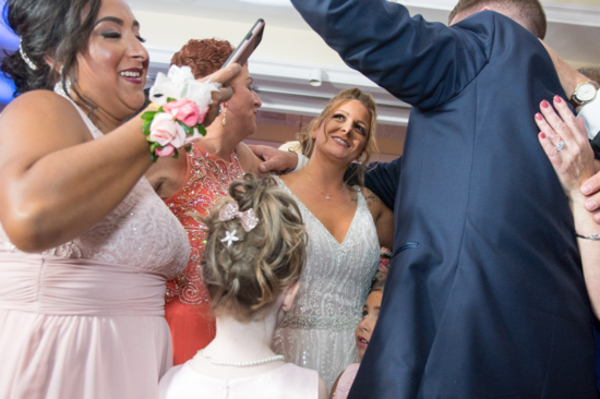 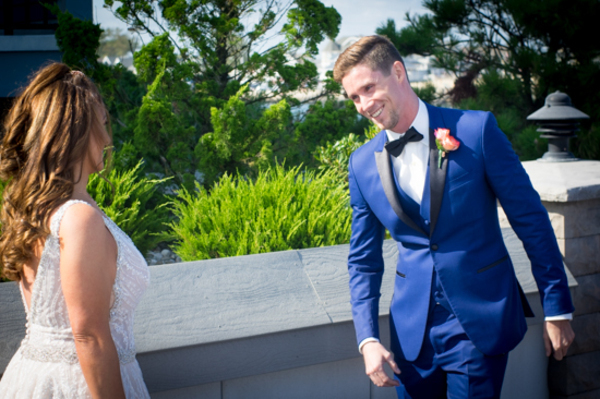 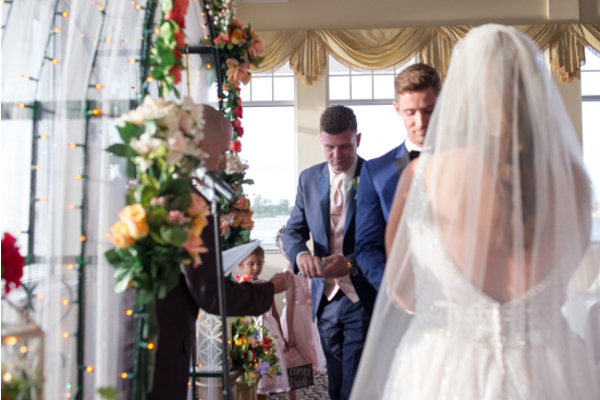 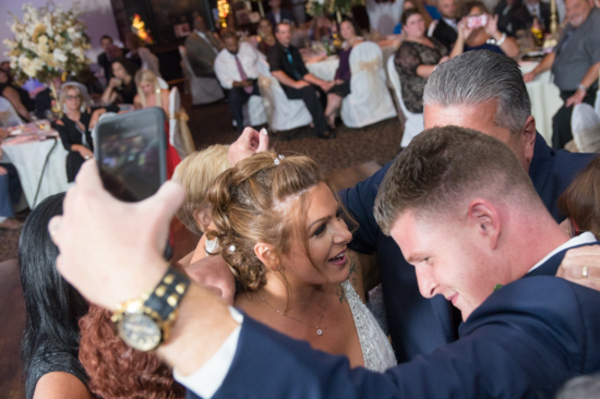 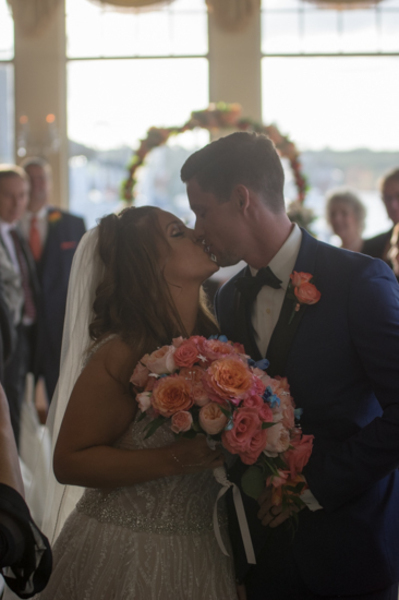 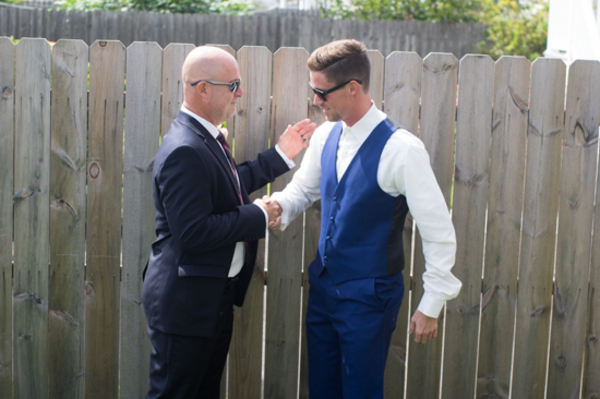 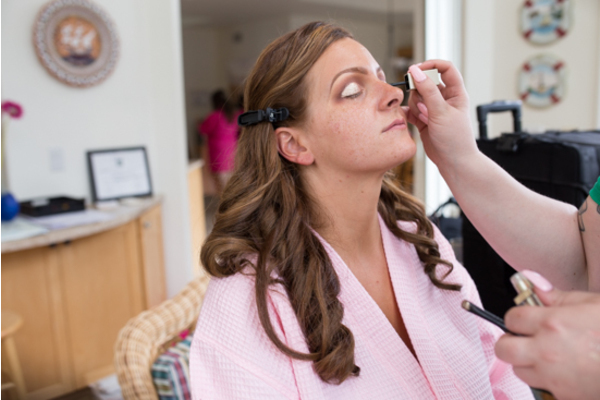 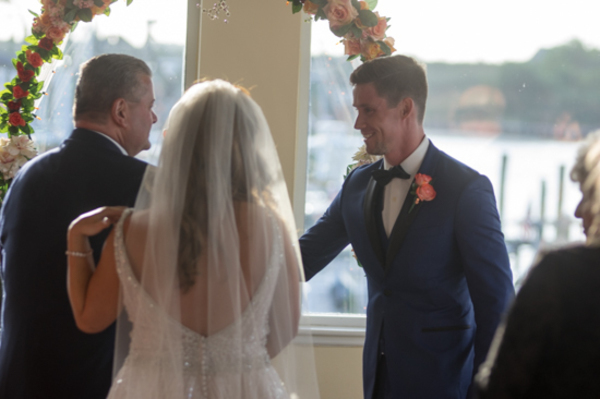 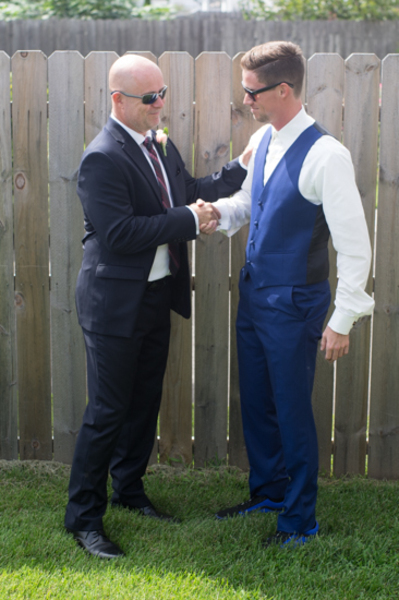 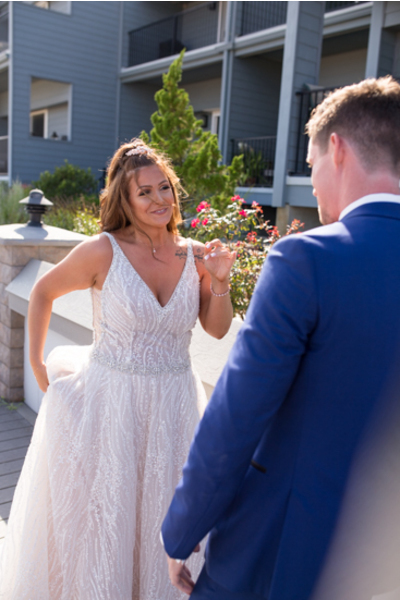 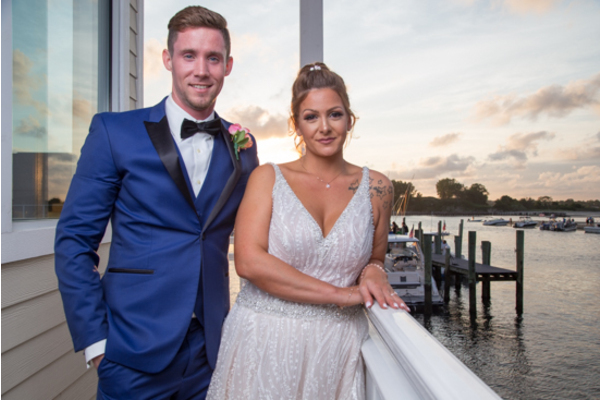 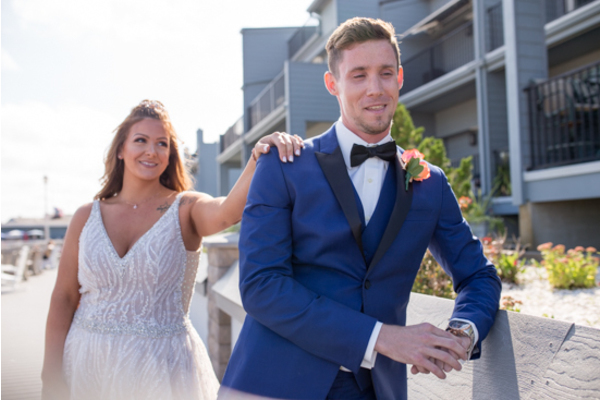 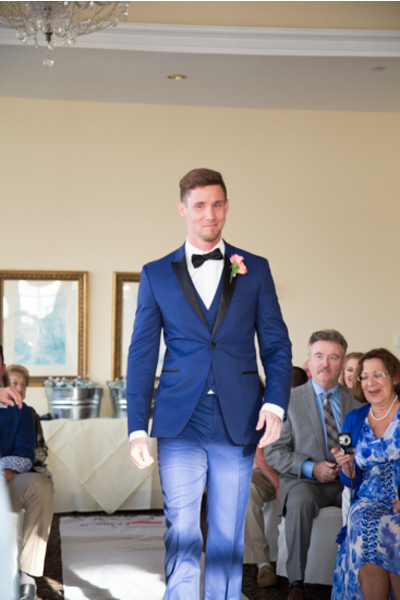 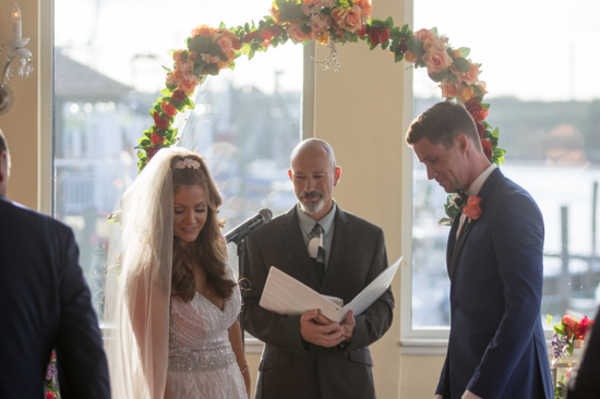 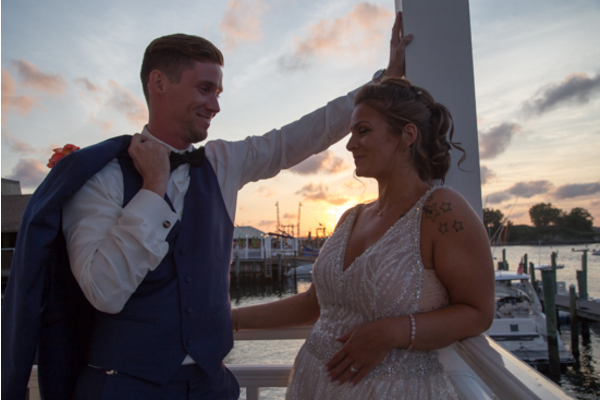 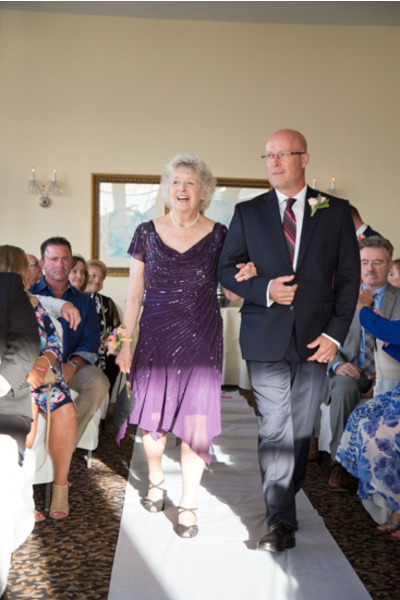 The newlyweds became one on a September day at Jack Baker’s Lobster Shanty Sunset Ballroom in Point Pleasant Beach, NJ. 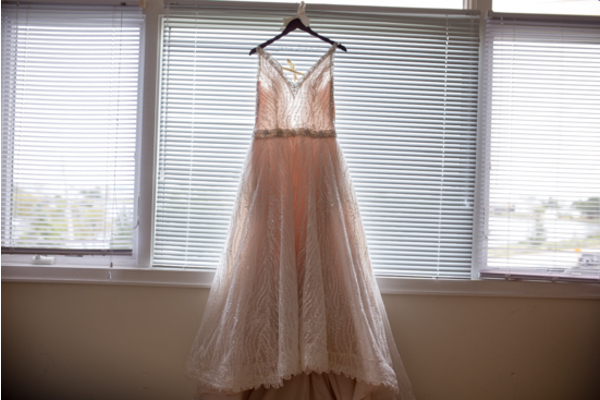 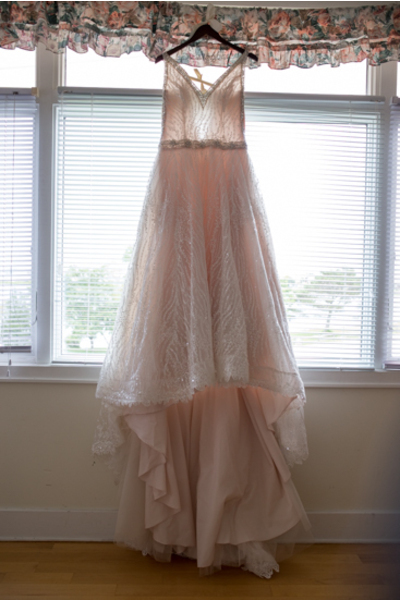 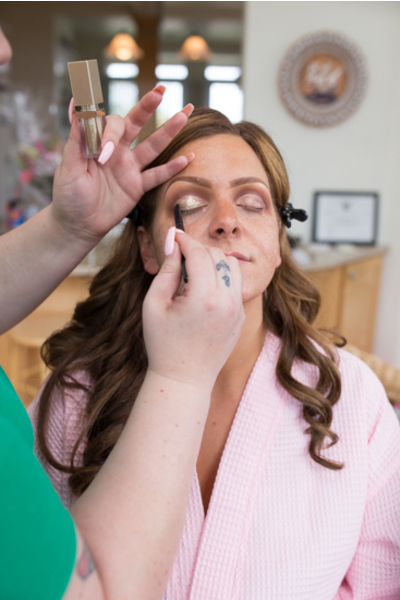 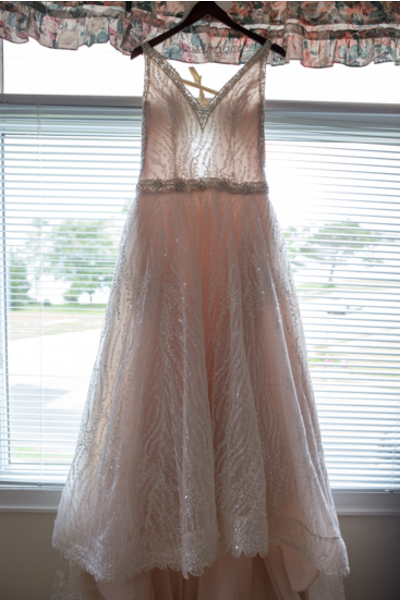 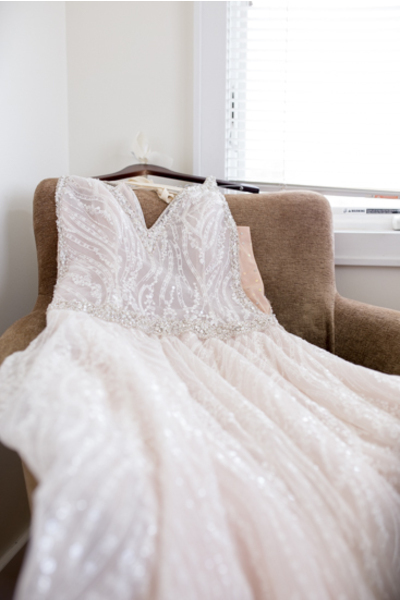 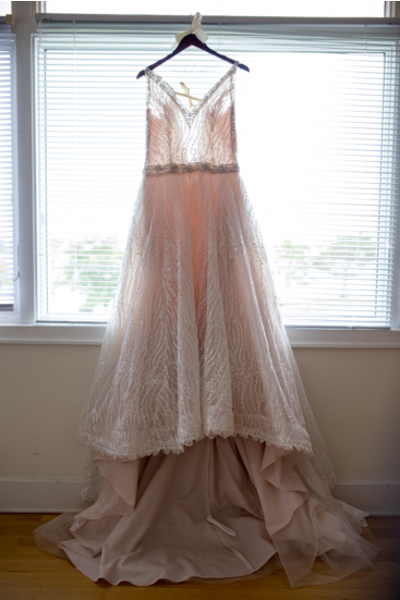 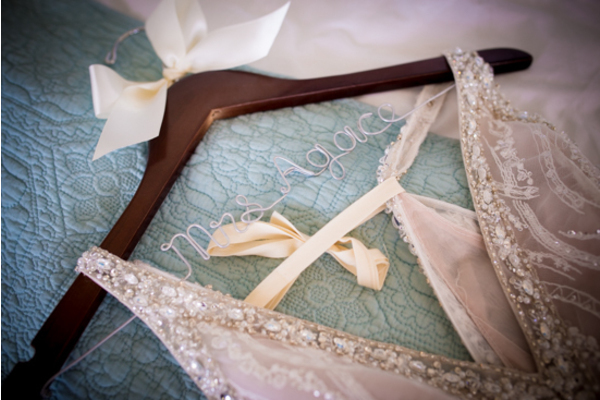 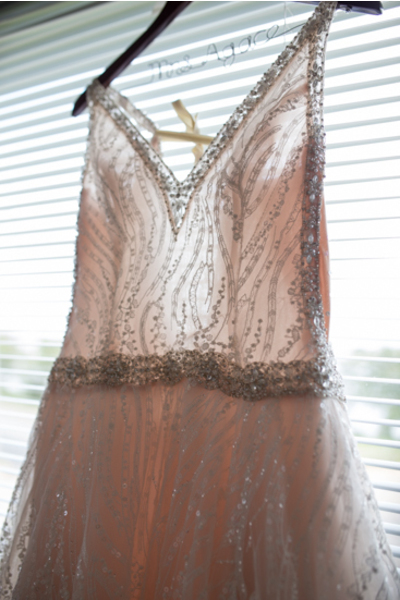 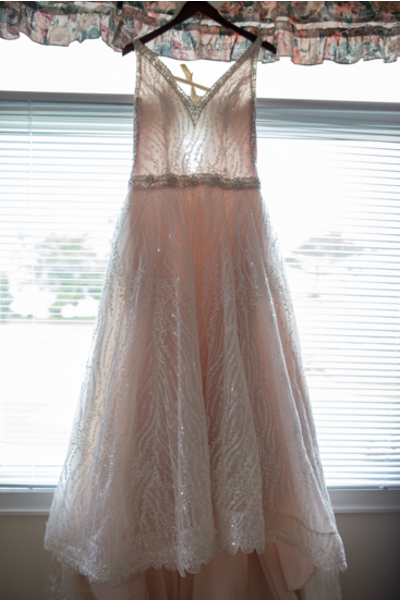 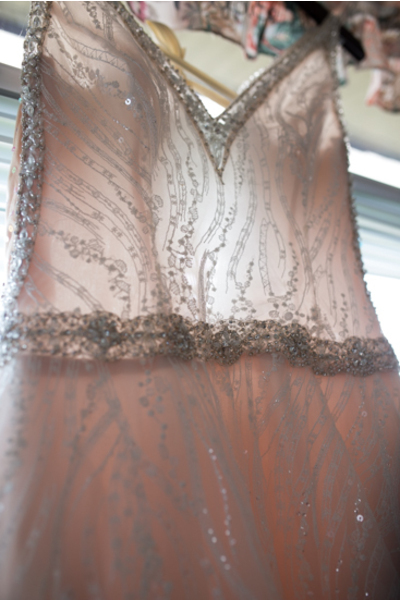 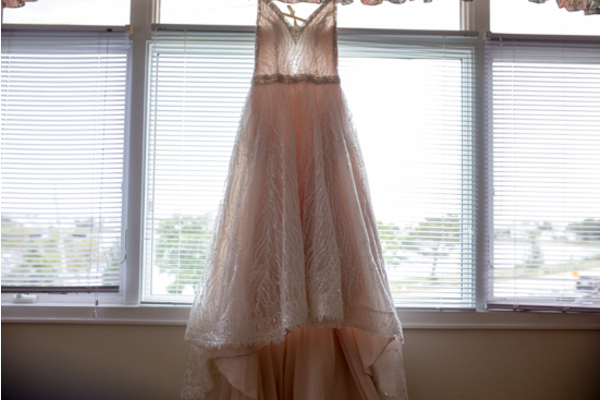 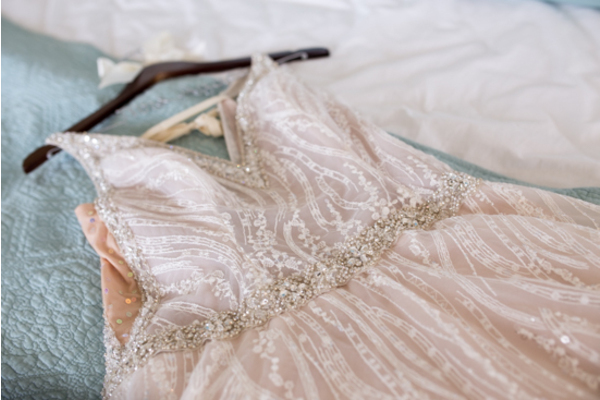 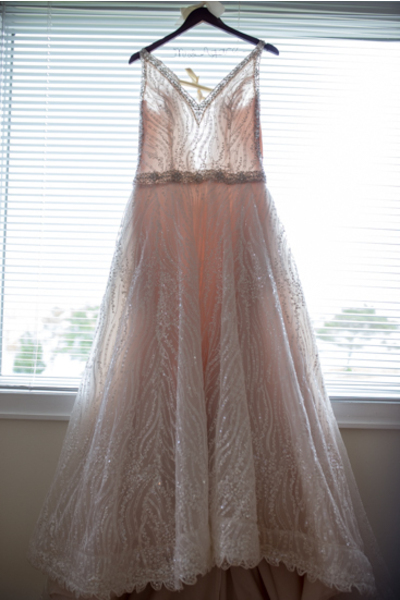 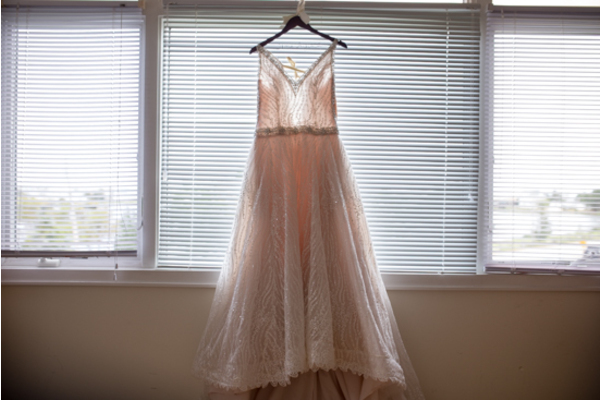 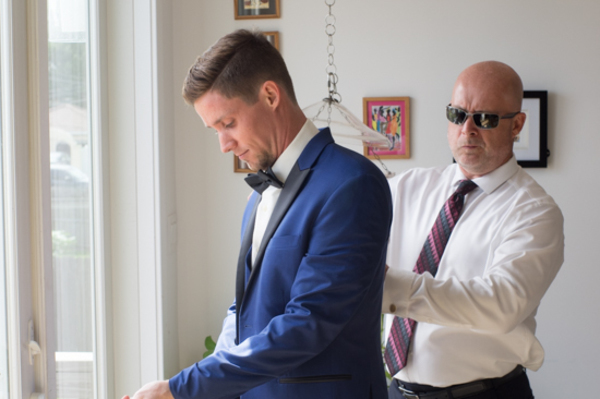 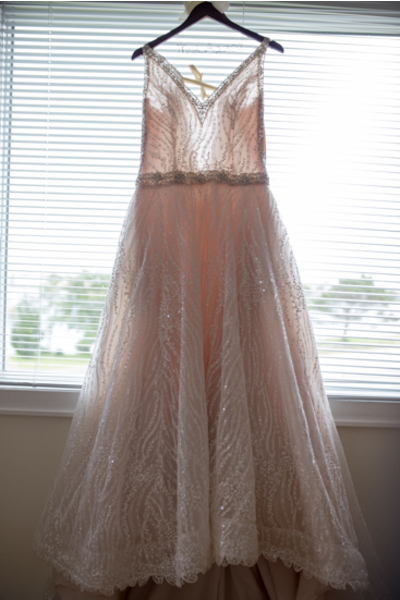 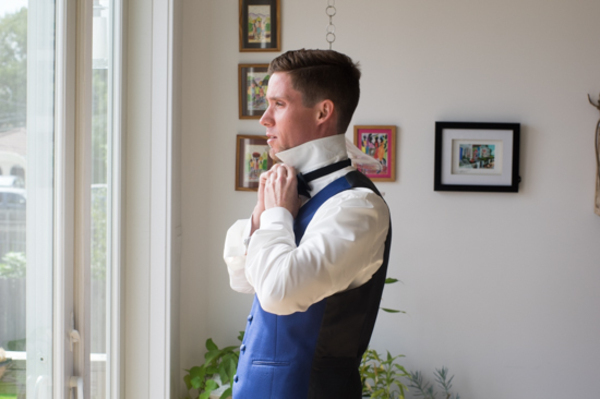 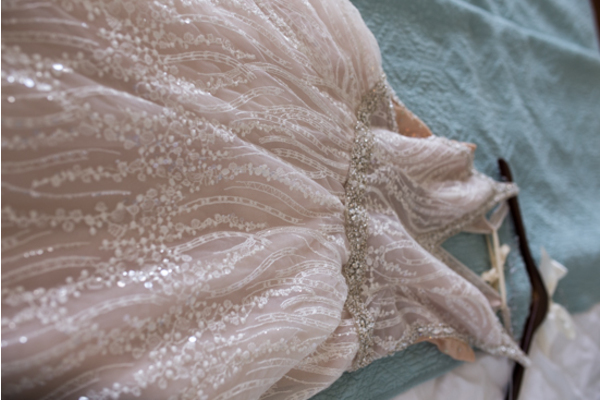 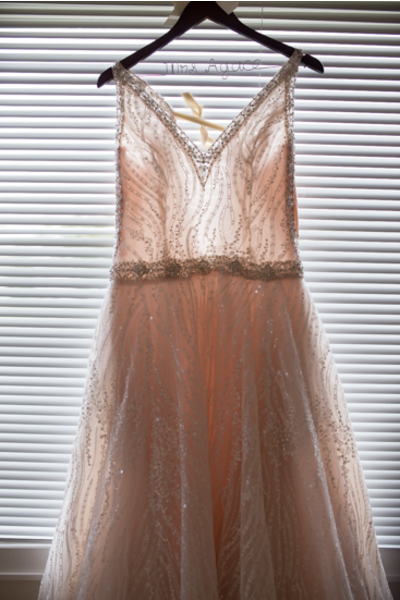 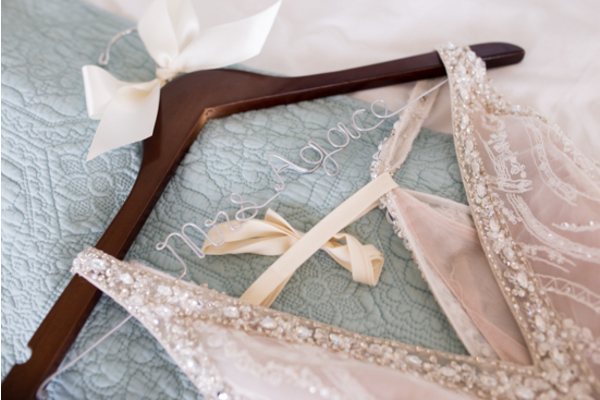 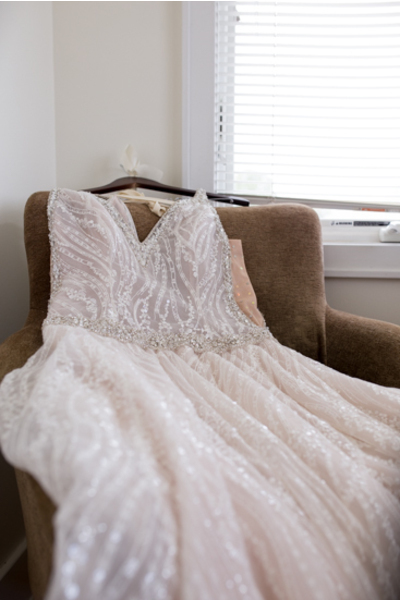 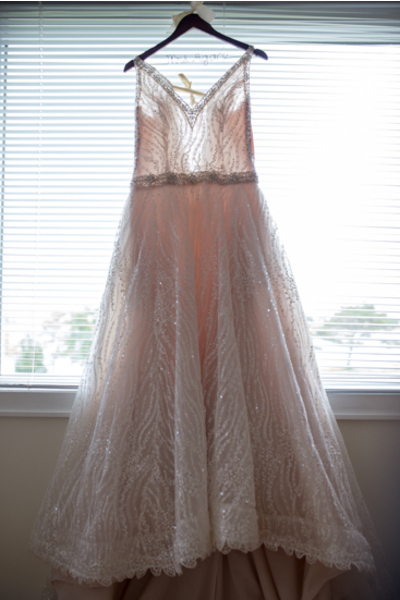 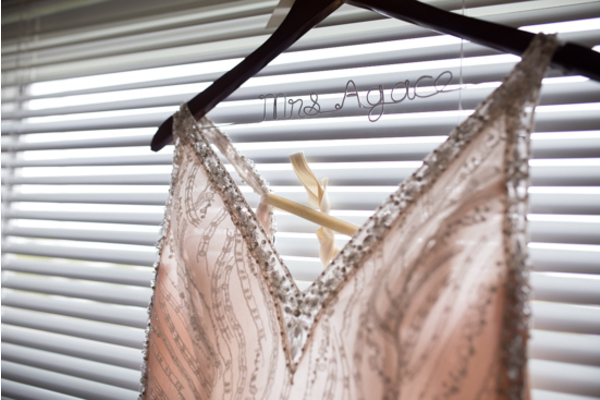 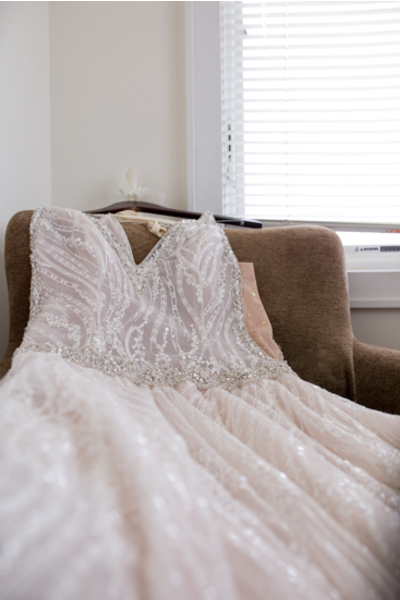 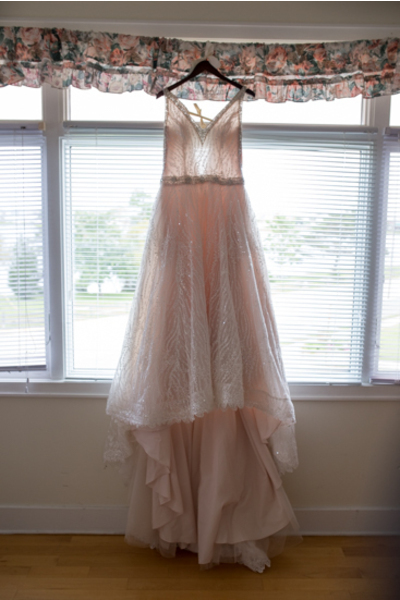 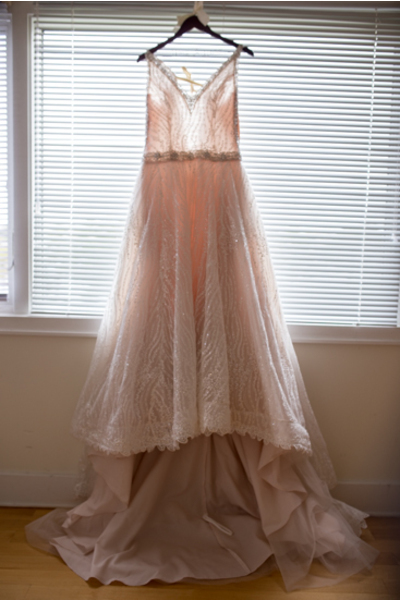 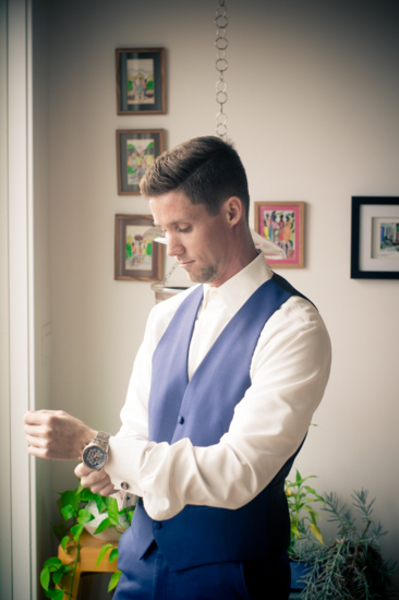 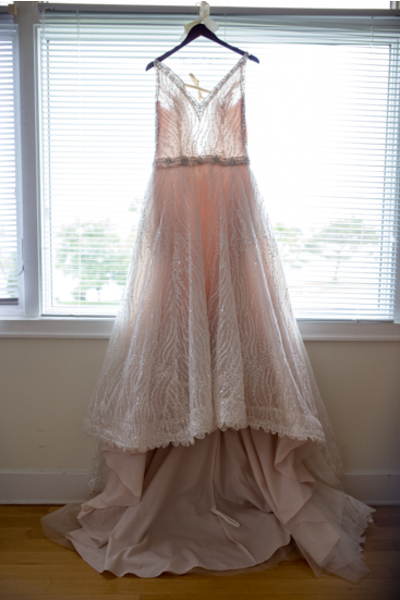 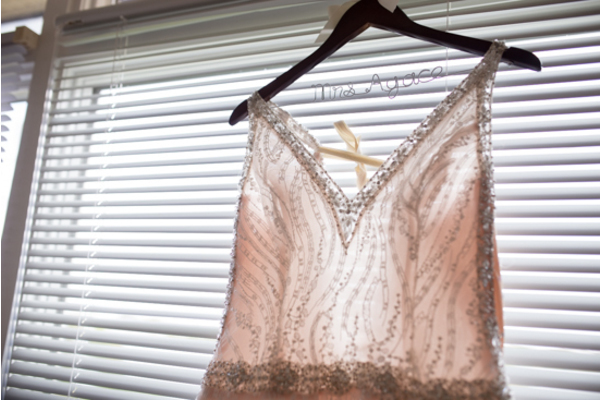 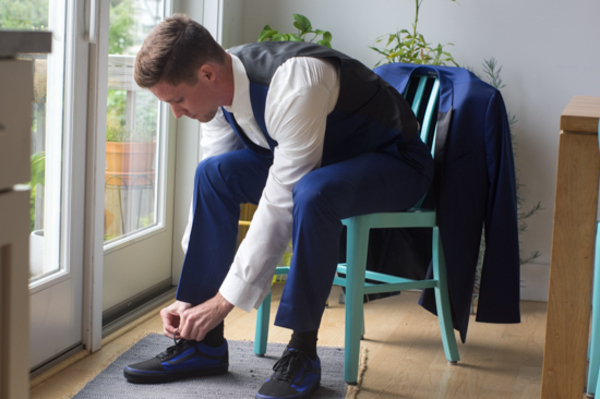 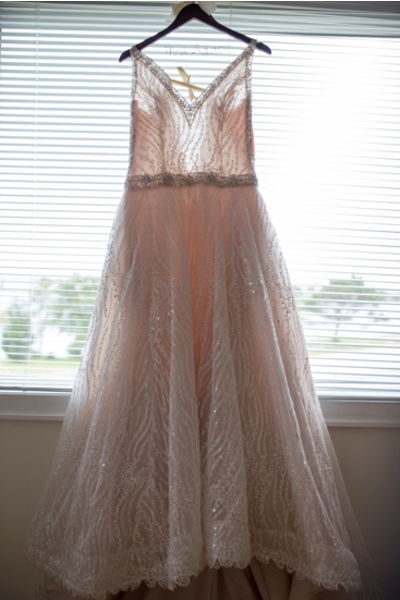 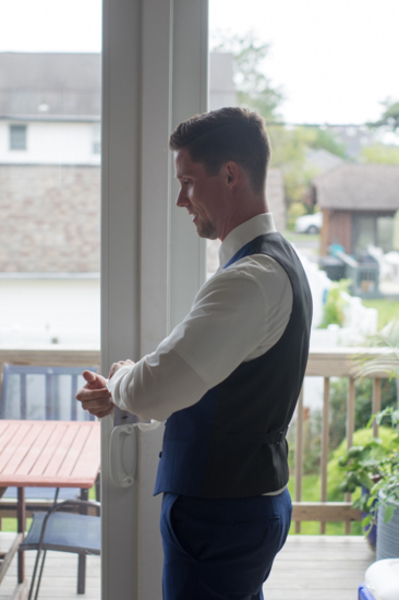 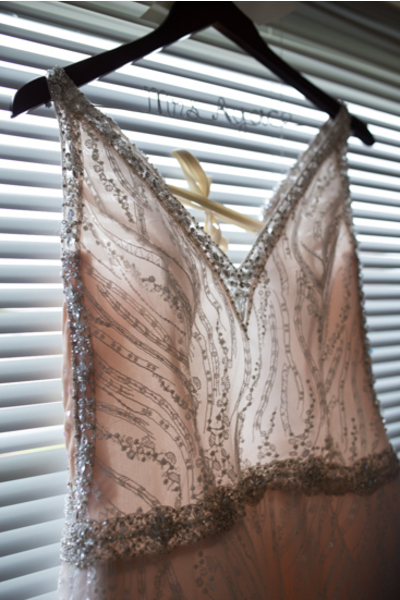 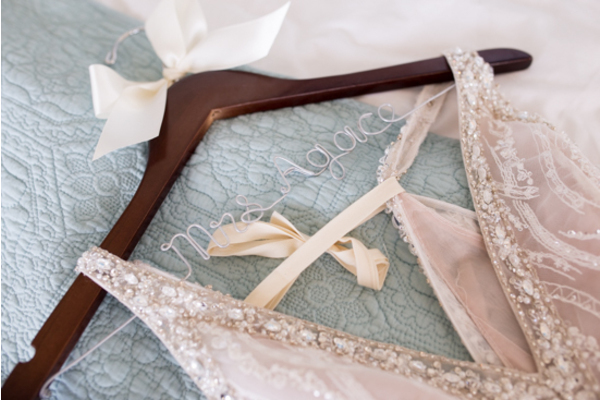 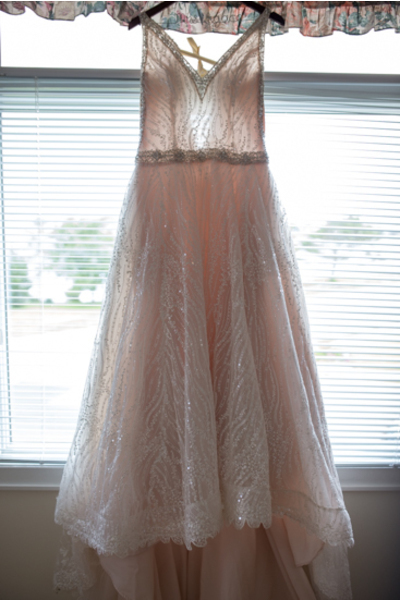 Melissa’s immaculate wedding dress hung in the window as she got her hair curled and her make up all done up.Our NJ Wedding Photographer was also with the groom that morning as he put on his watch and straightened his bow tie. 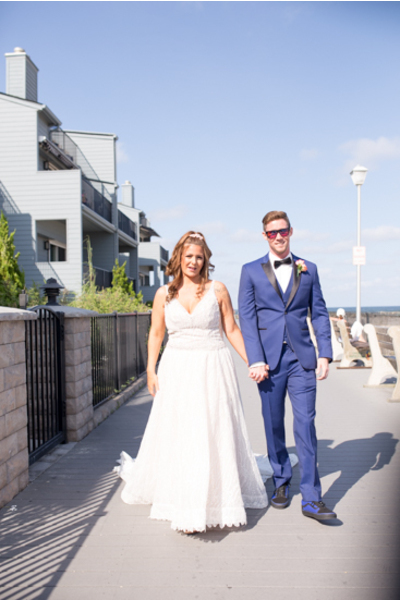 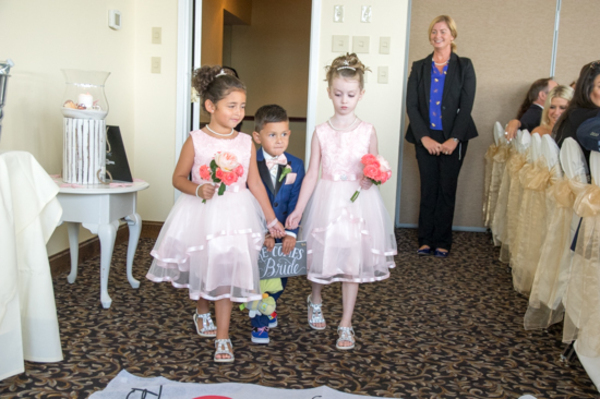 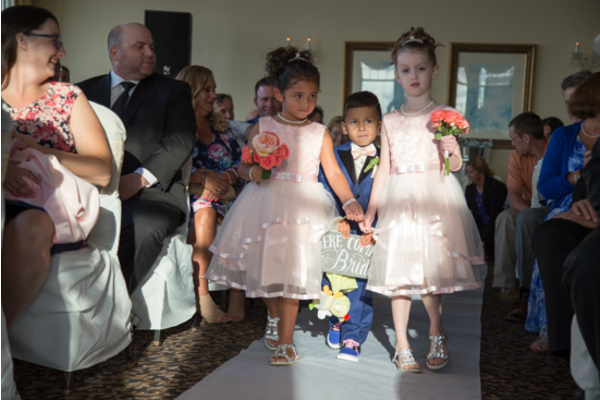 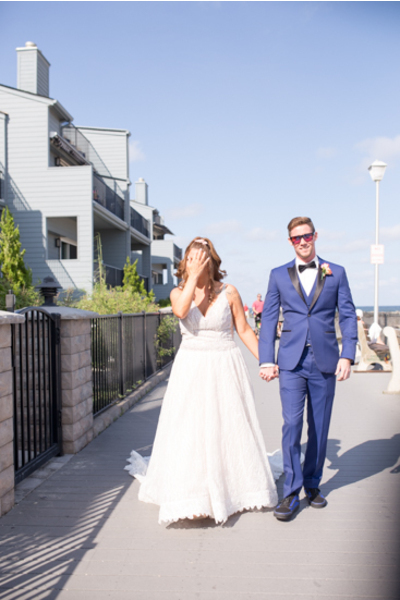 After taking a stroll down the boardwalk, they were off to the grand ceremony! 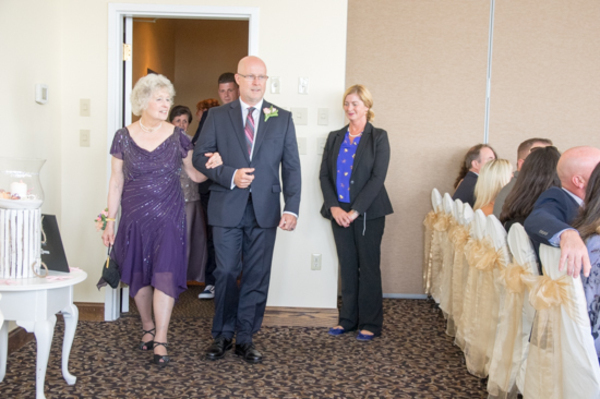 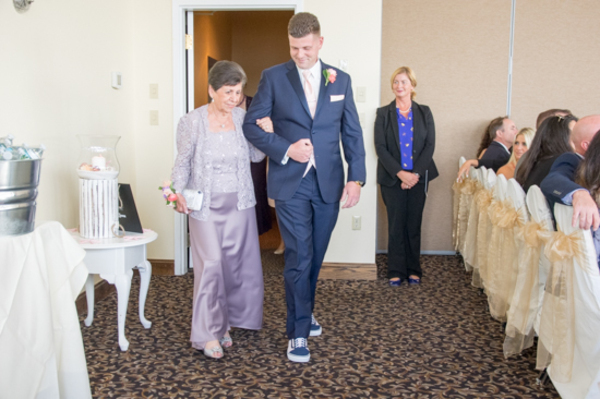 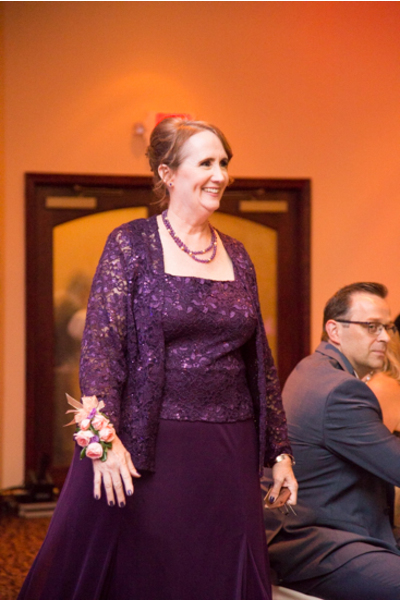 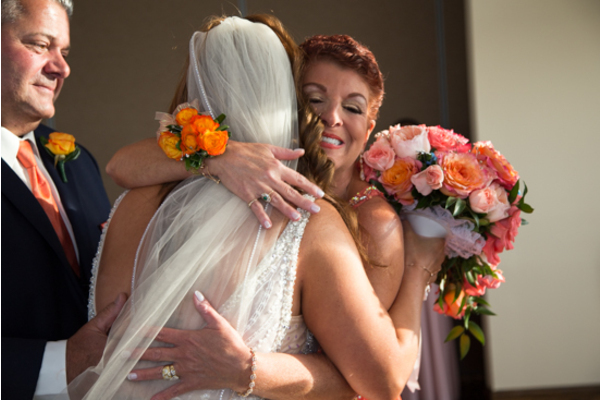 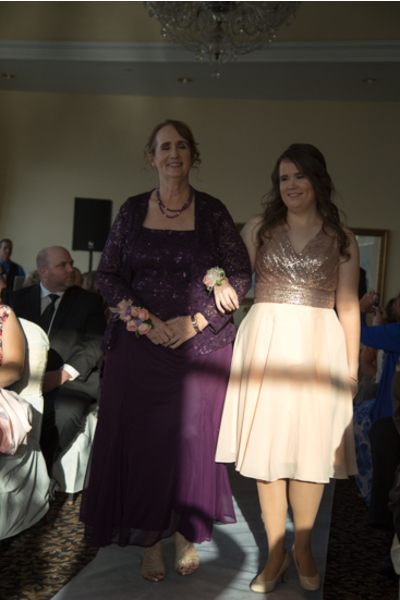 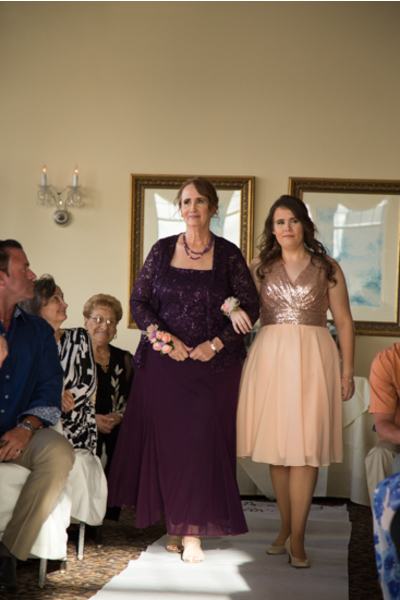 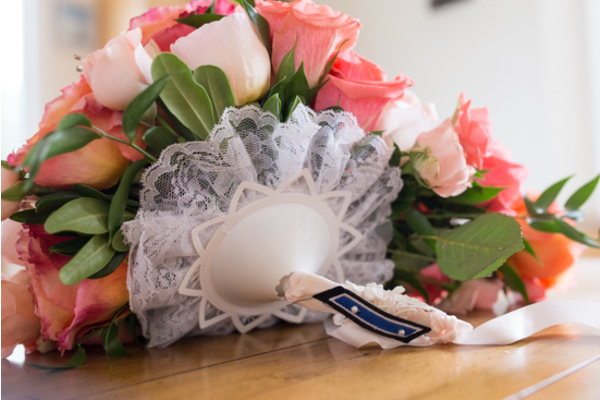 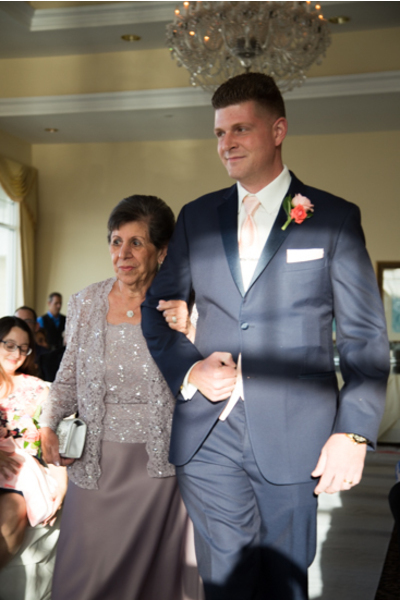 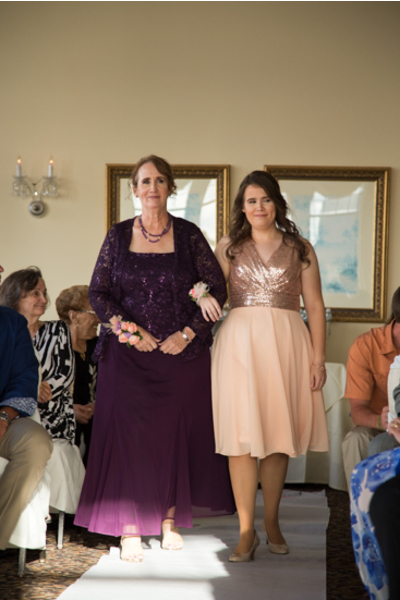 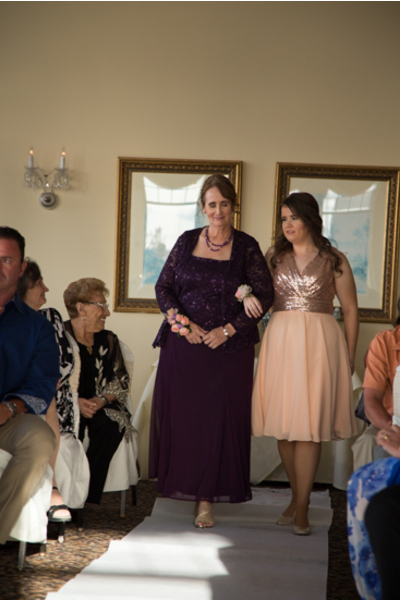 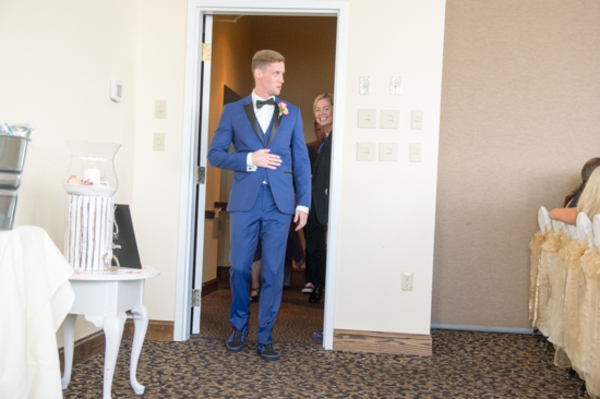 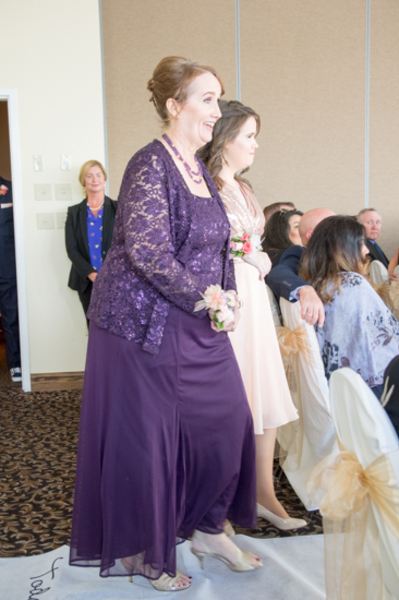 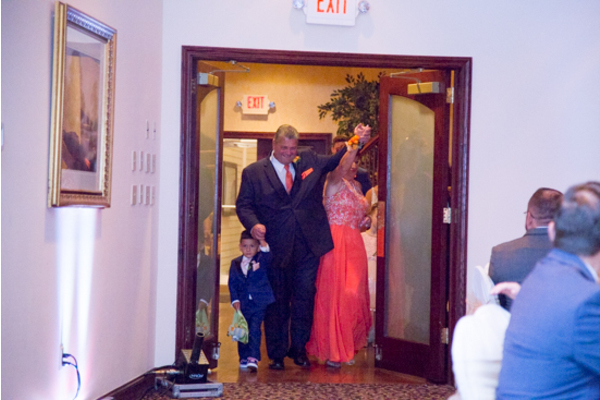 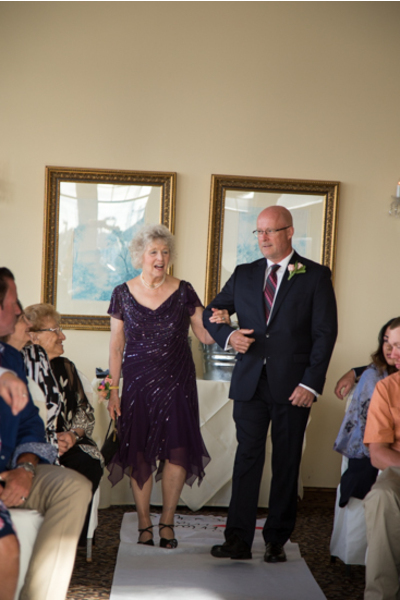 The bride made her way down the aisle so effortlessly in holding her amazing flower bouquet. 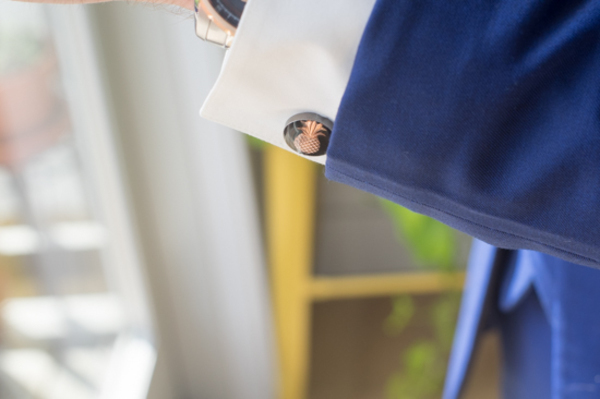 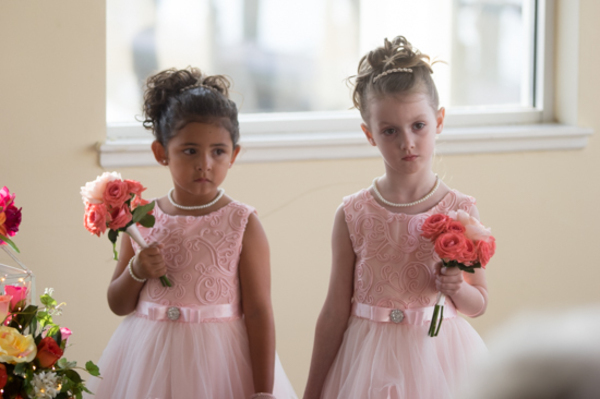 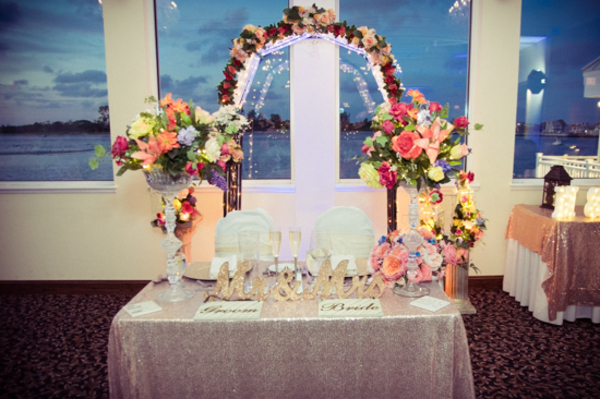 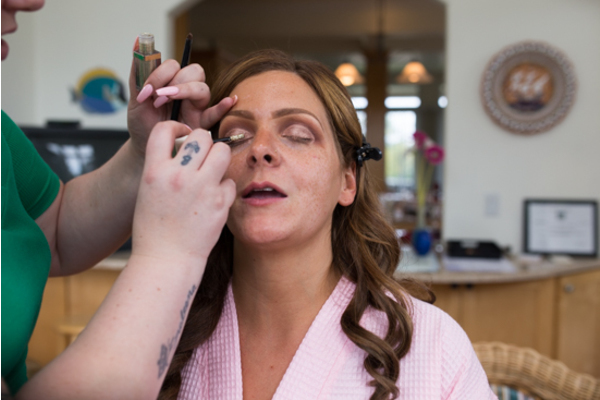 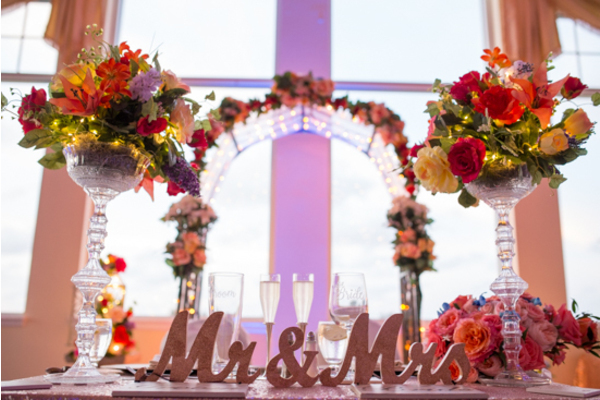 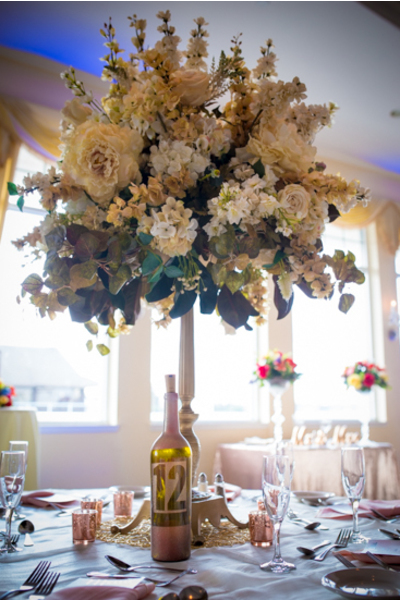 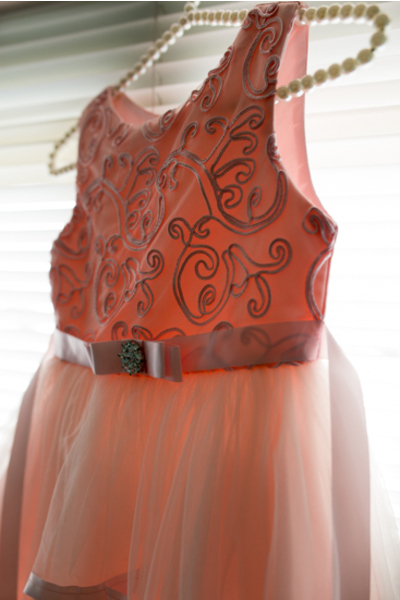 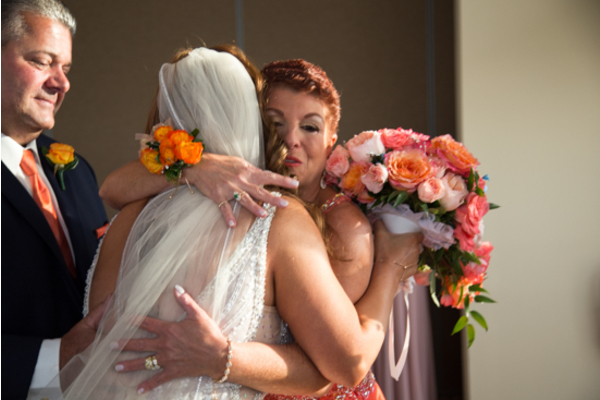 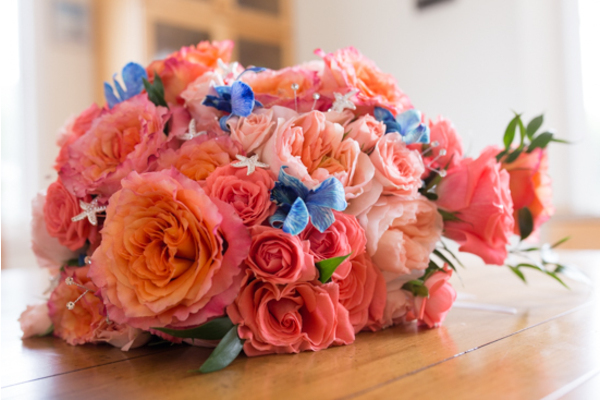 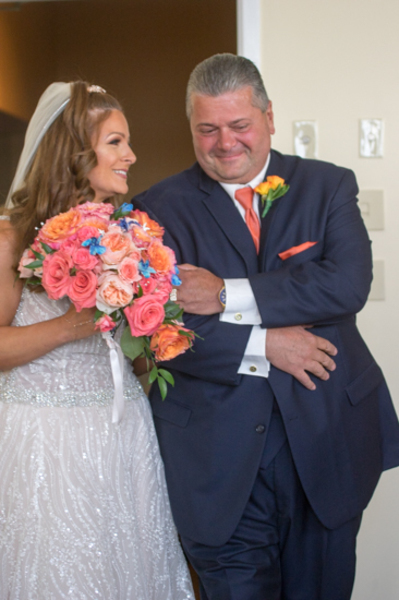 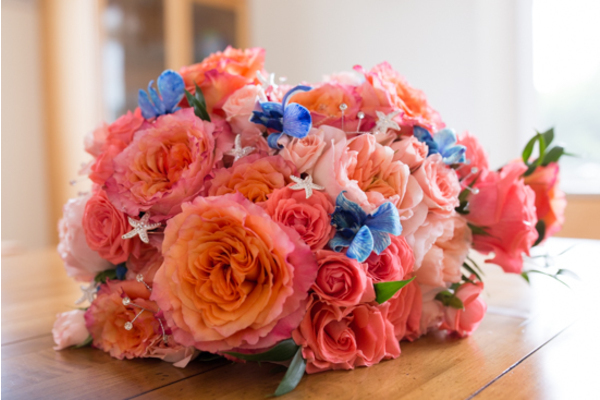 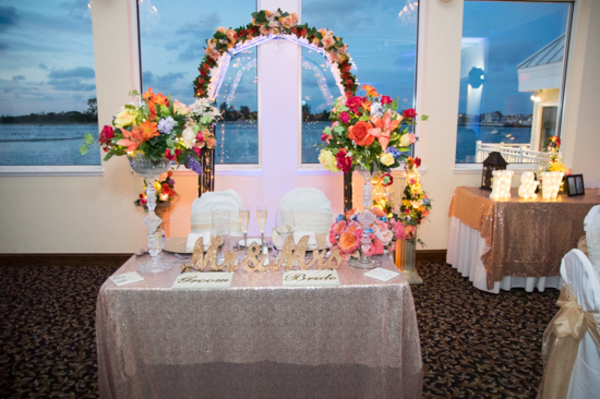 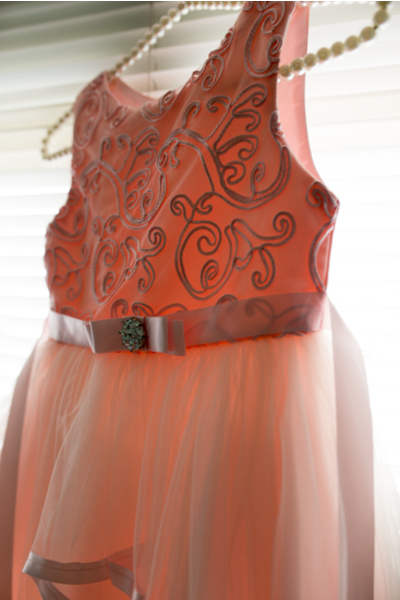 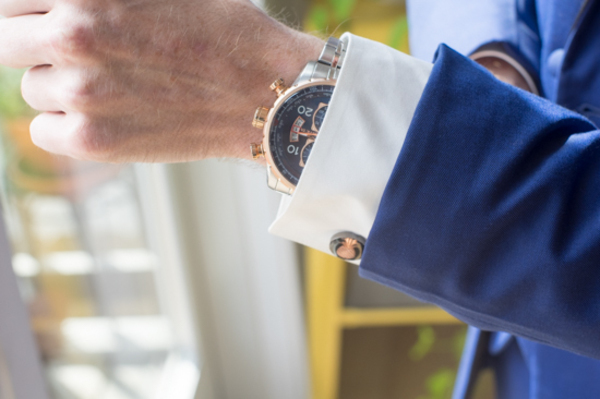 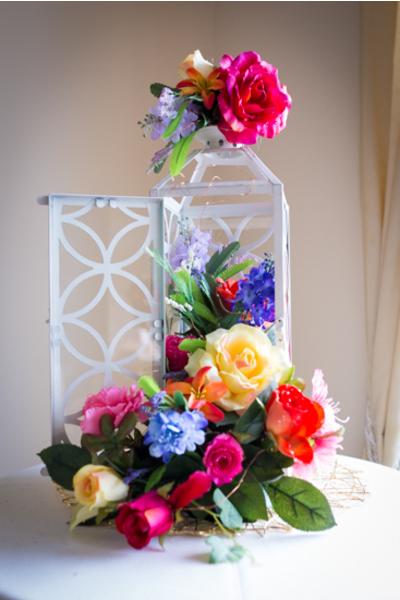 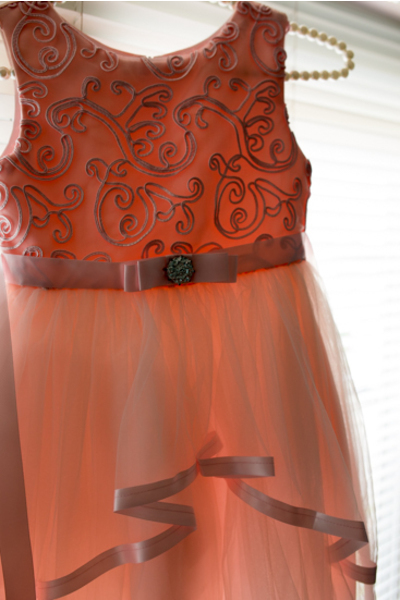 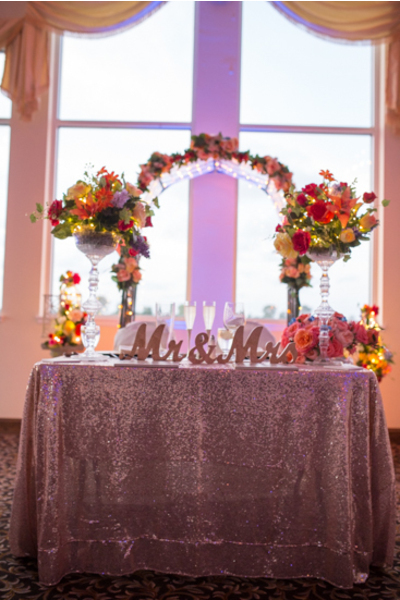 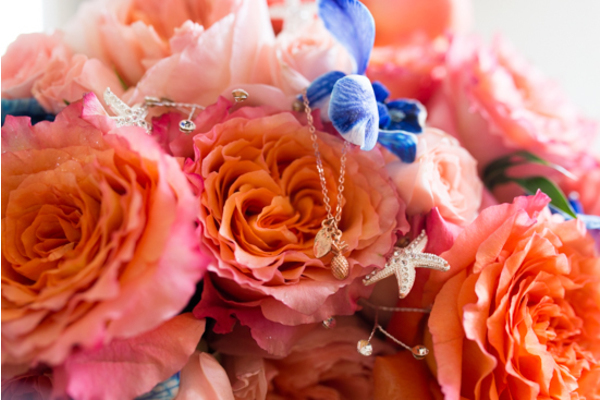 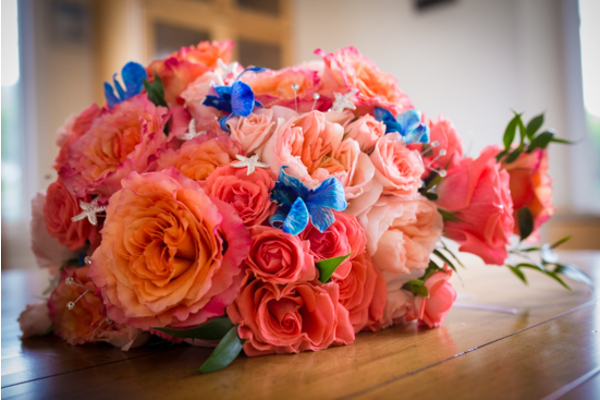 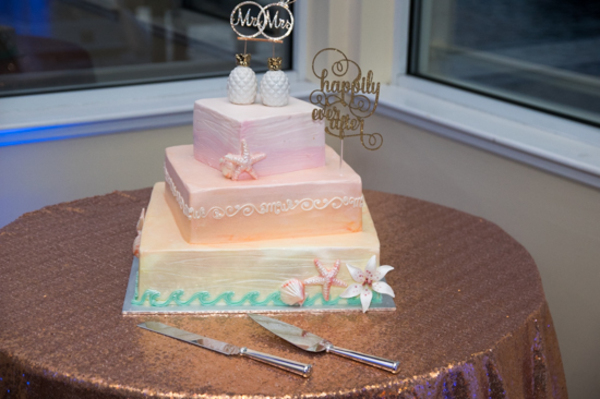 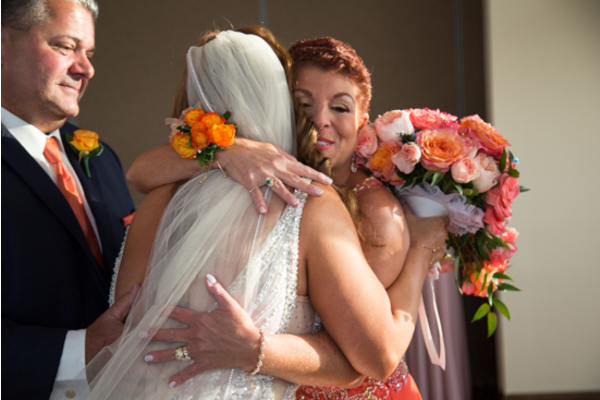 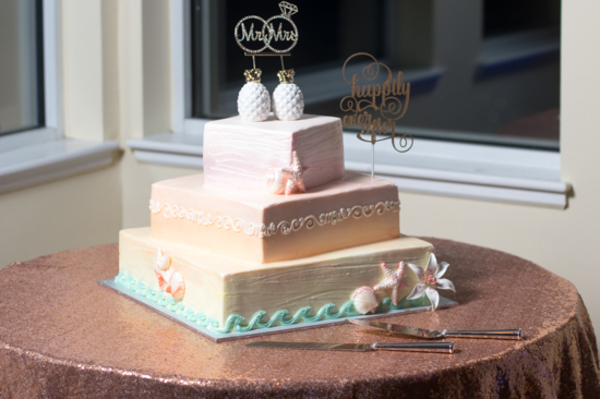 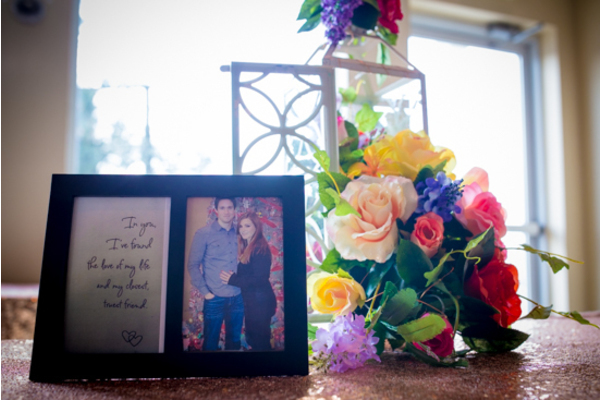 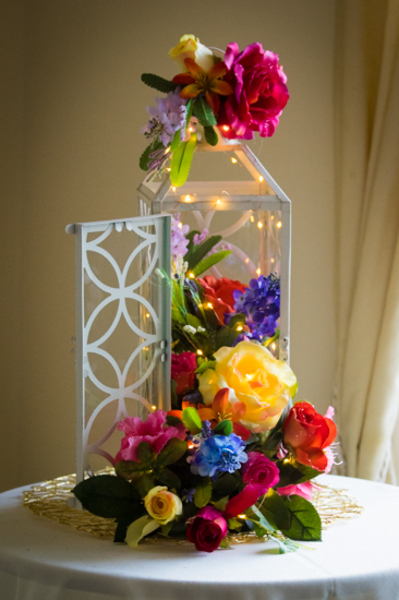 The flowers were salmon, light pink, orange, and blue with a hint of greenery. 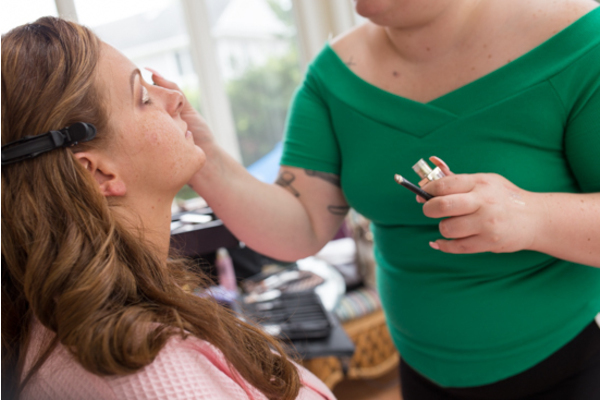 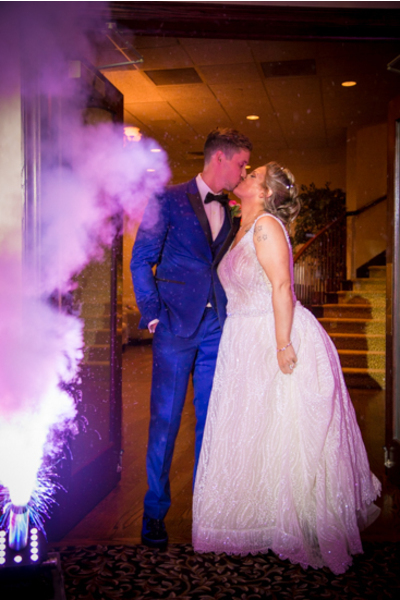 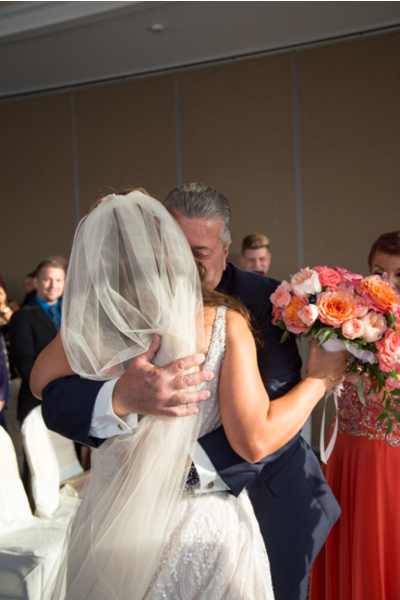 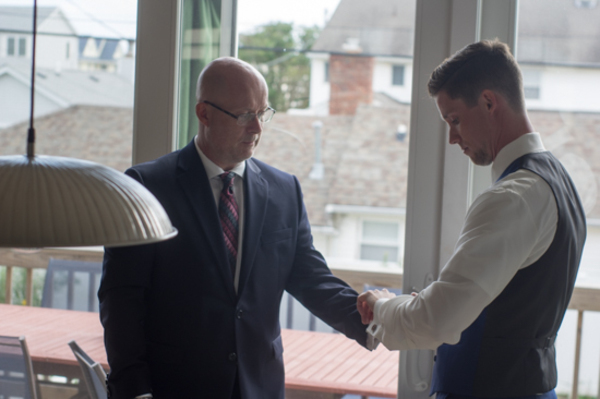 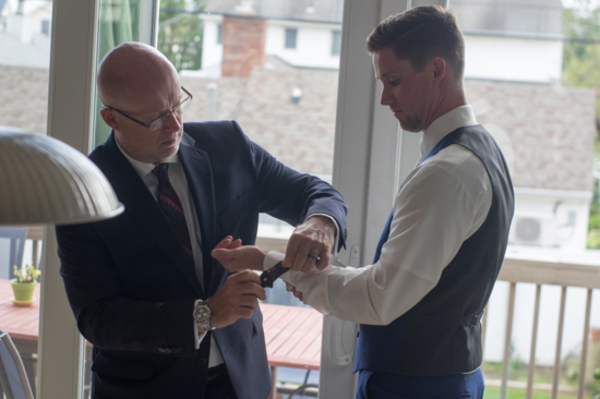 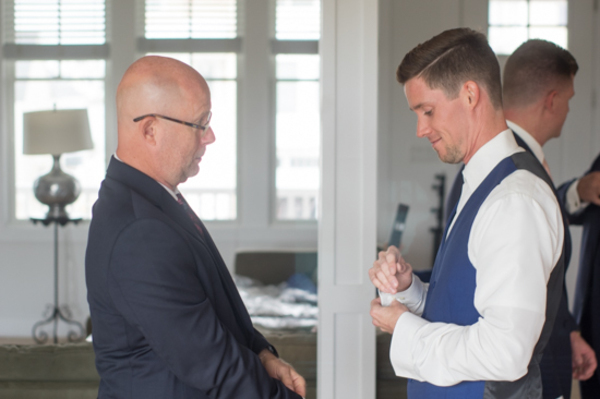 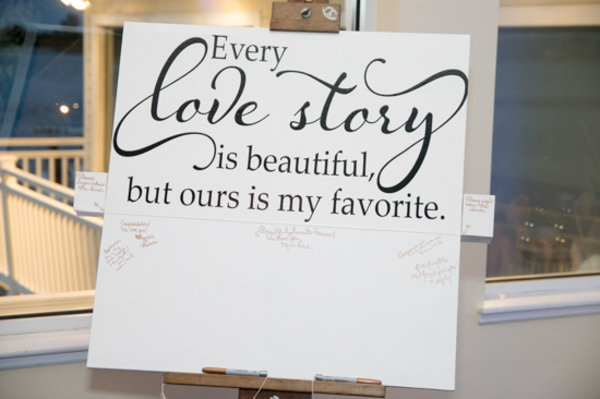 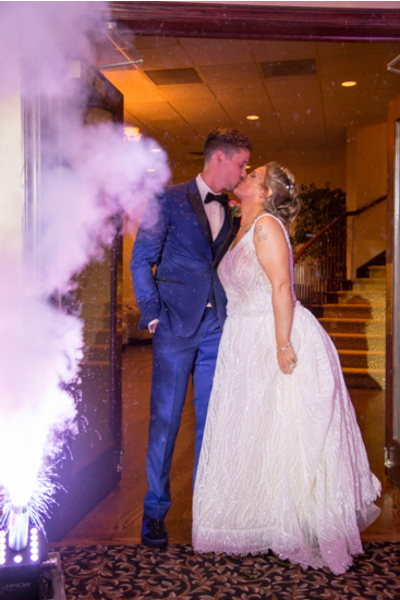 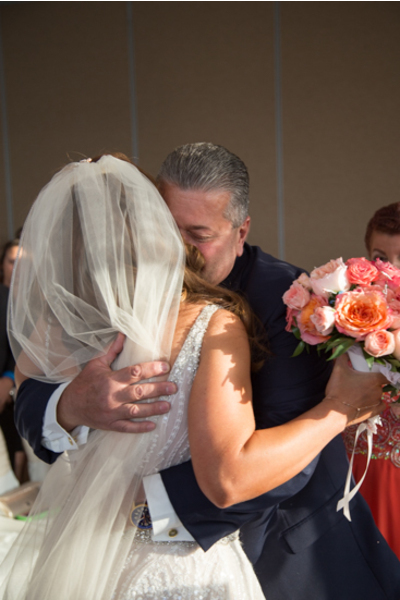 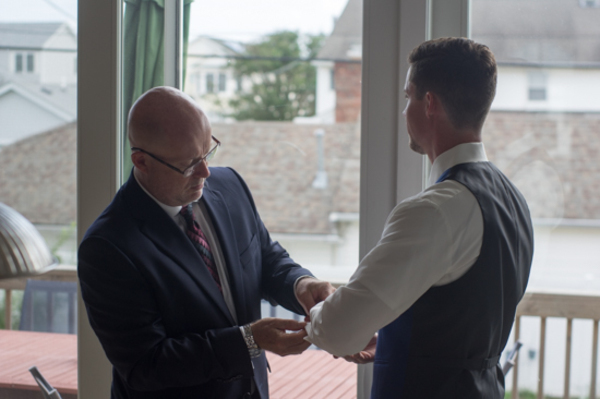 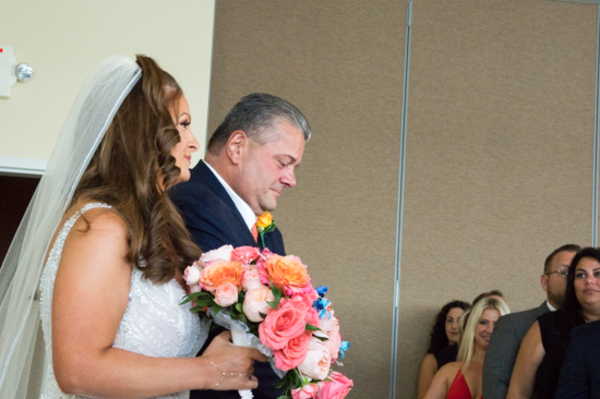 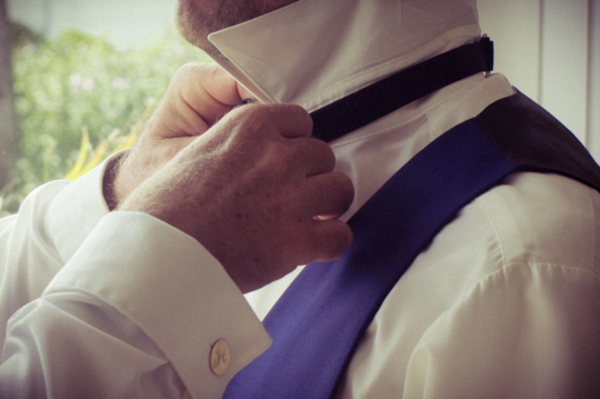 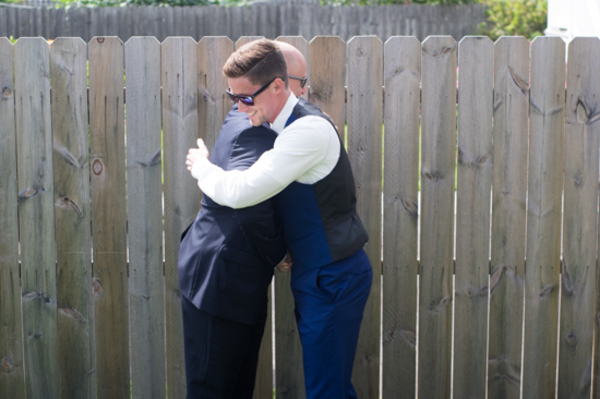 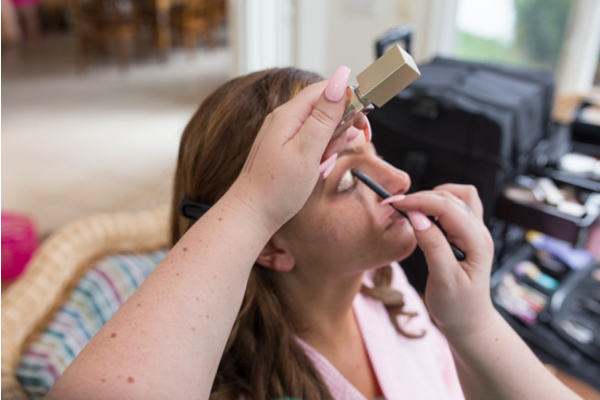 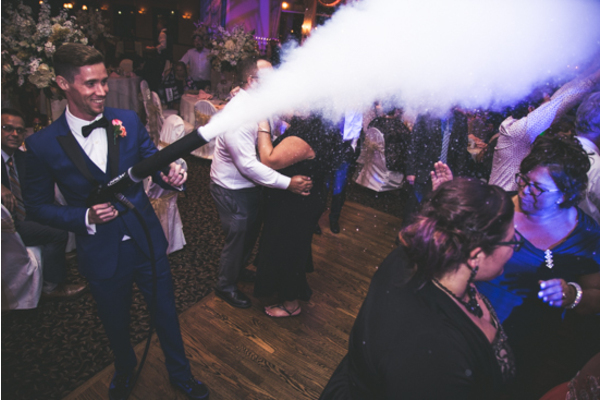 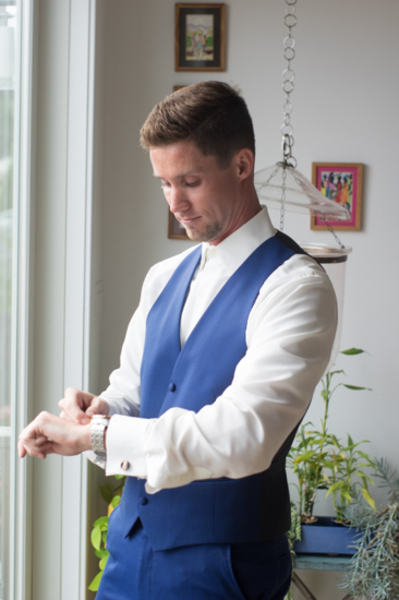 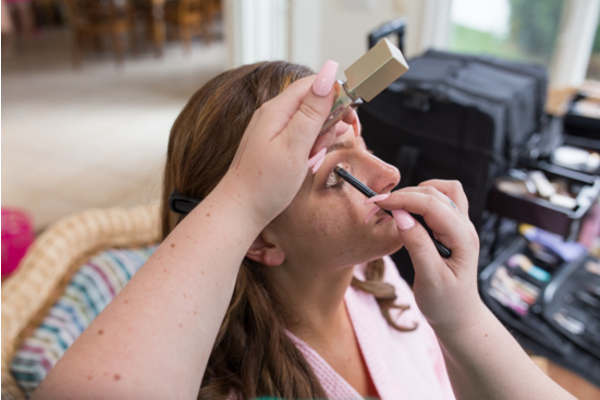 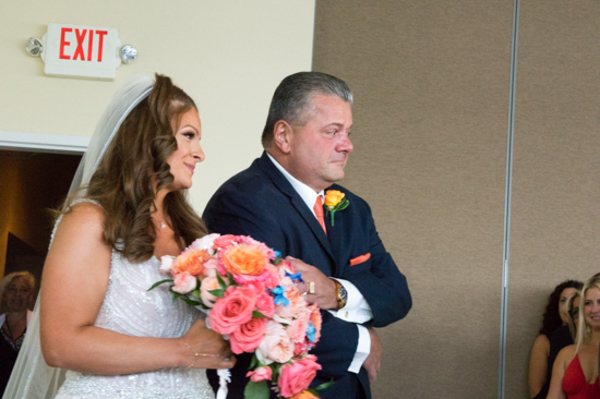 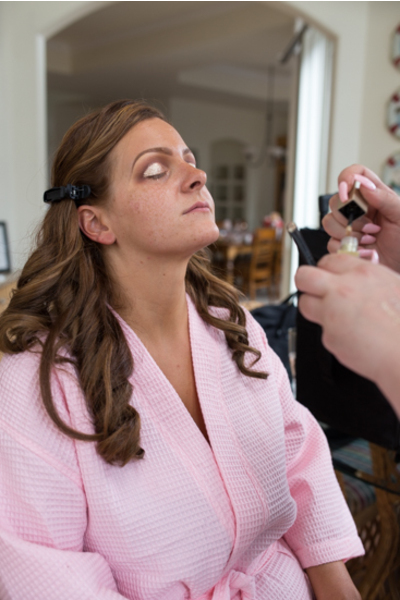 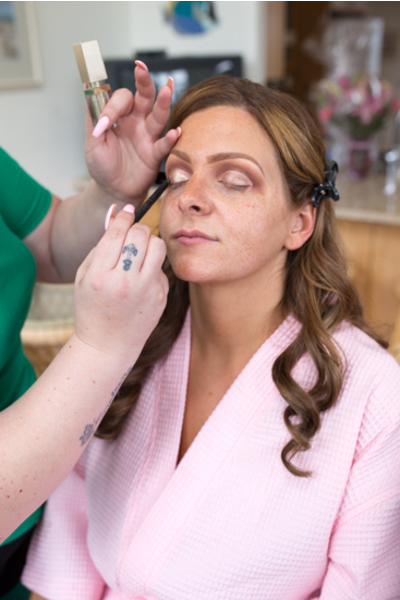 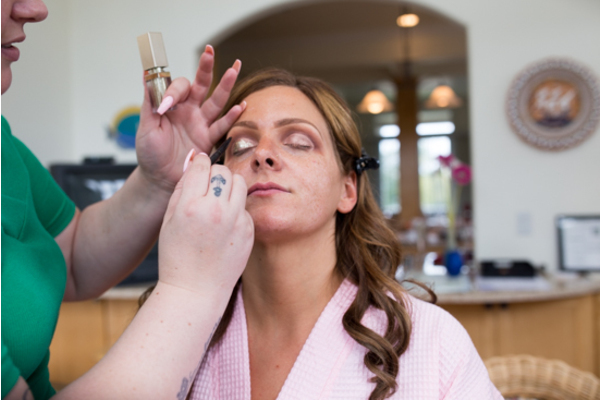 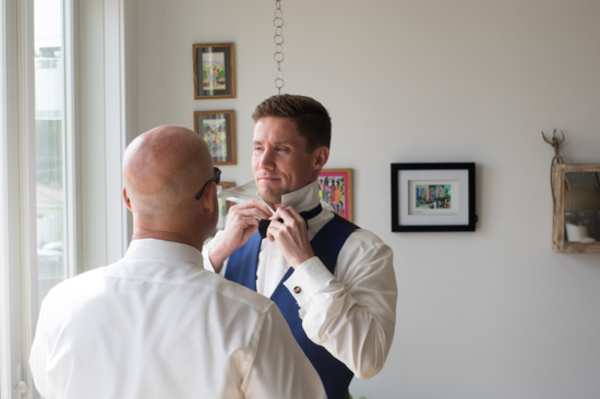 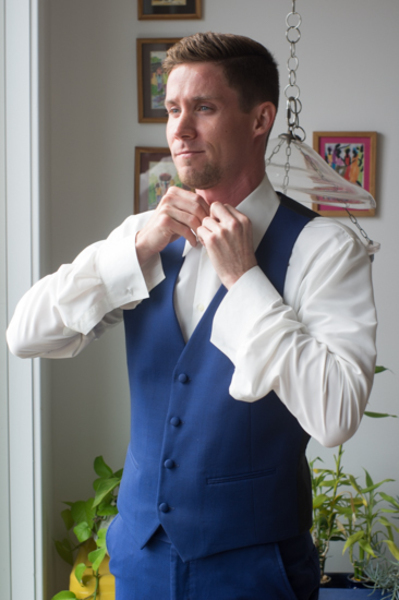 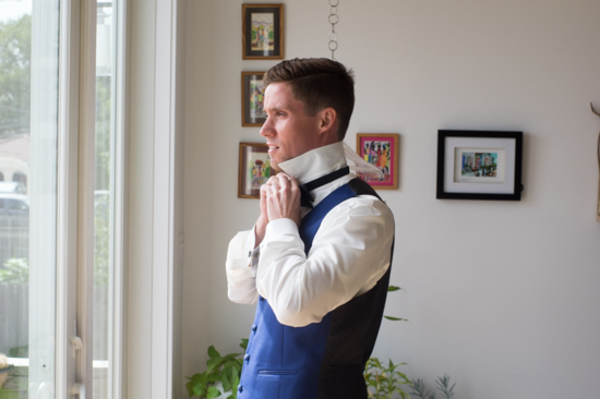 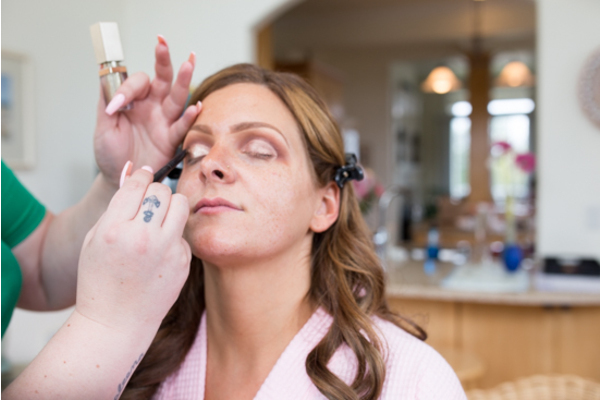 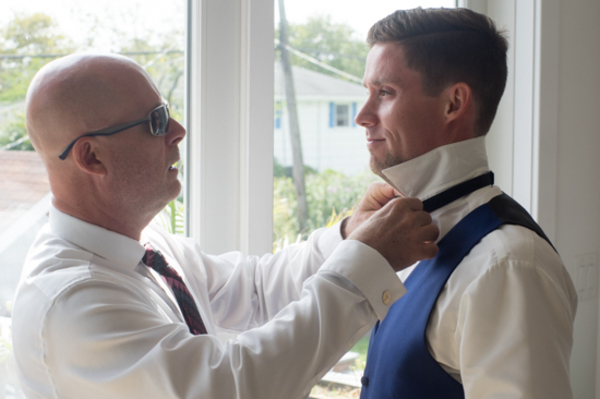 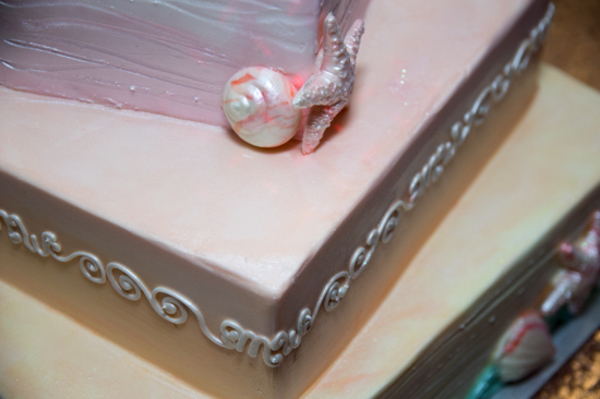 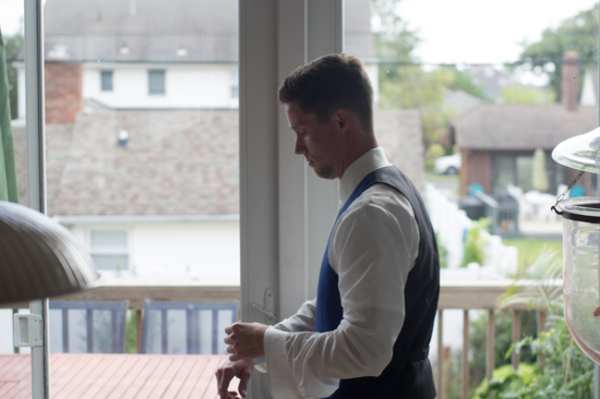 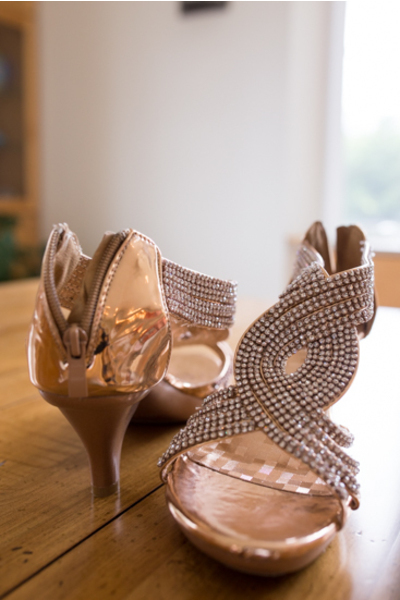 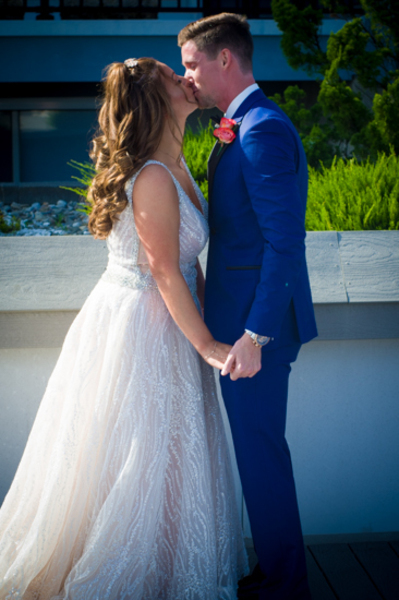 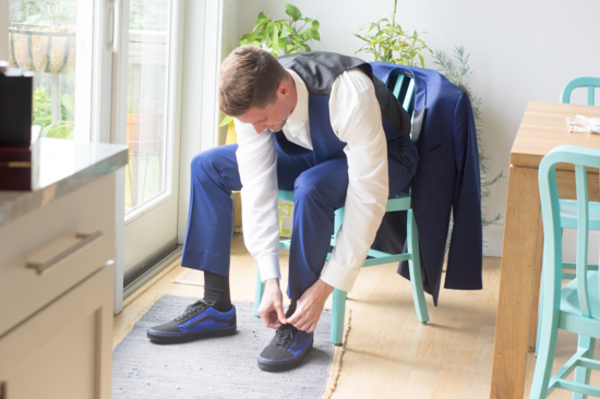 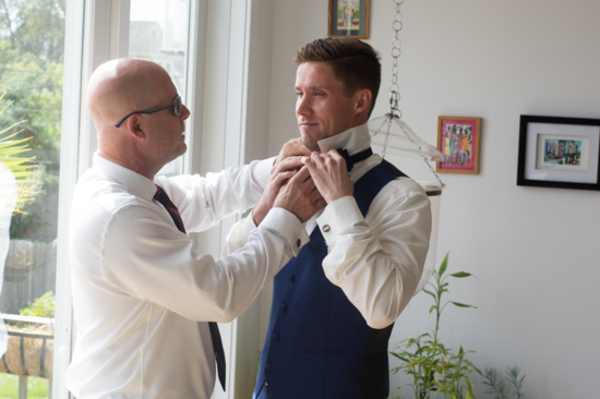 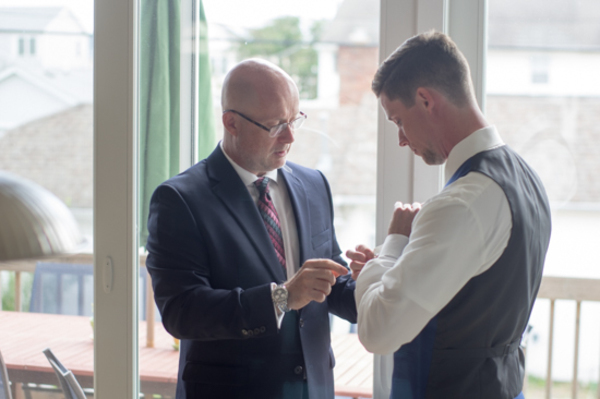 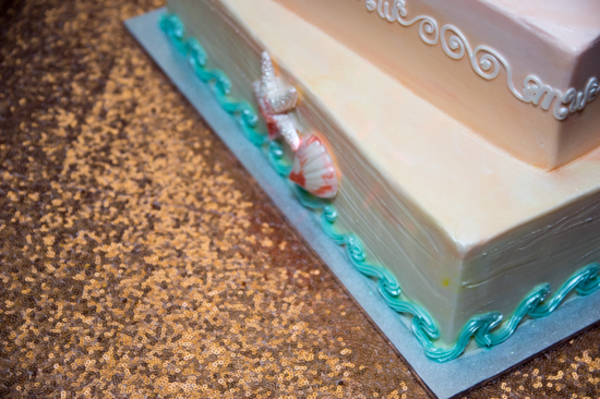 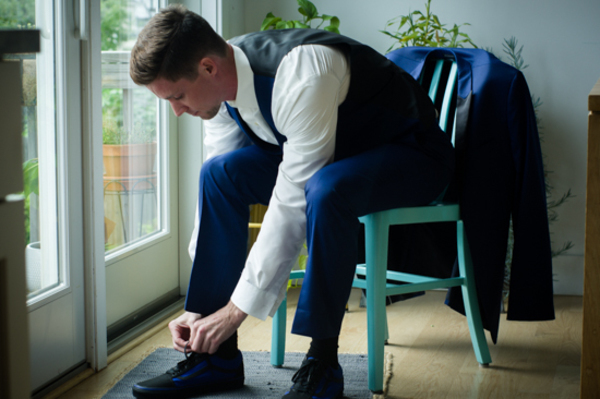 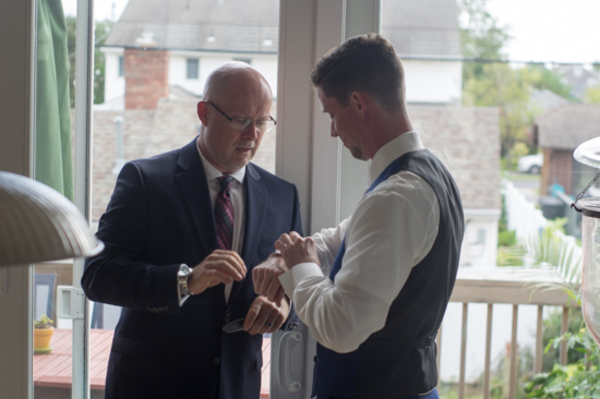 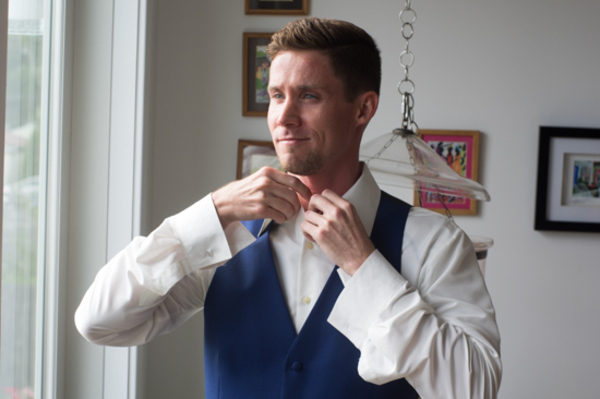 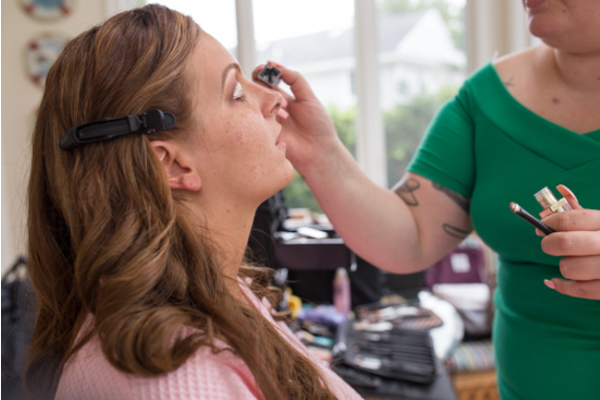 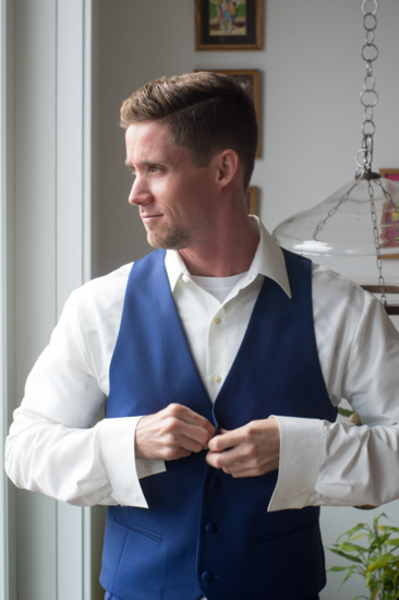 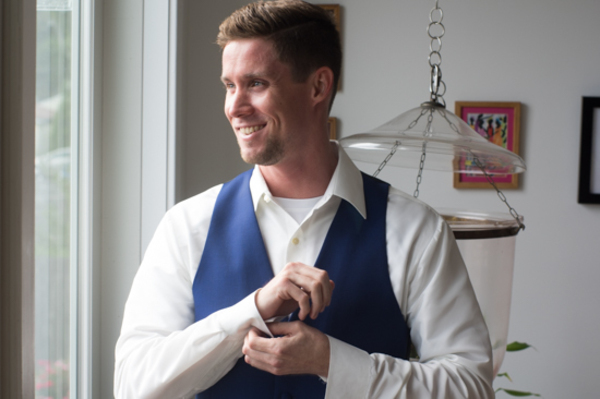 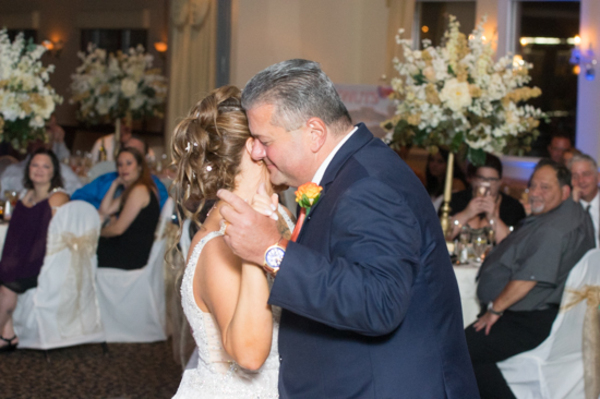 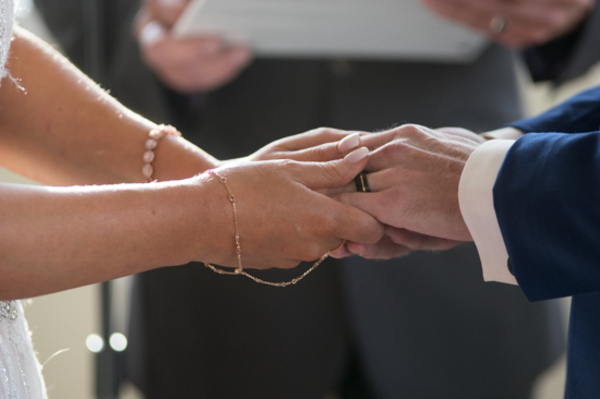 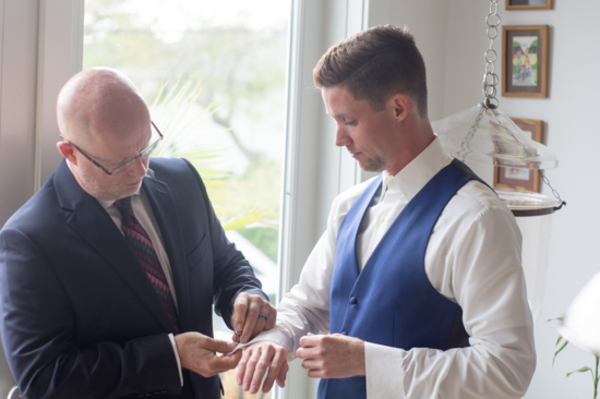 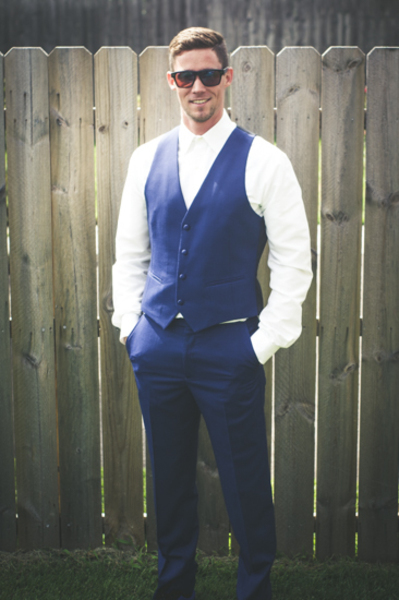 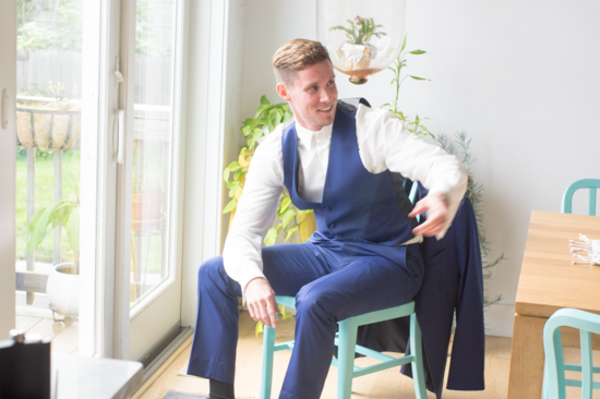 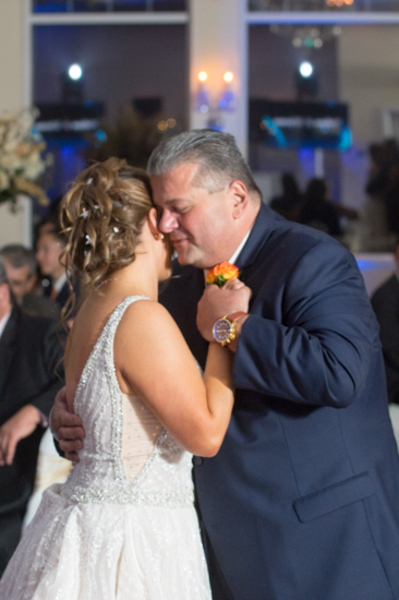 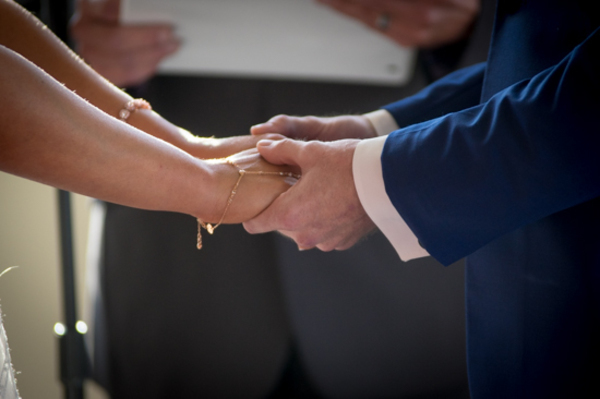 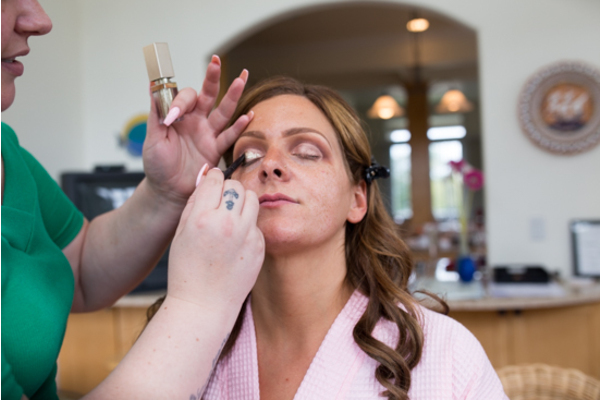 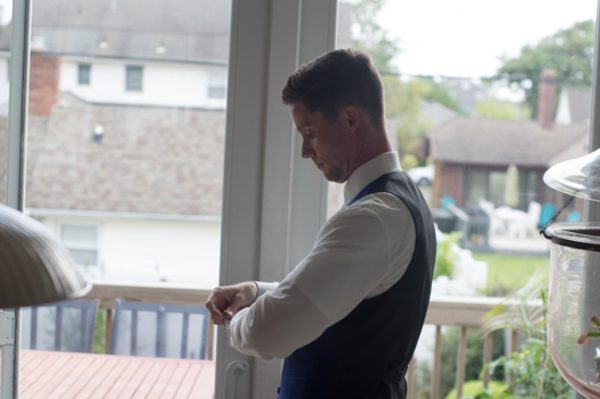 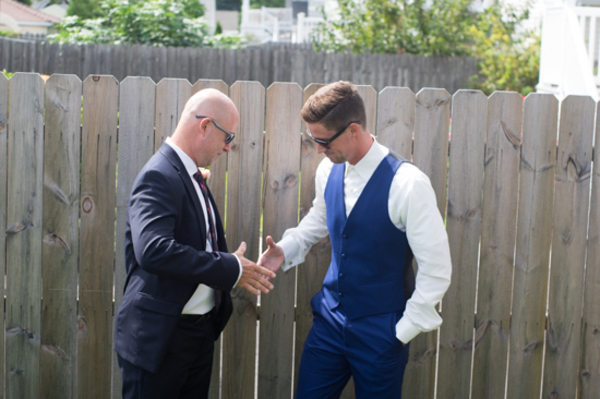 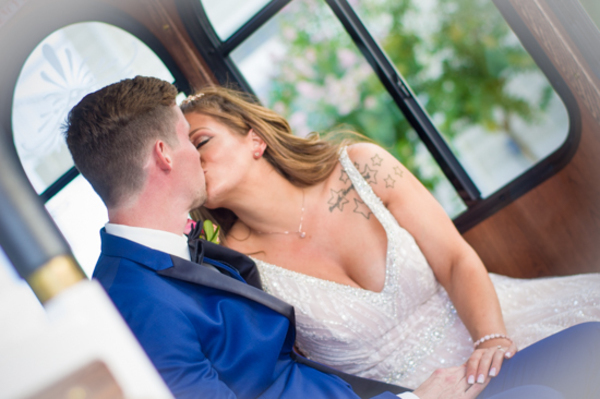 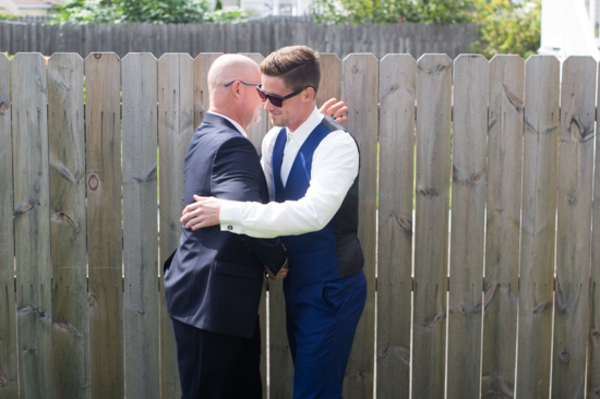 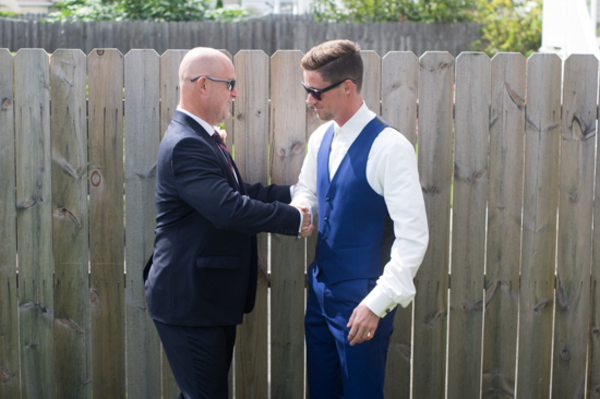 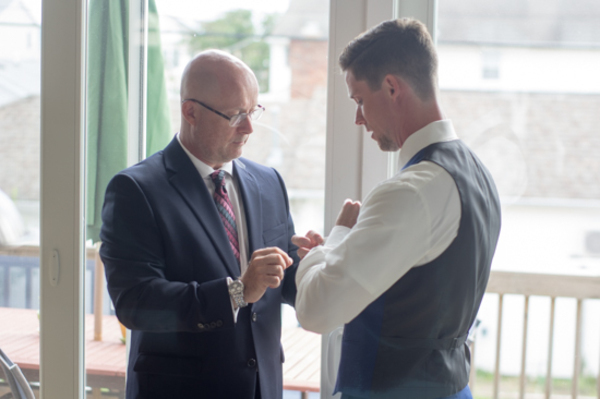 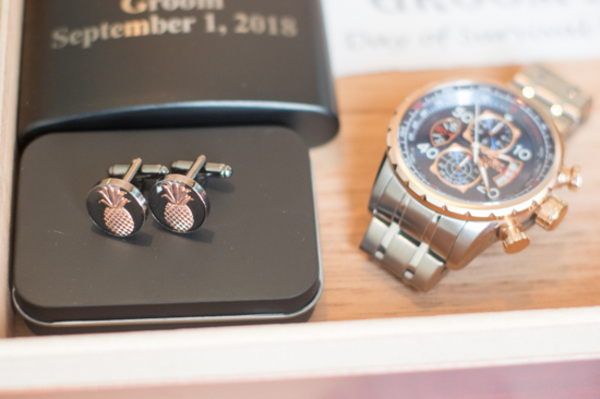 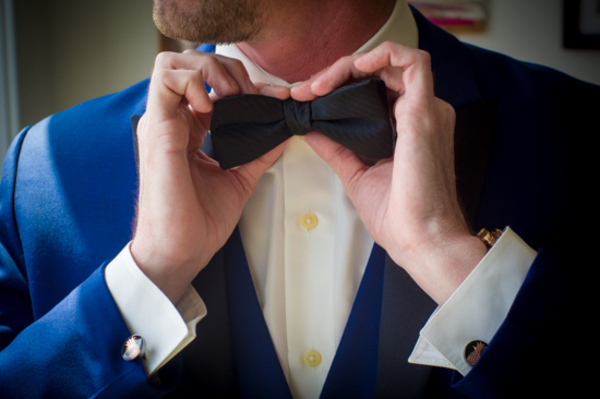 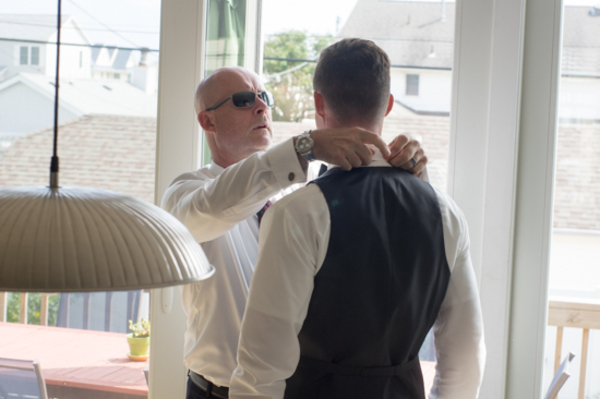 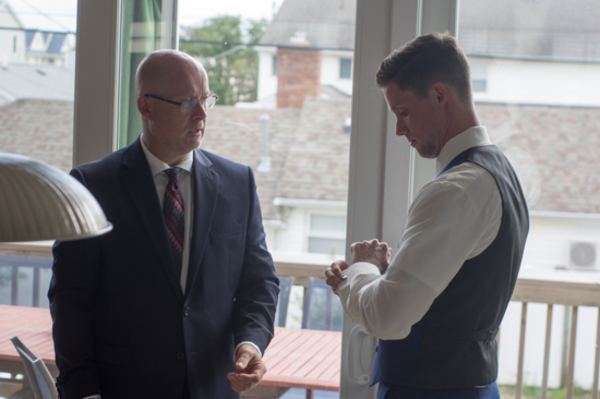 Our NJ Wedding Photographer was there as the couple said their “I Do’s” and sealed their love with a kiss! 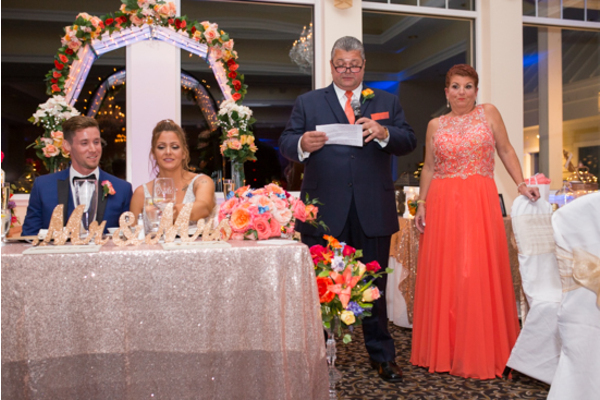 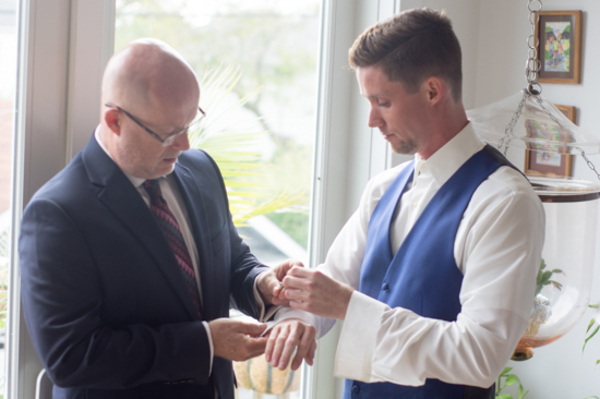 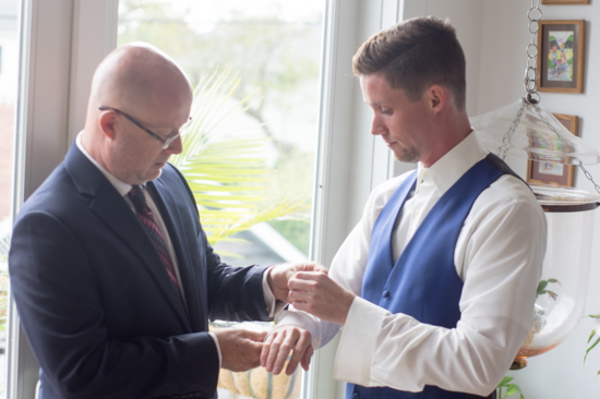 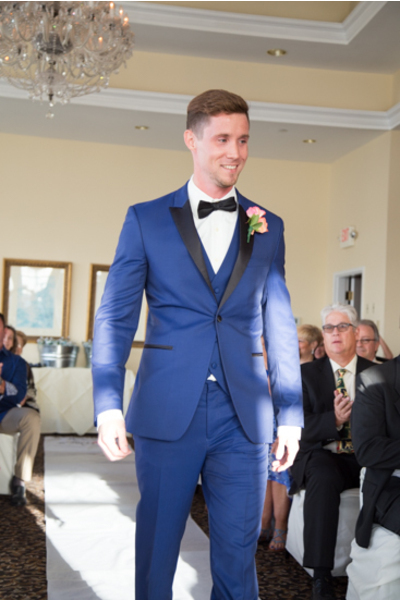 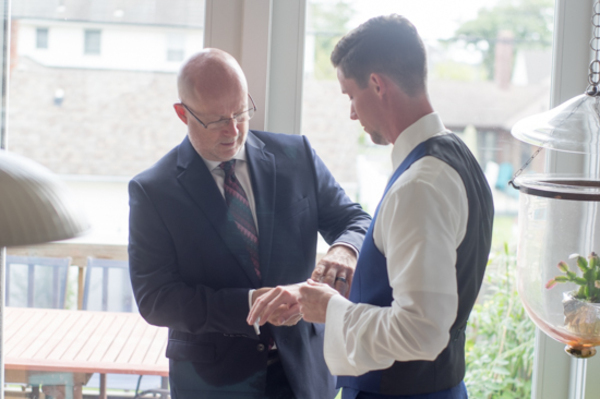 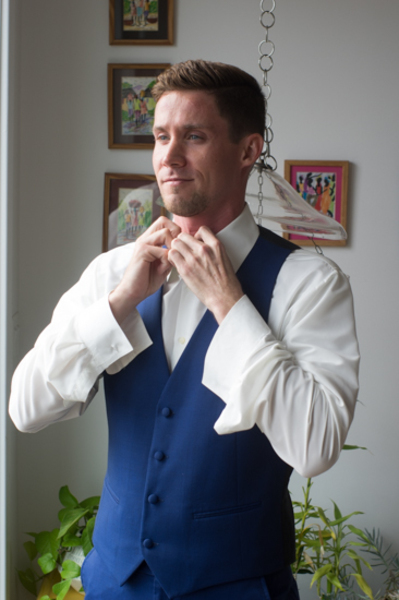 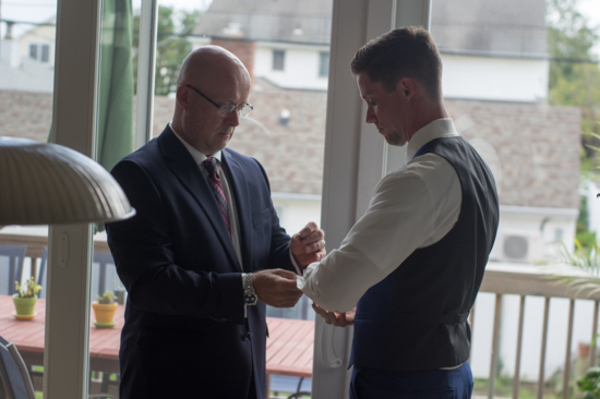 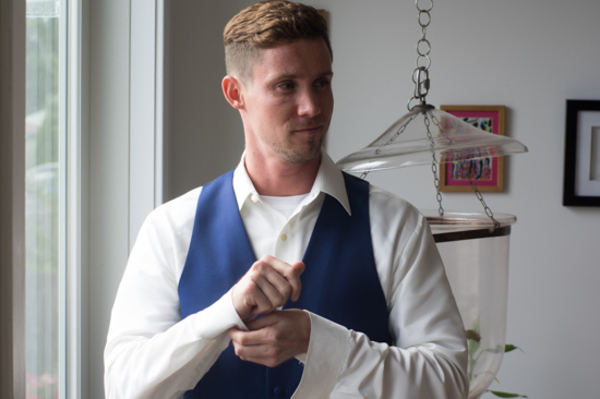 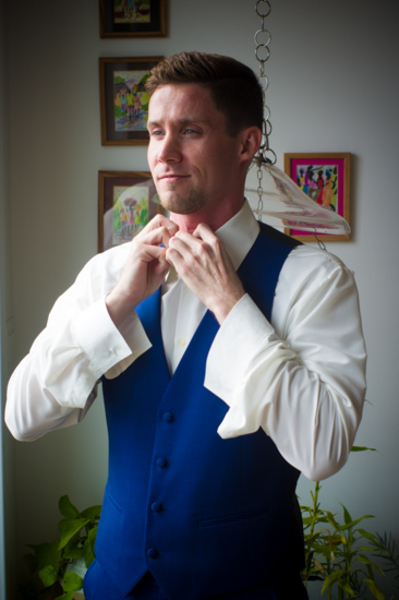 Also, our NJ Wedding Officiant announced them as husband as wife for the first time and all their loved ones cheered. 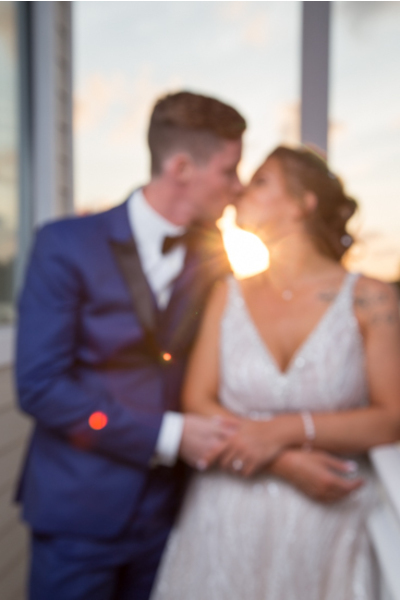 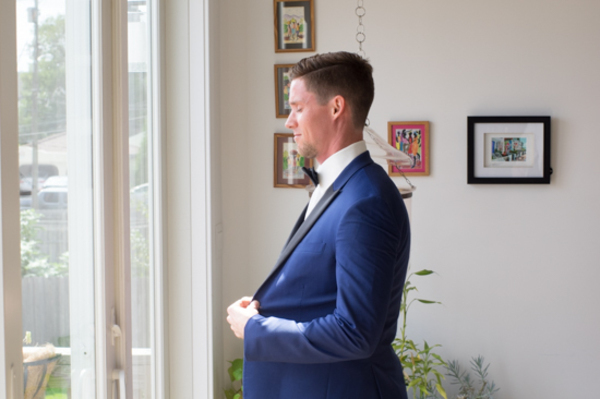 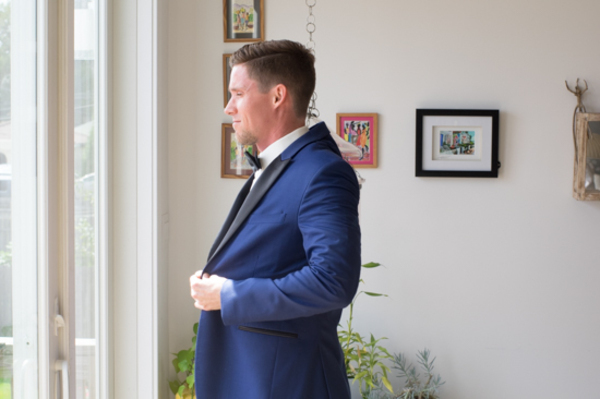 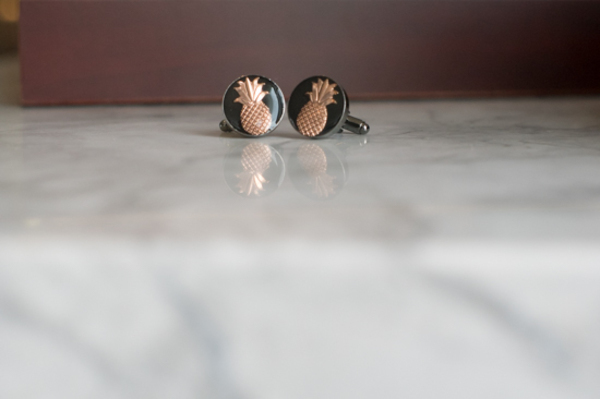 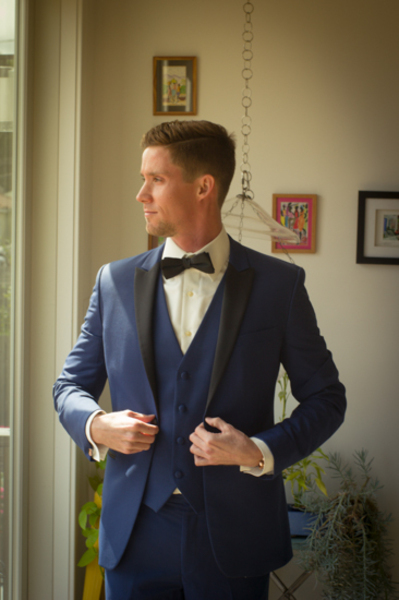 After some beautiful shots taken at sunset, the couple was off to the reception. 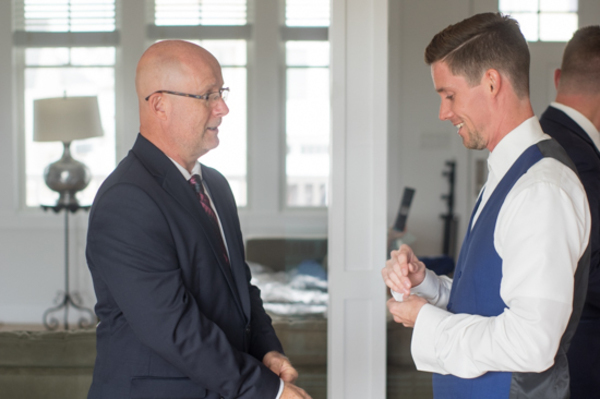 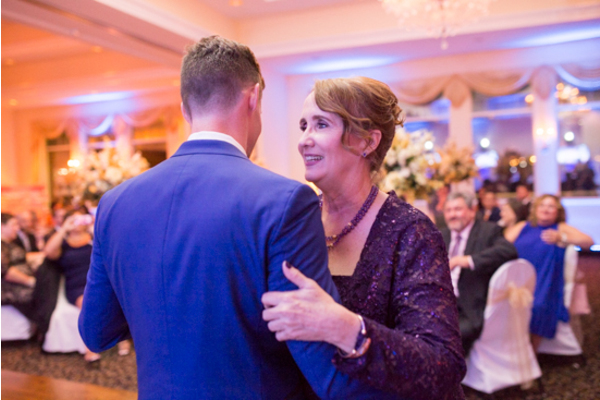 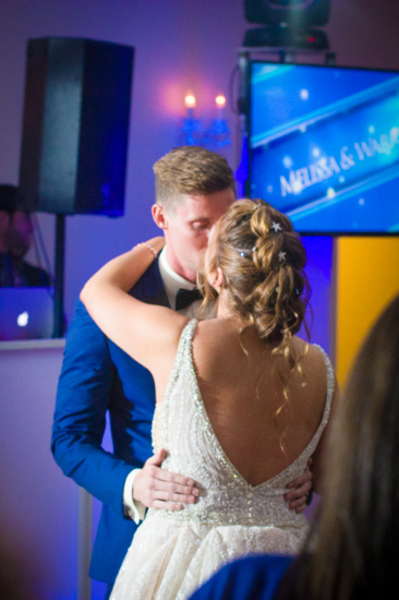 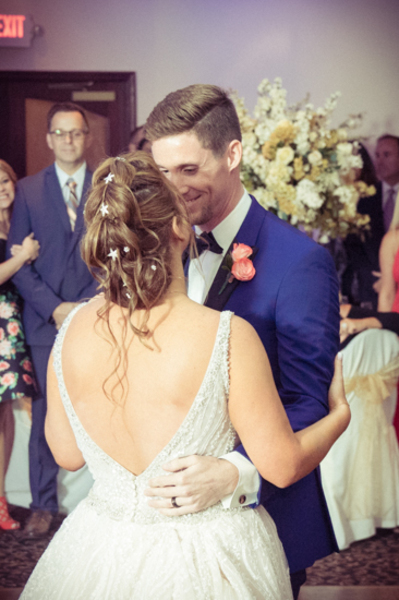 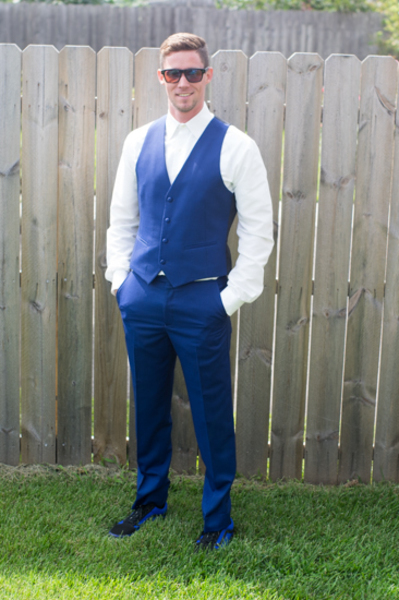 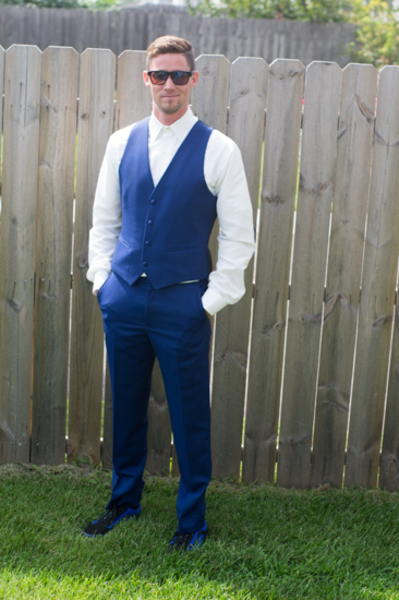 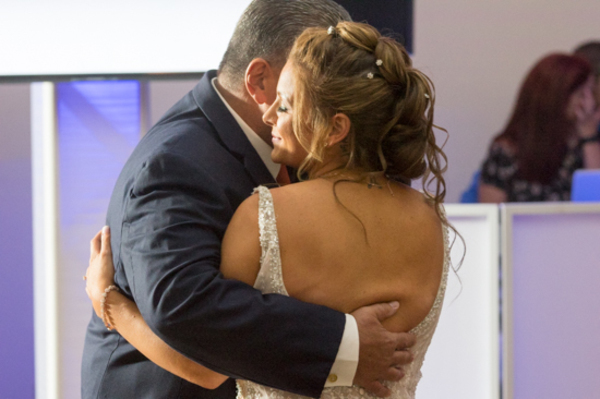 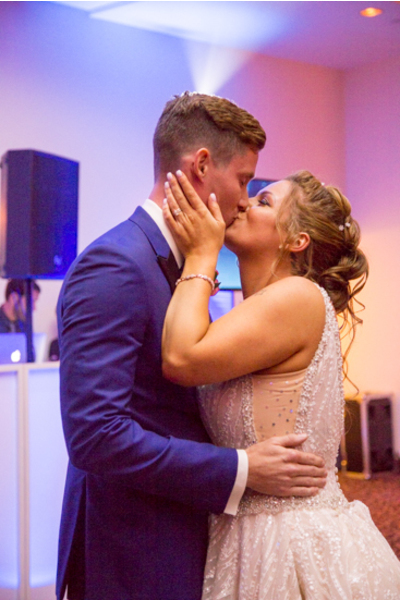 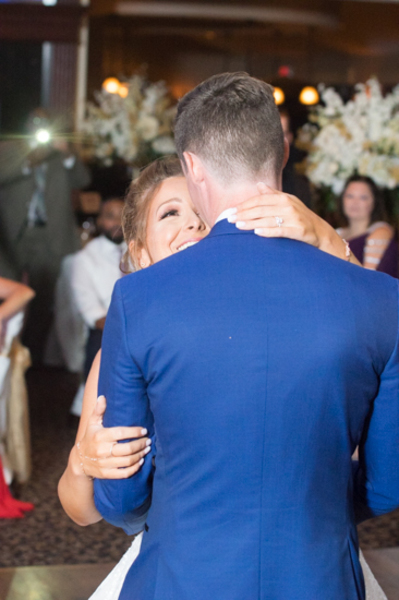 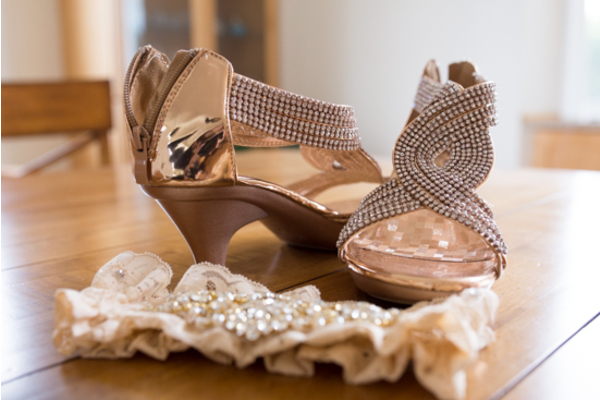 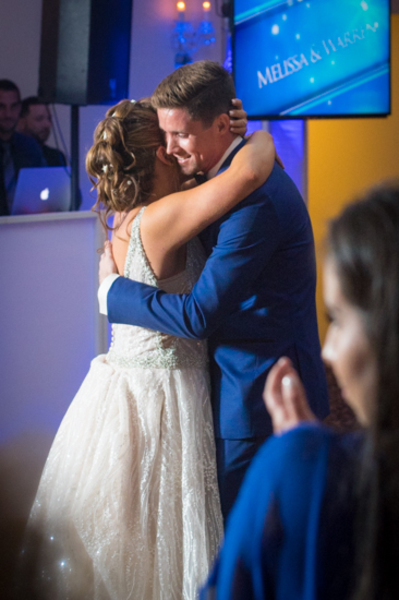 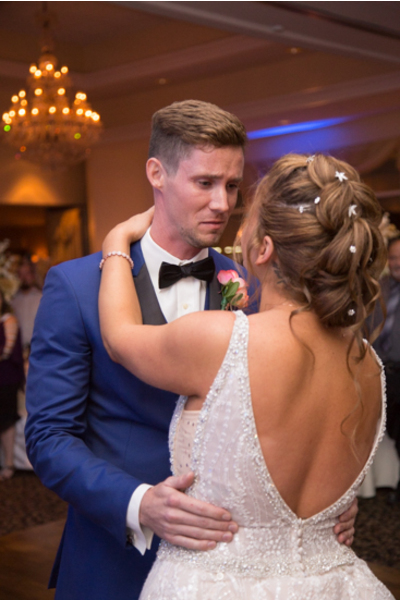 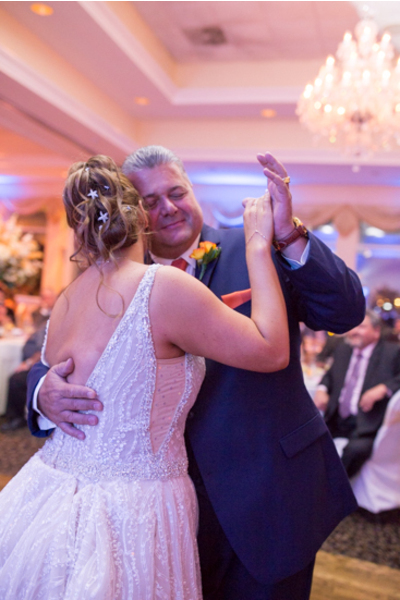 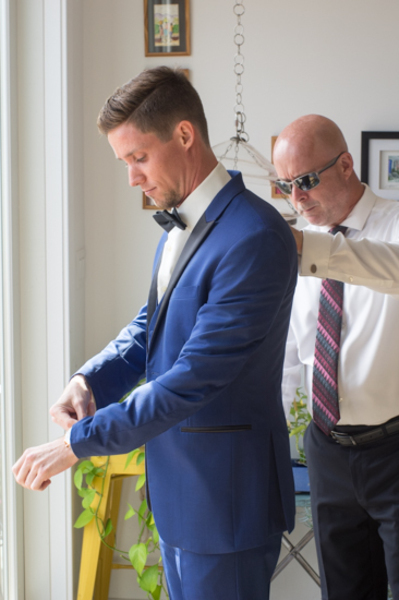 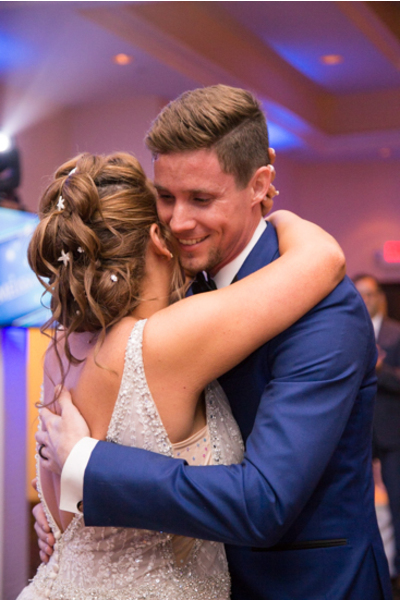 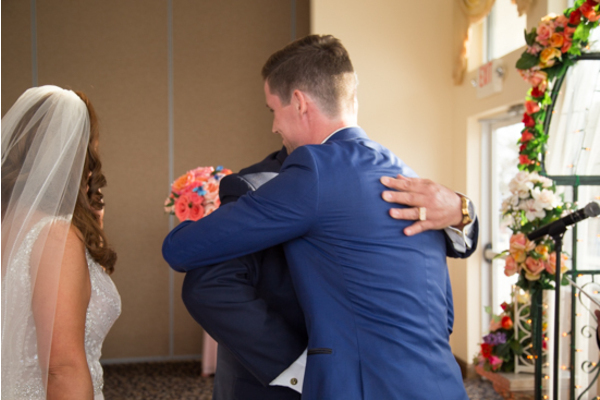 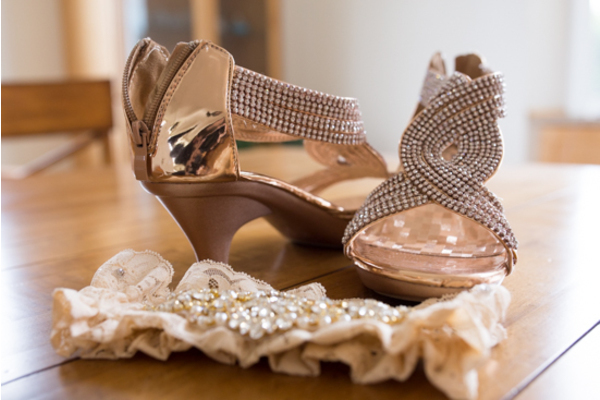 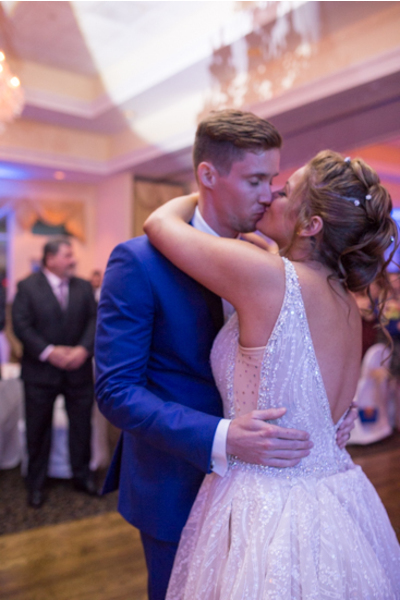 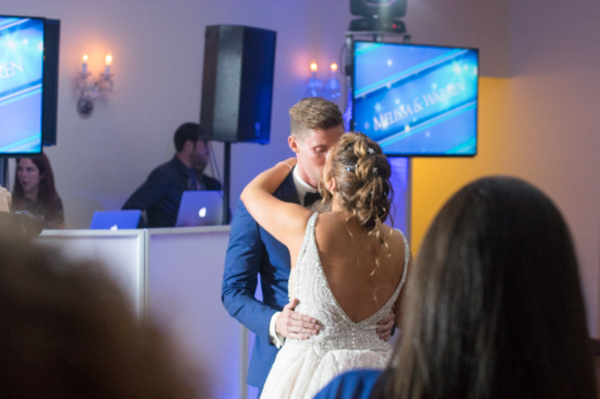 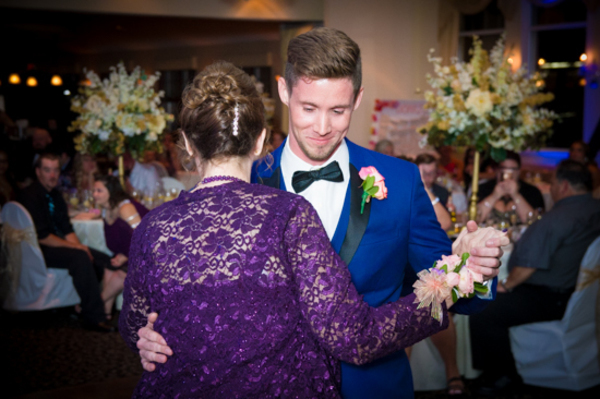 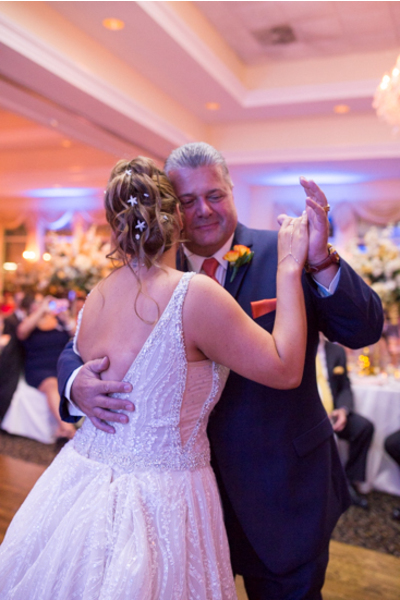 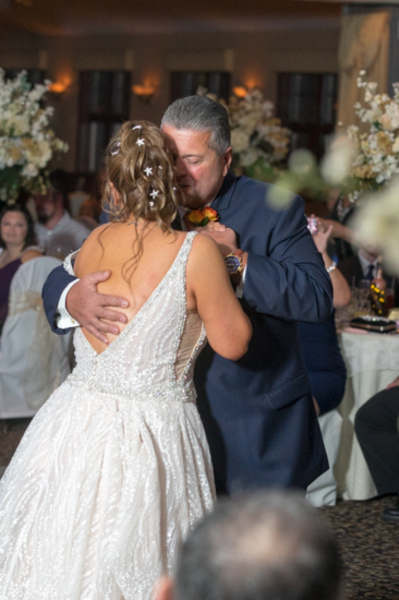 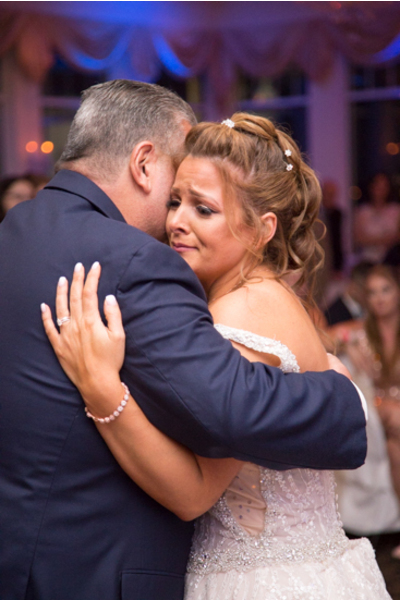 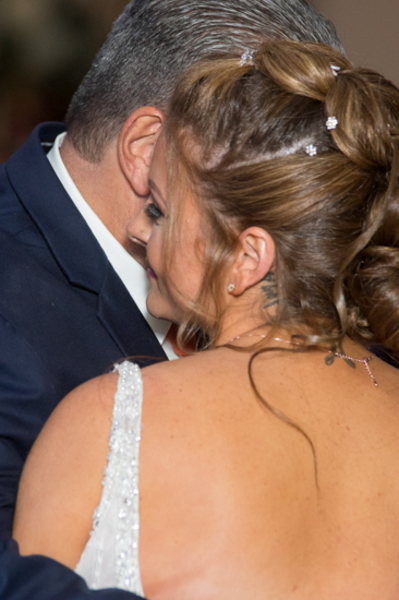 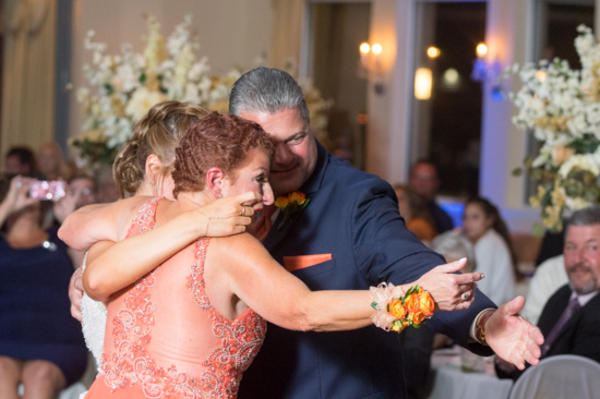 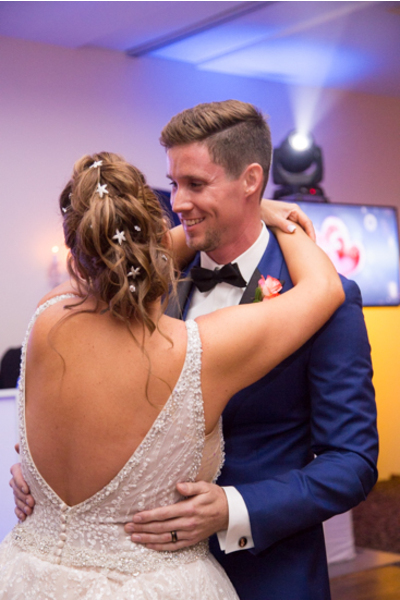 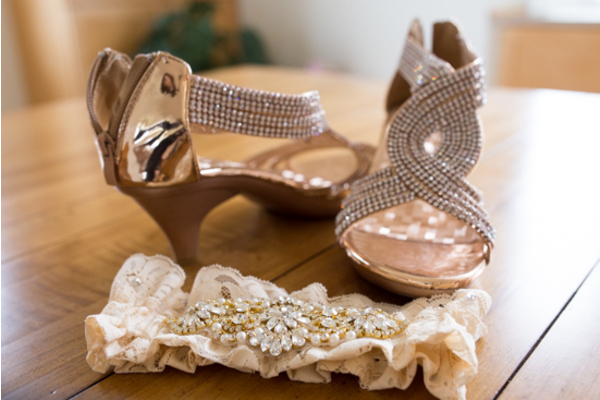 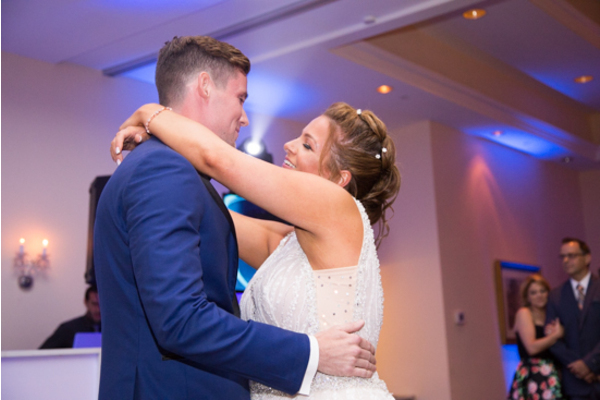 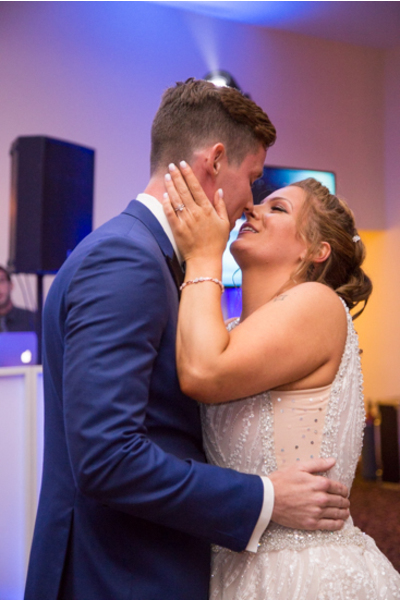 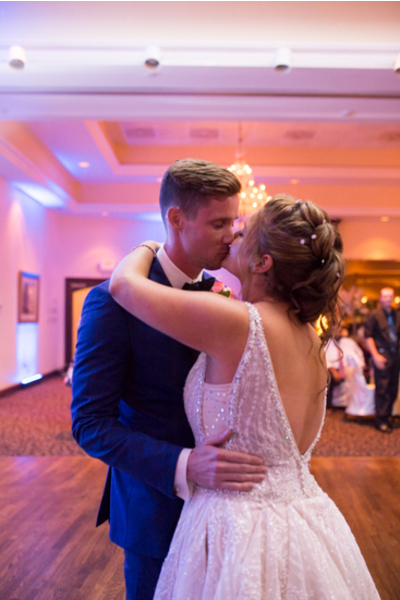 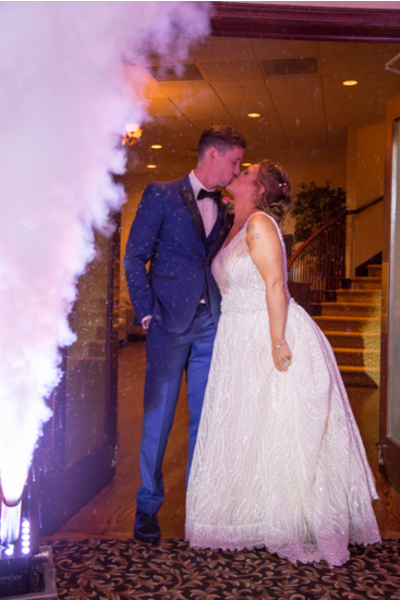 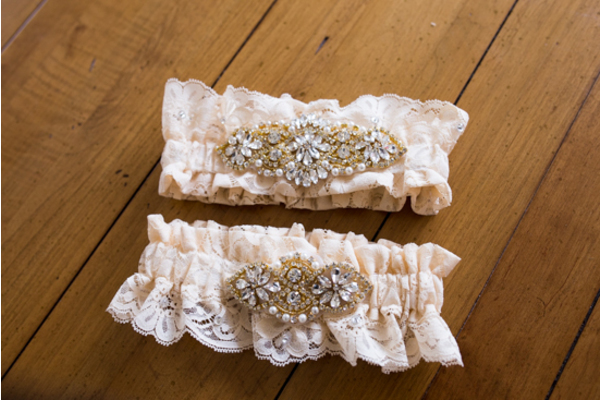 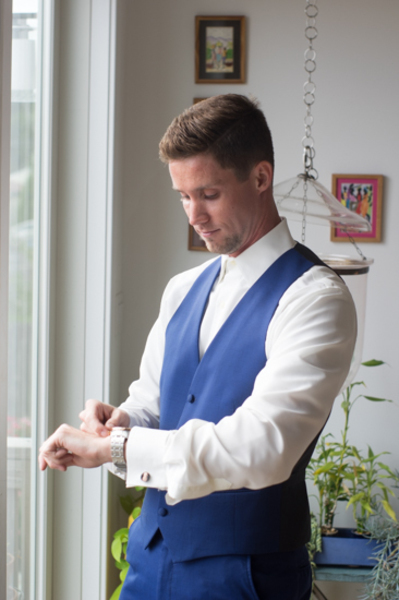 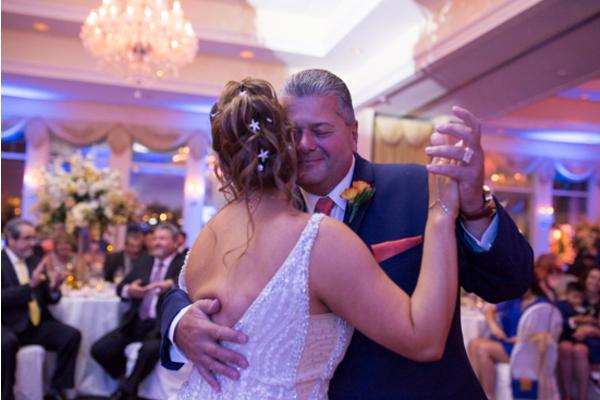 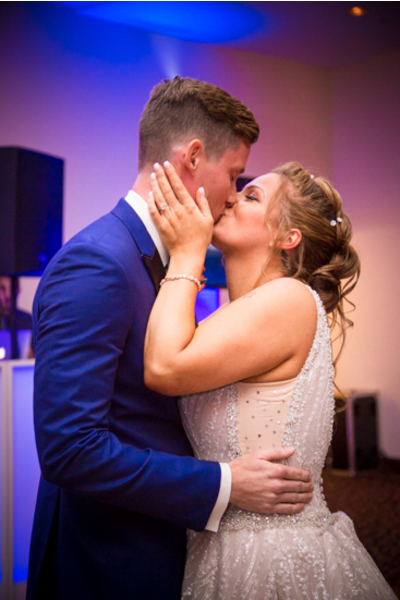 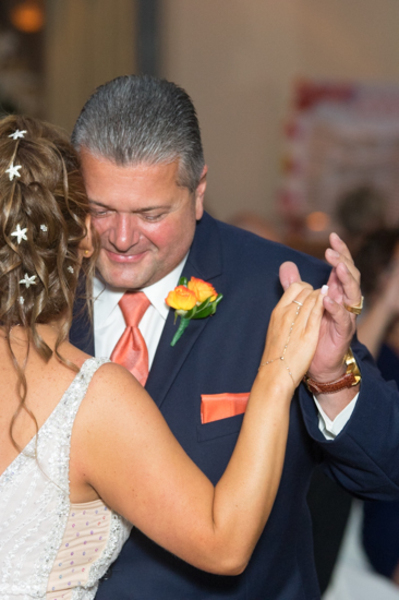 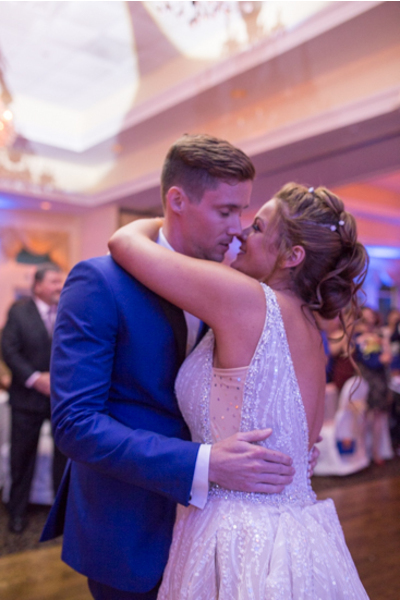 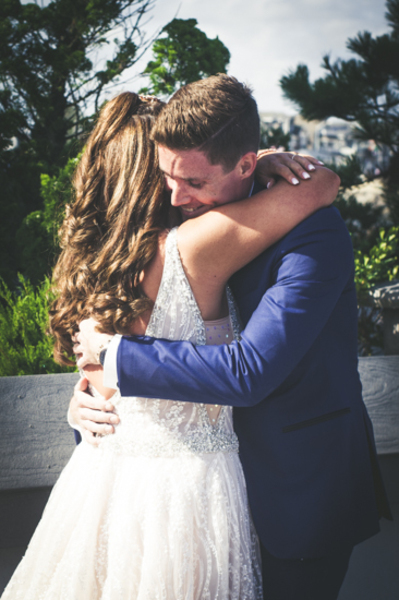 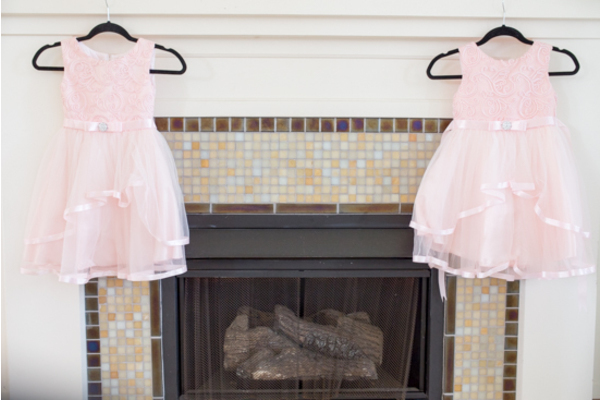 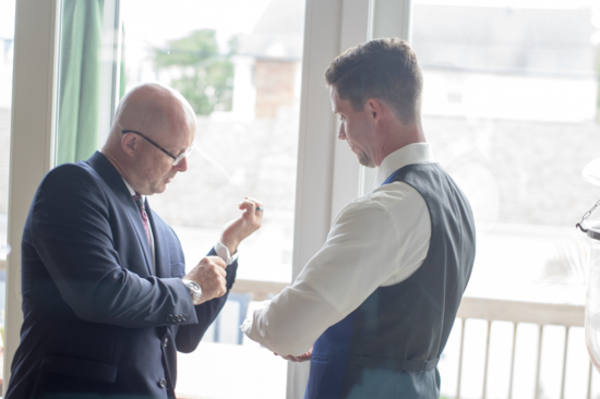 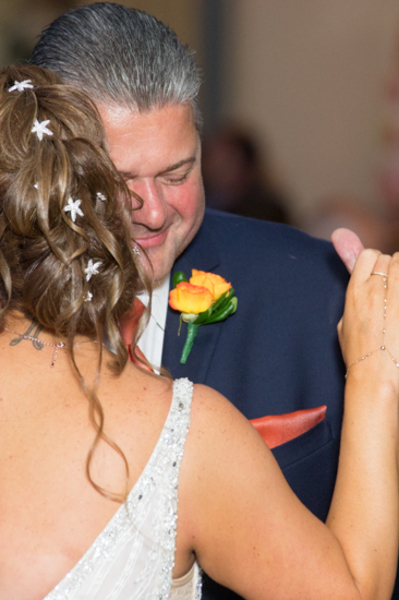 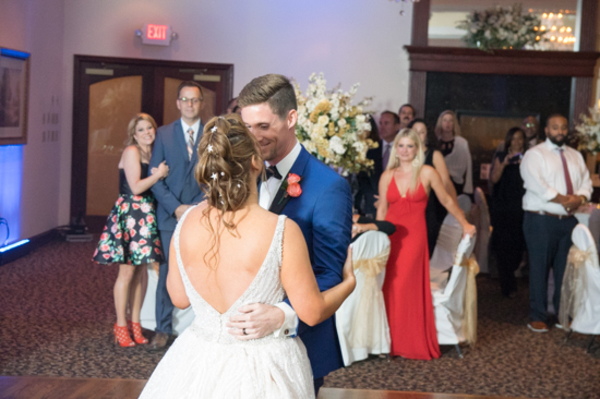 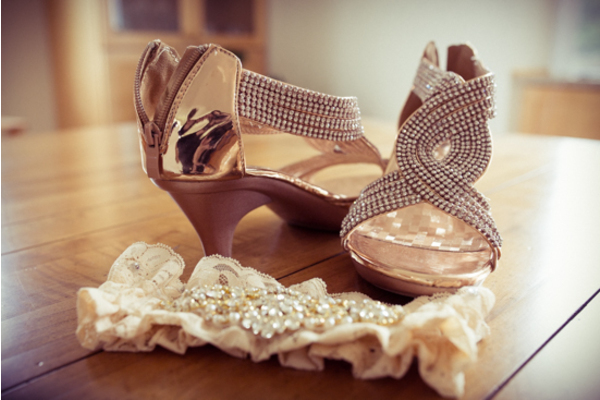 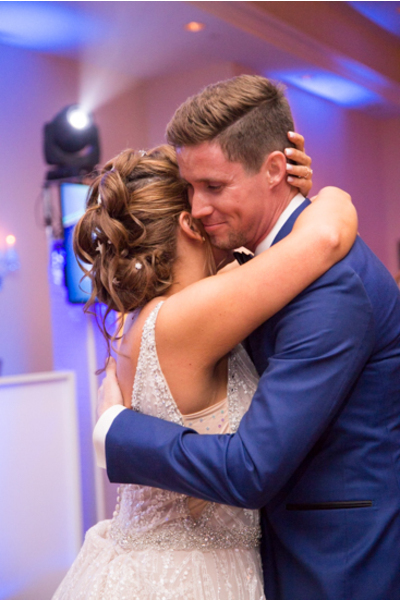 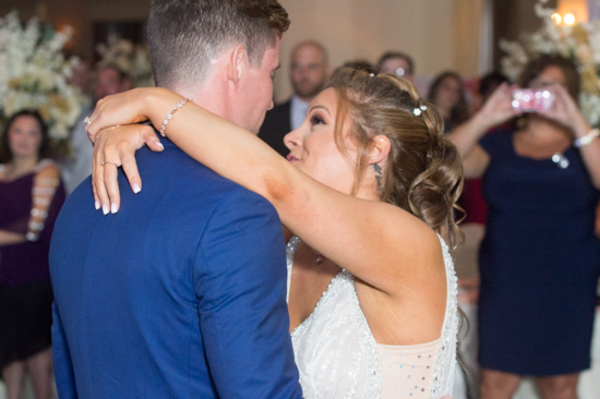 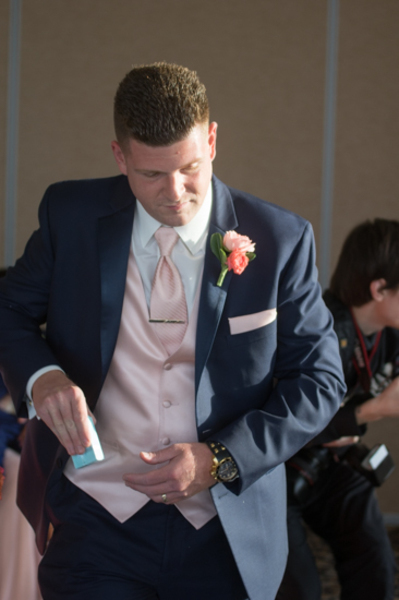 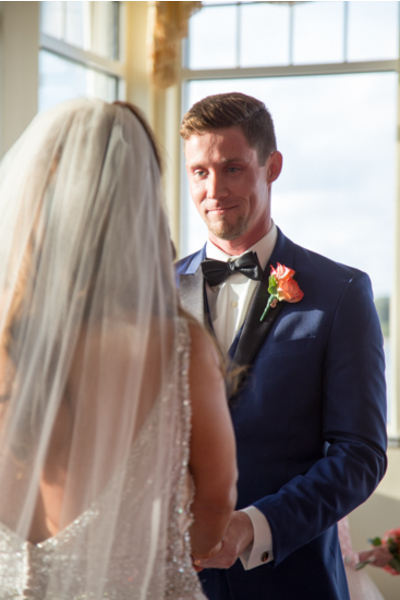 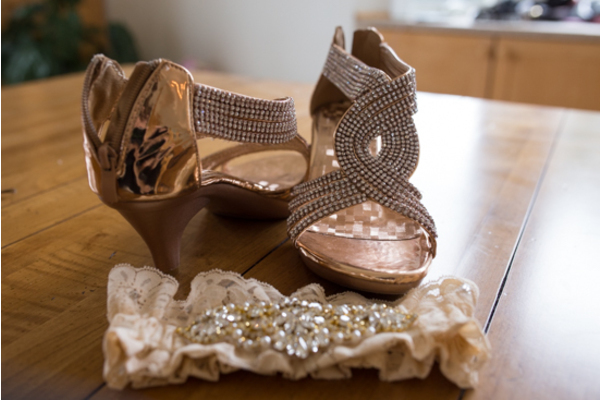 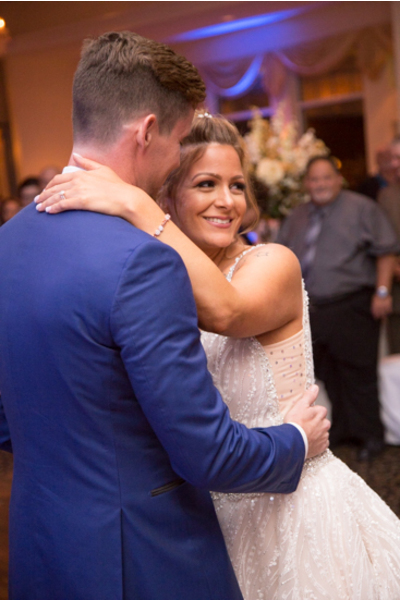 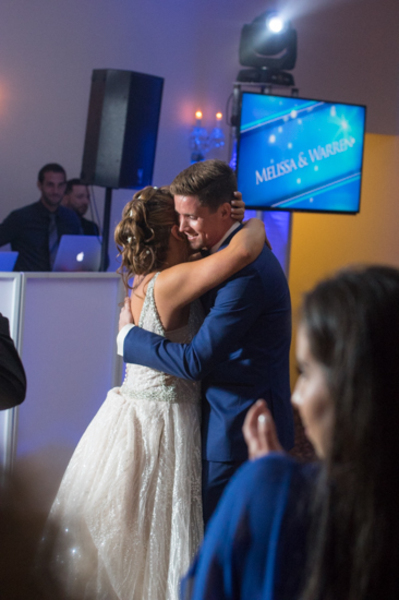 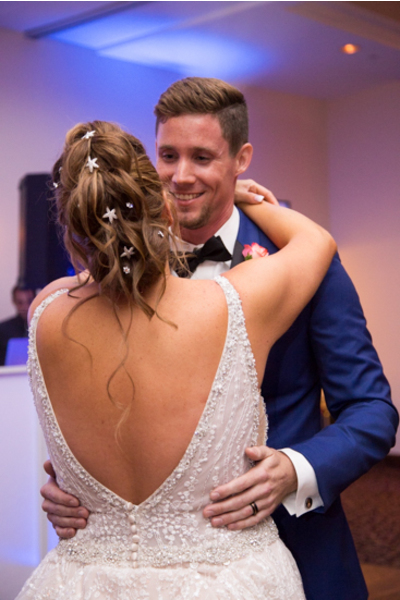 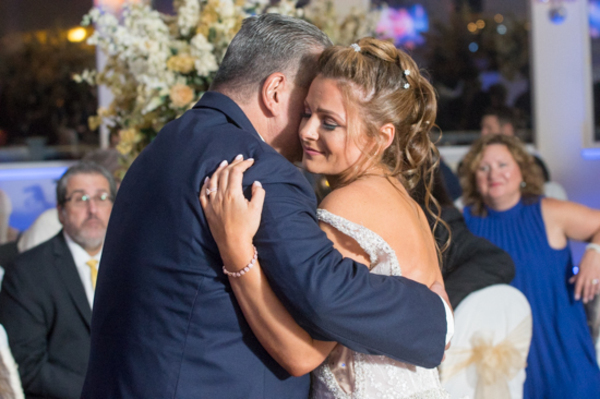 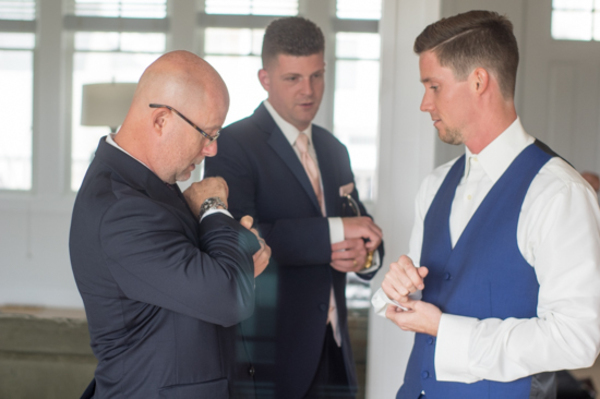 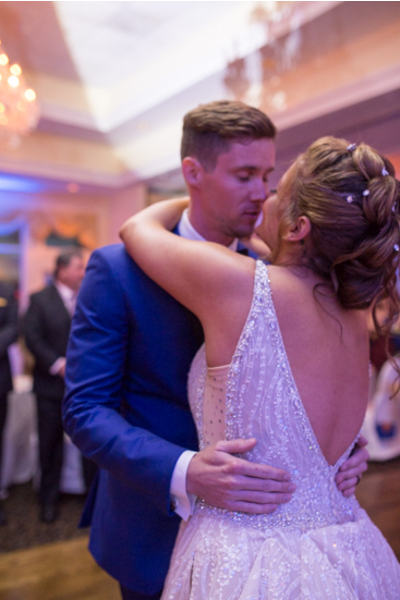 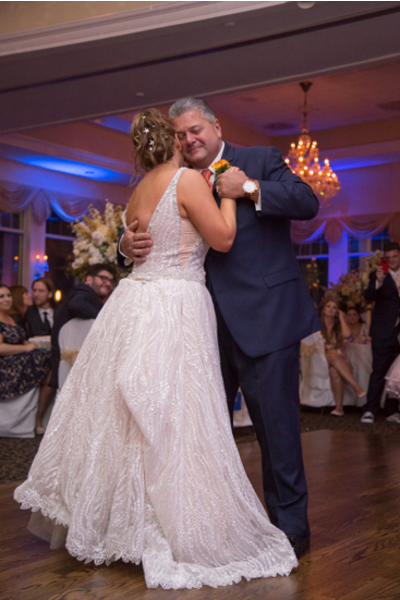 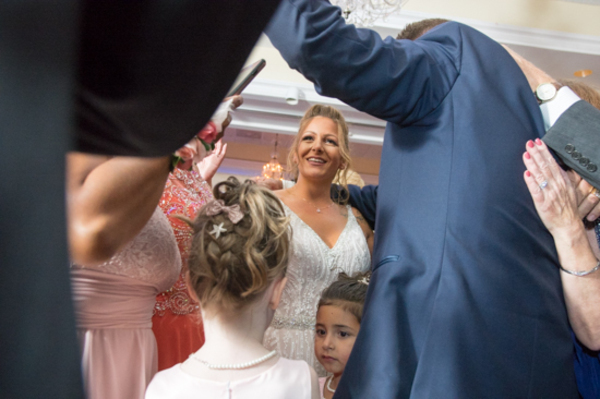 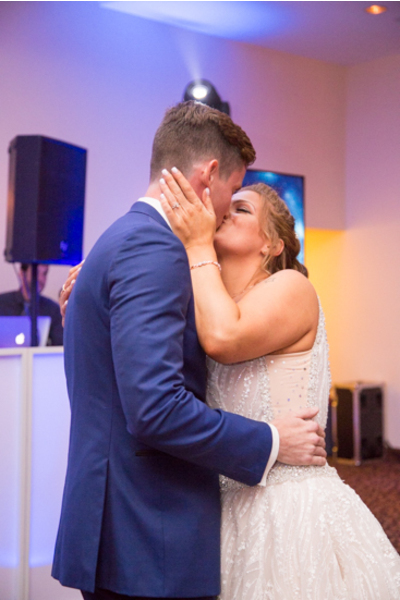 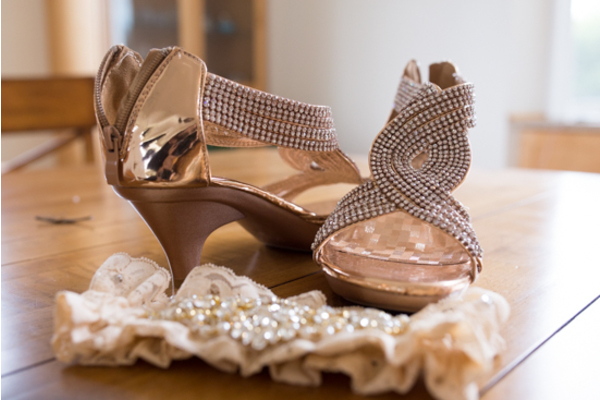 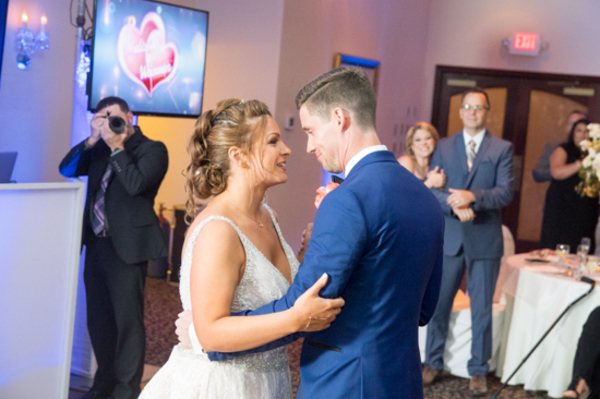 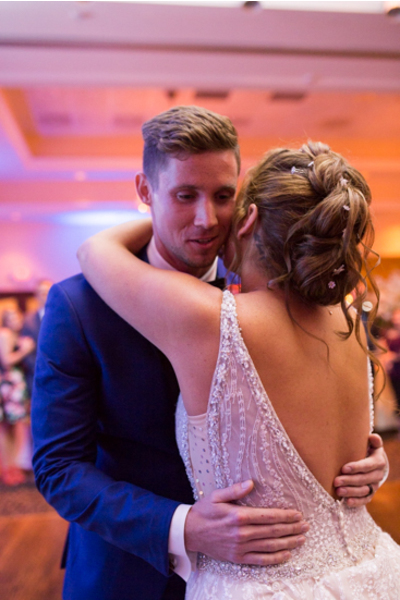 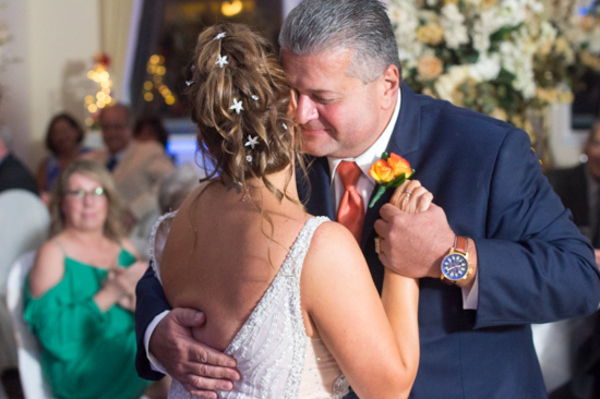 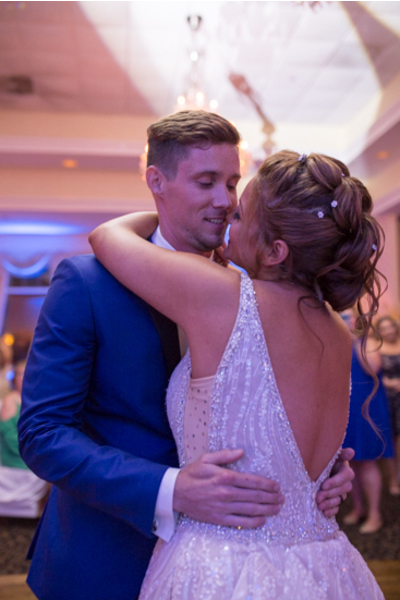 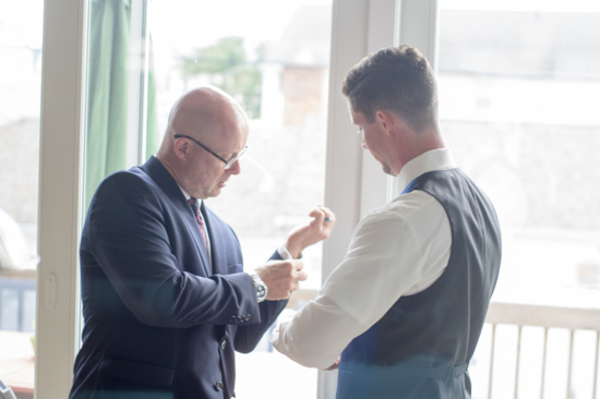 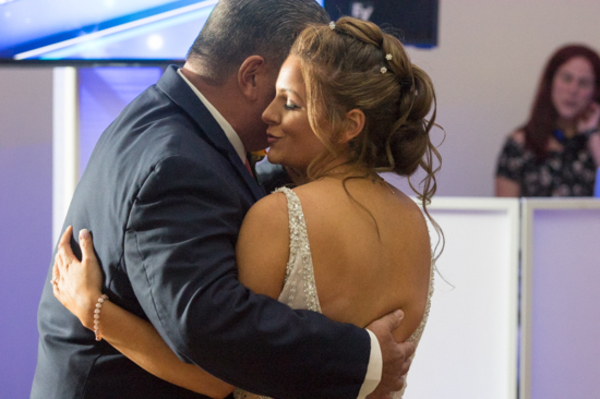 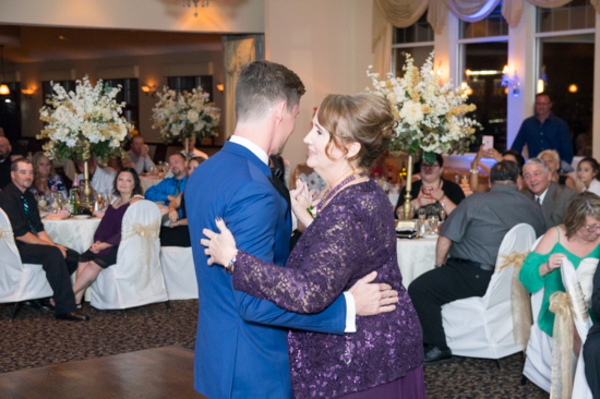 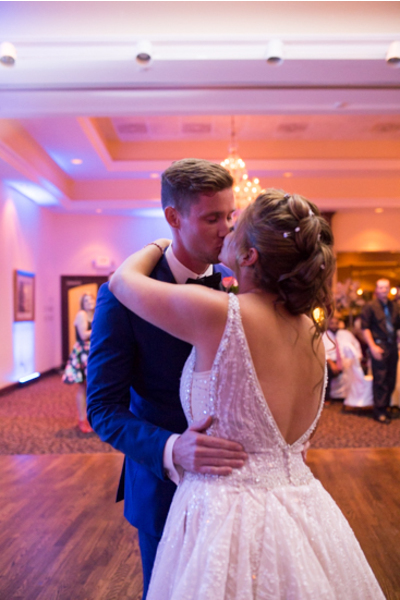 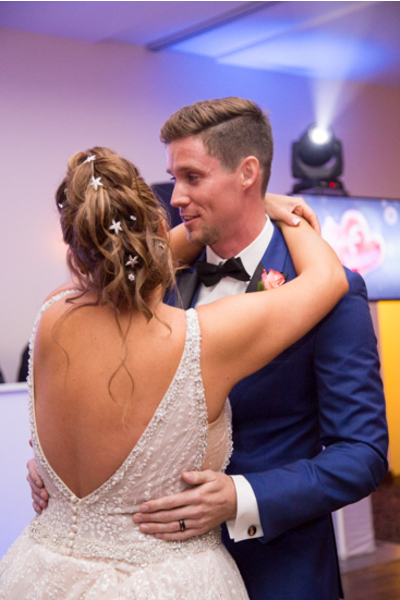 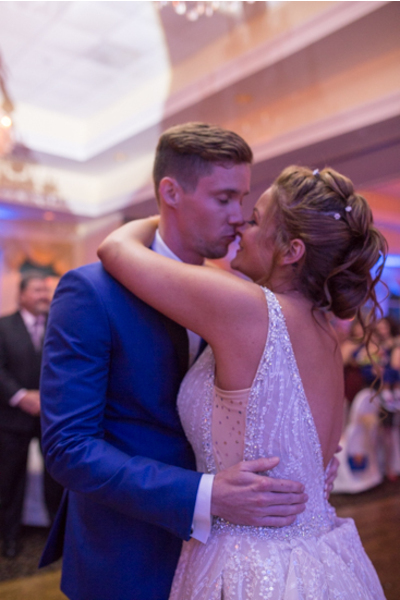 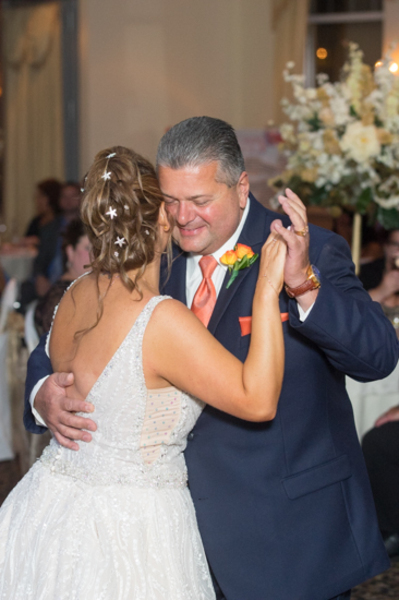 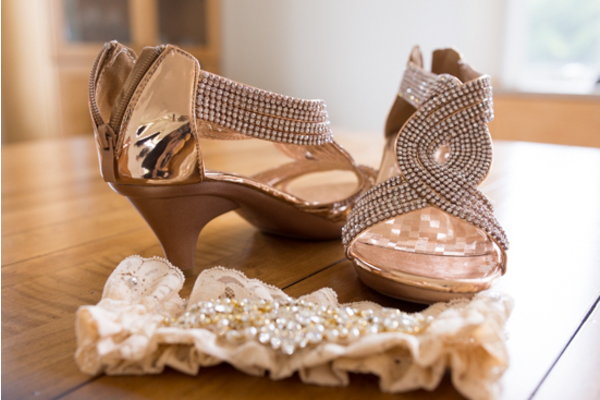 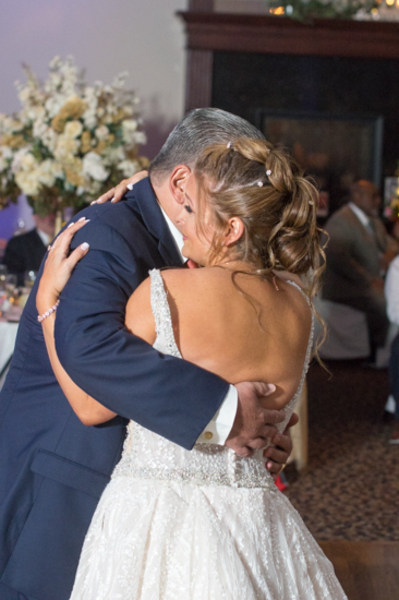 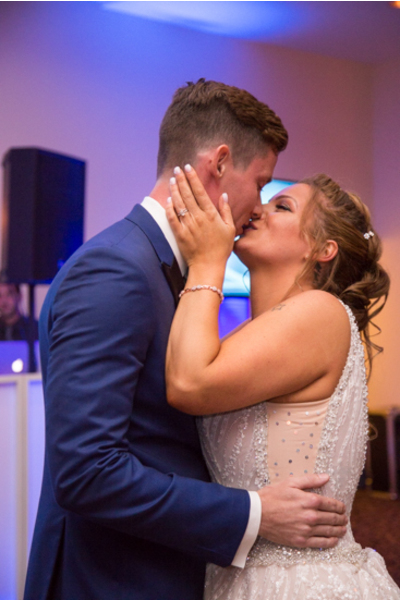 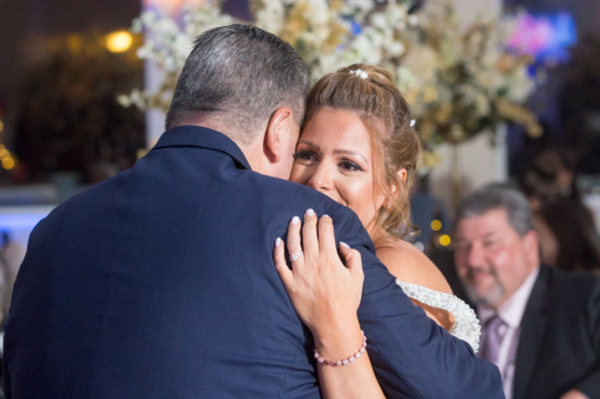 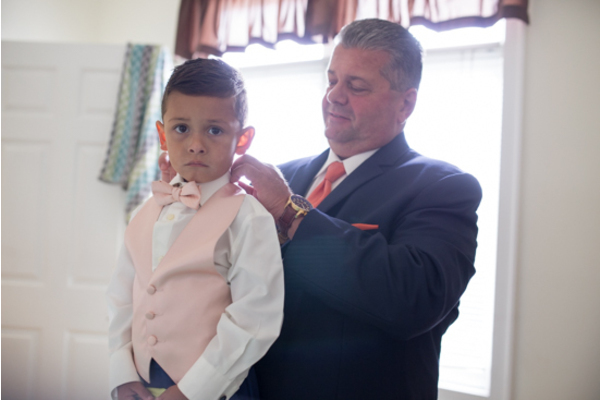 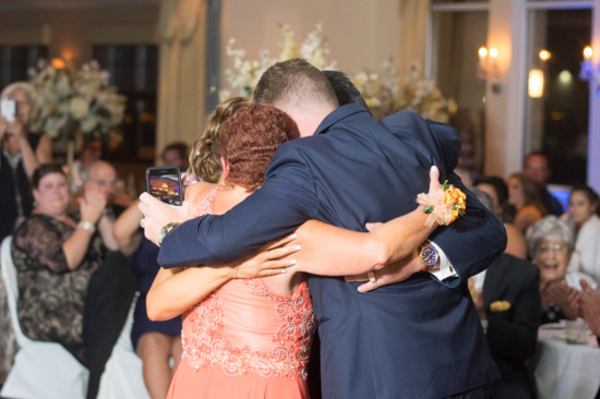 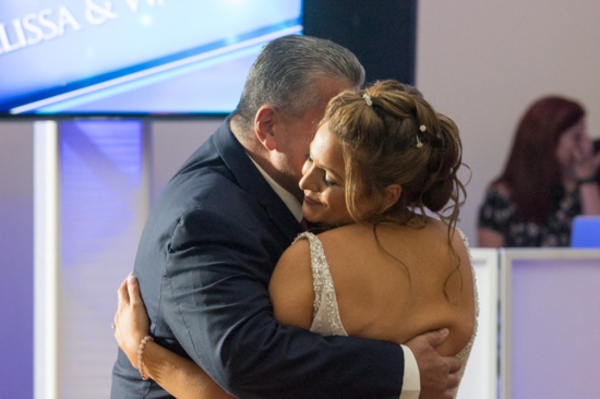 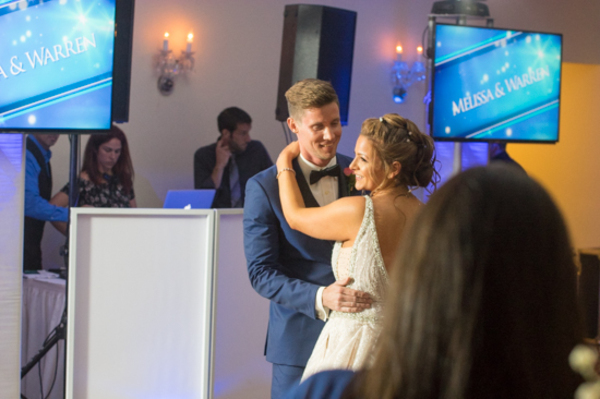 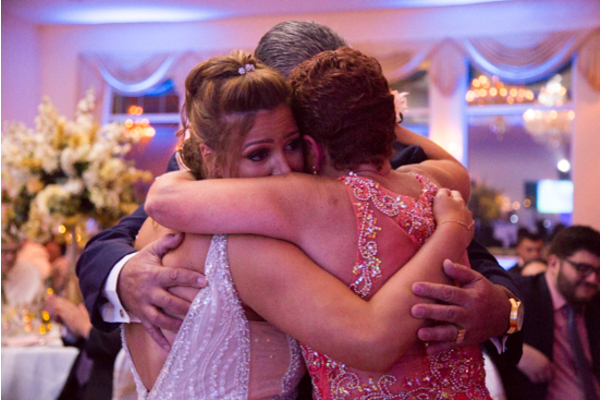 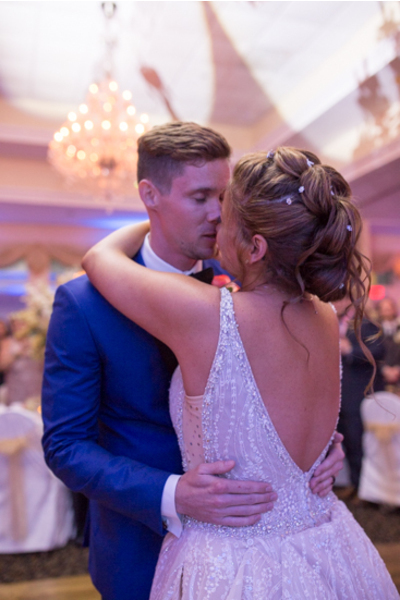 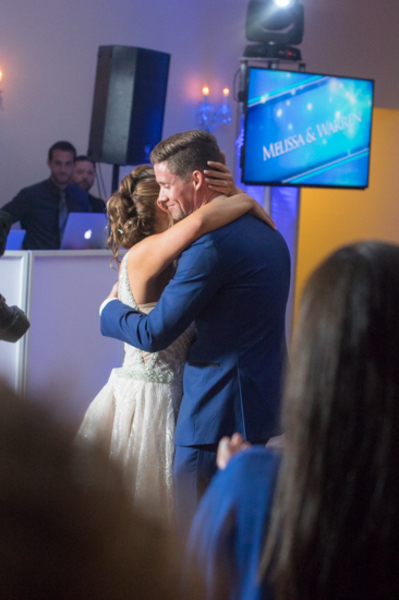 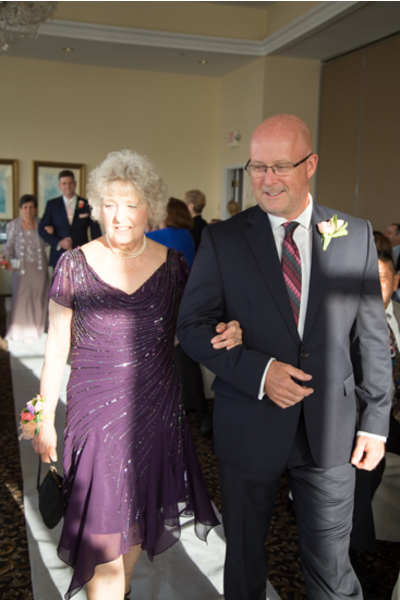 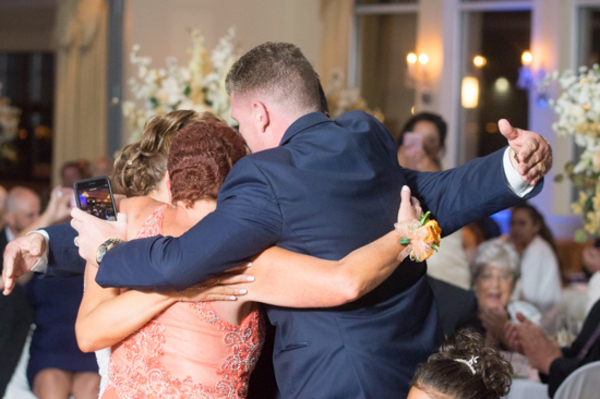 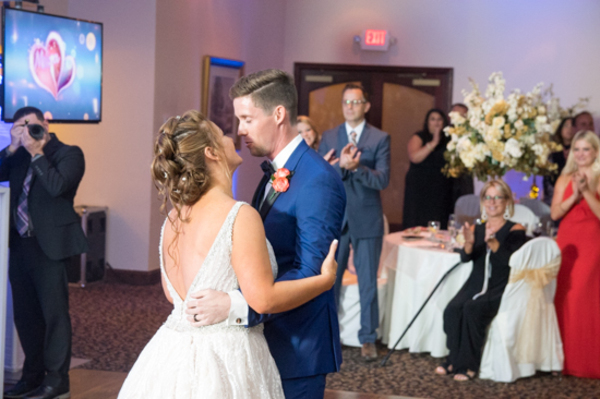 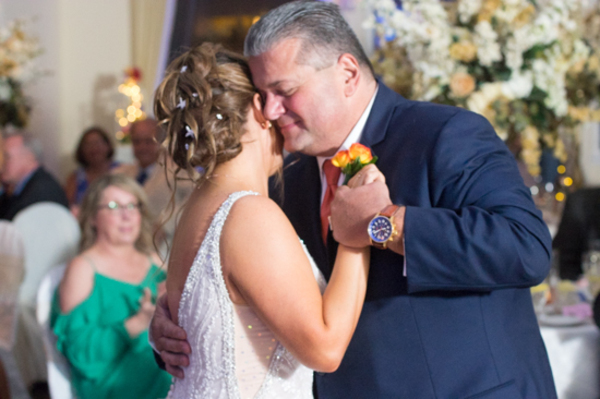 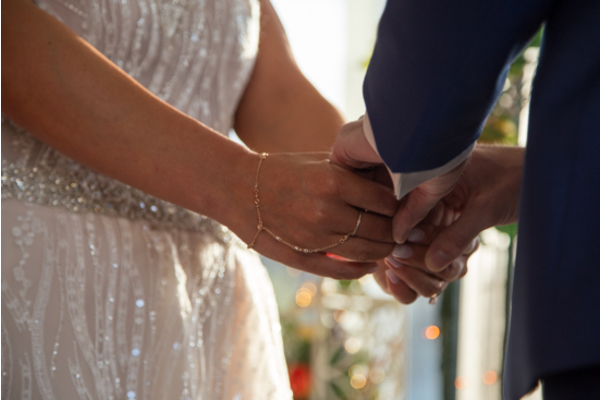 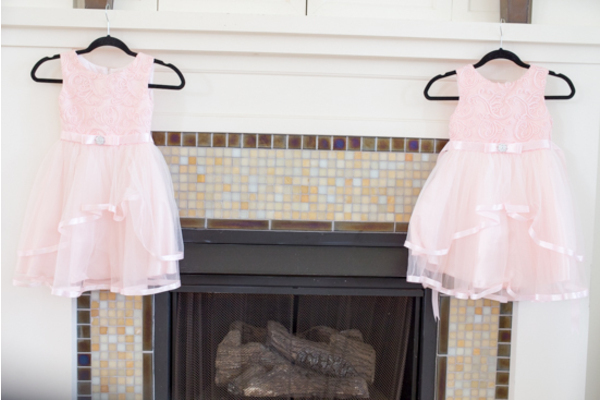 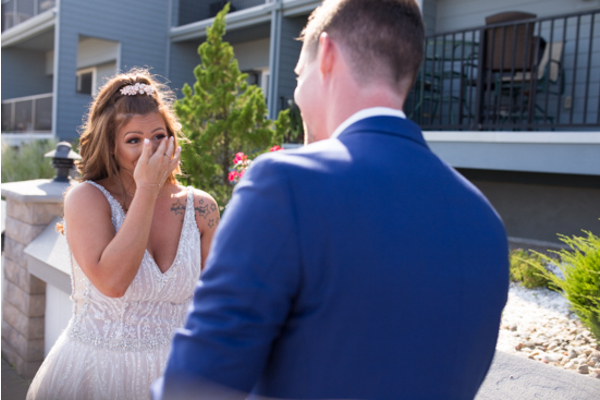 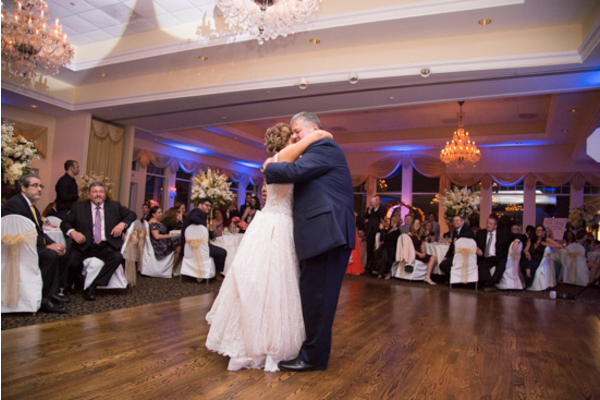 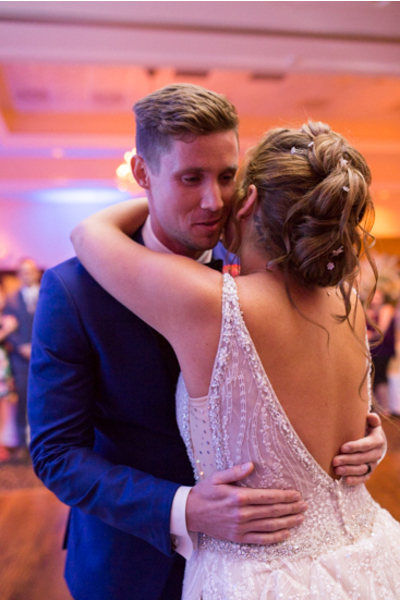 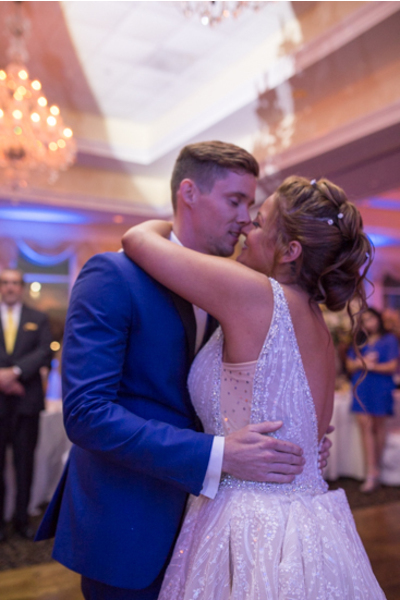 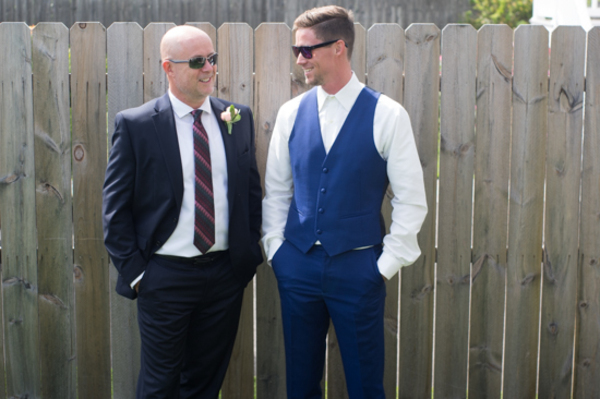 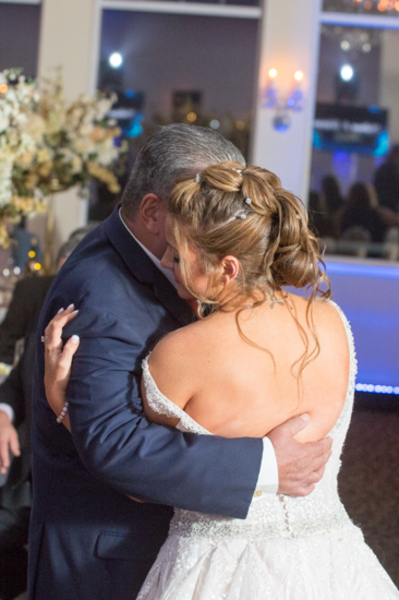 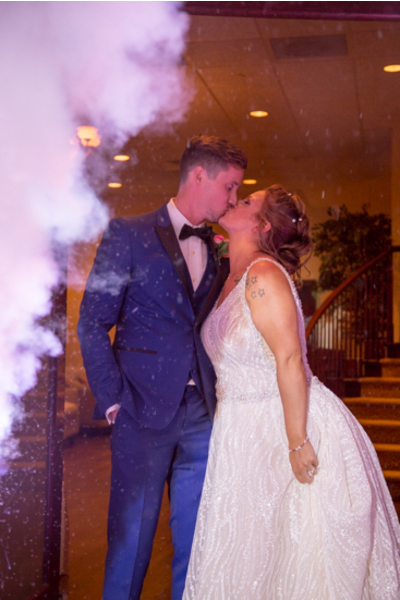 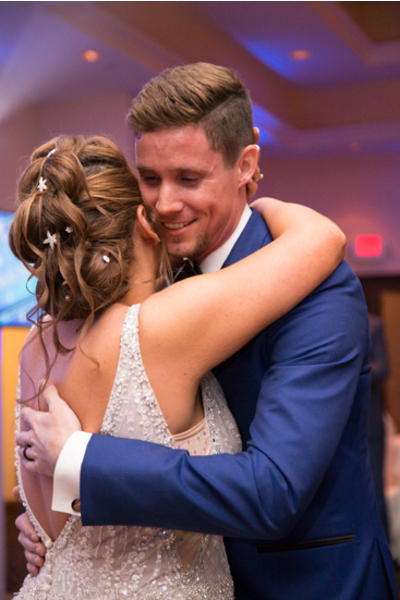 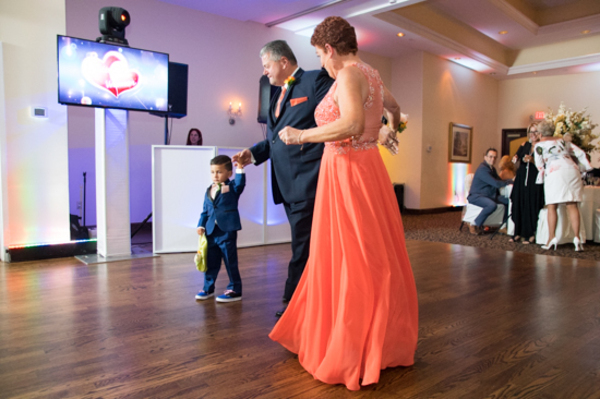 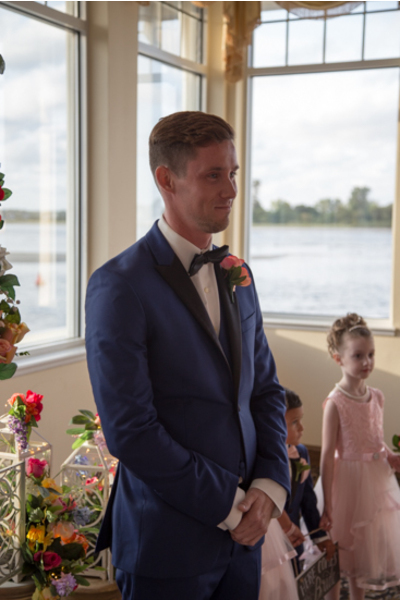 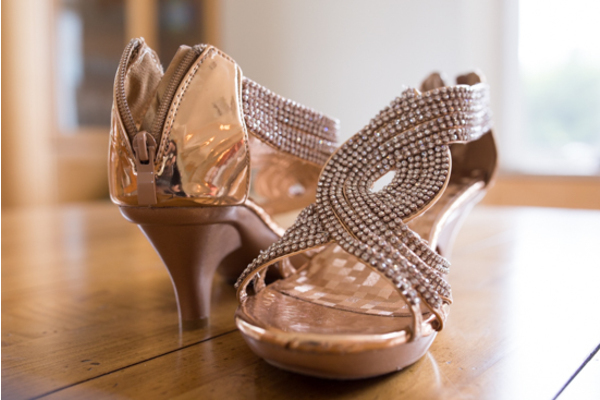 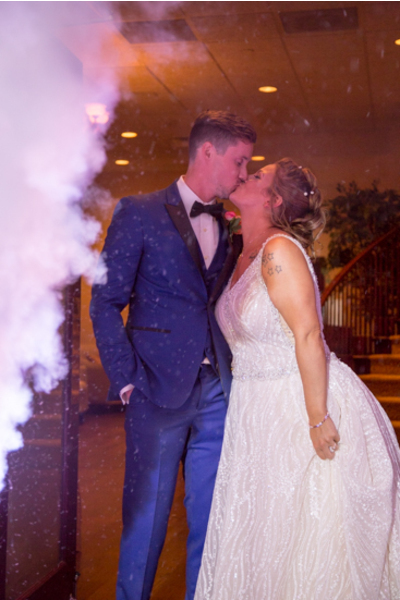 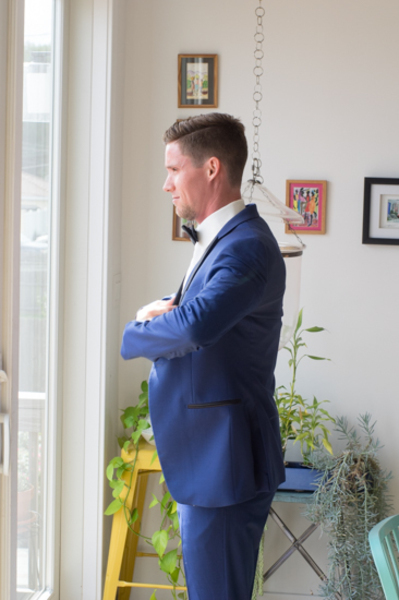 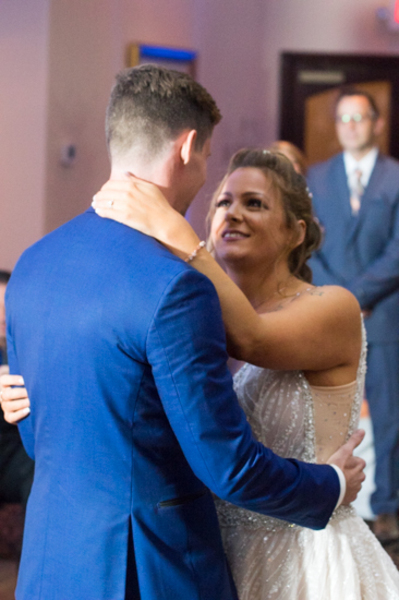 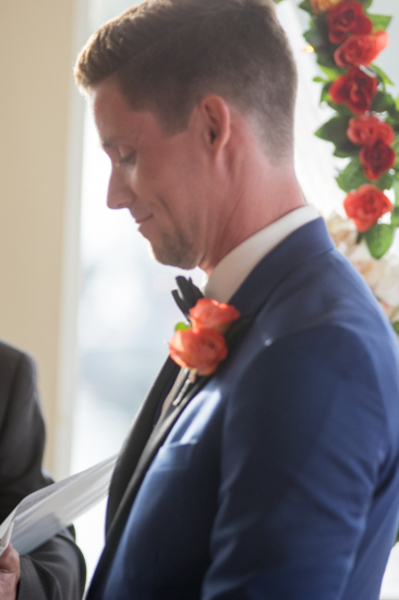 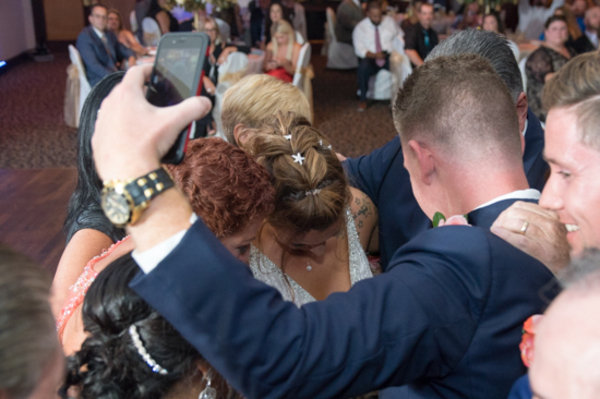 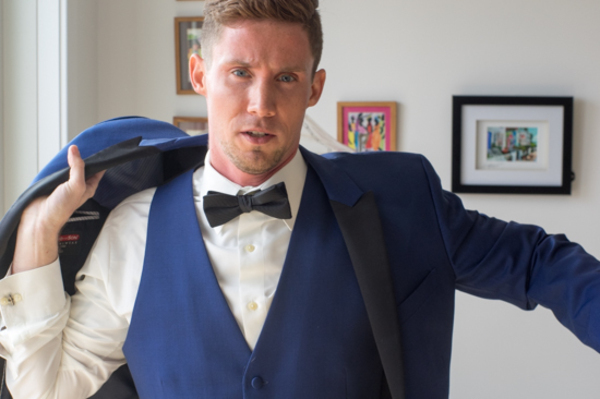 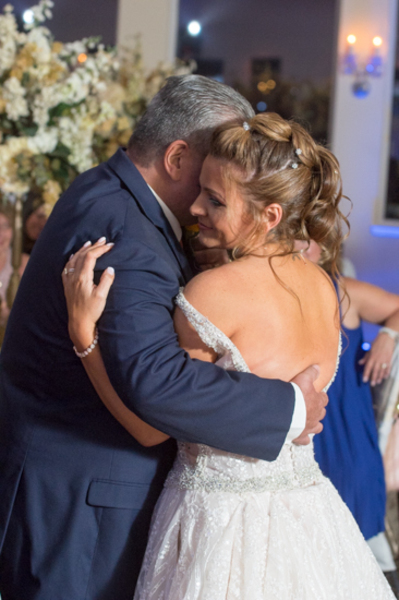 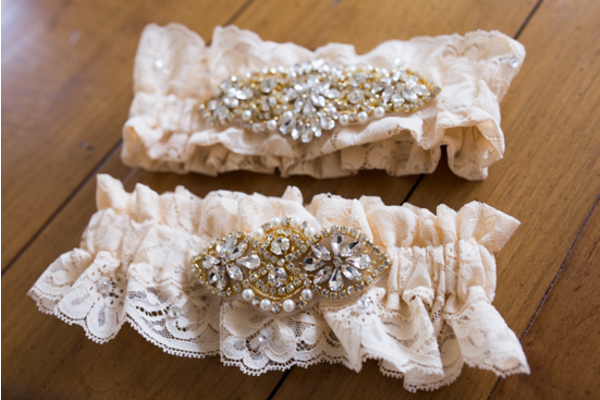 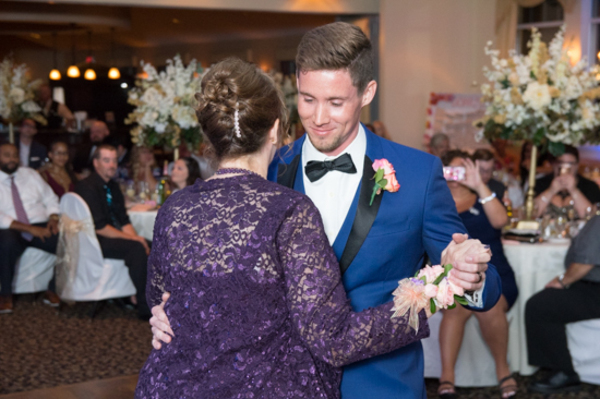 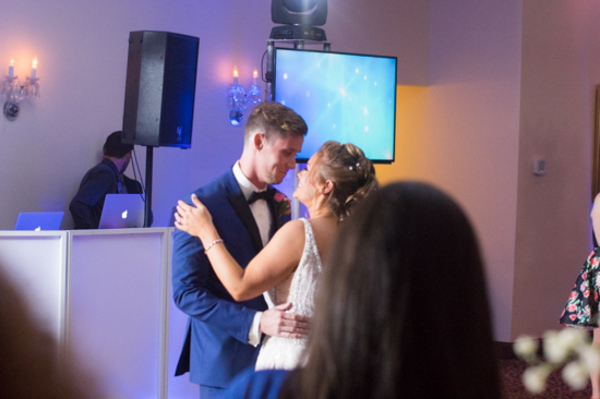 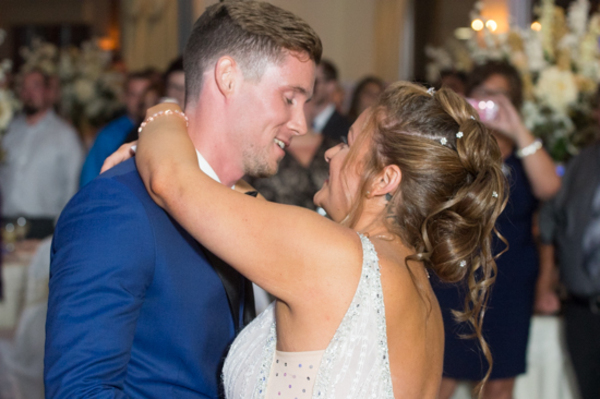 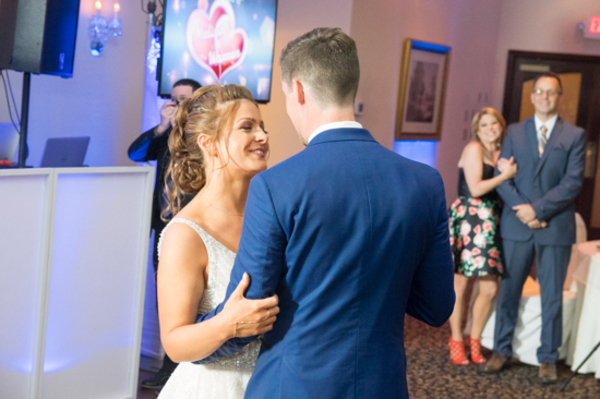 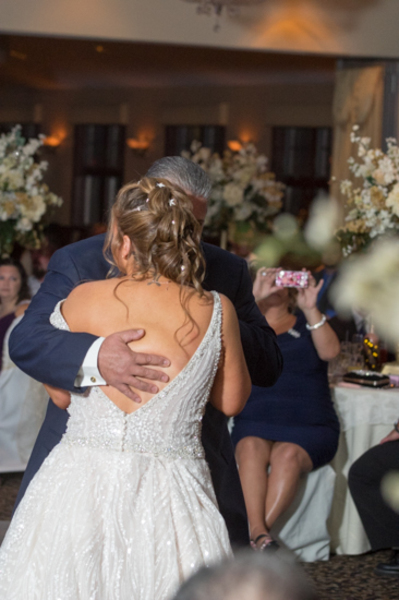 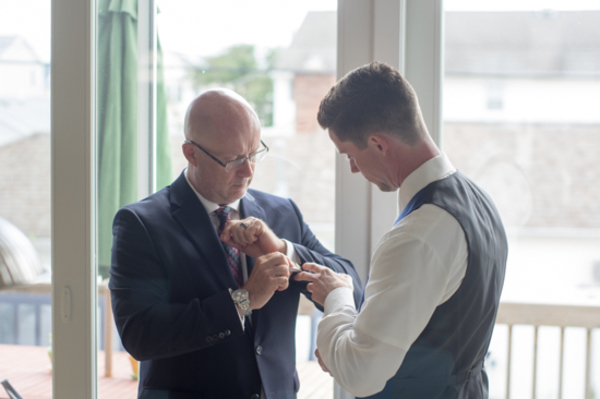 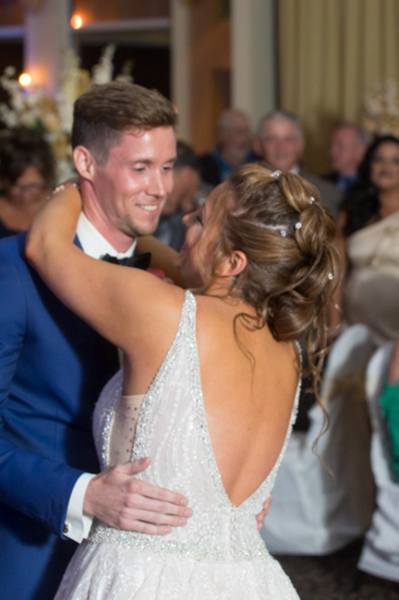 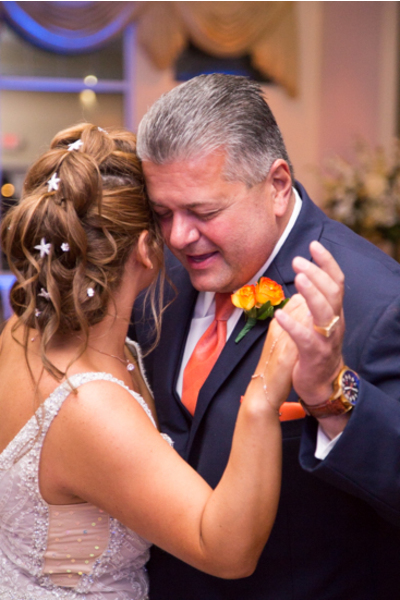 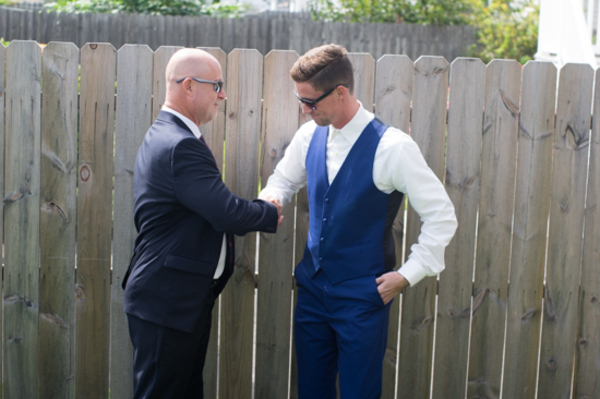 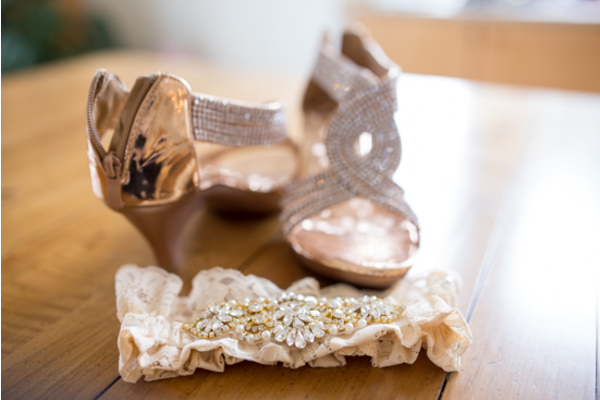 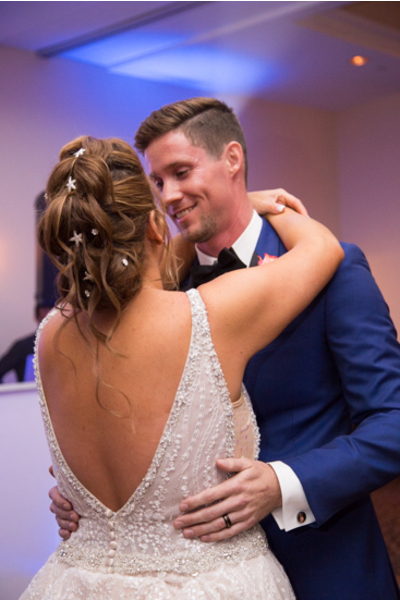 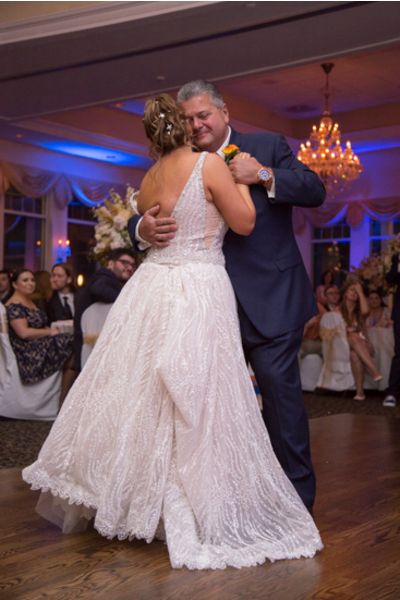 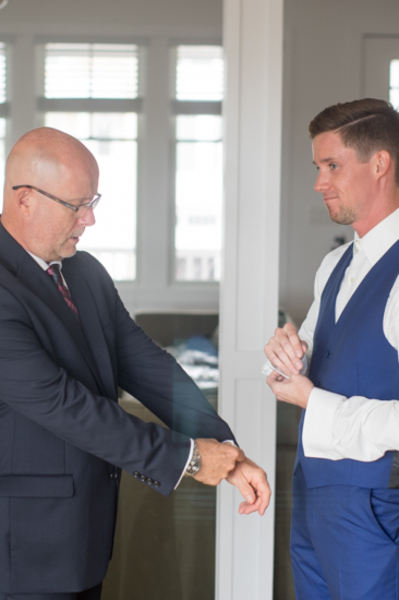 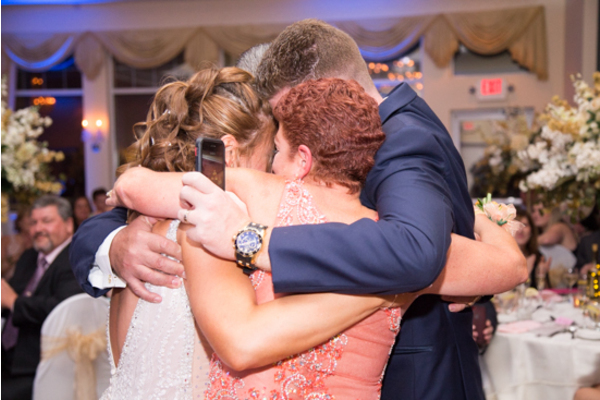 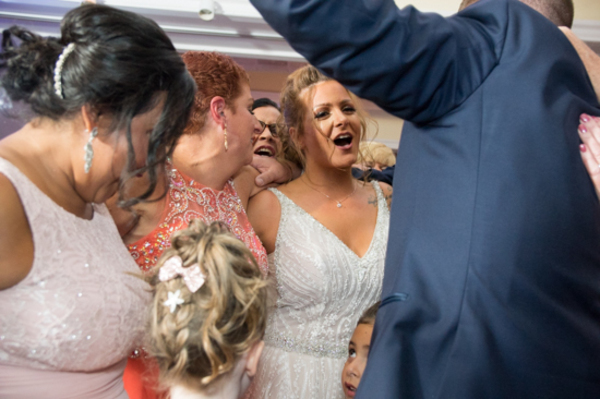 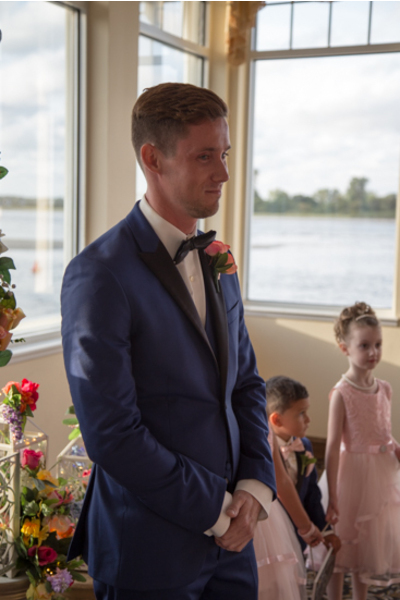 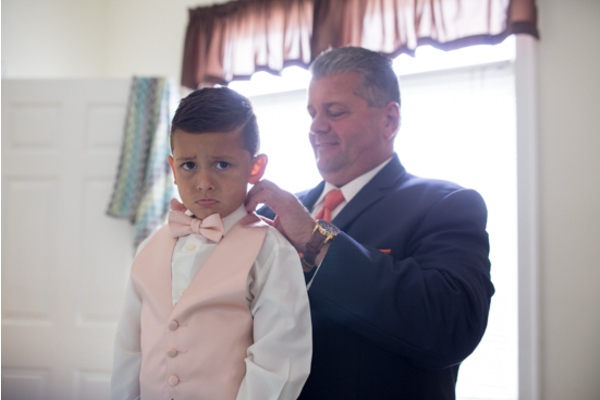 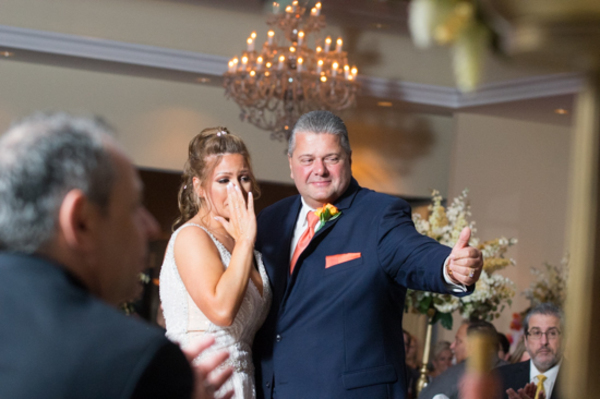 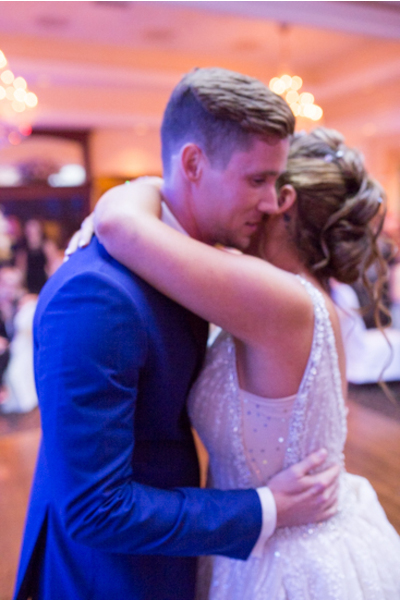 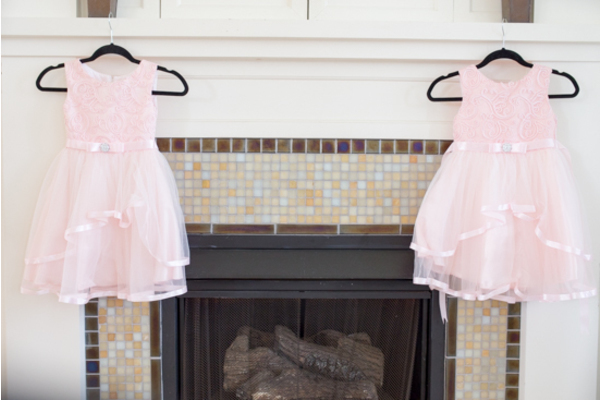 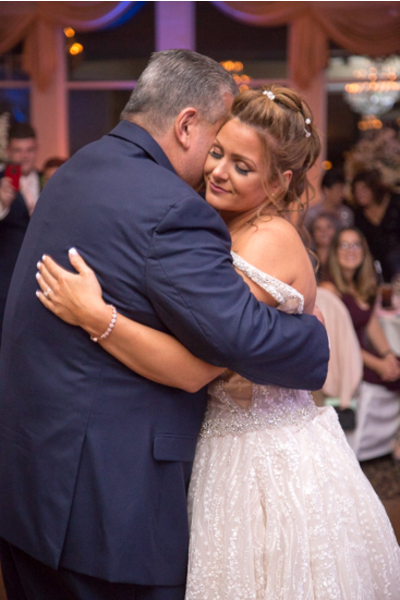 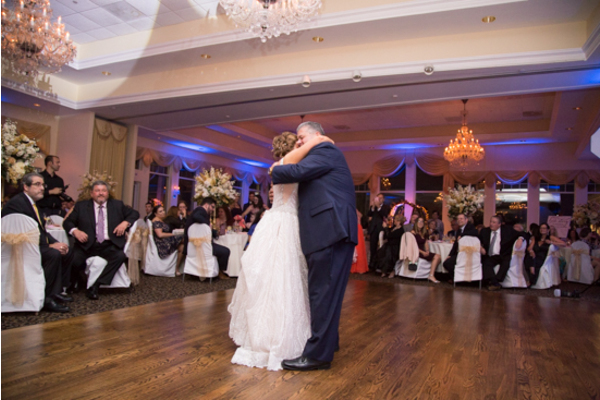 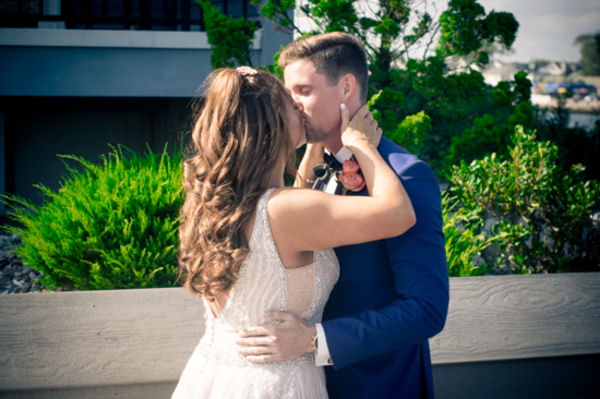 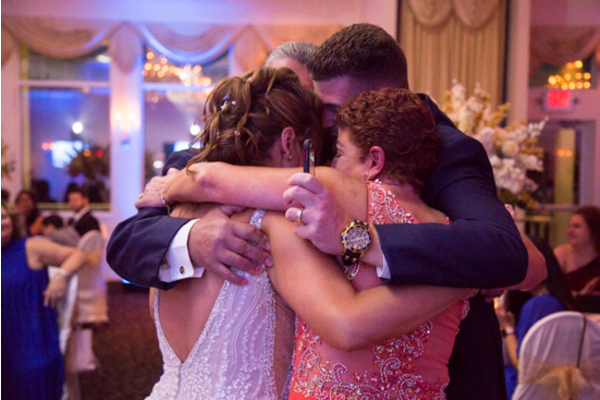 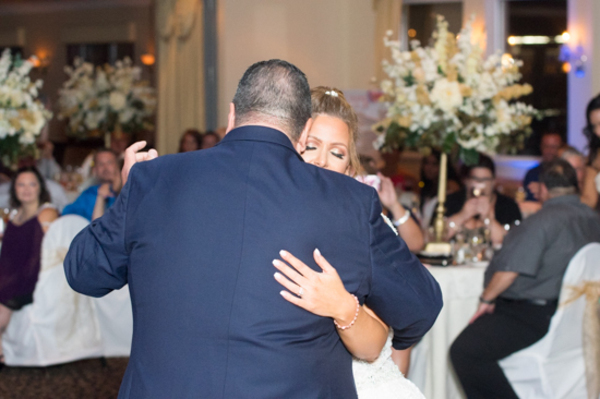 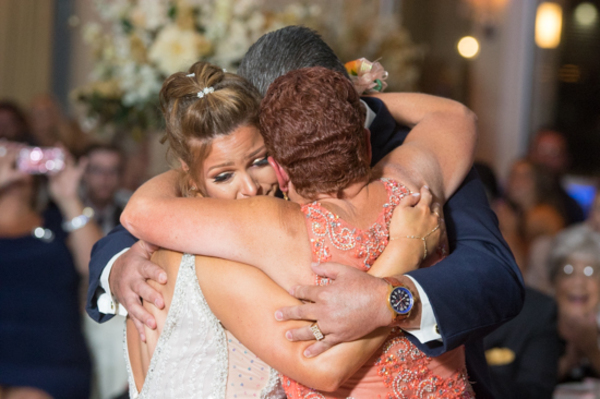 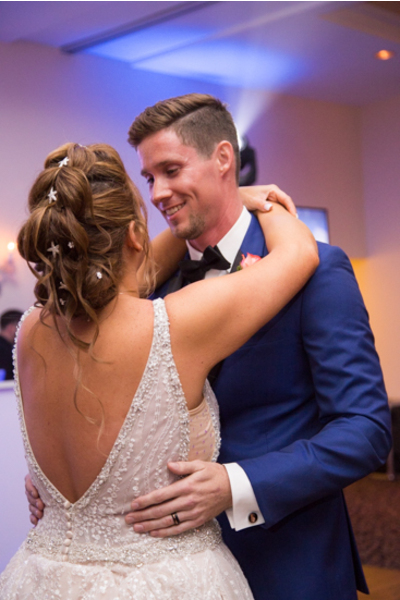 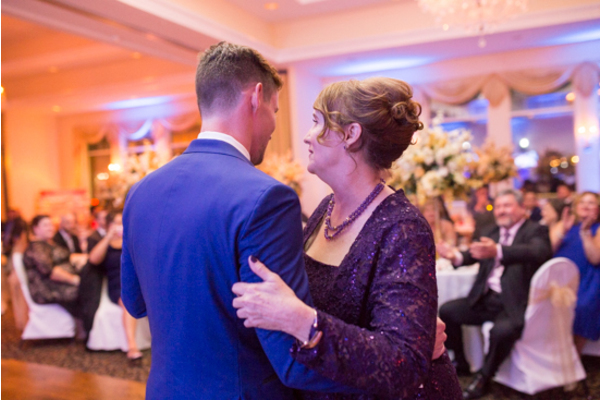 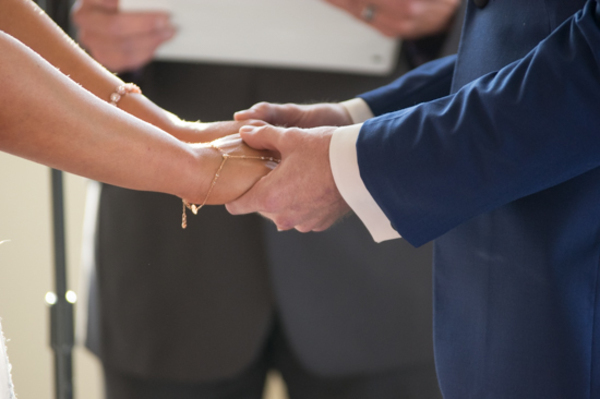 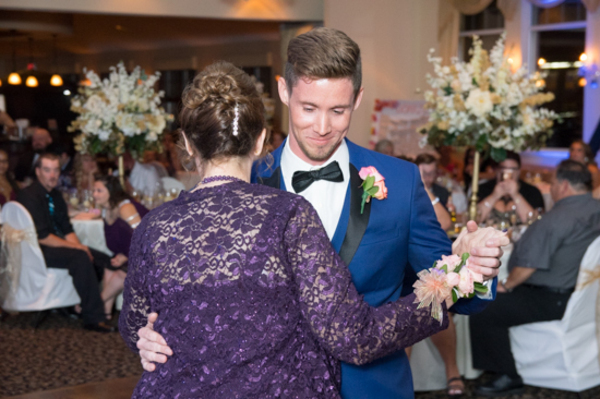 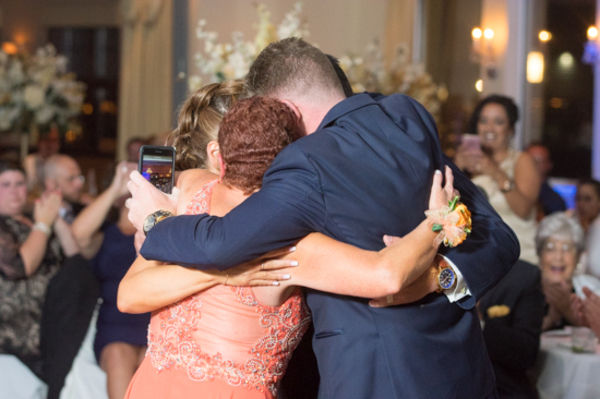 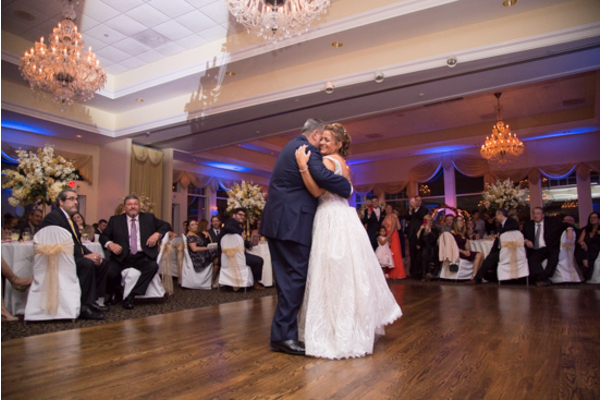 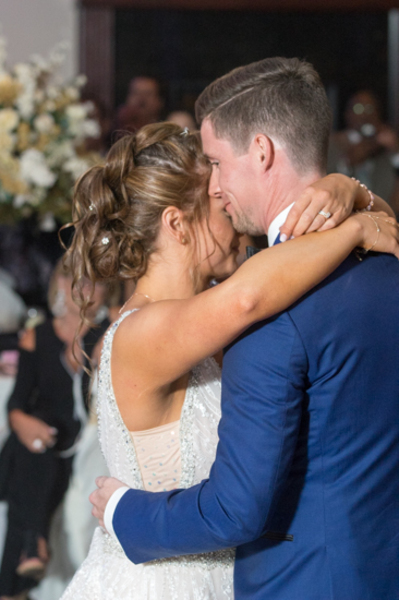 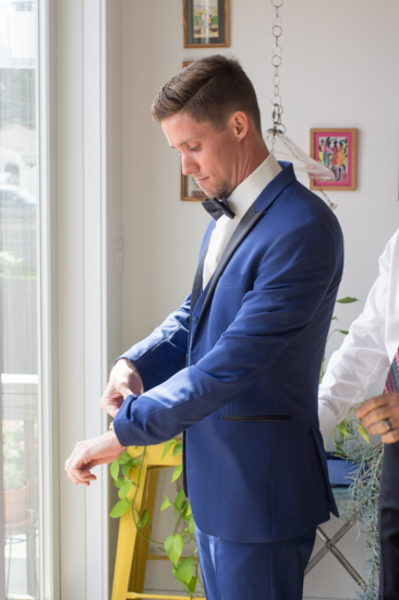 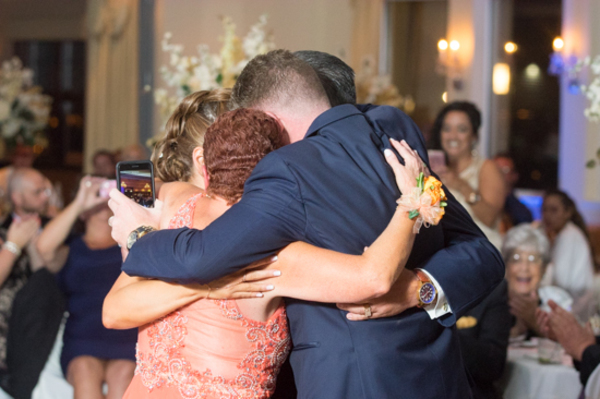 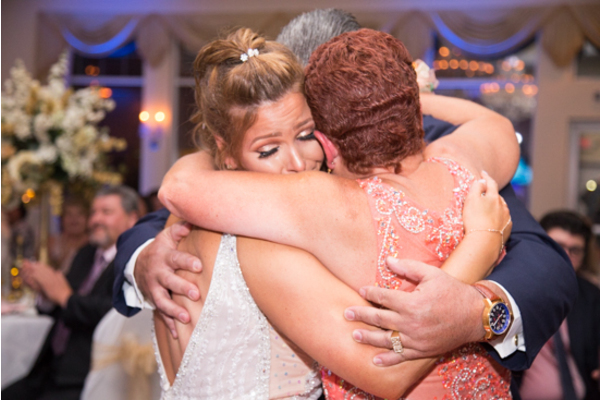 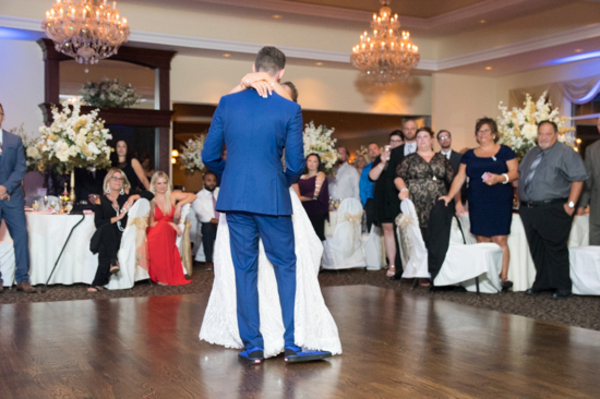 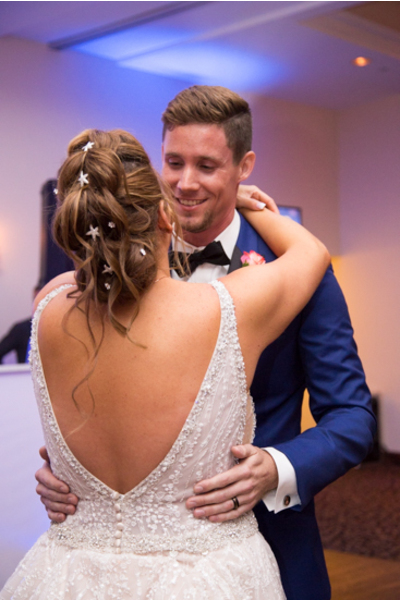 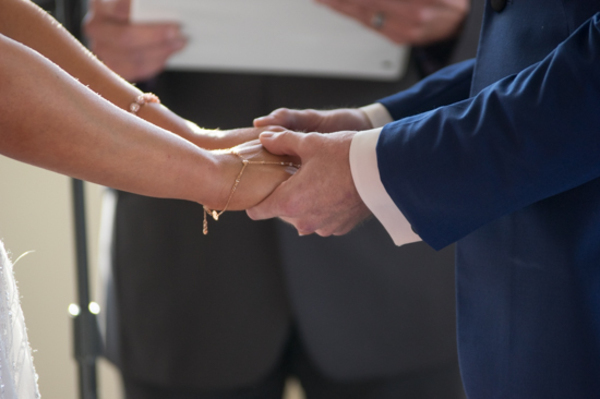 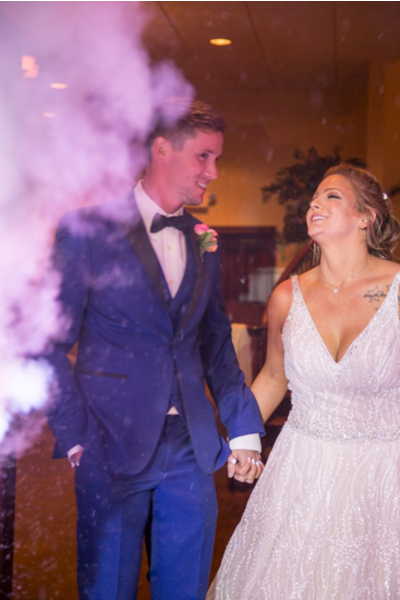 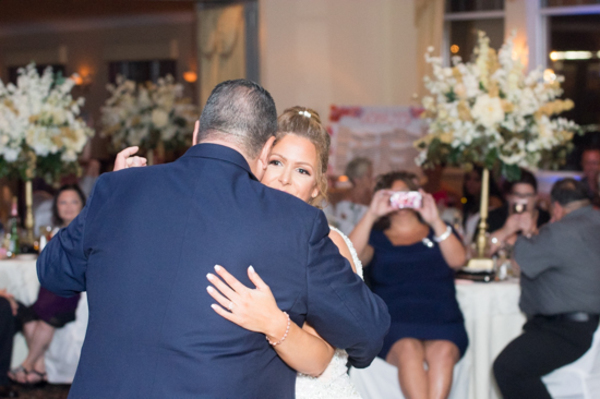 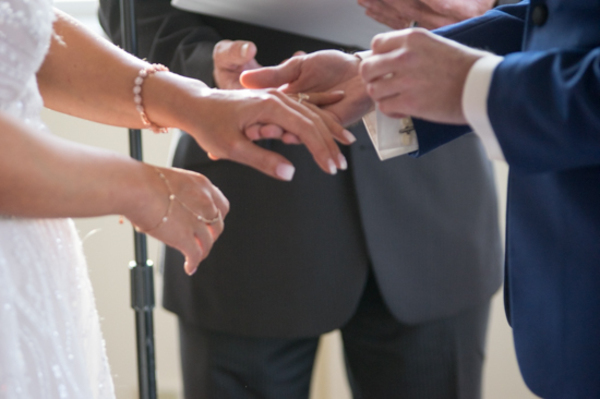 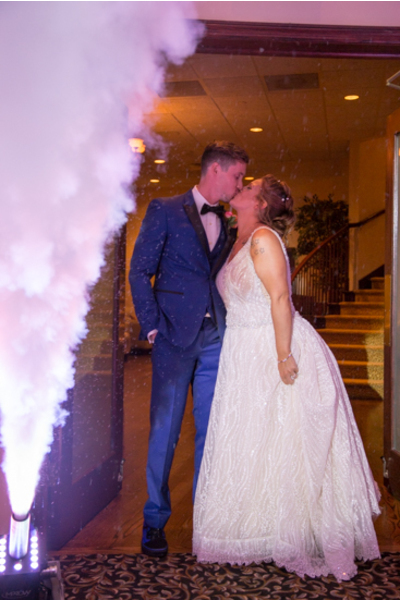 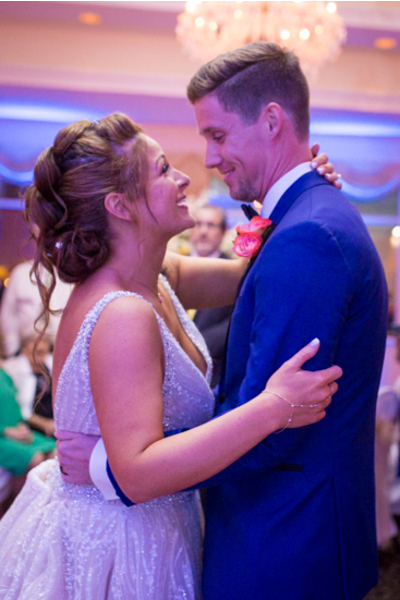 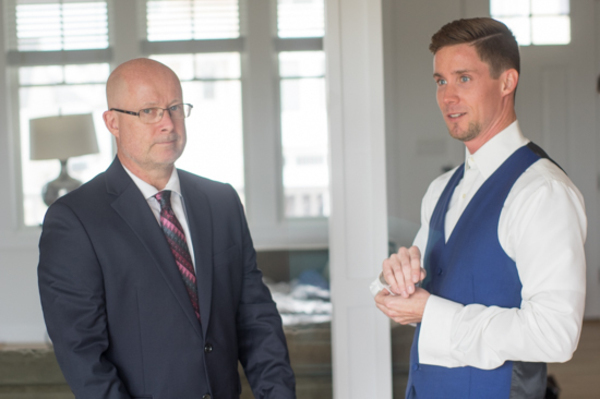 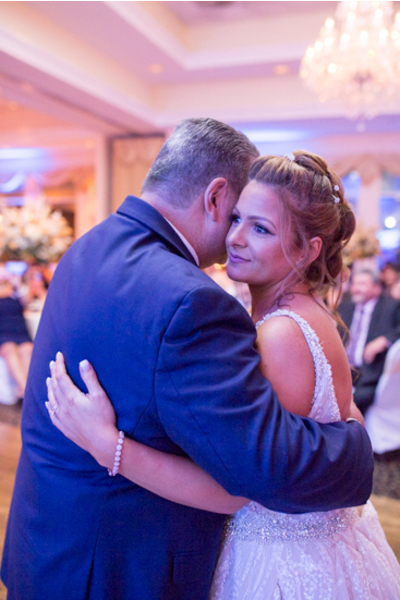 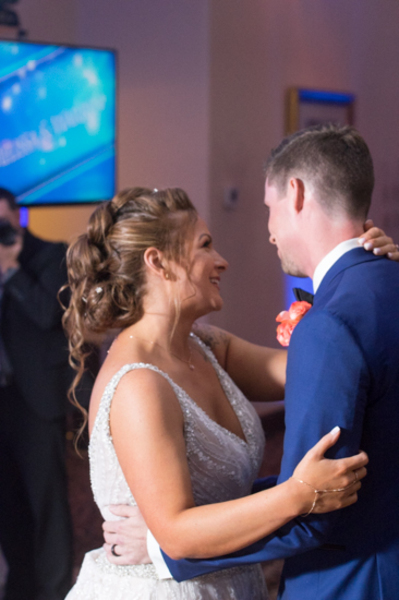 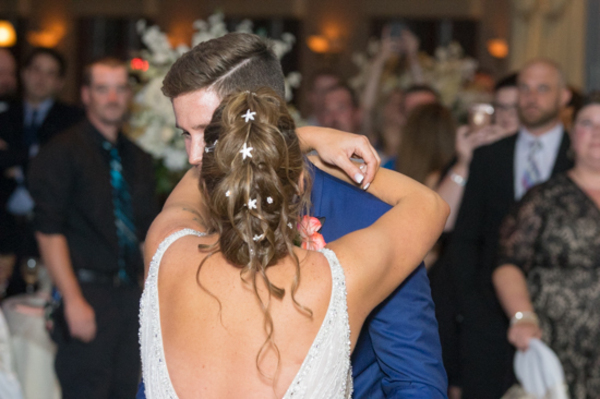 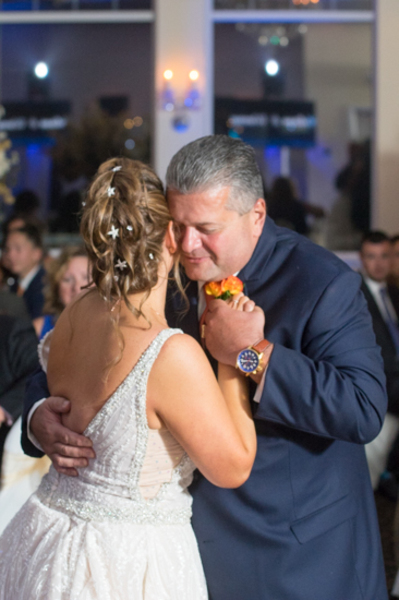 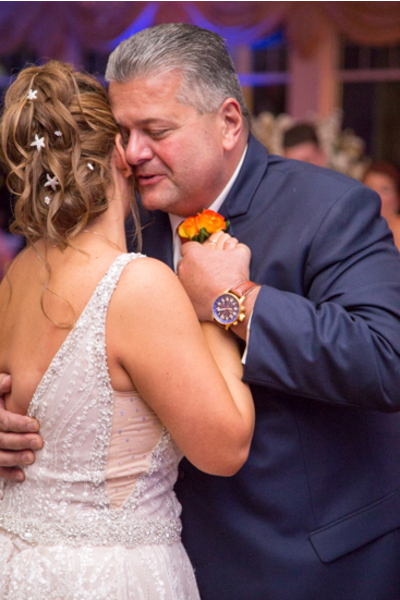 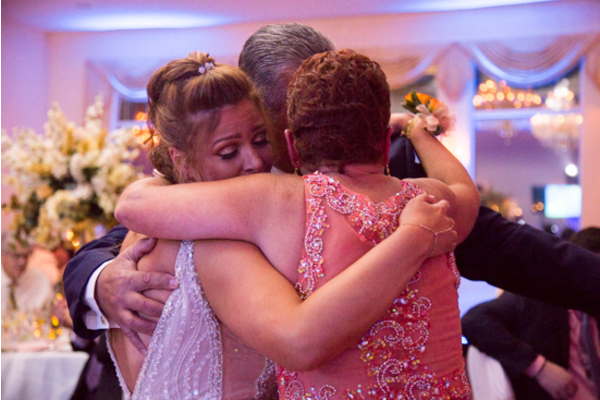 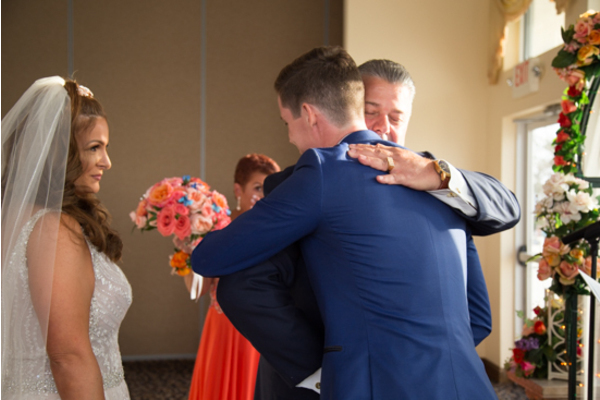 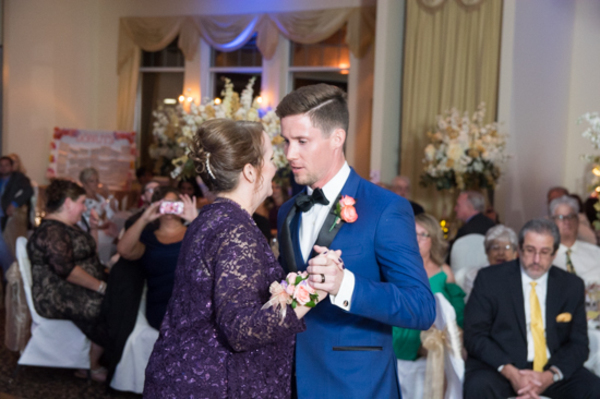 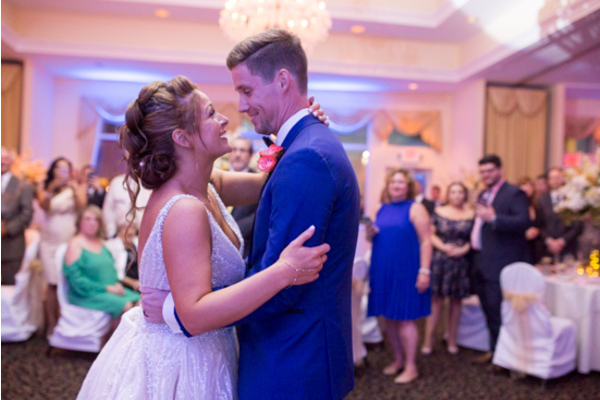 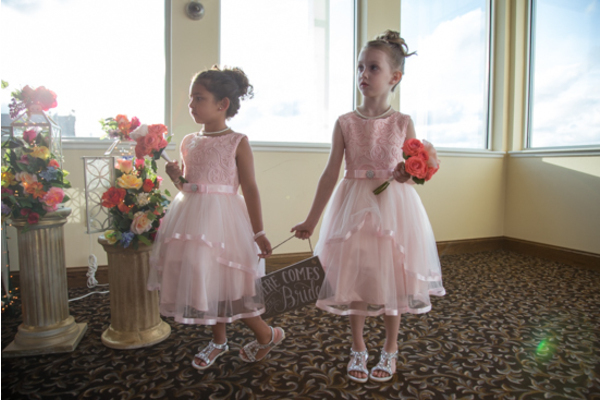 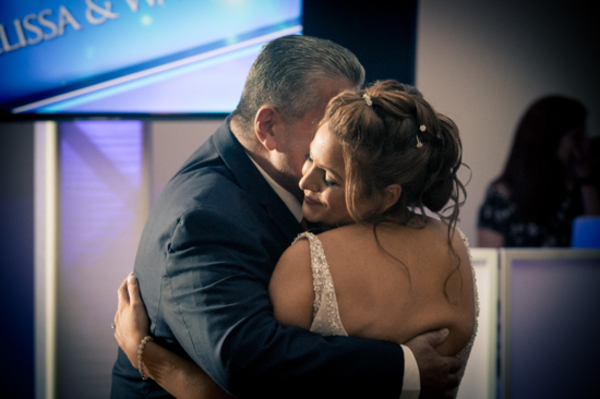 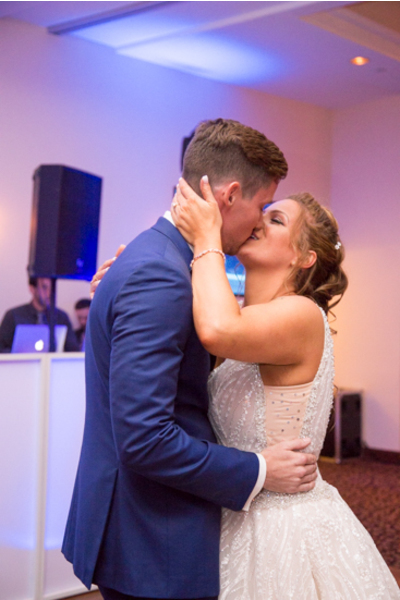 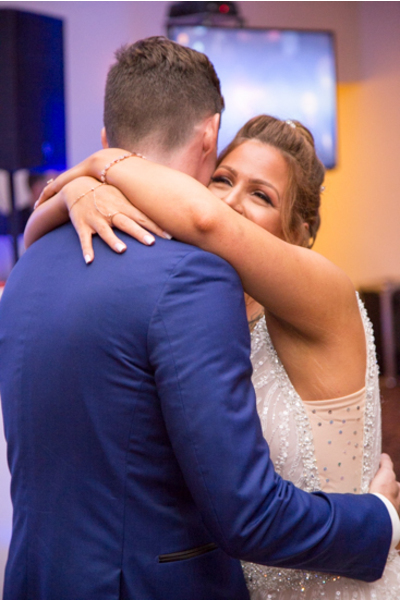 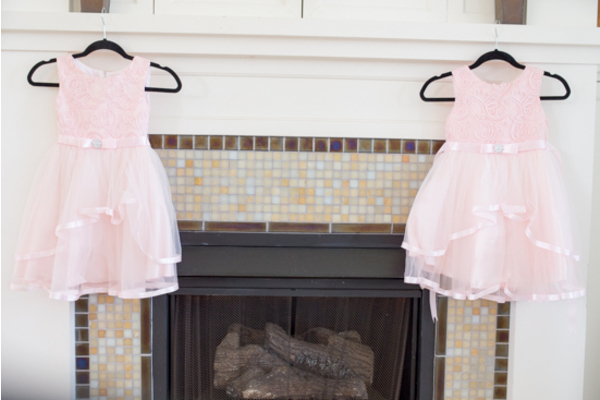 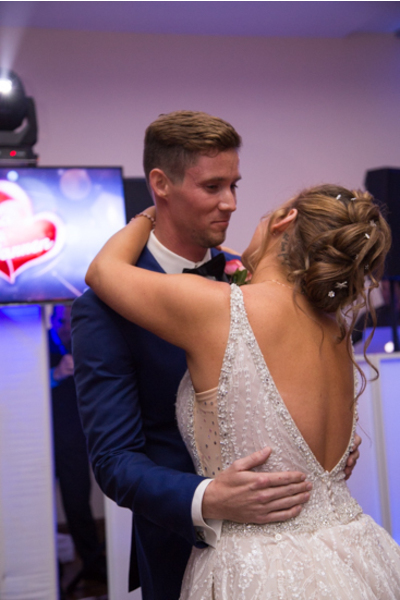 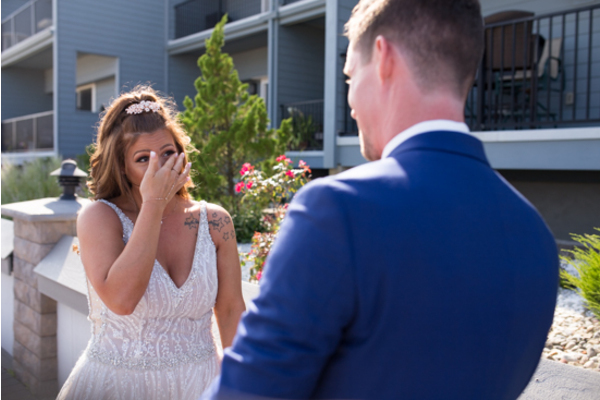 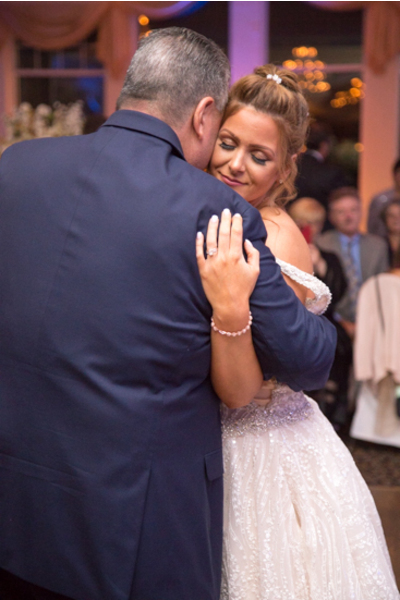 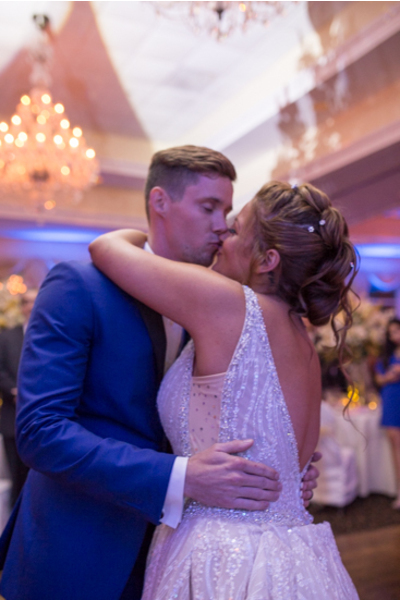 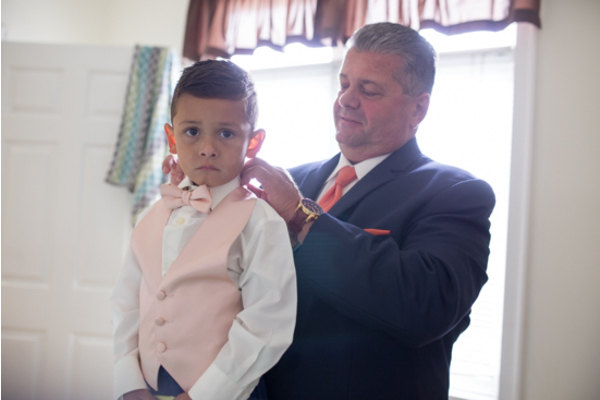 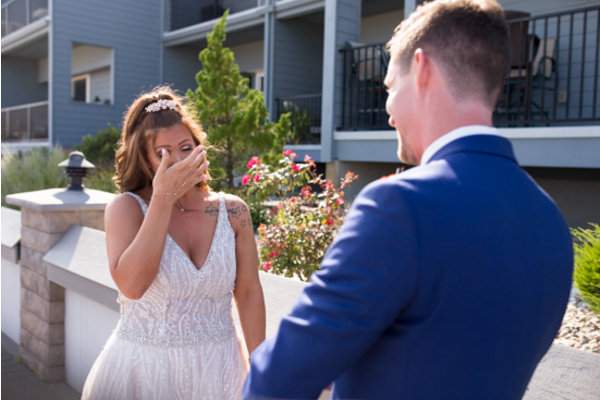 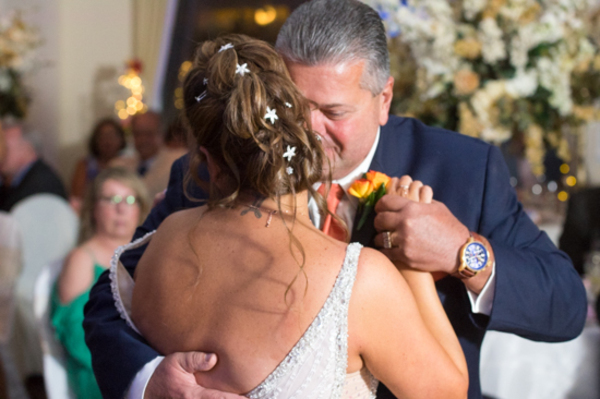 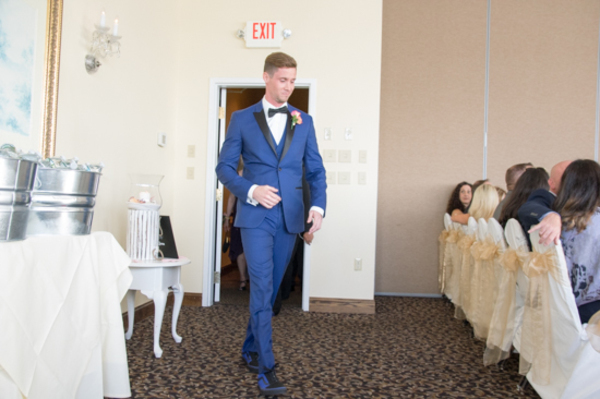 They shared a very sweet first dance and their wasn’t a dry eye in the crowd! 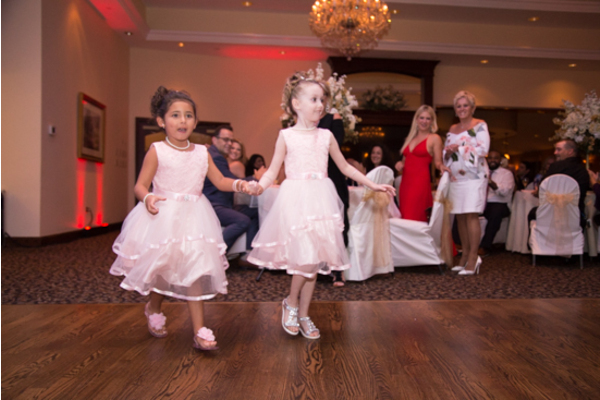 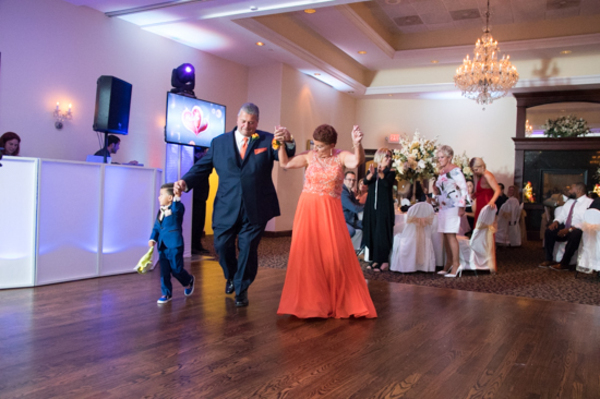 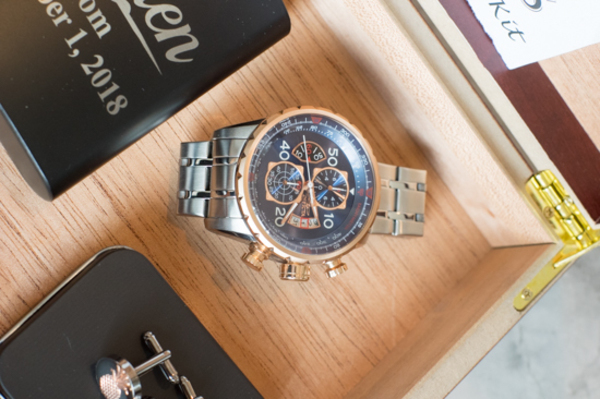 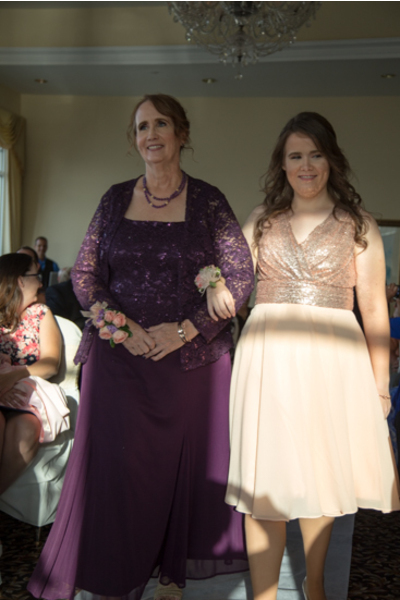 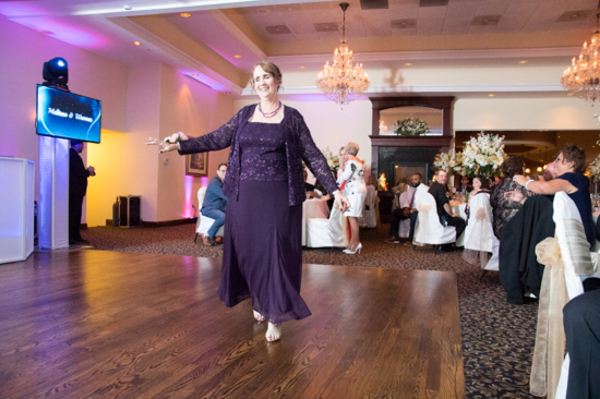 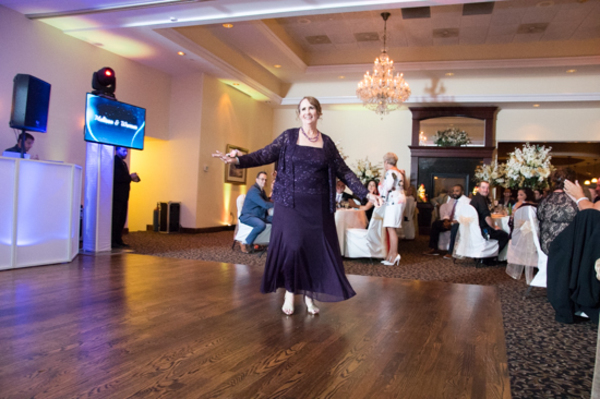 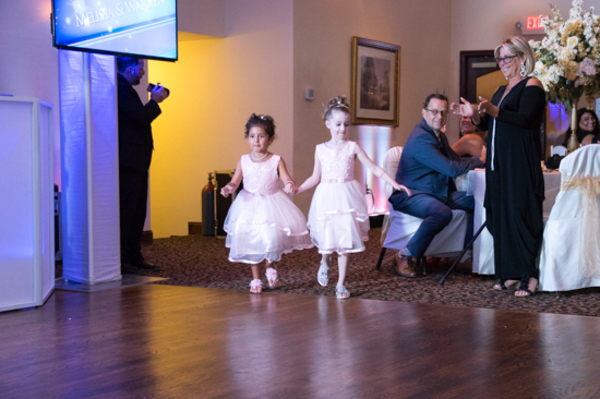 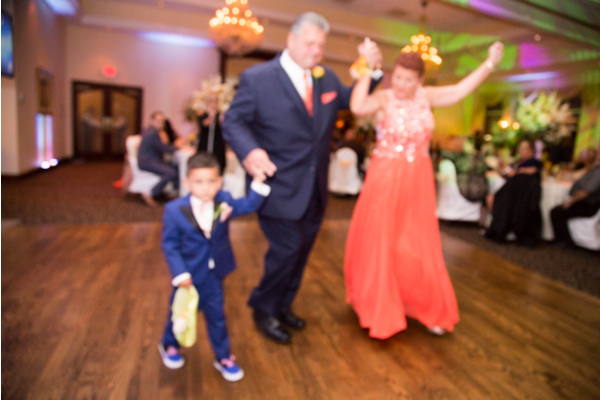 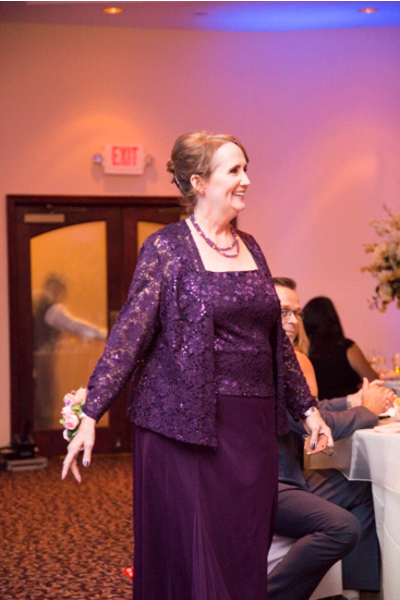 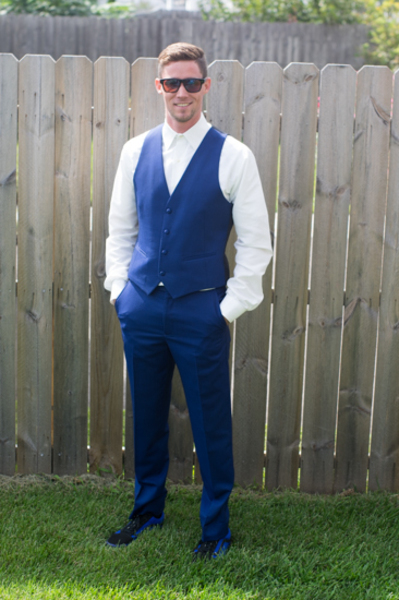 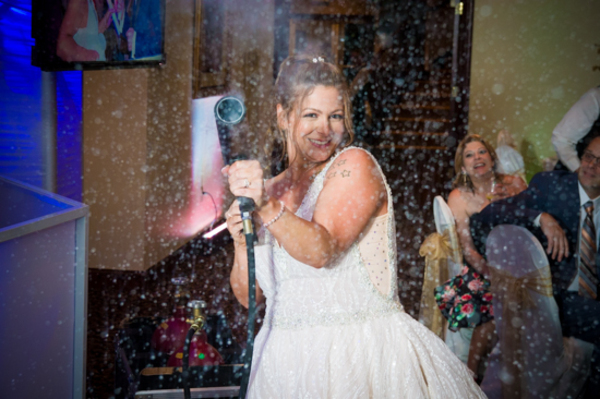 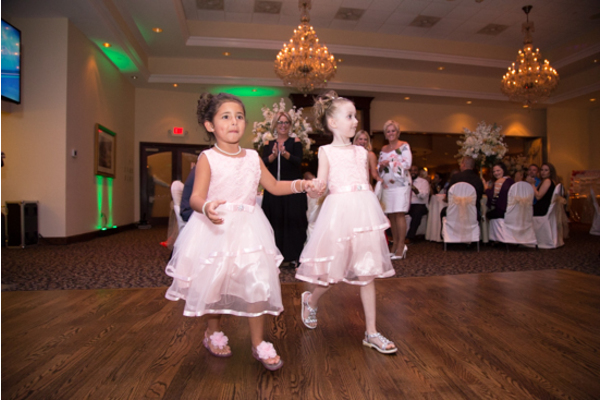 Everybody danced the night away, and memories were made to last a lifetime! 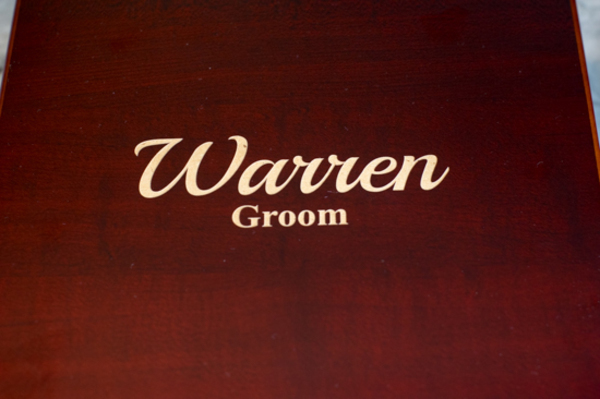 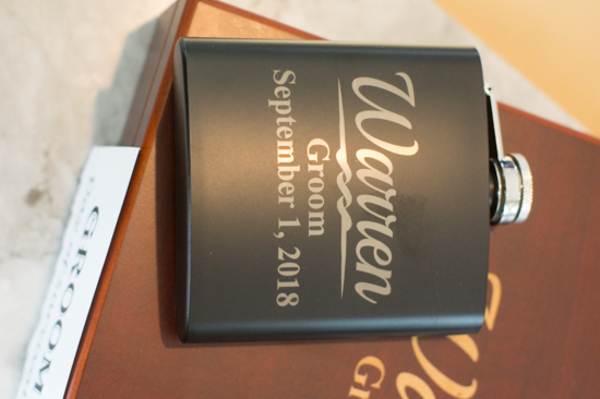 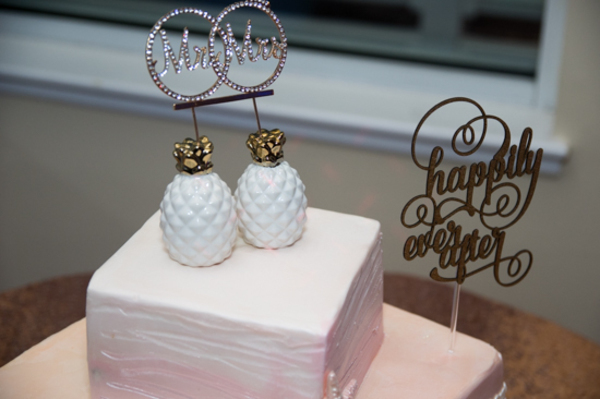 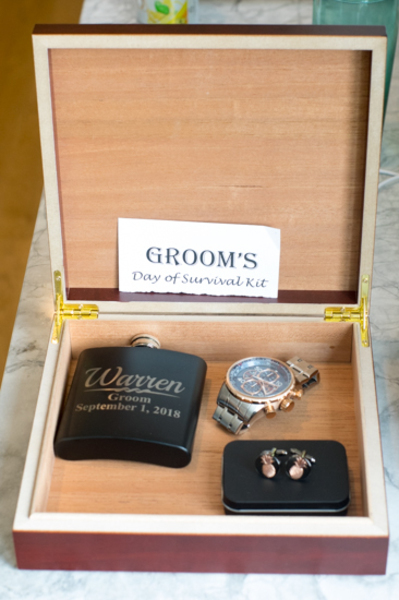 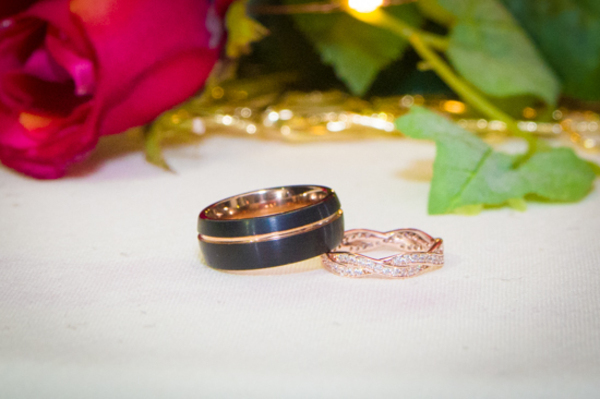 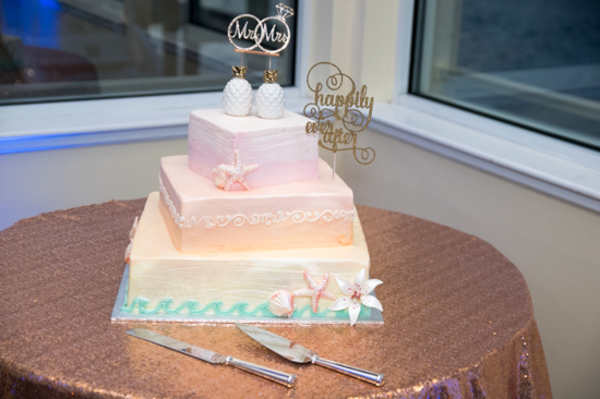 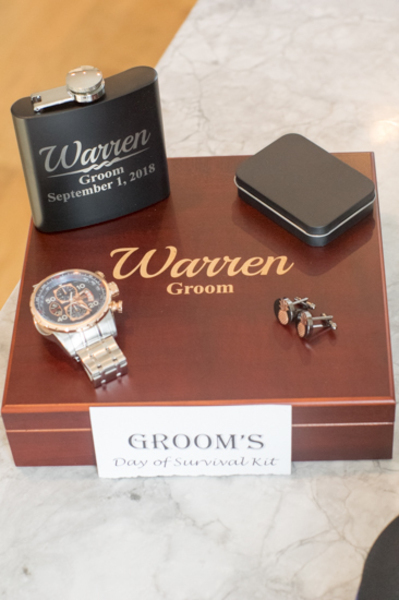 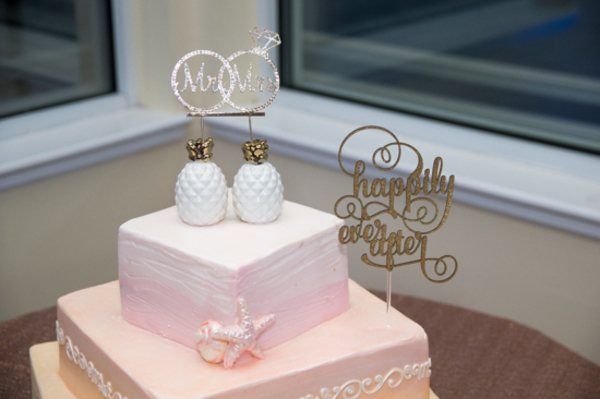 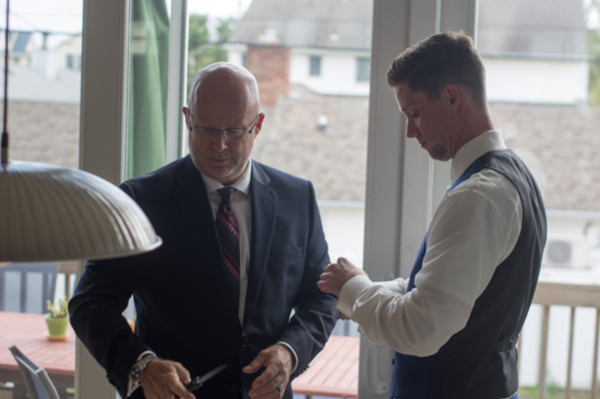 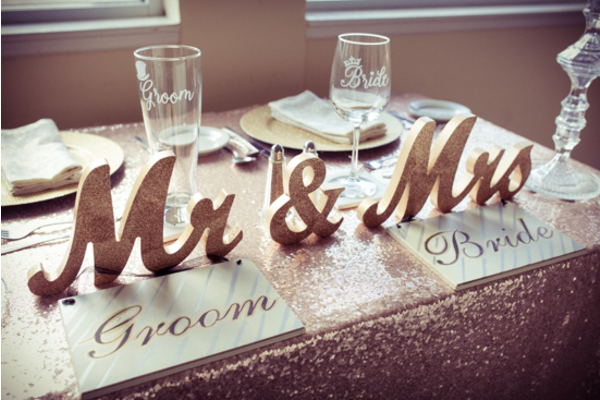 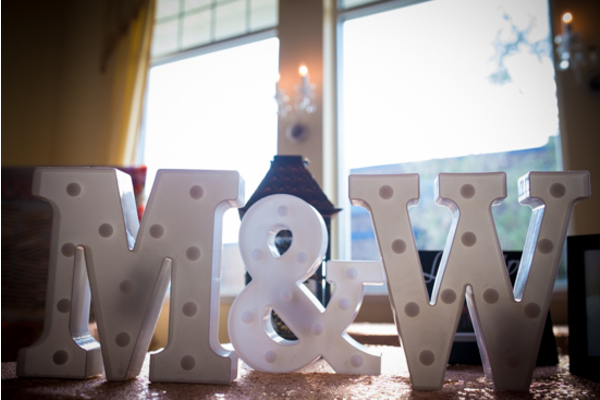 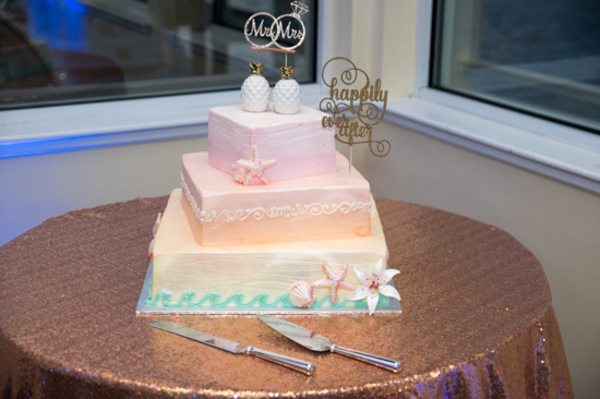 Congratulations again to Melissa and Warren! 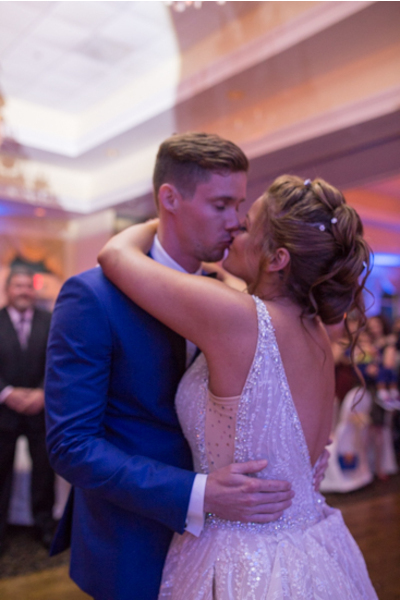 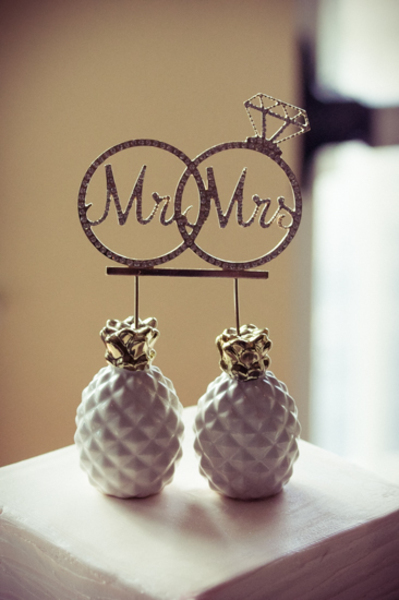 We wish you a lifetime of love, happiness and health!